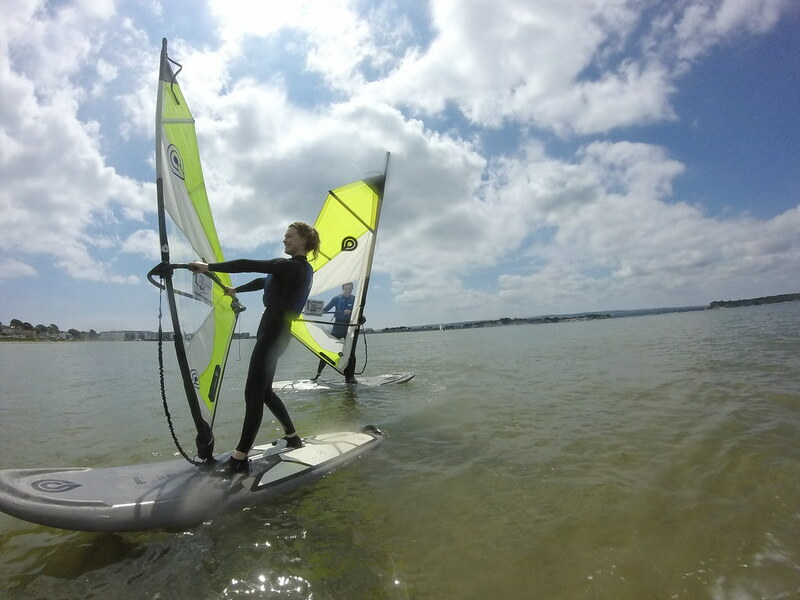 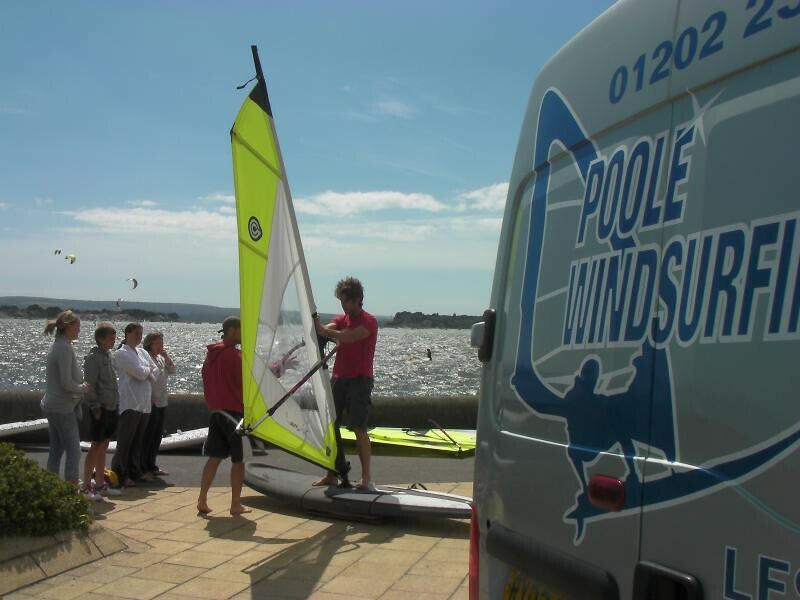 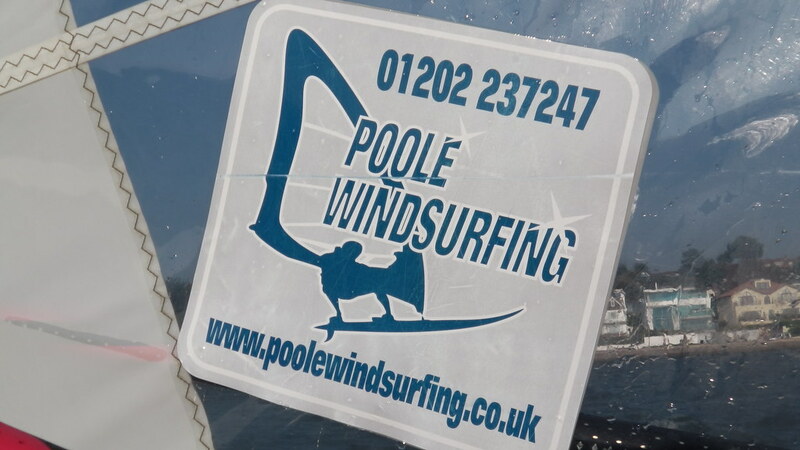 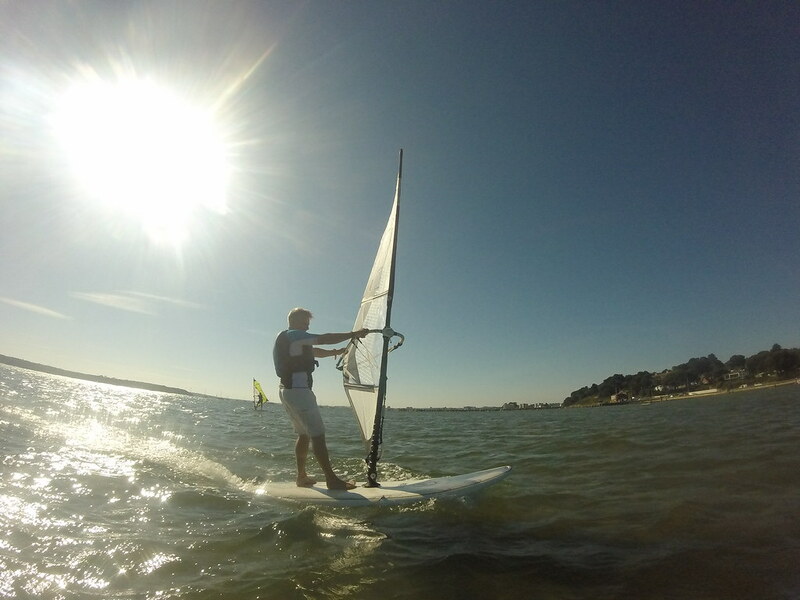 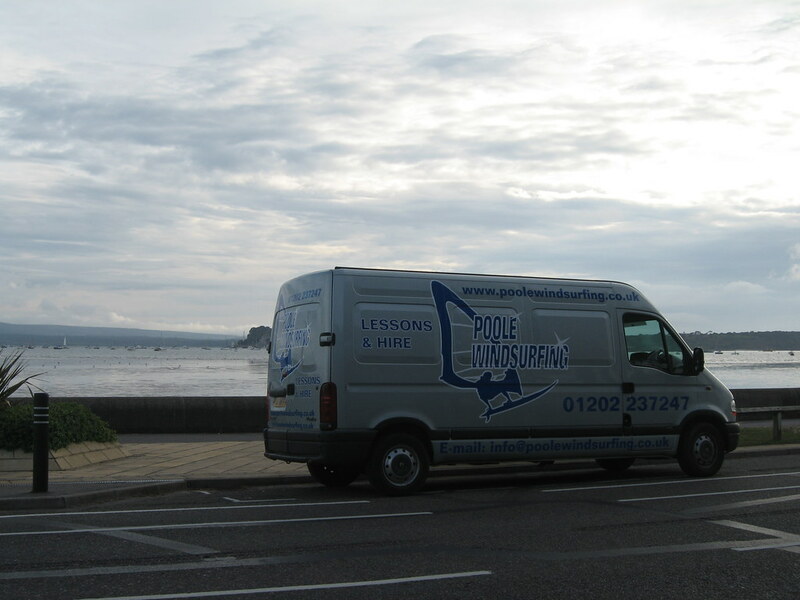 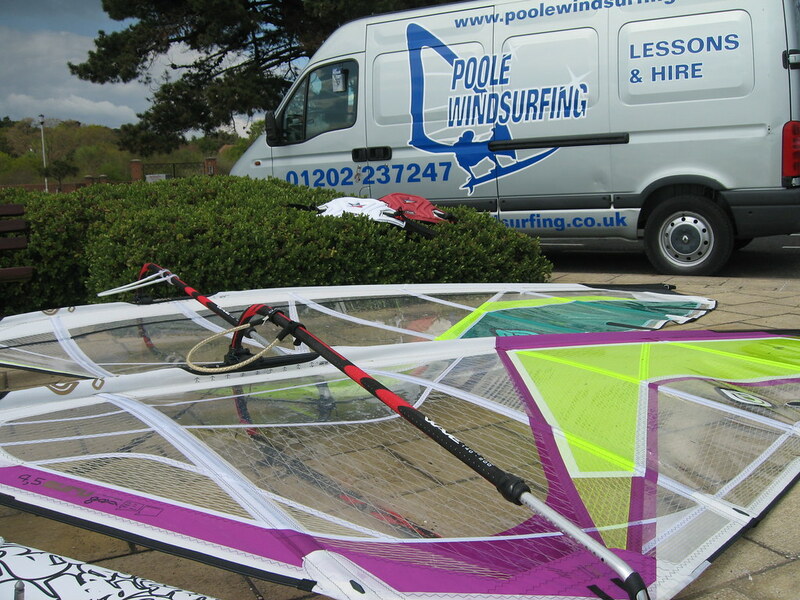 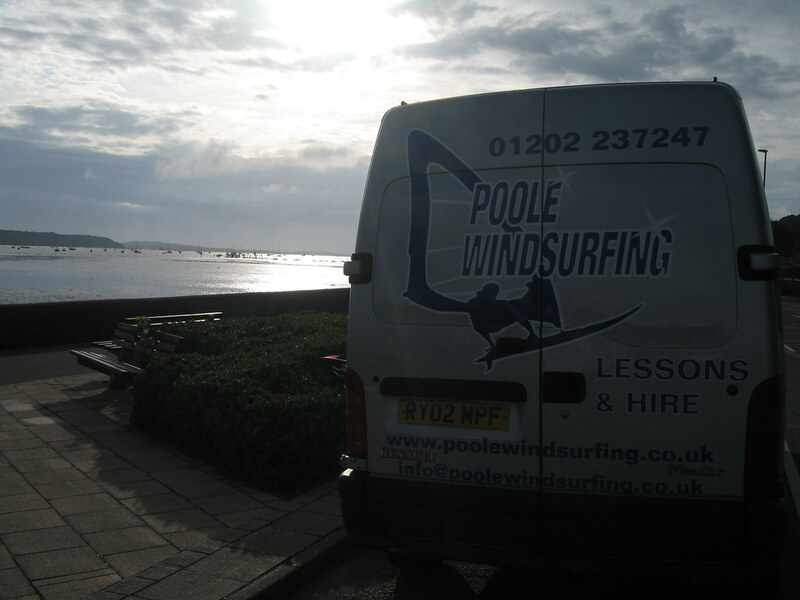 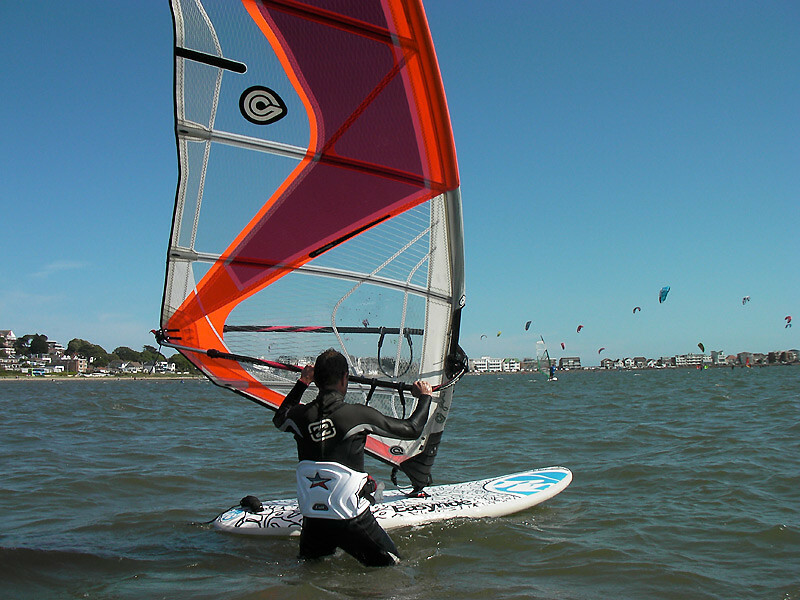 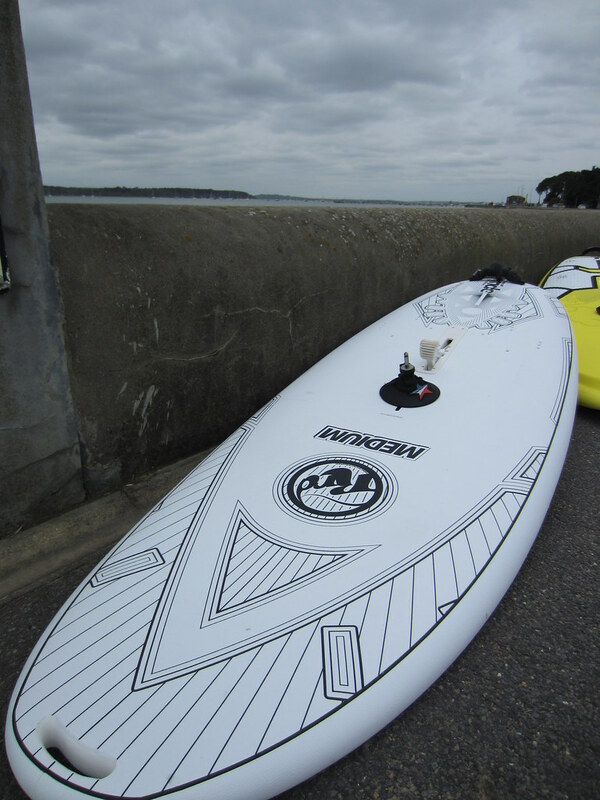 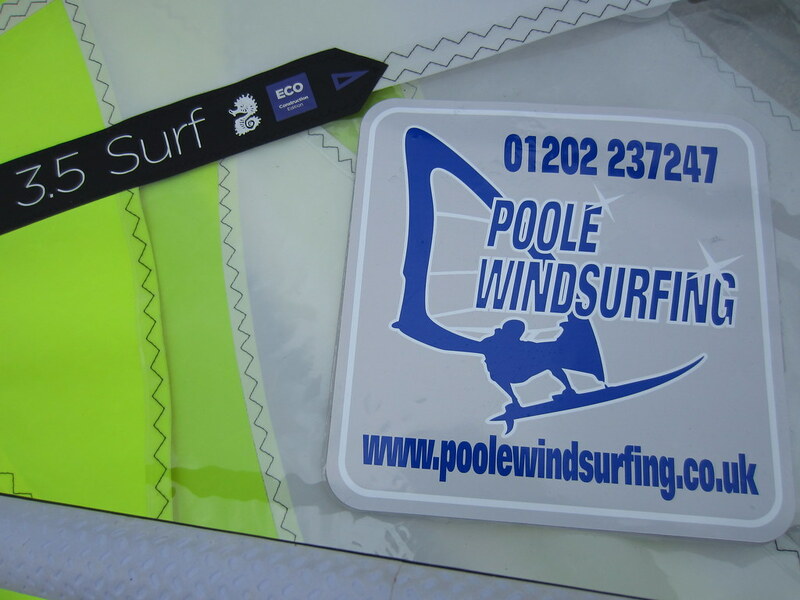 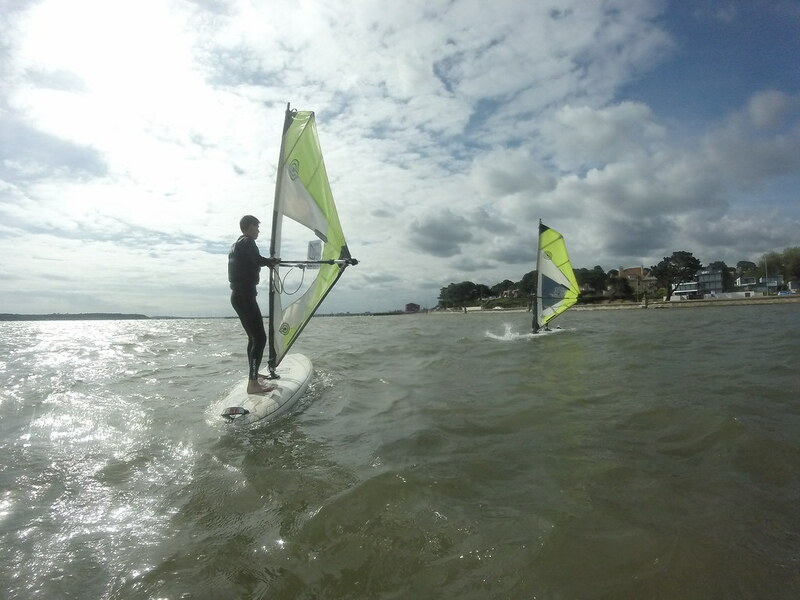 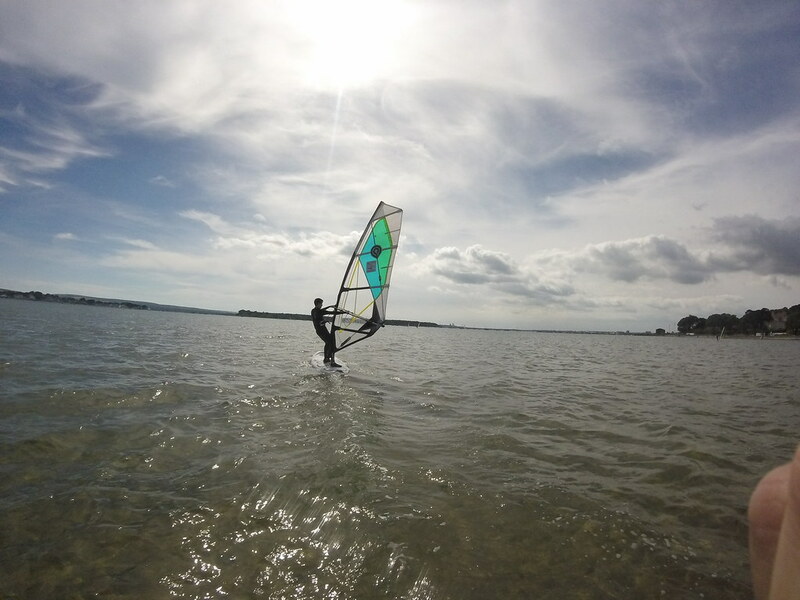 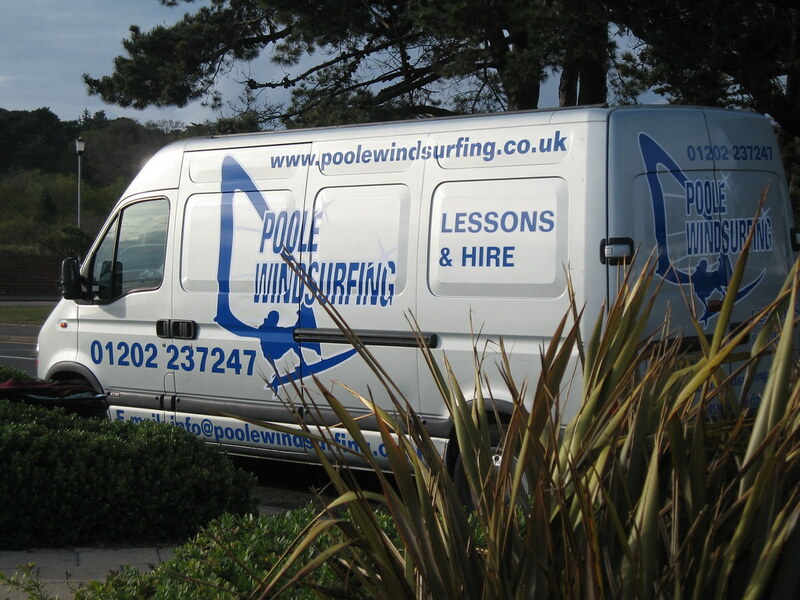 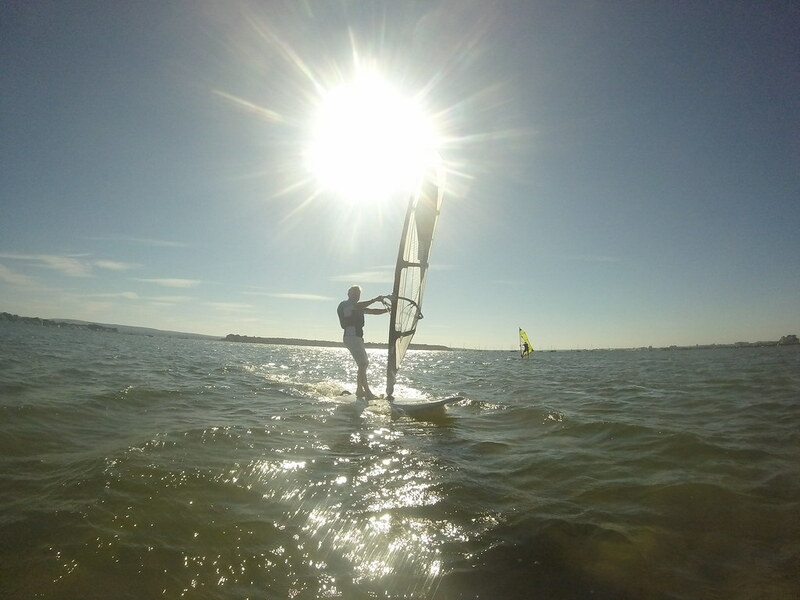 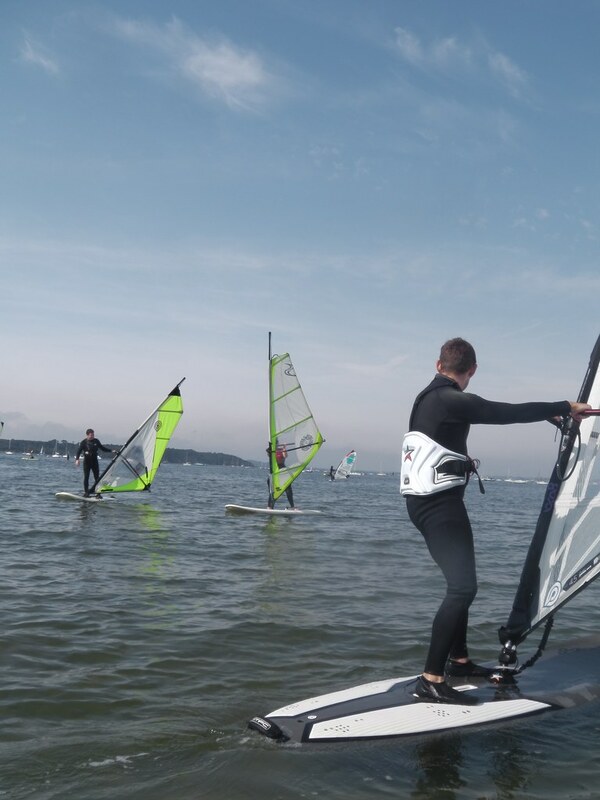 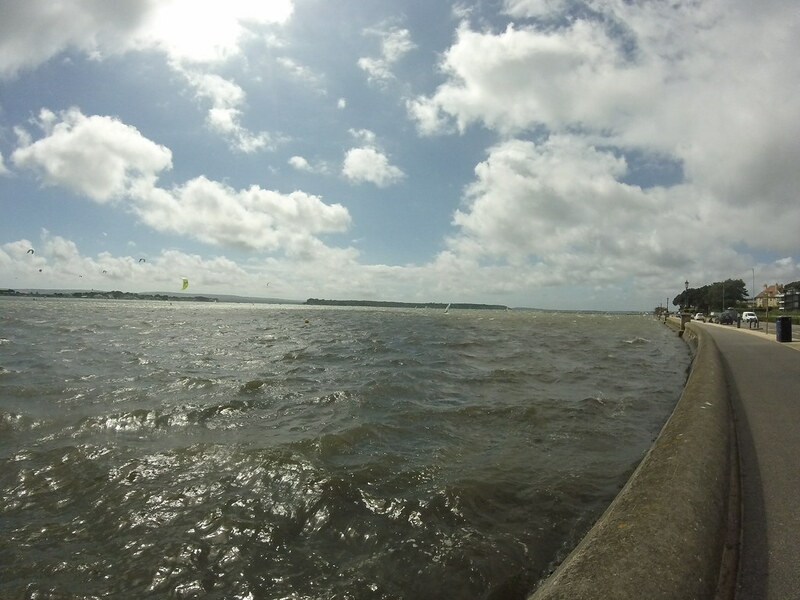 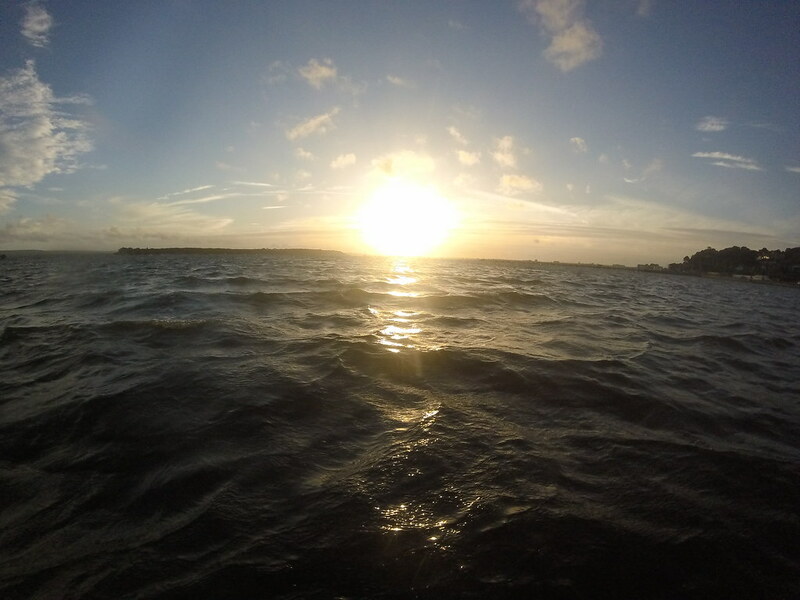 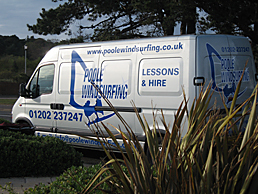 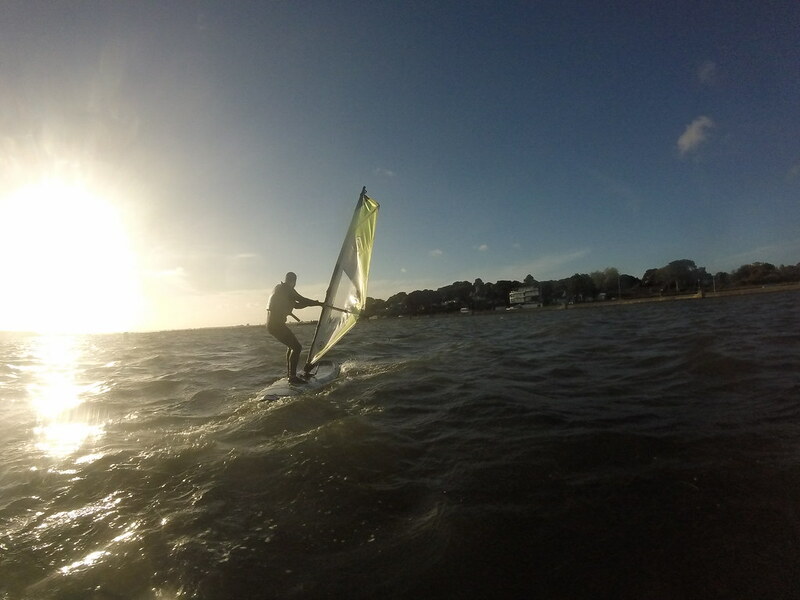 The Poole Windsurfing School is based at Poole Harbour, the UK’s top location for learning & progressing with your windsurfing. This photo gallery contains some shots of our school setup, including all the latest brand new equipment, ready & waiting for you to use. 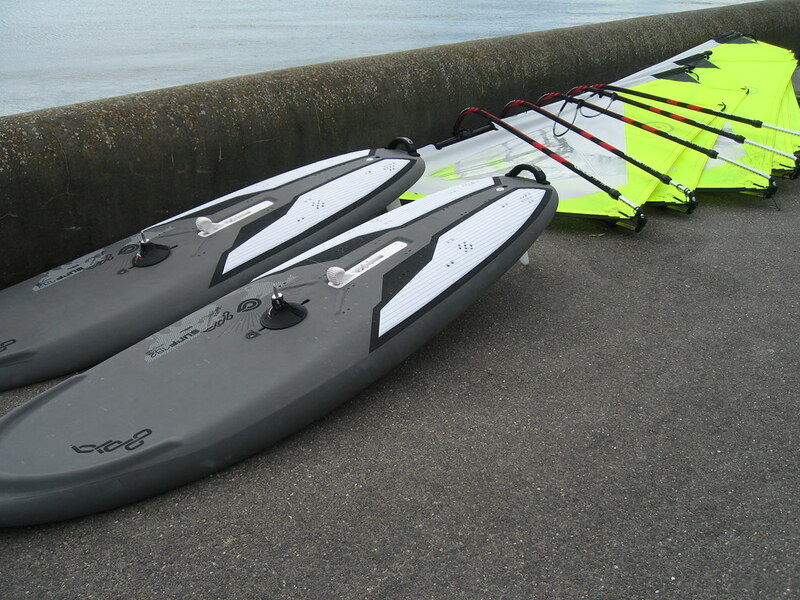 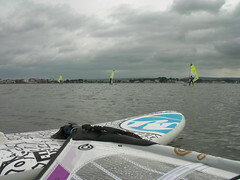 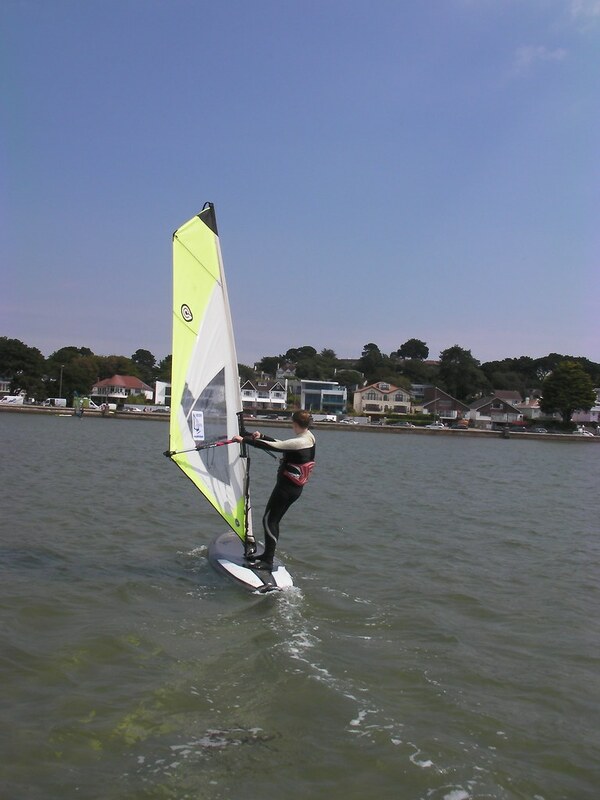 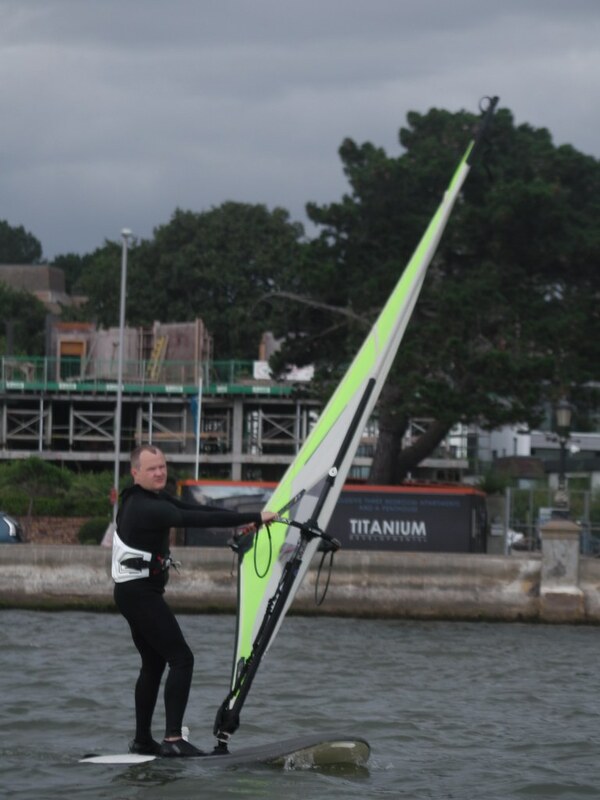 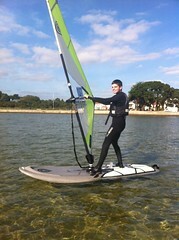 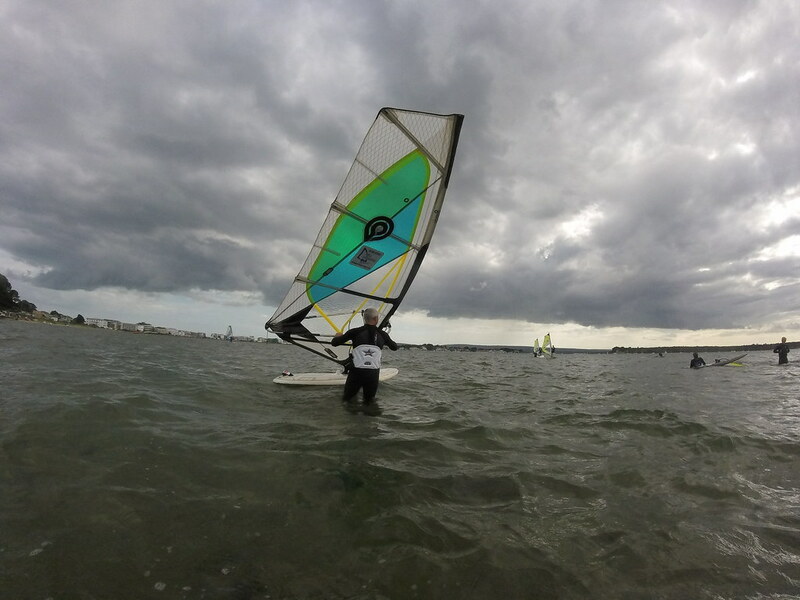 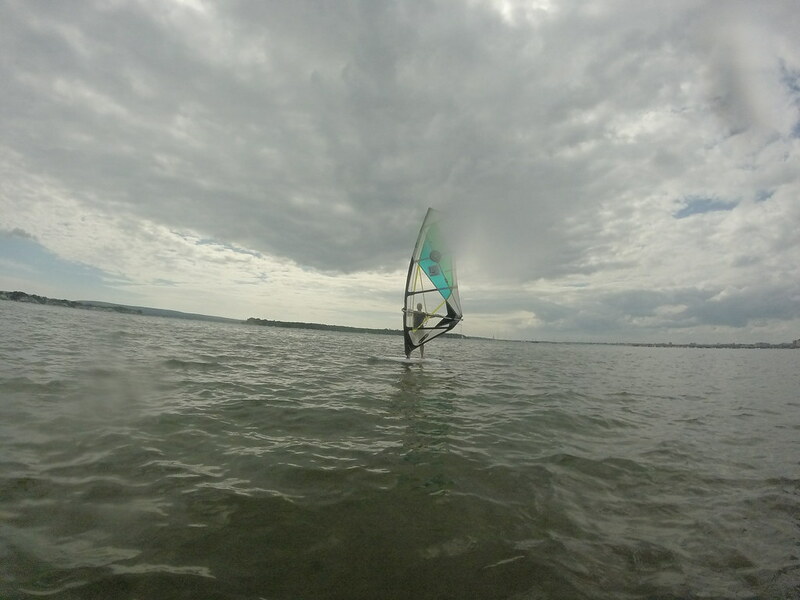 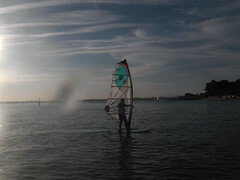 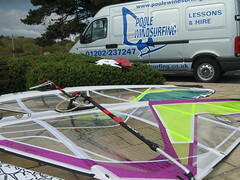 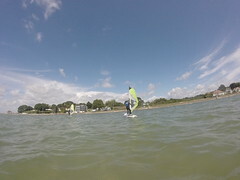 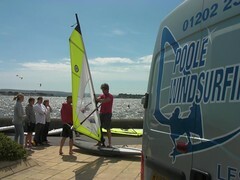 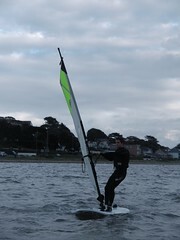 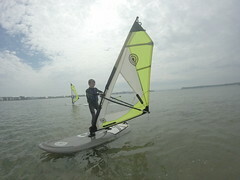 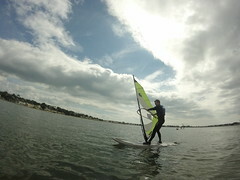 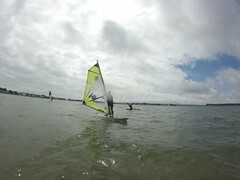 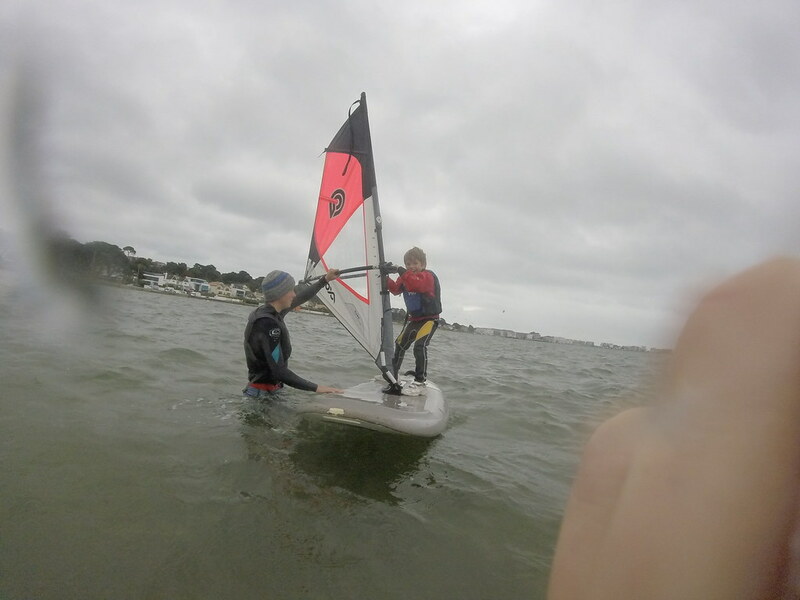 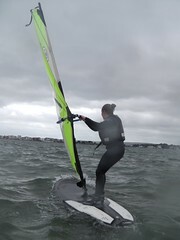 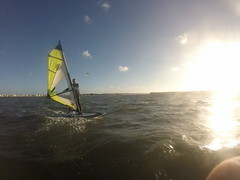 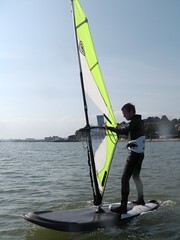 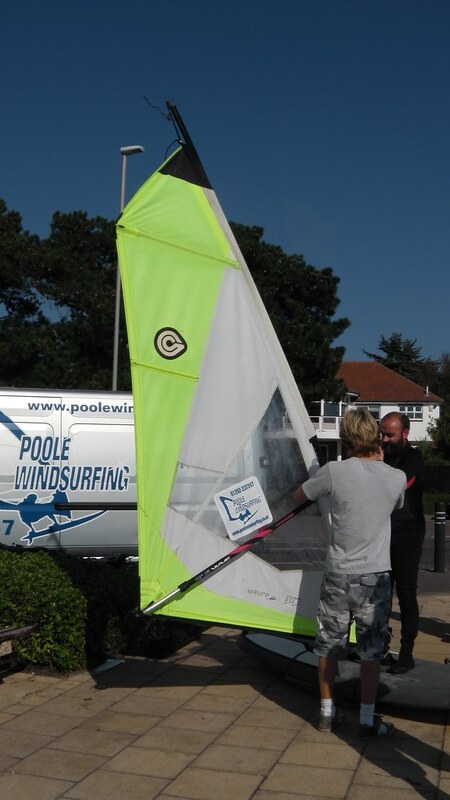 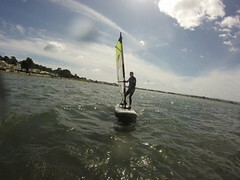 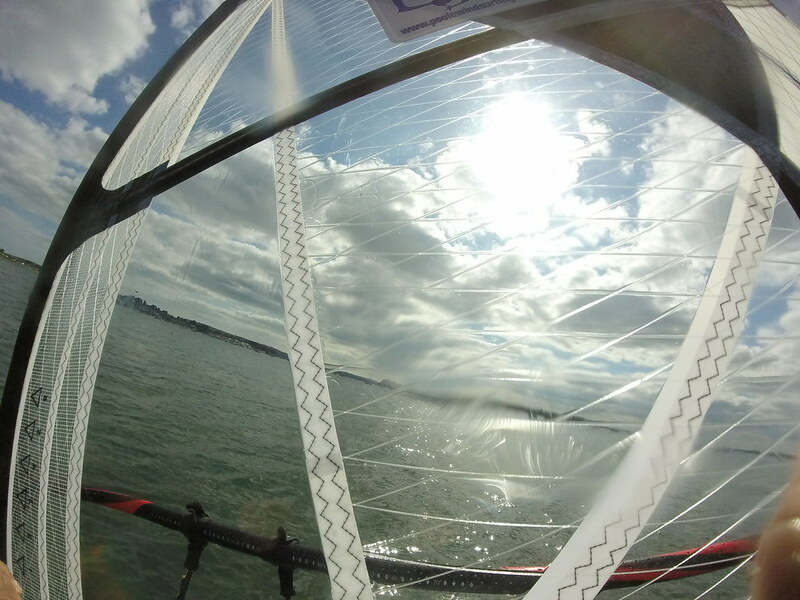 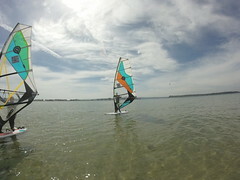 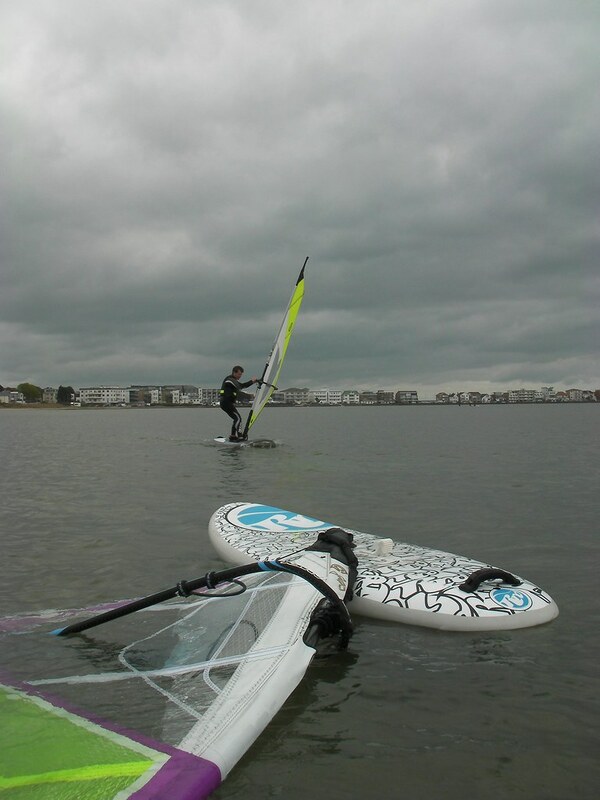 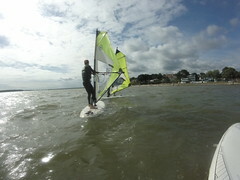 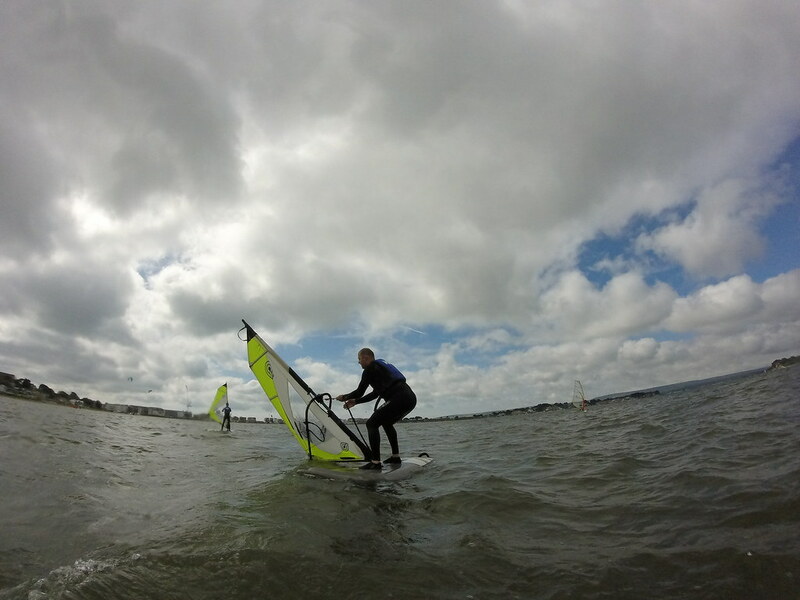 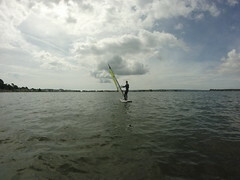 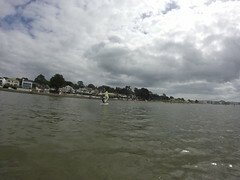 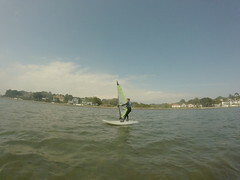 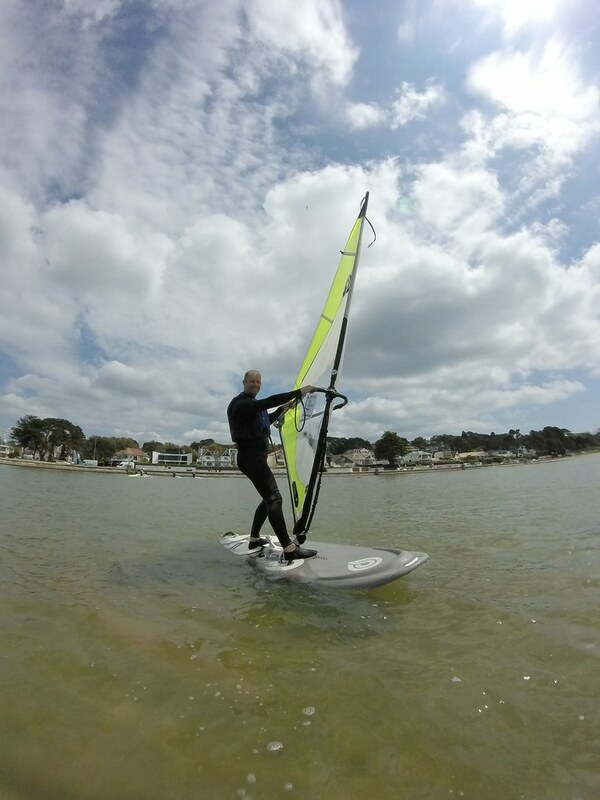 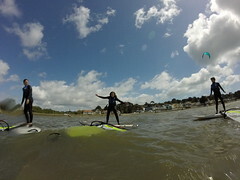 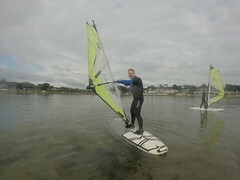 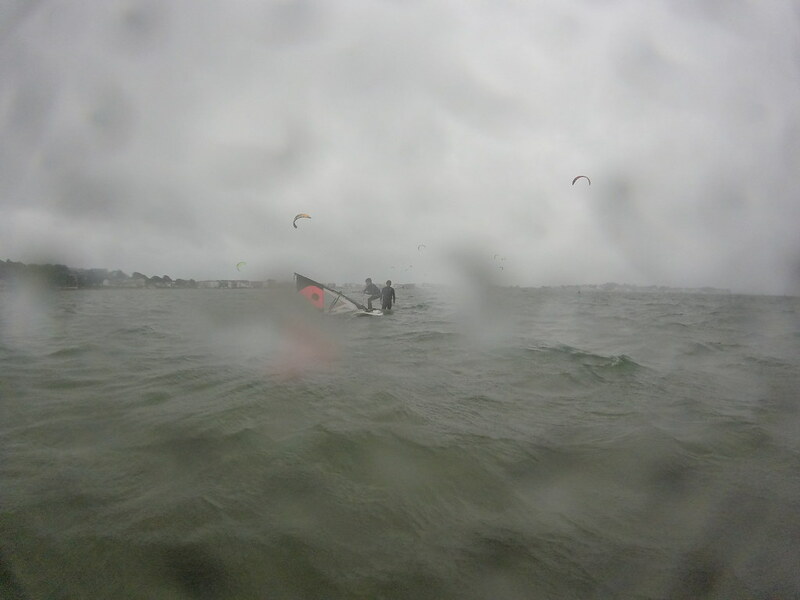 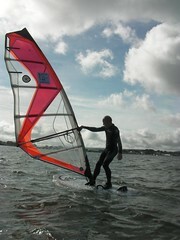 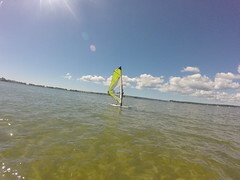 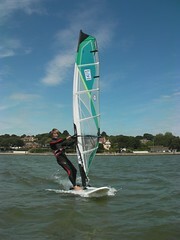 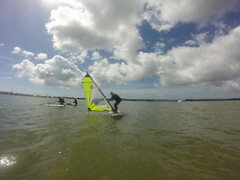 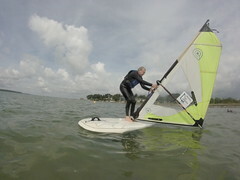 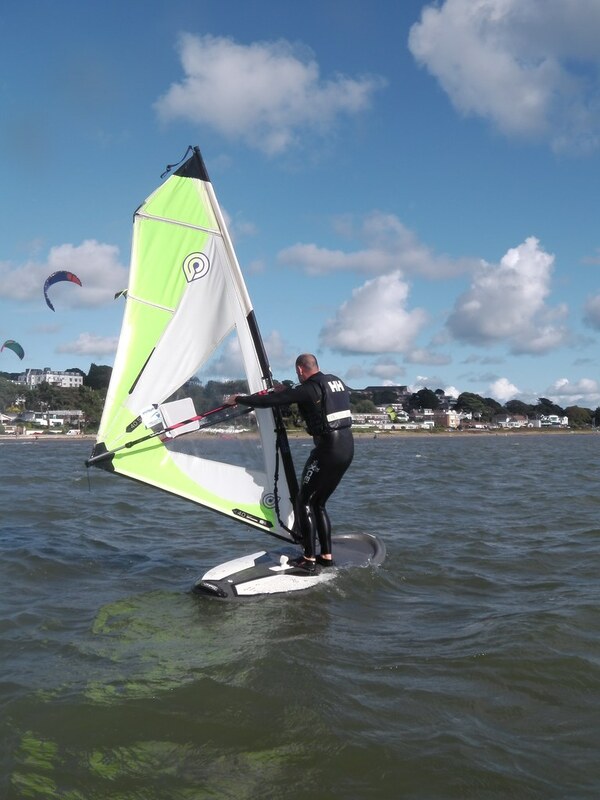 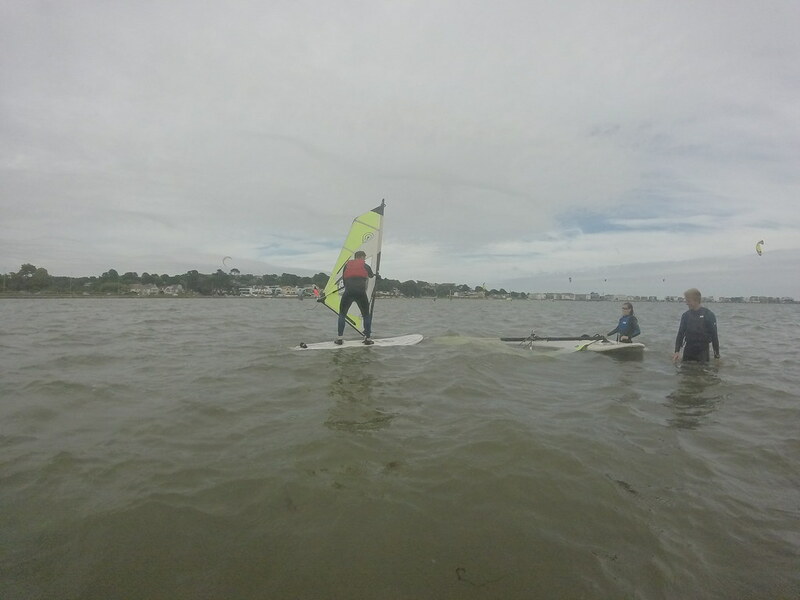 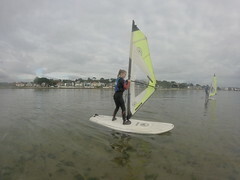 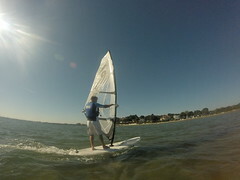 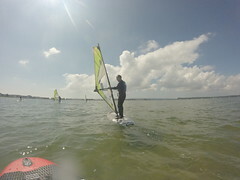 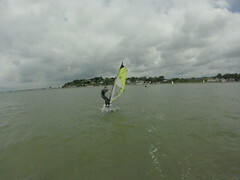 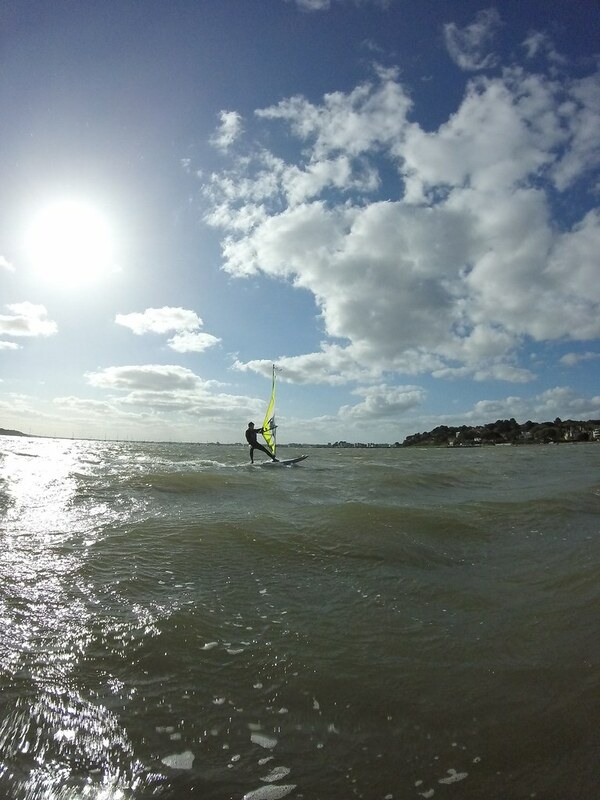 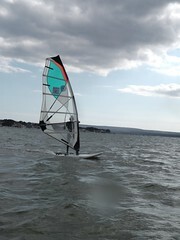 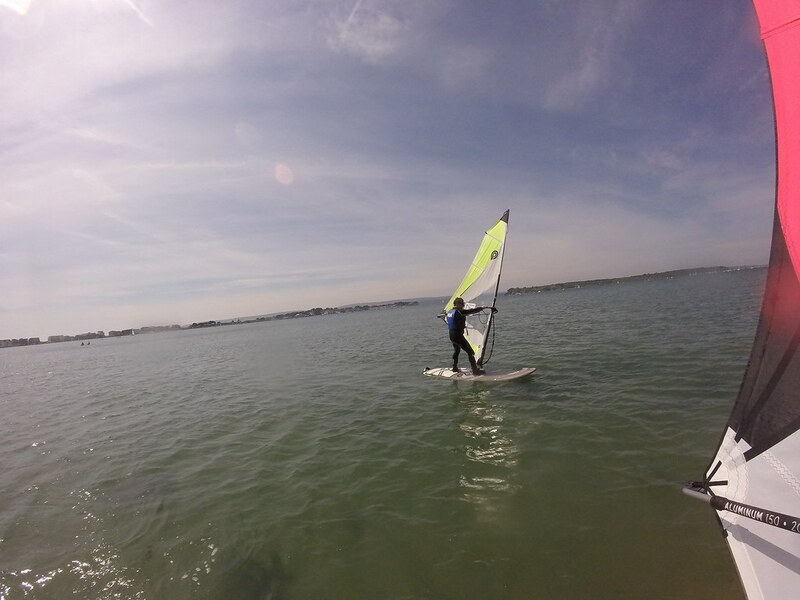 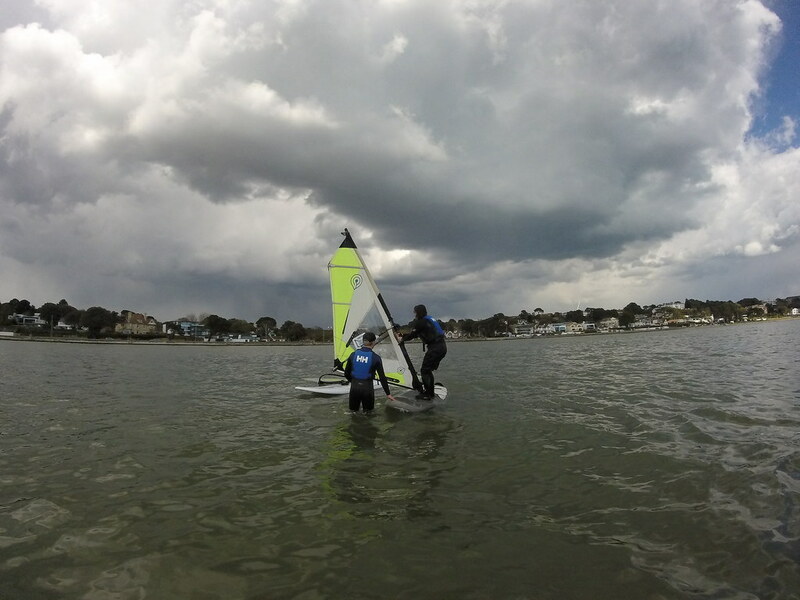 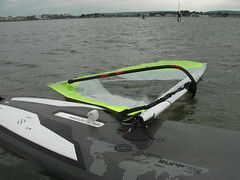 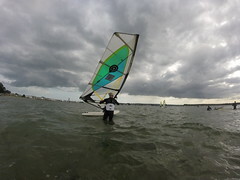 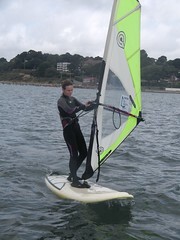 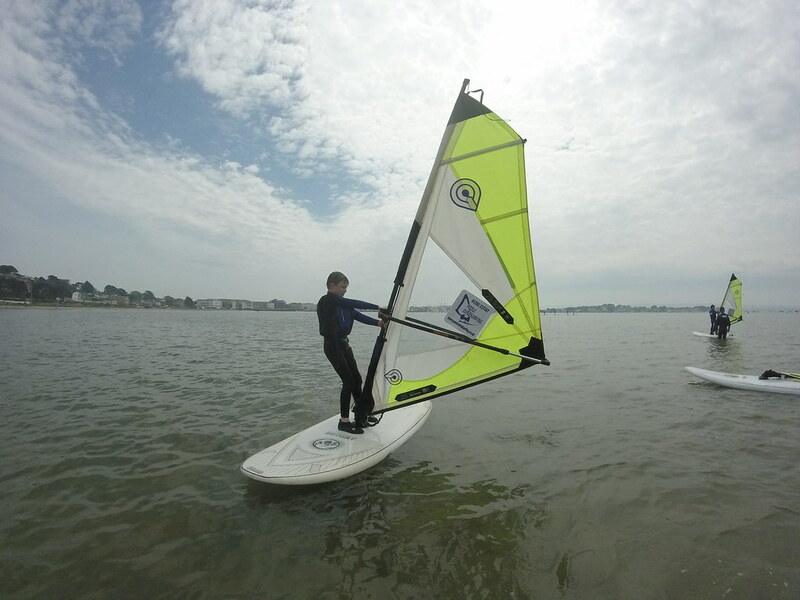 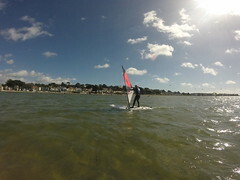 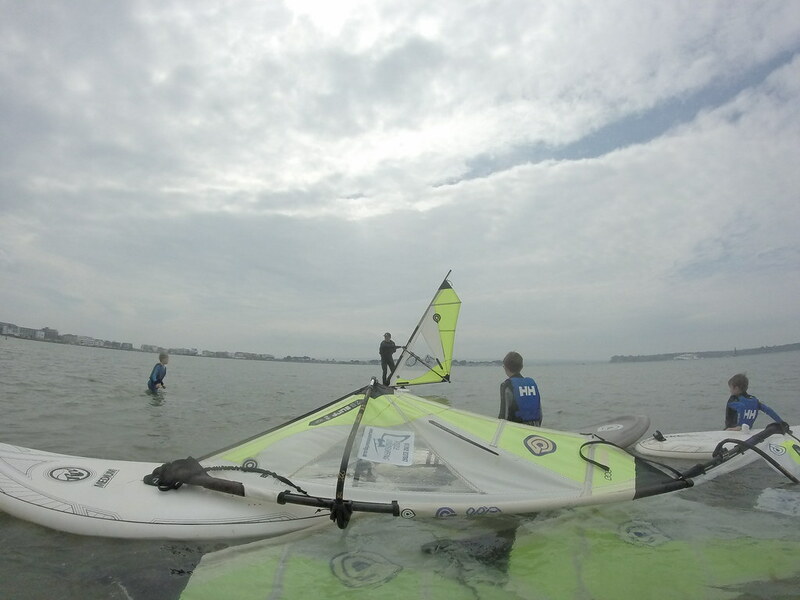 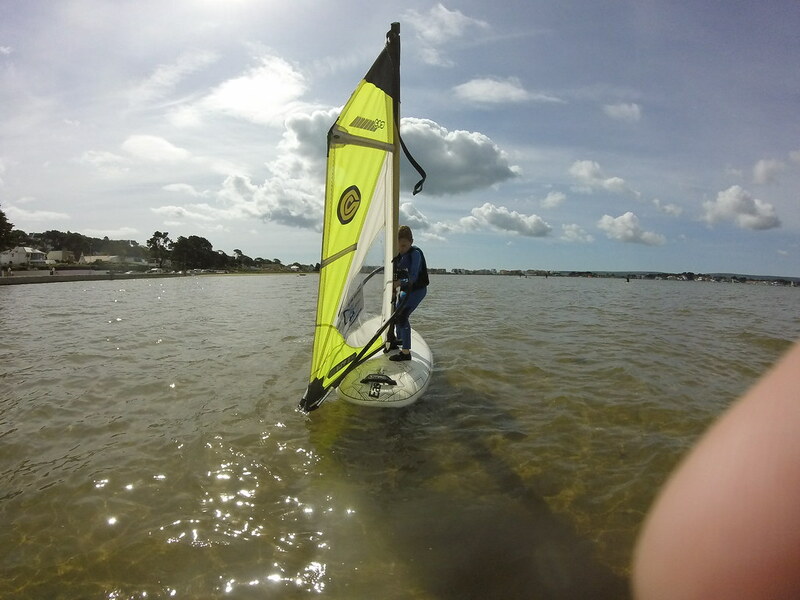 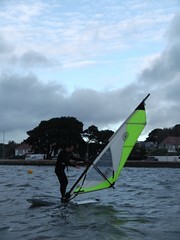 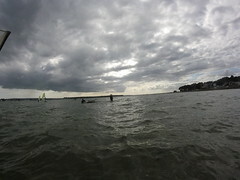 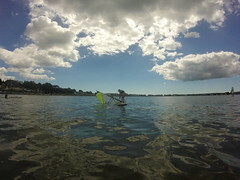 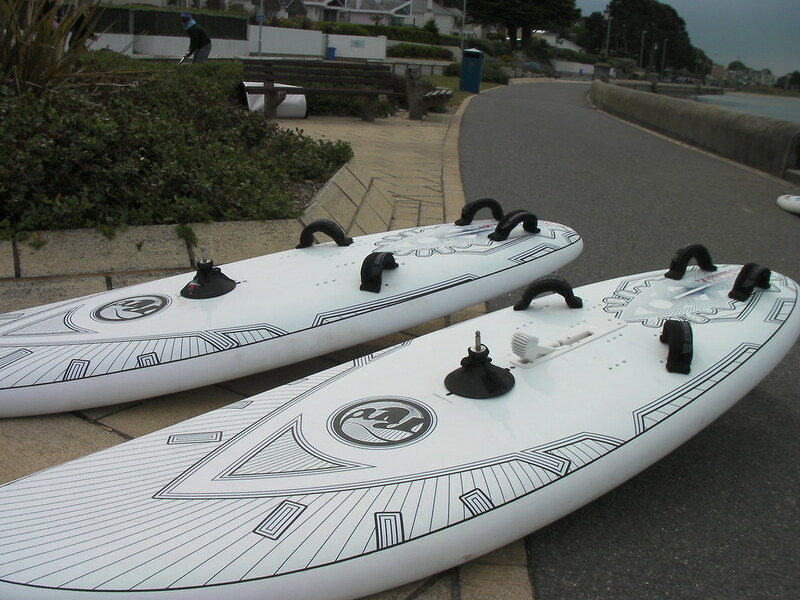 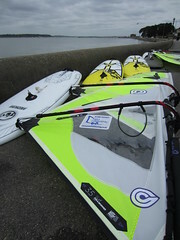 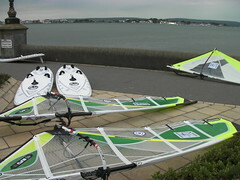 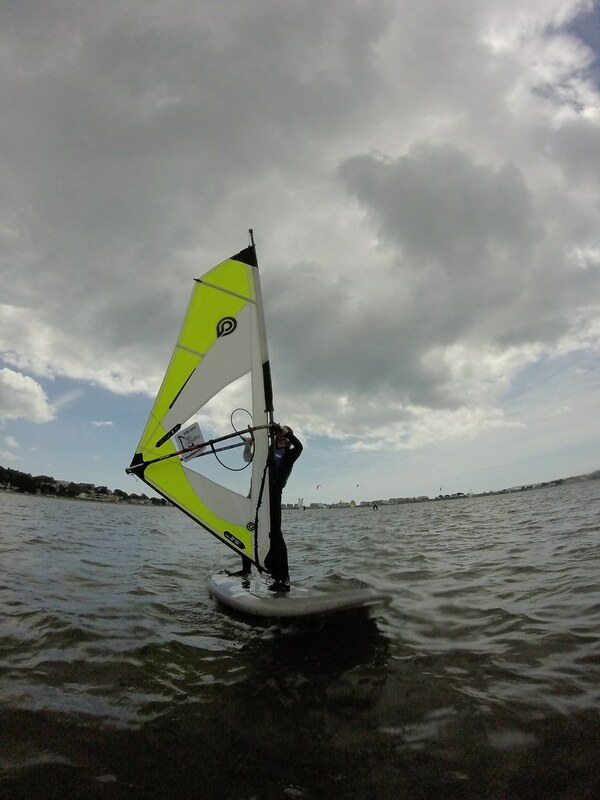 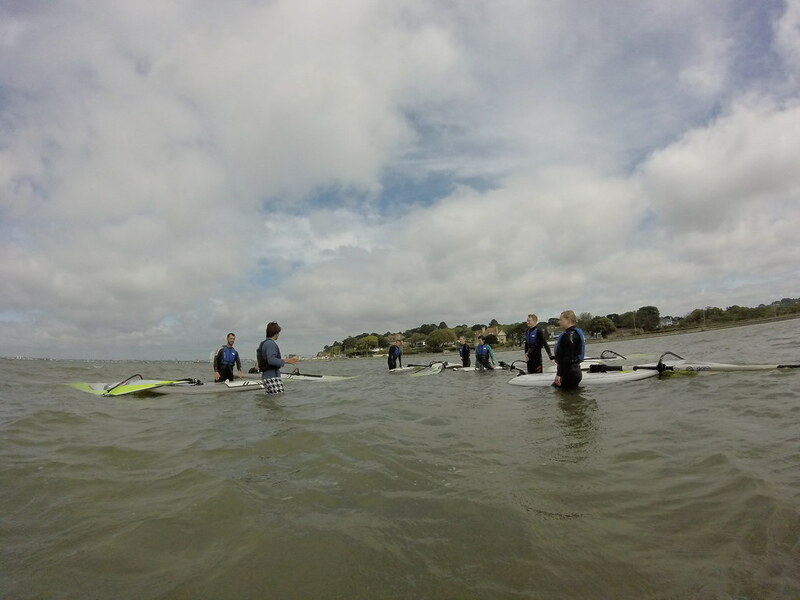 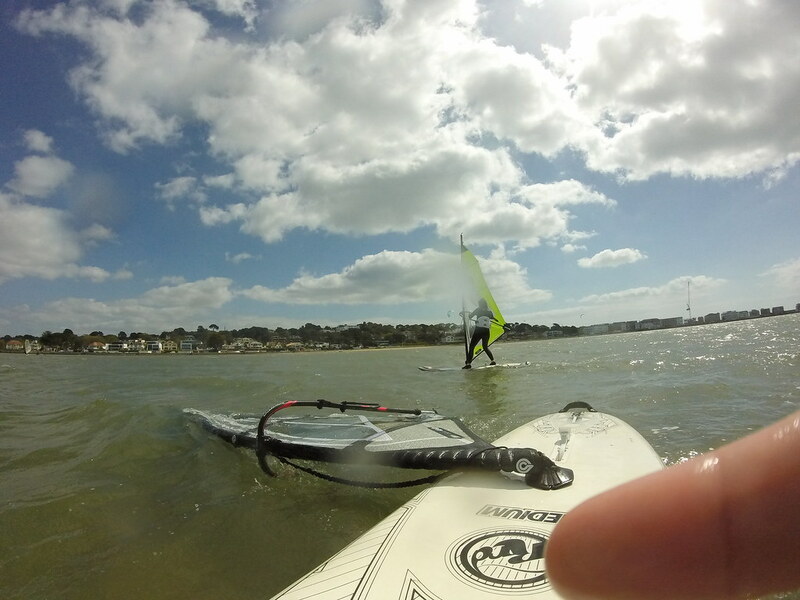 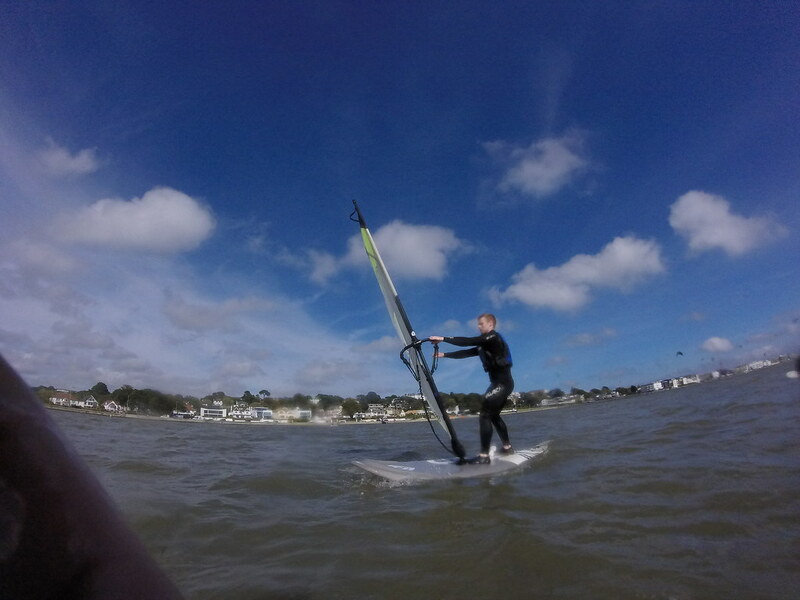 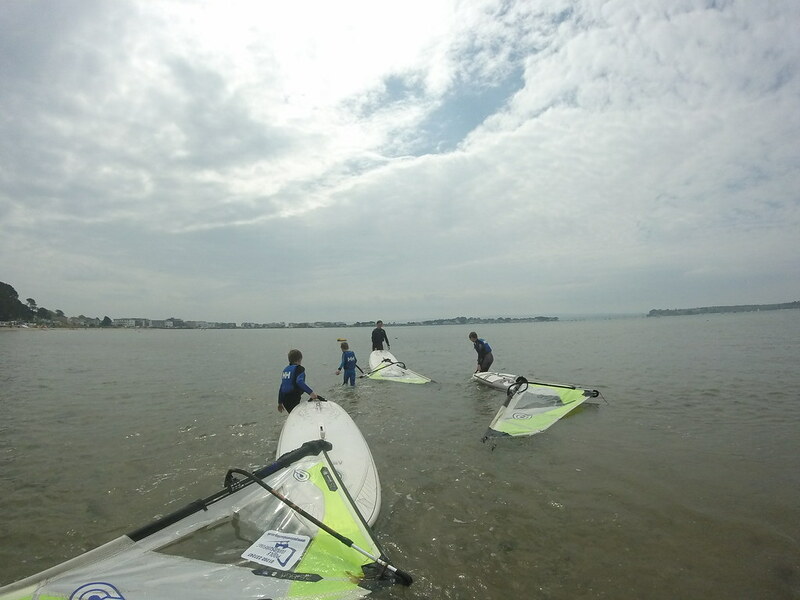 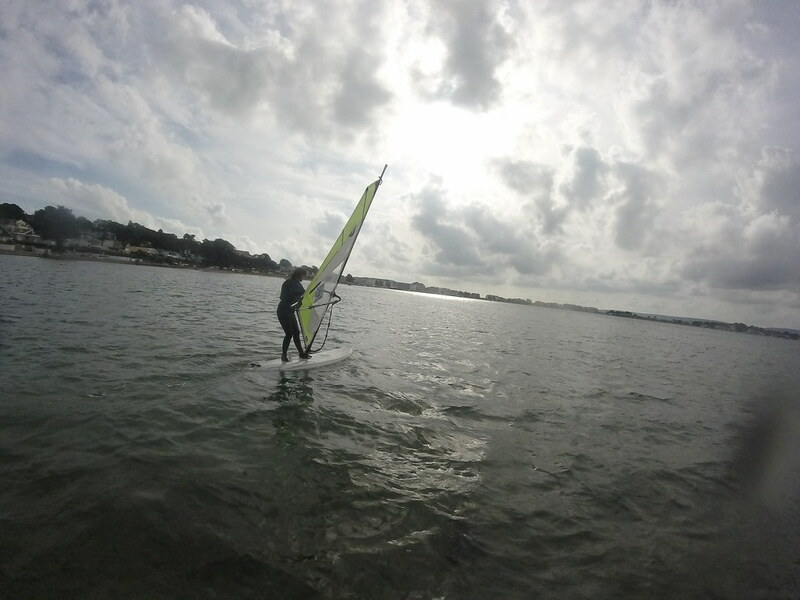 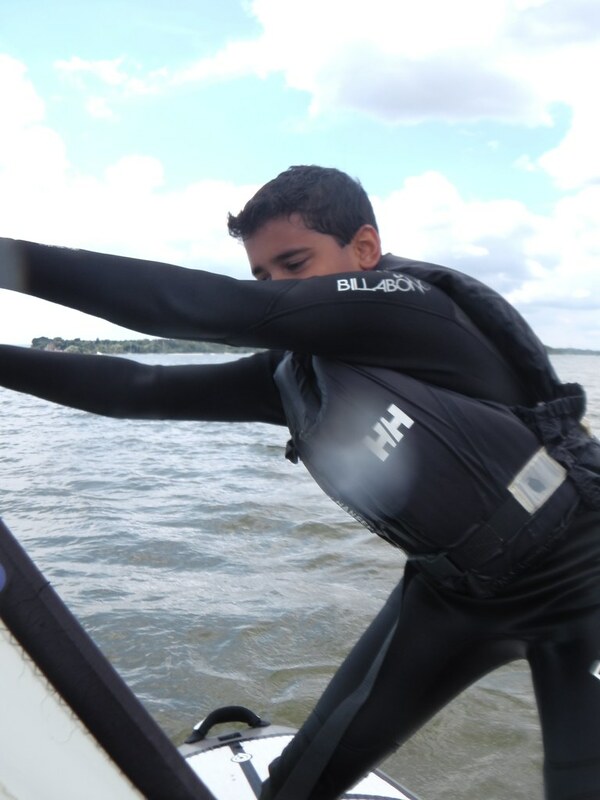 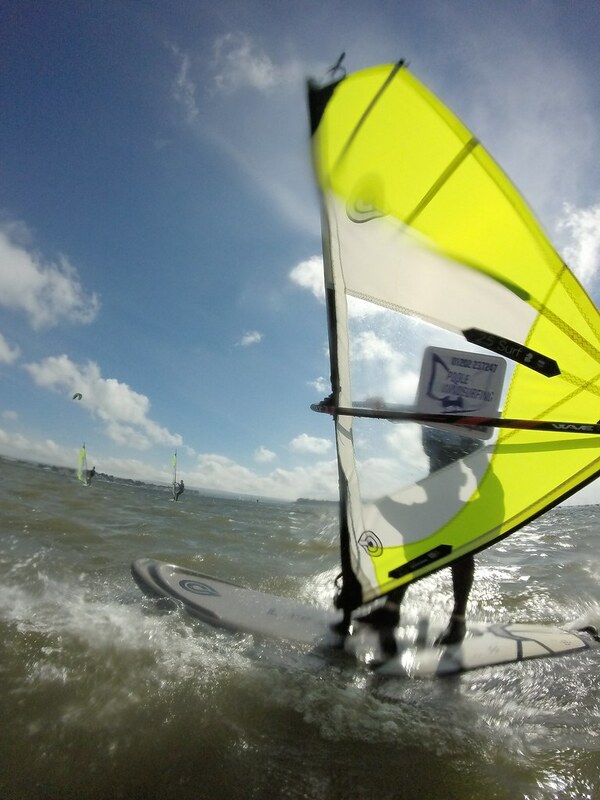 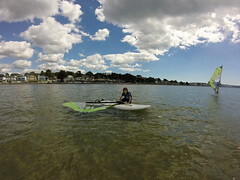 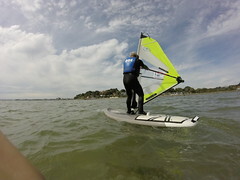 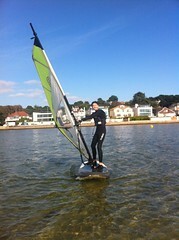 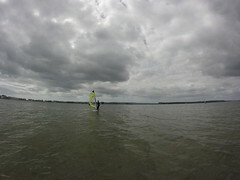 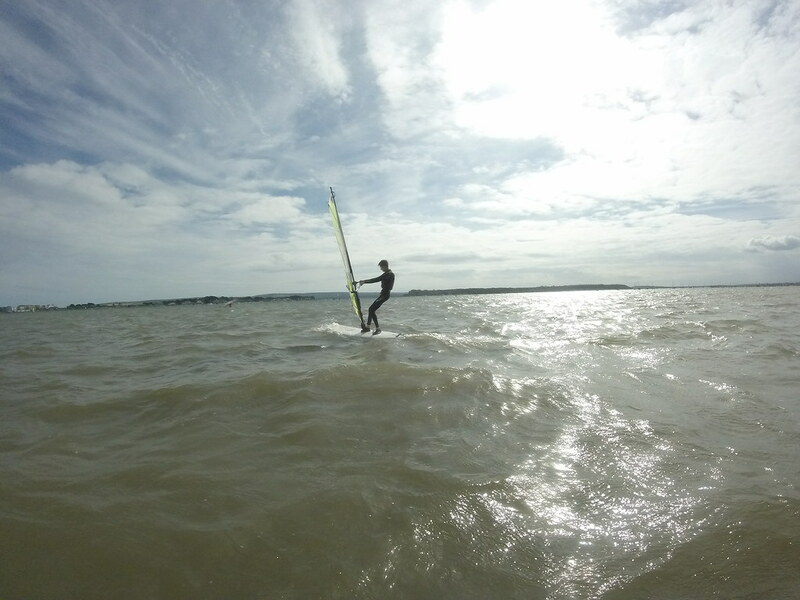 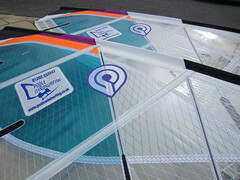 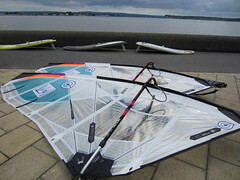 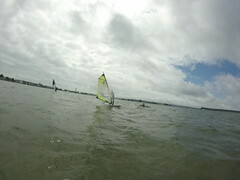 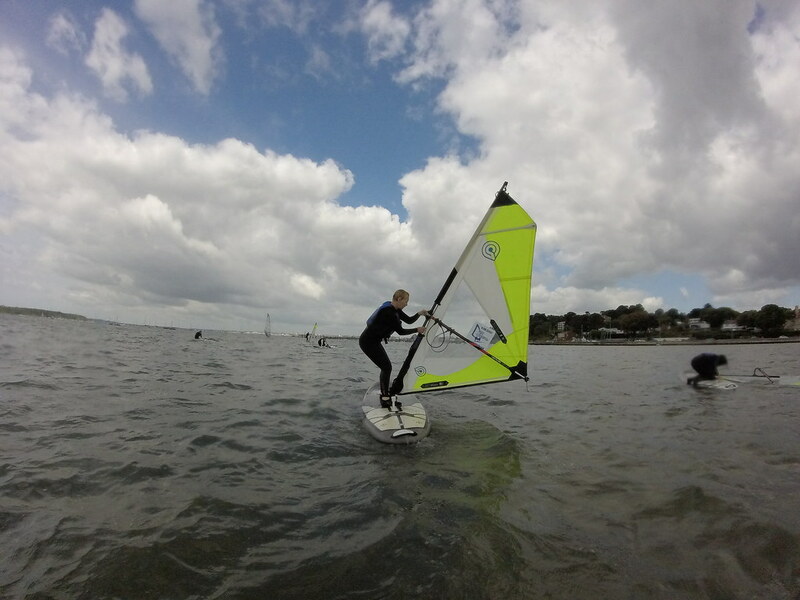 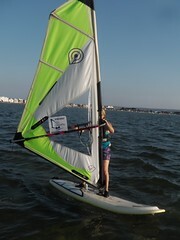 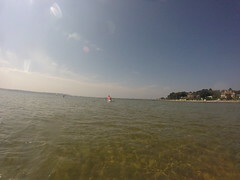 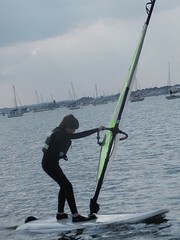 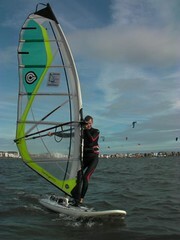 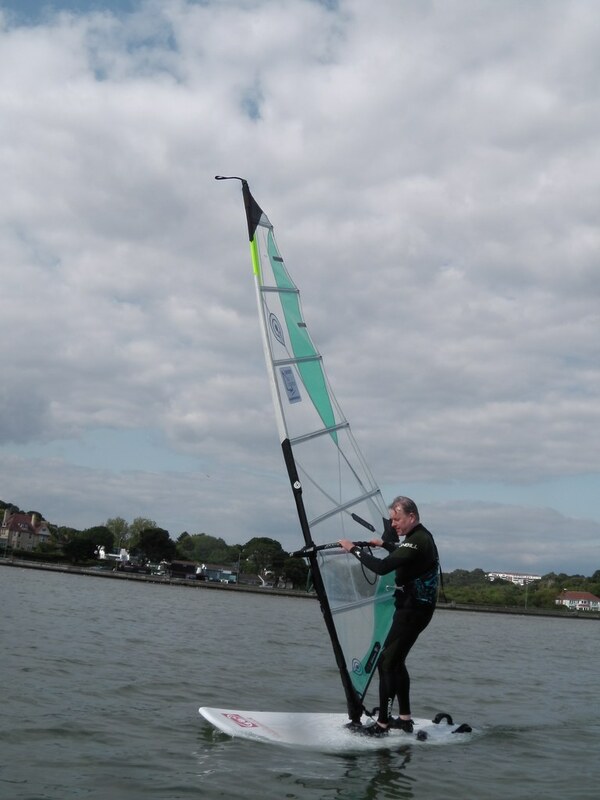 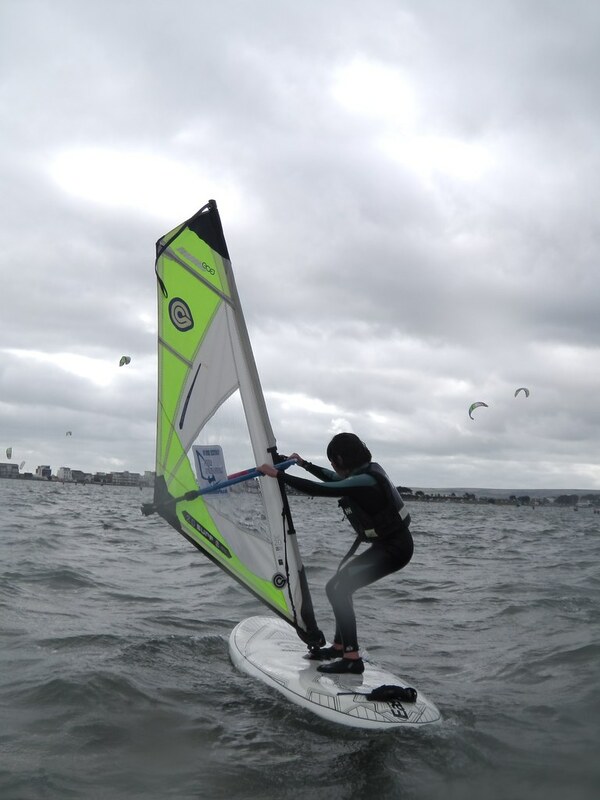 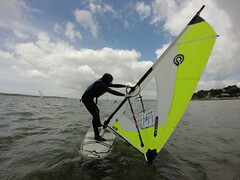 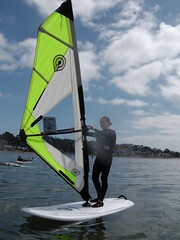 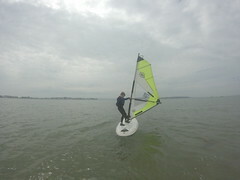 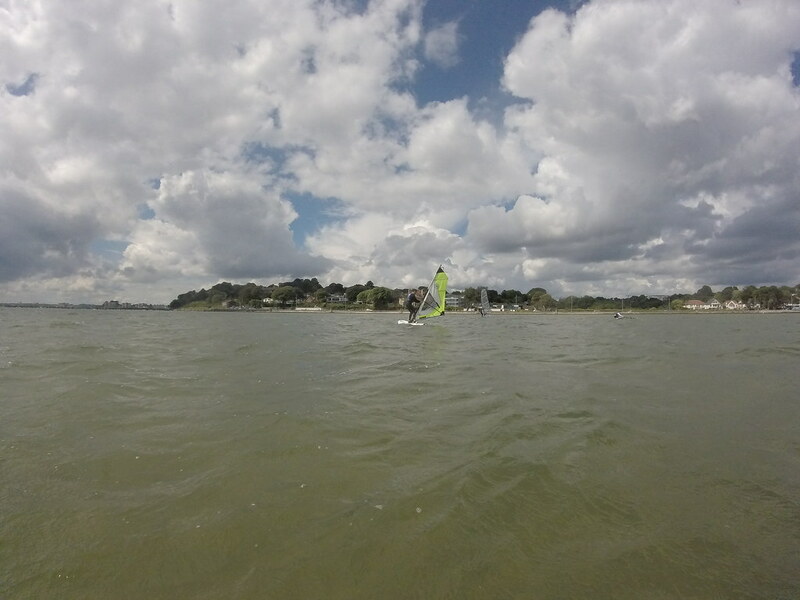 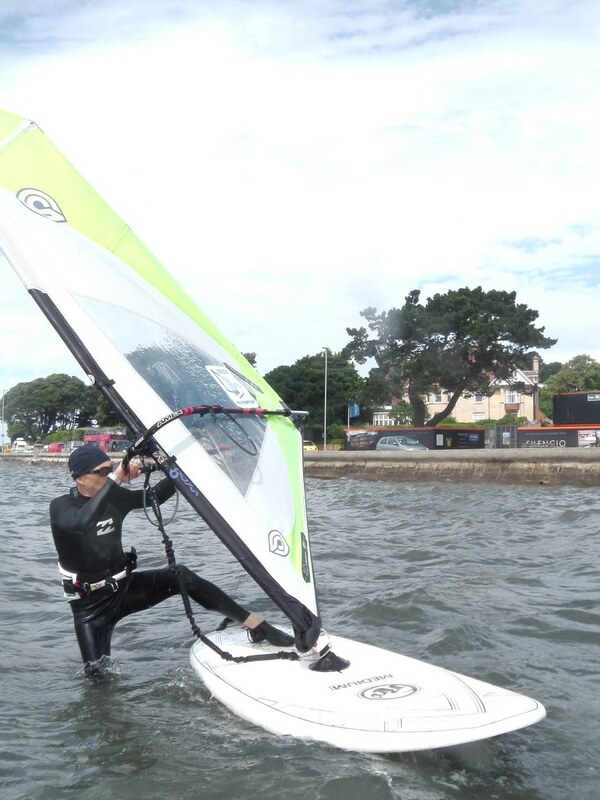 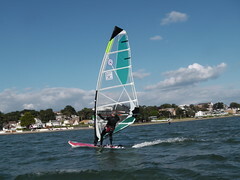 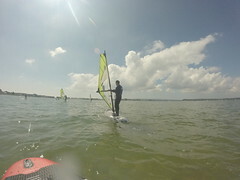 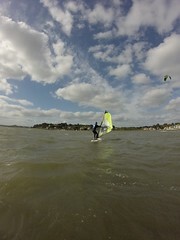 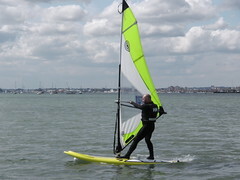 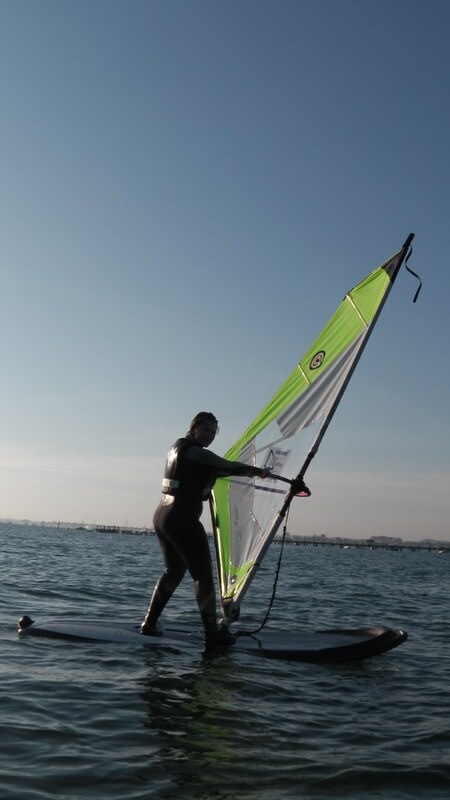 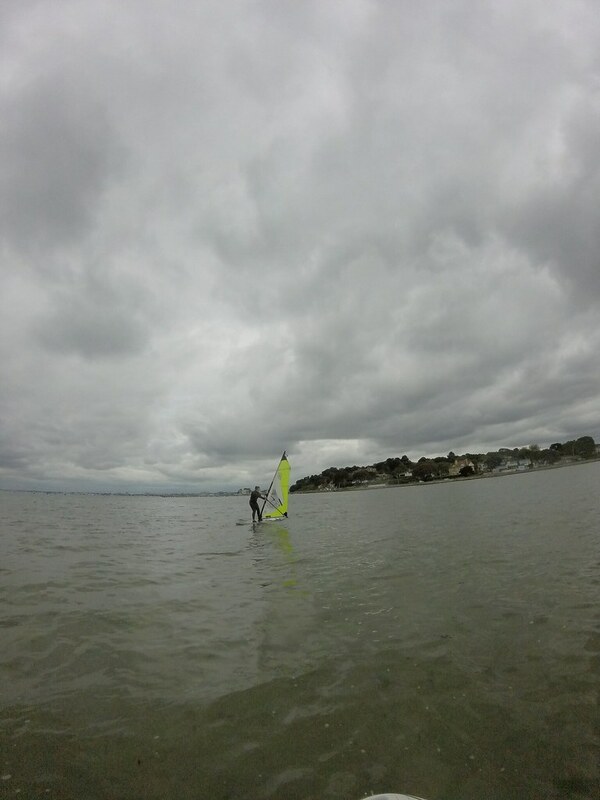 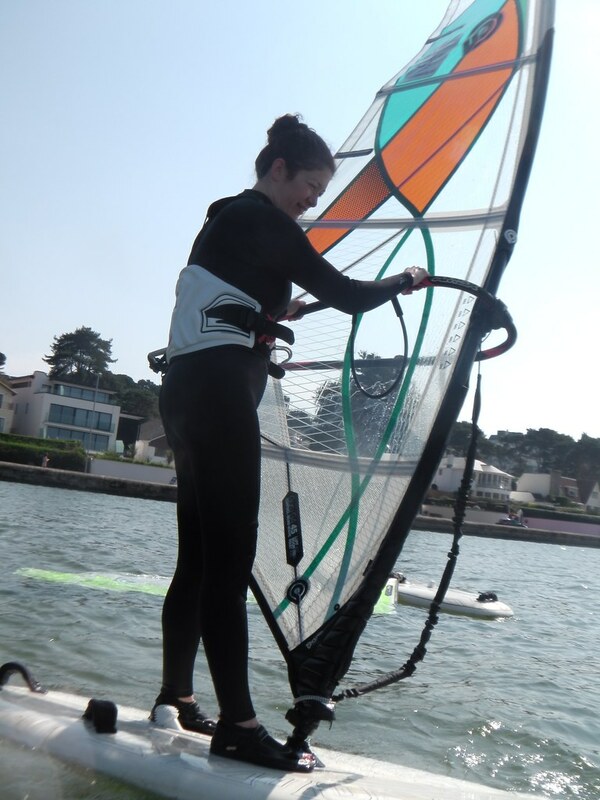 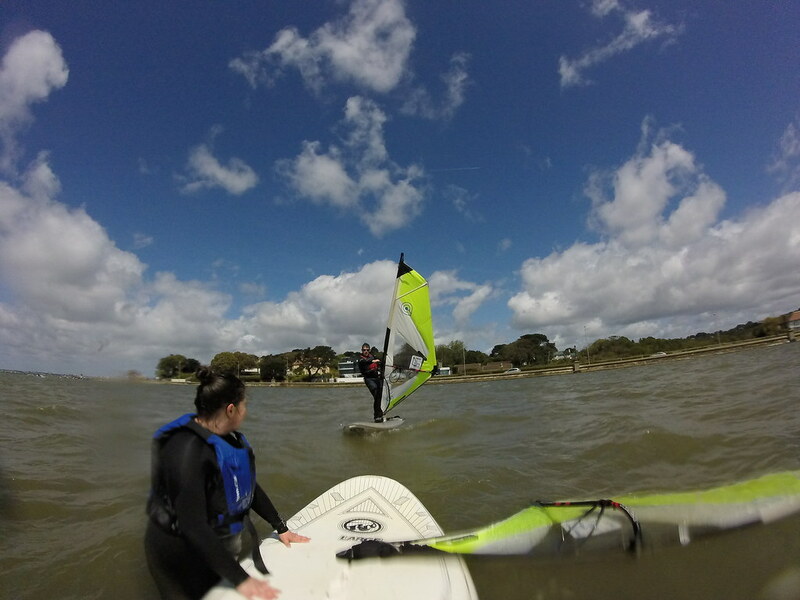 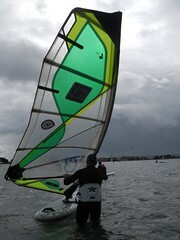 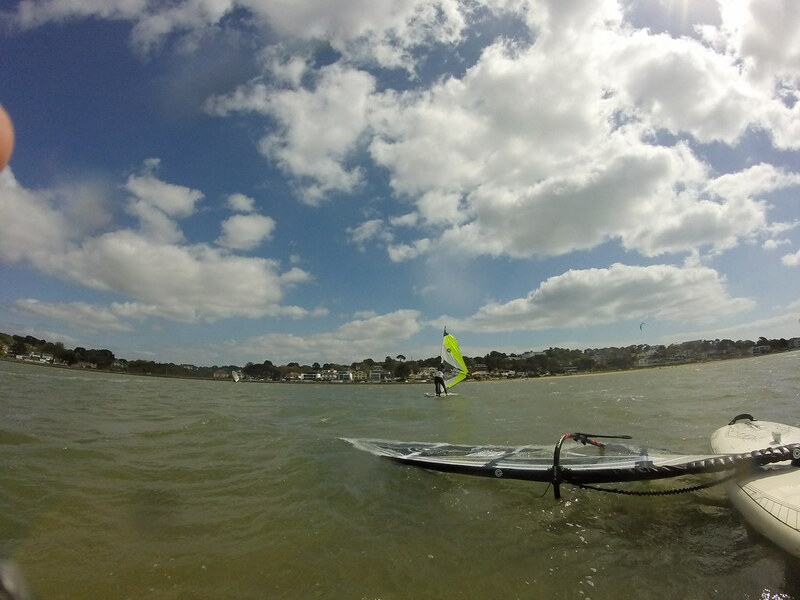 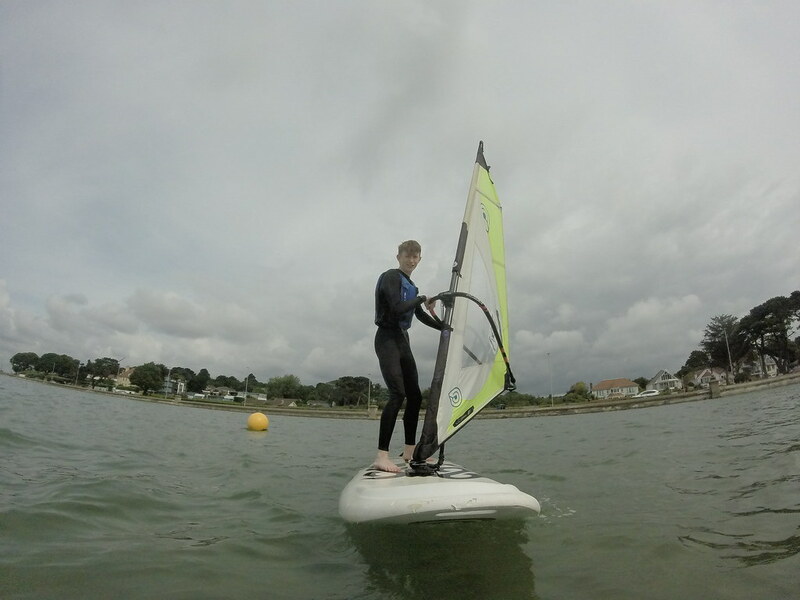 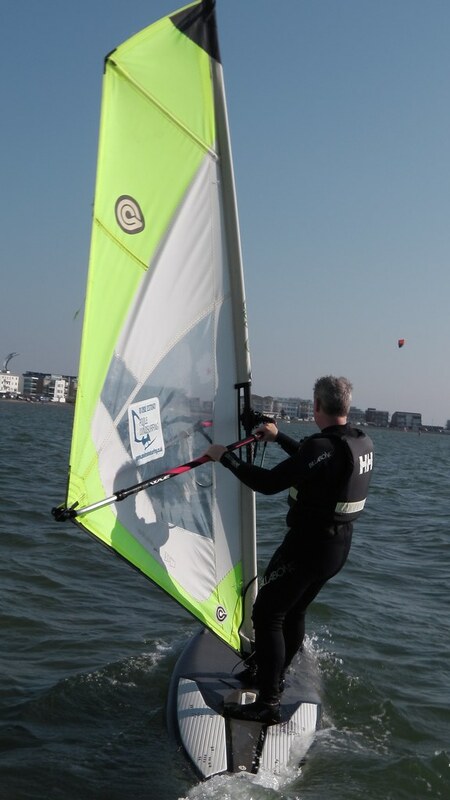 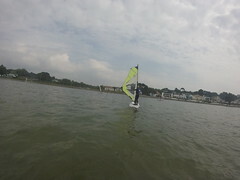 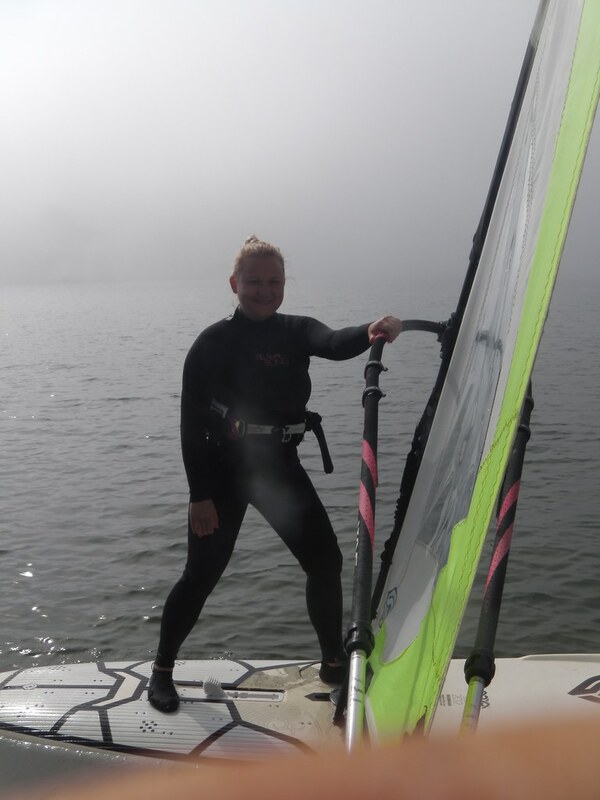 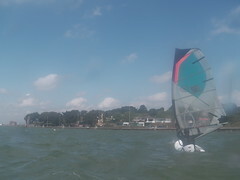 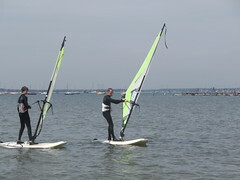 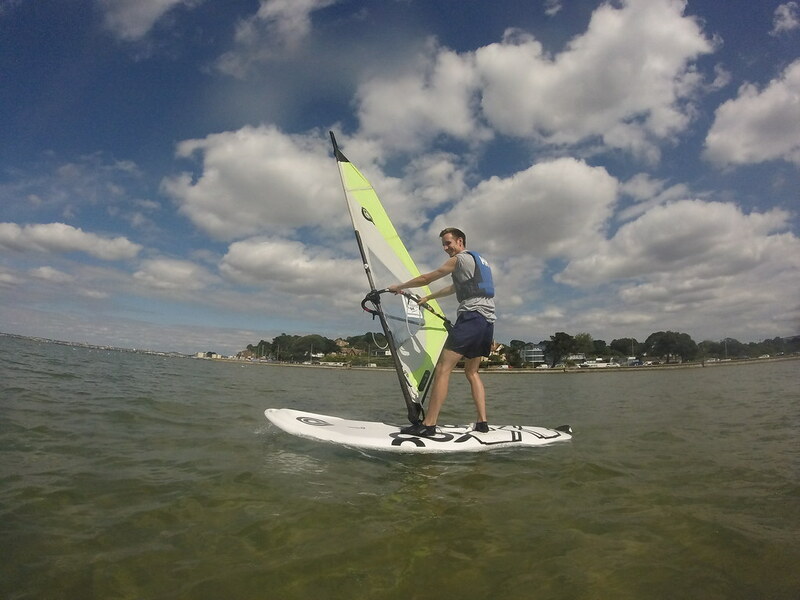 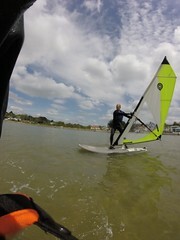 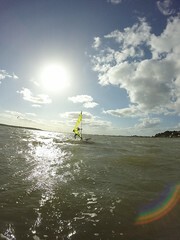 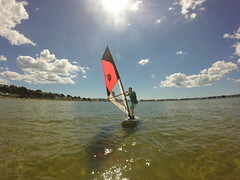 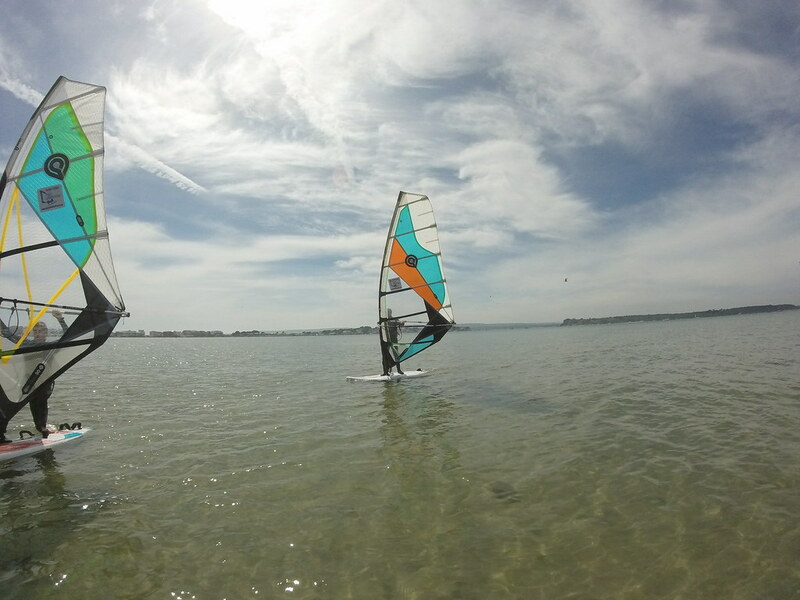 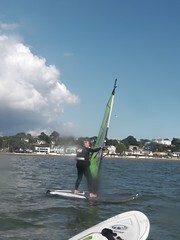 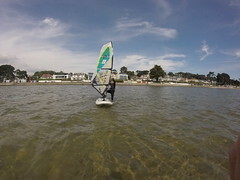 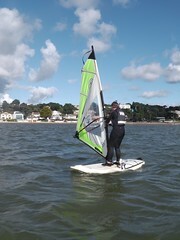 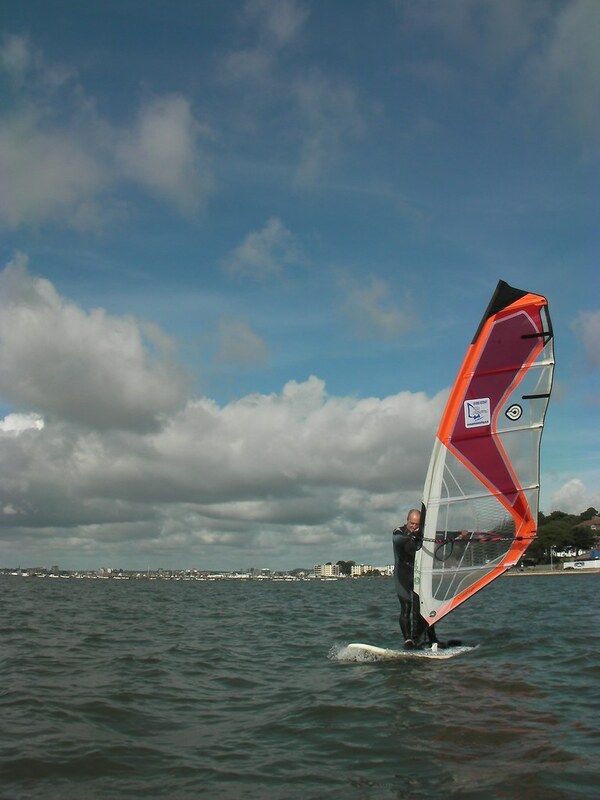 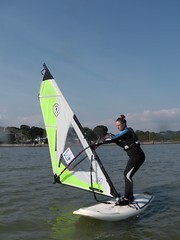 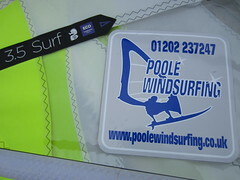 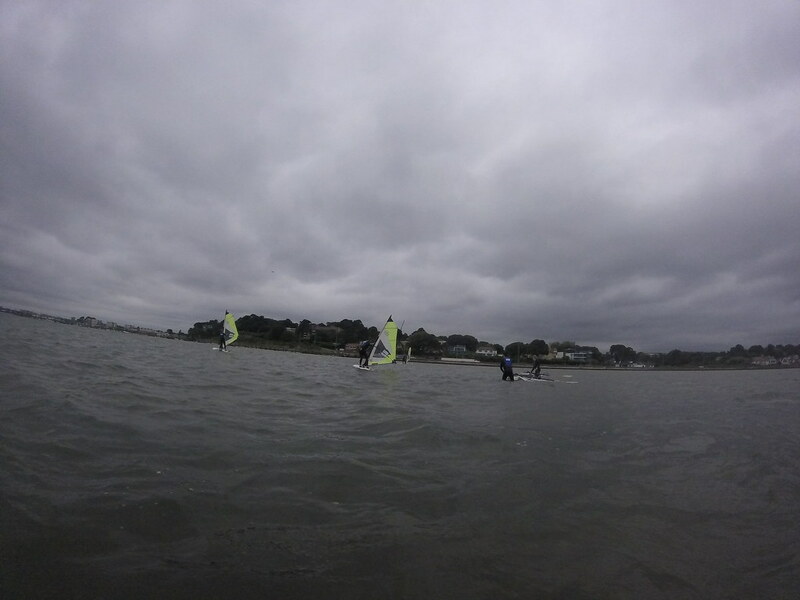 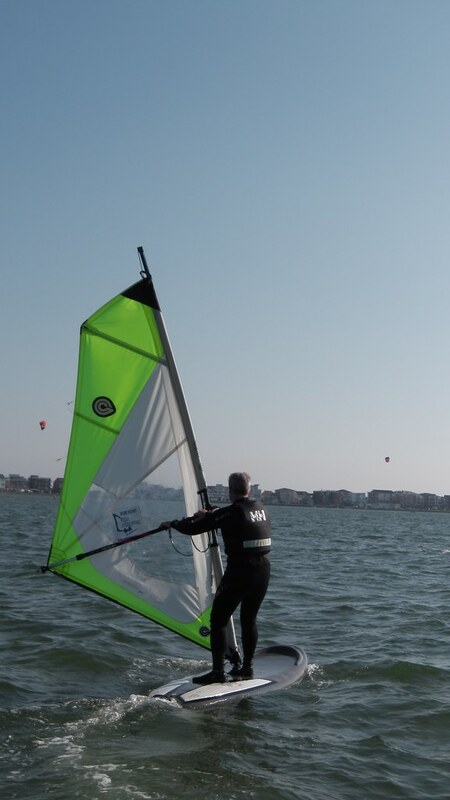 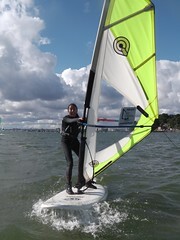 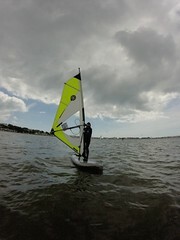 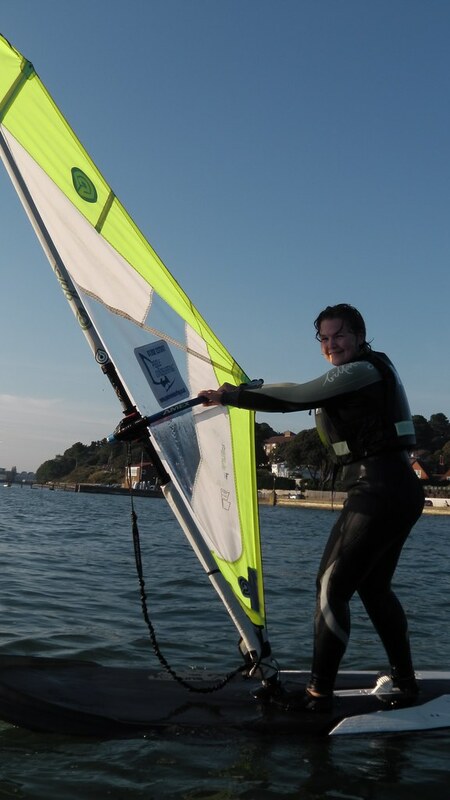 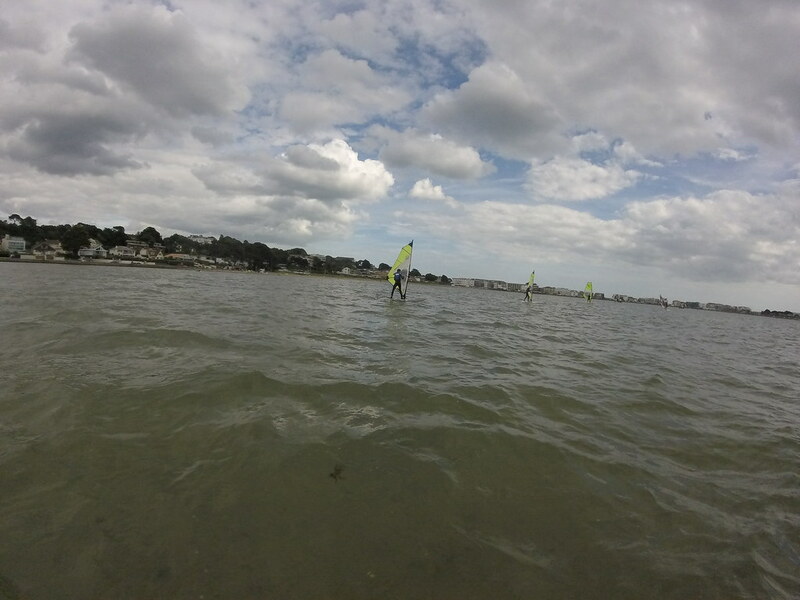 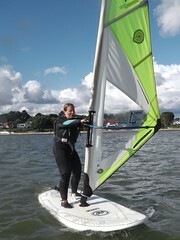 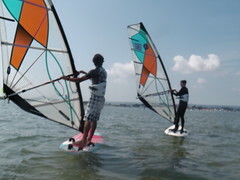 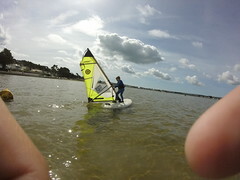 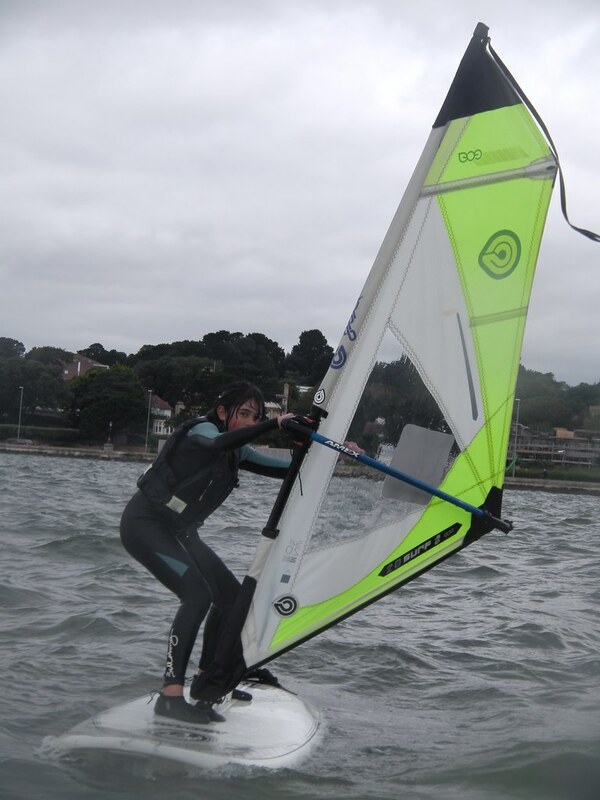 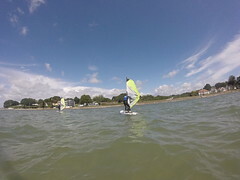 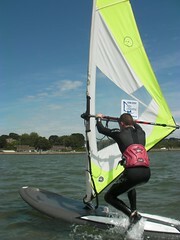 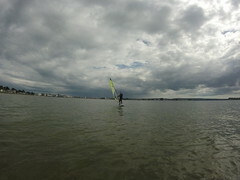 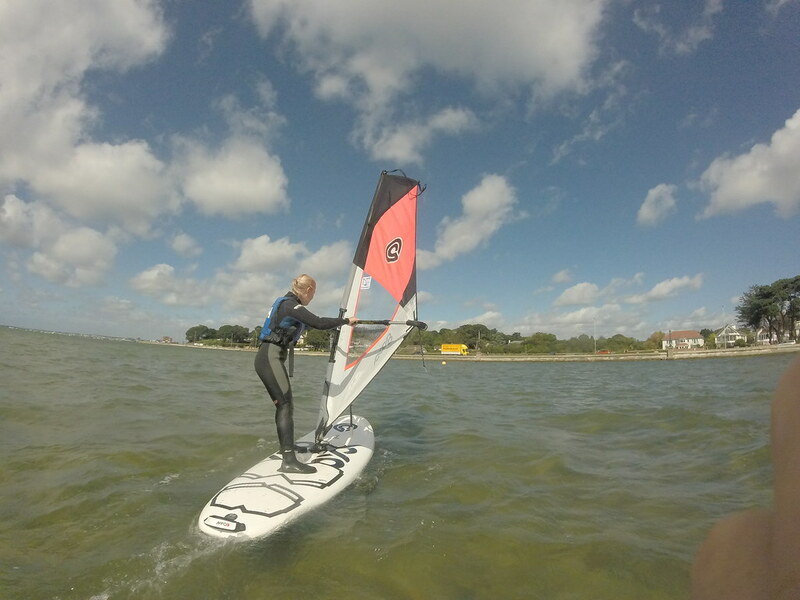 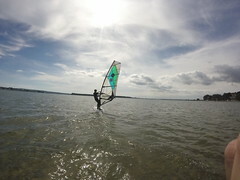 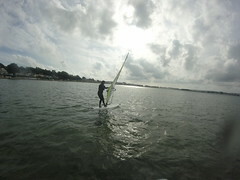 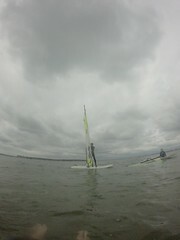 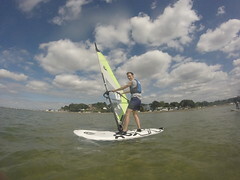 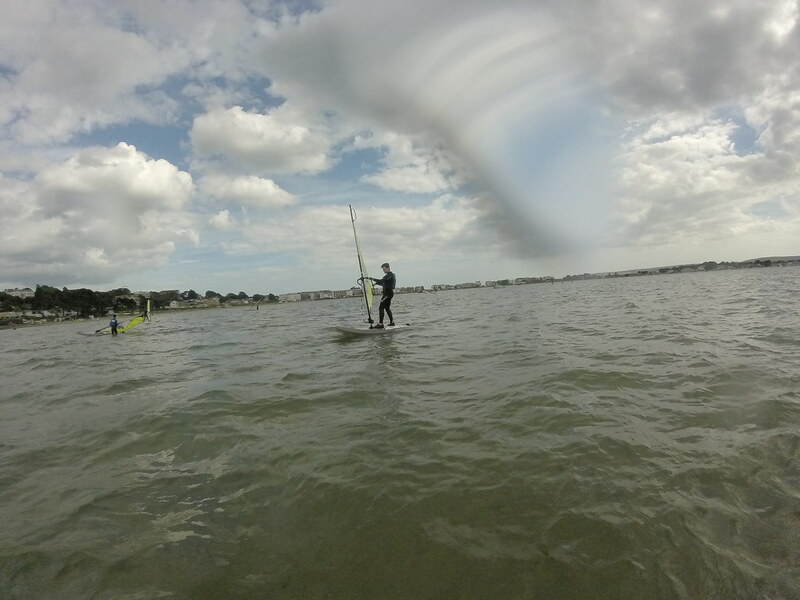 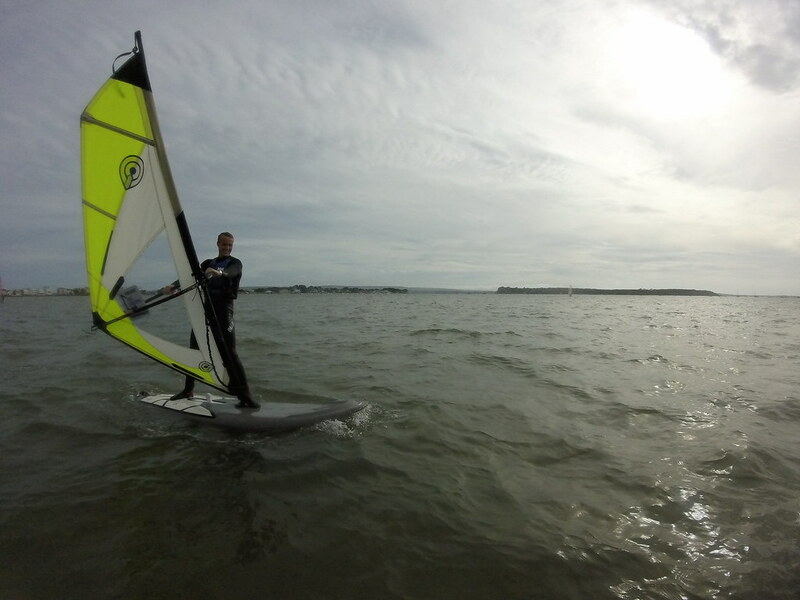 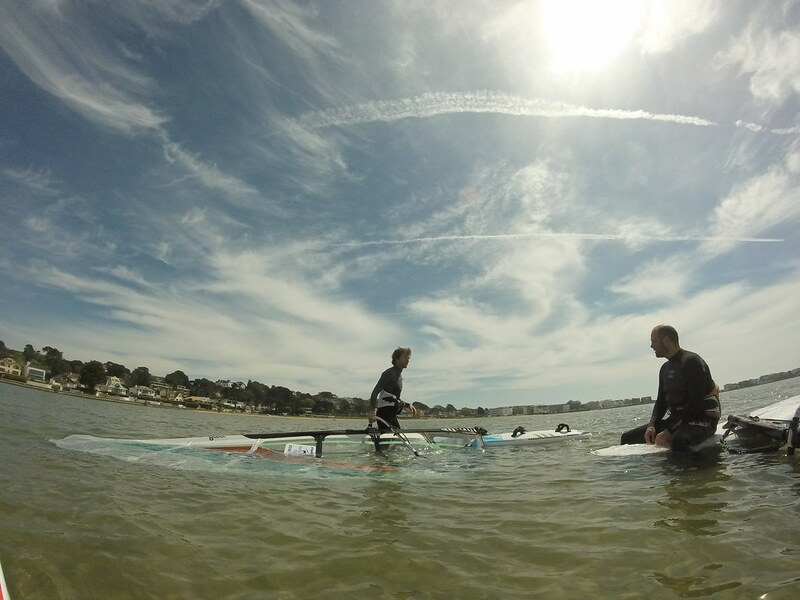 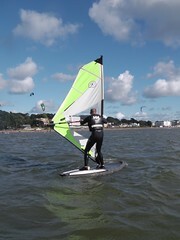 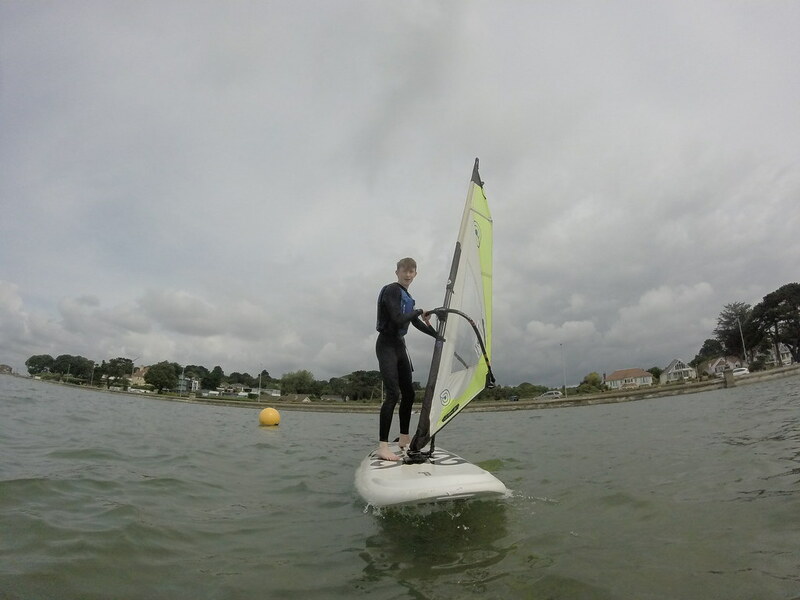 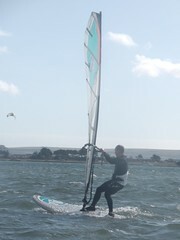 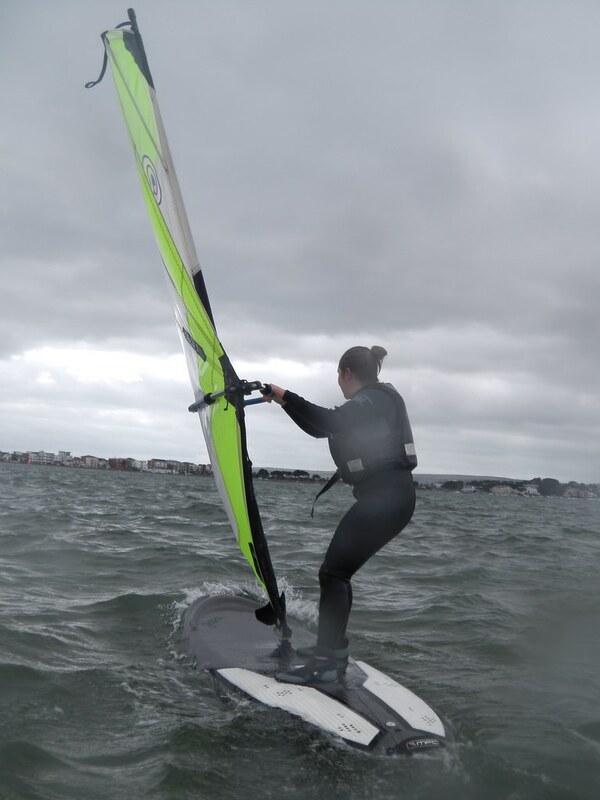 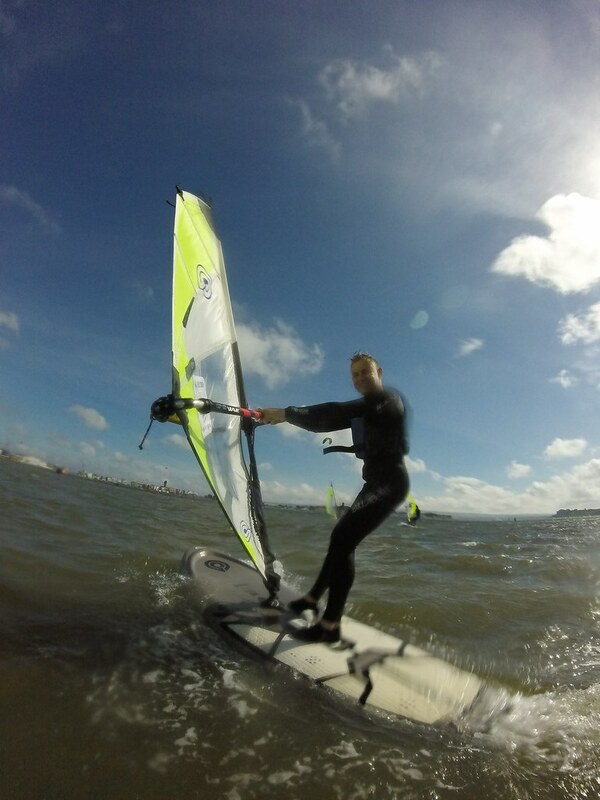 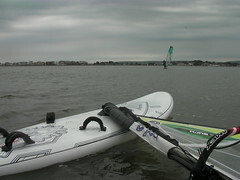 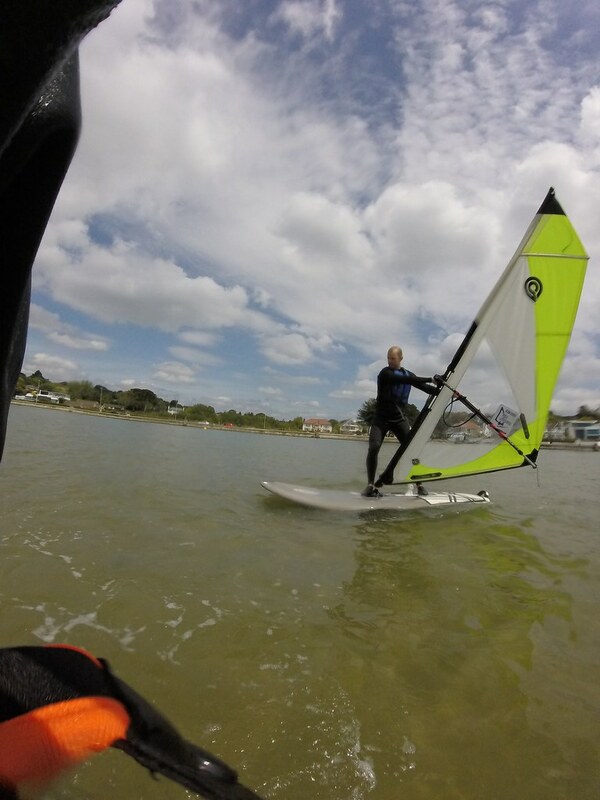 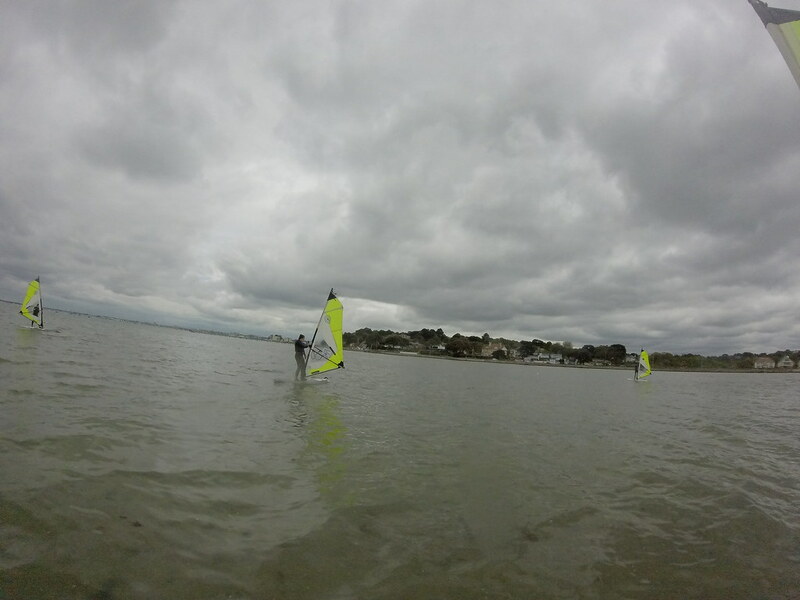 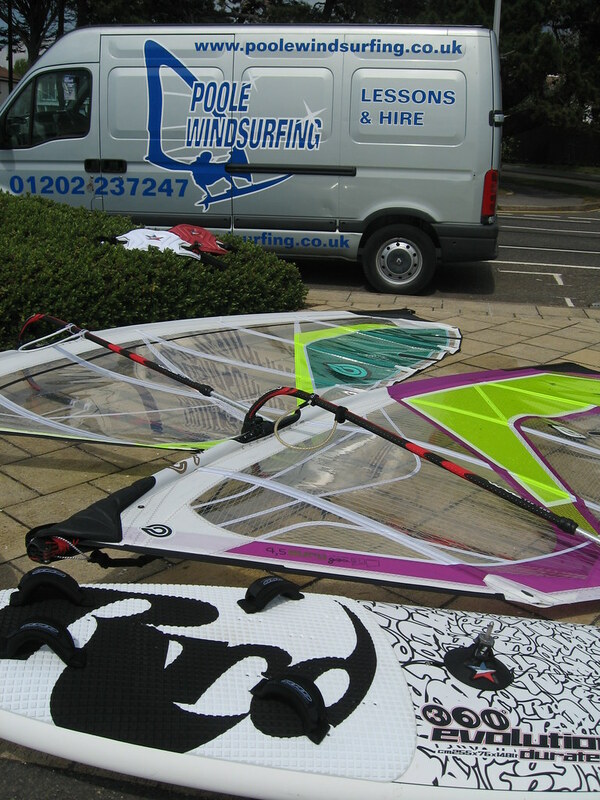 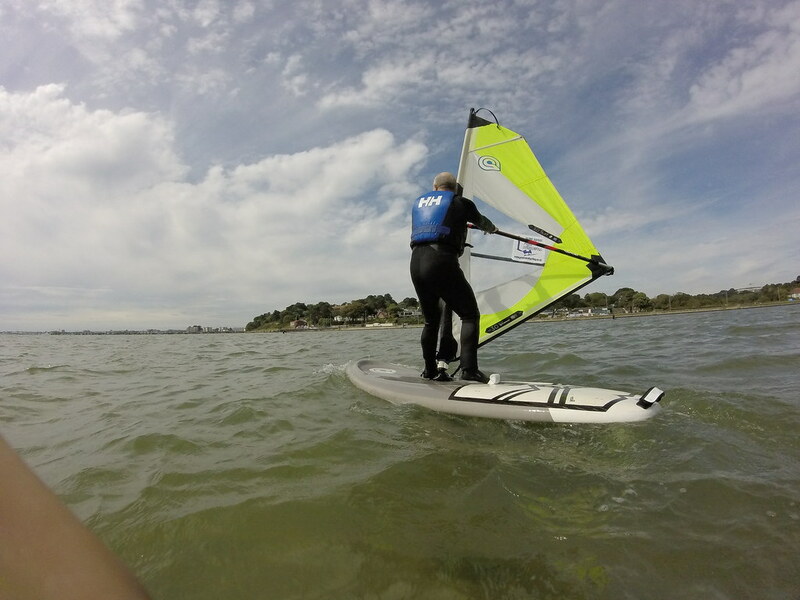 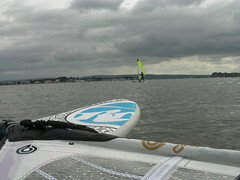 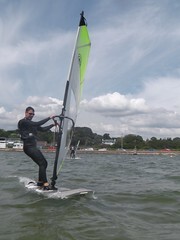 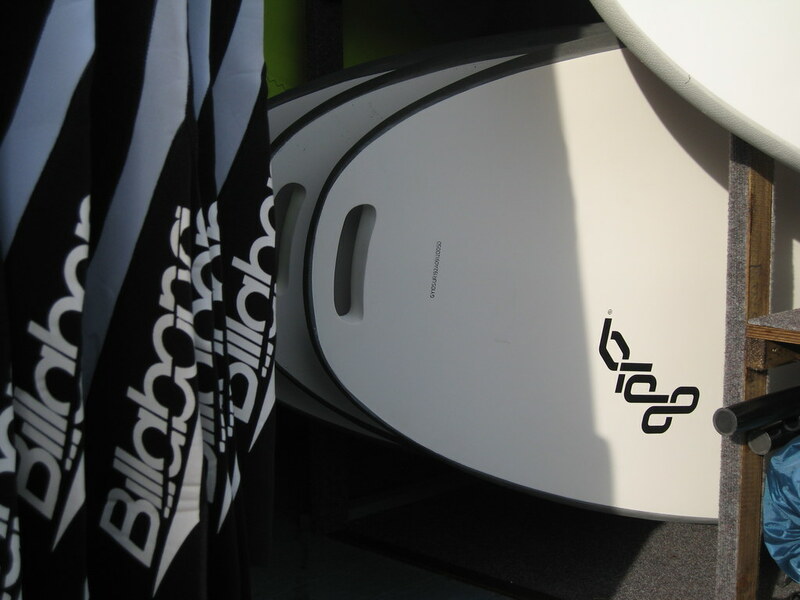 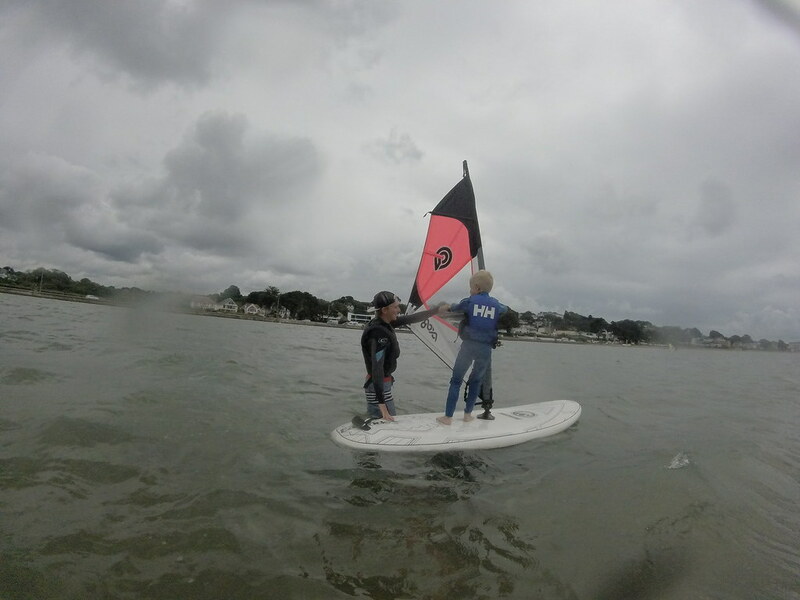 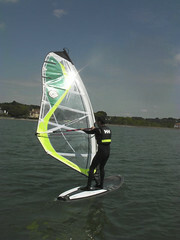 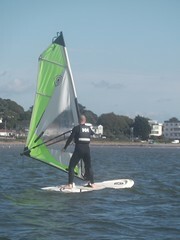 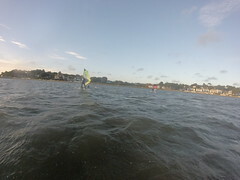 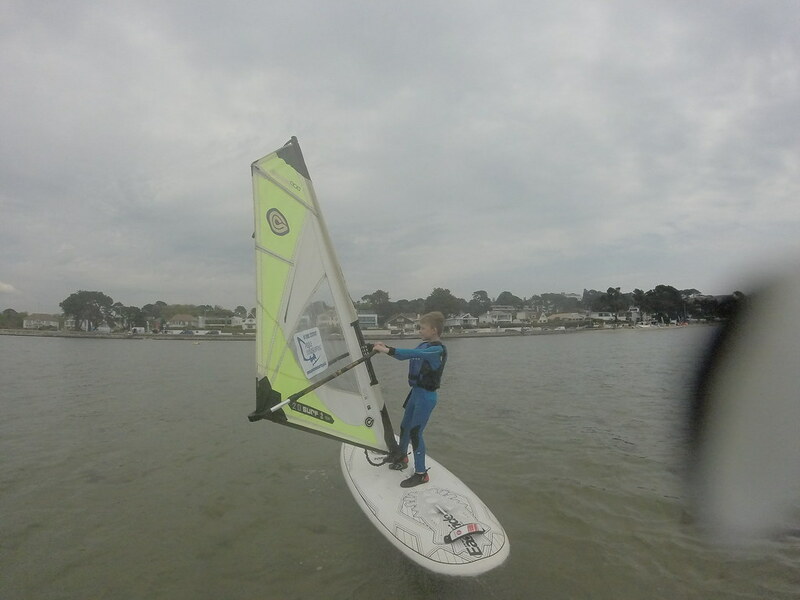 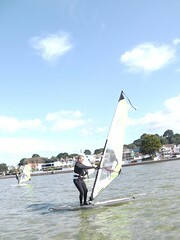 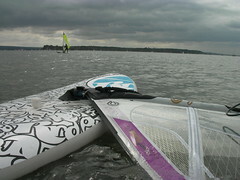 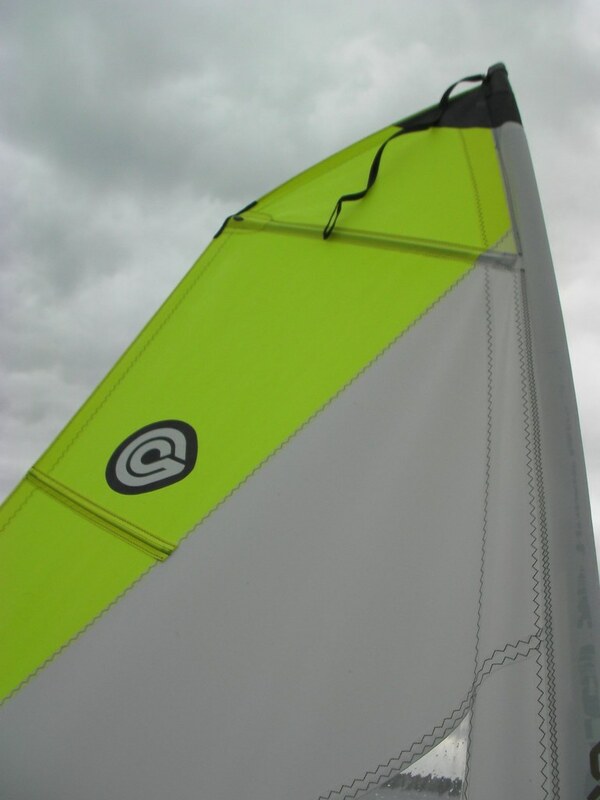 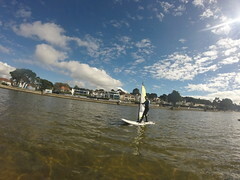 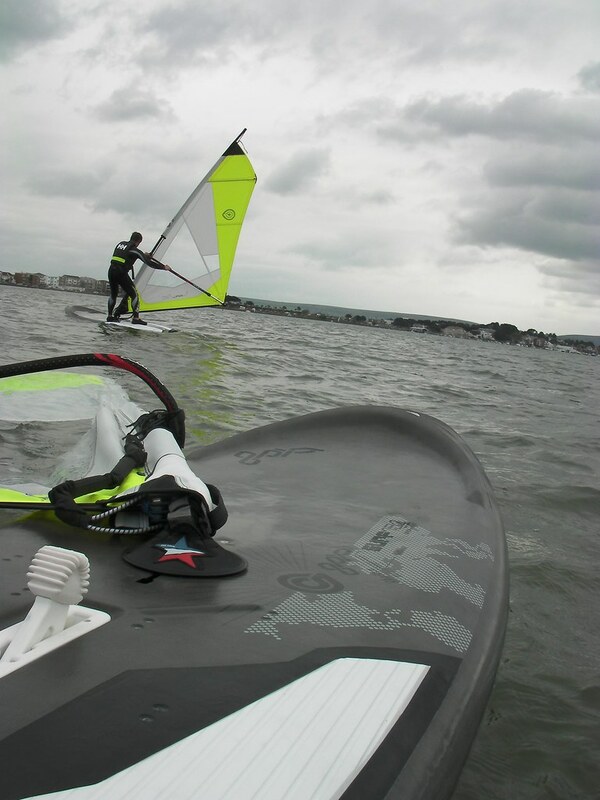 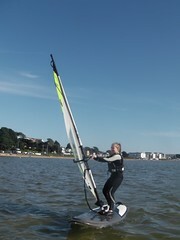 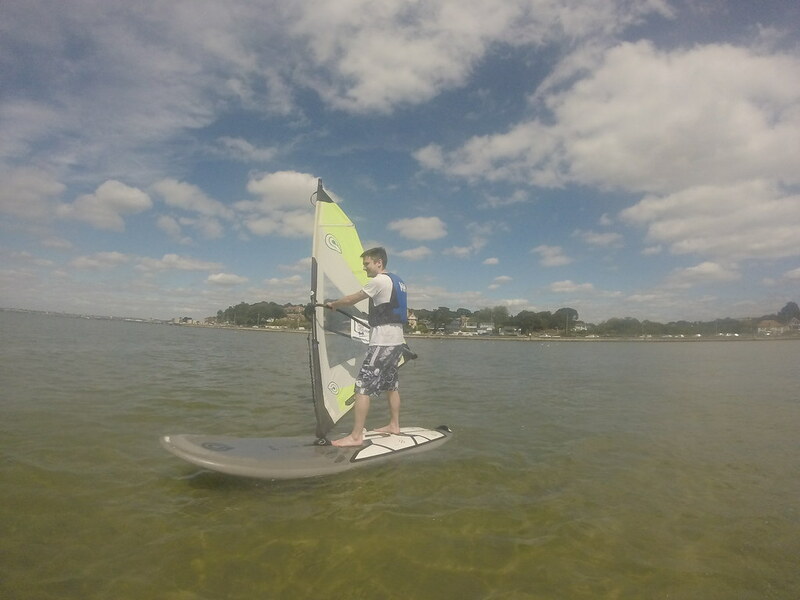 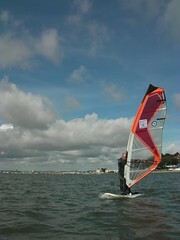 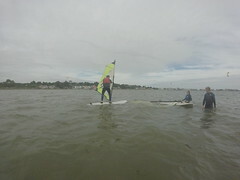 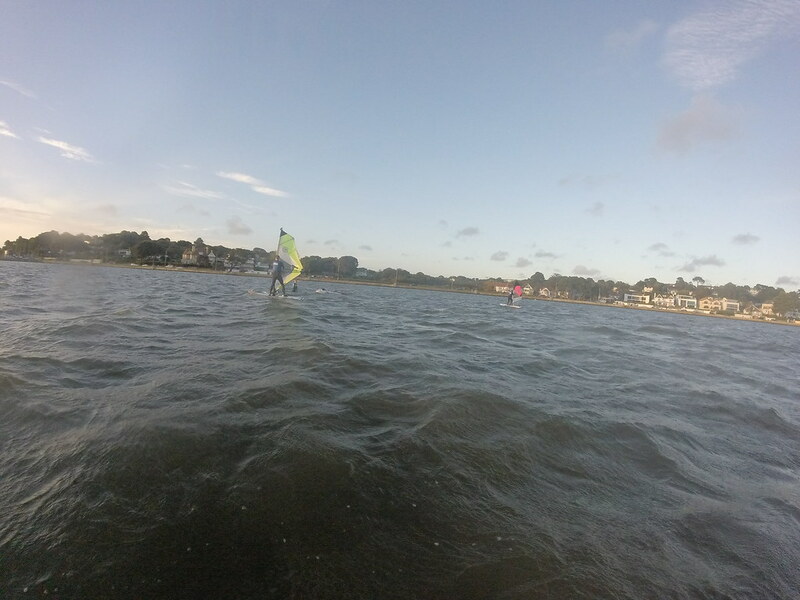 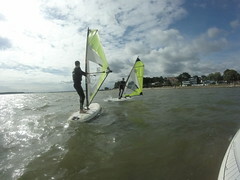 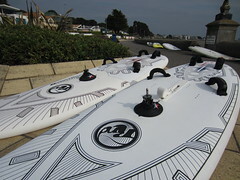 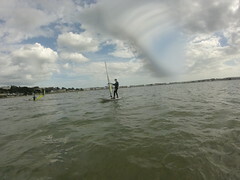 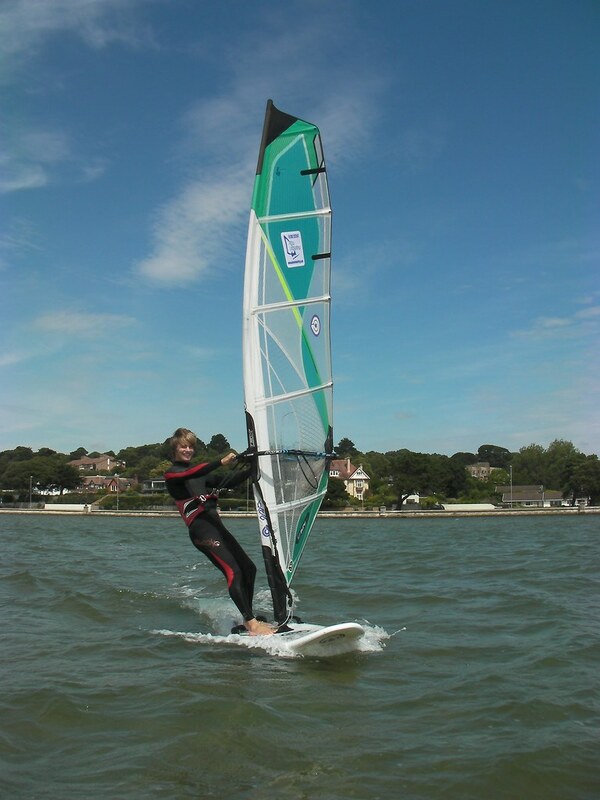 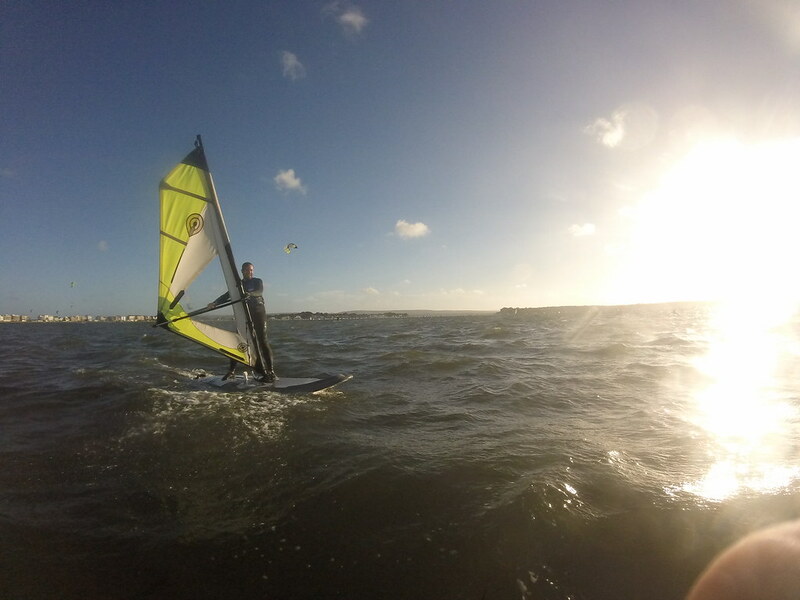 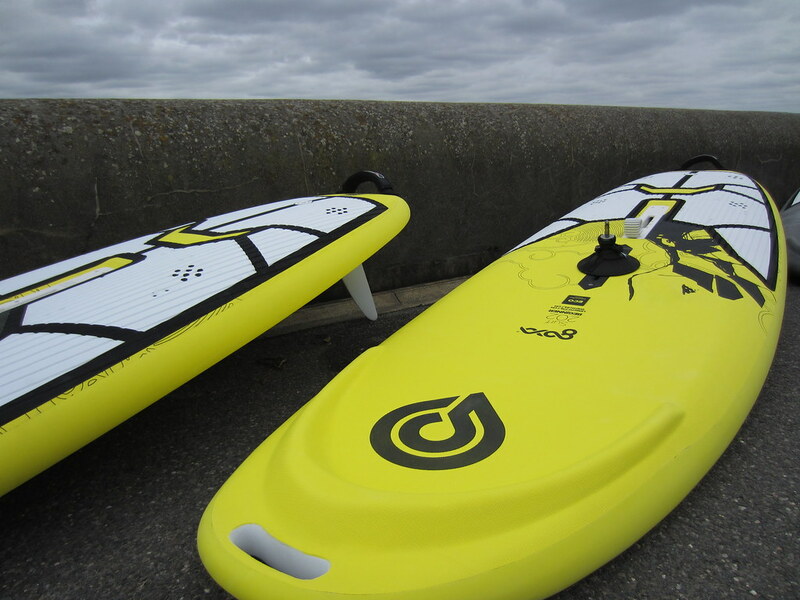 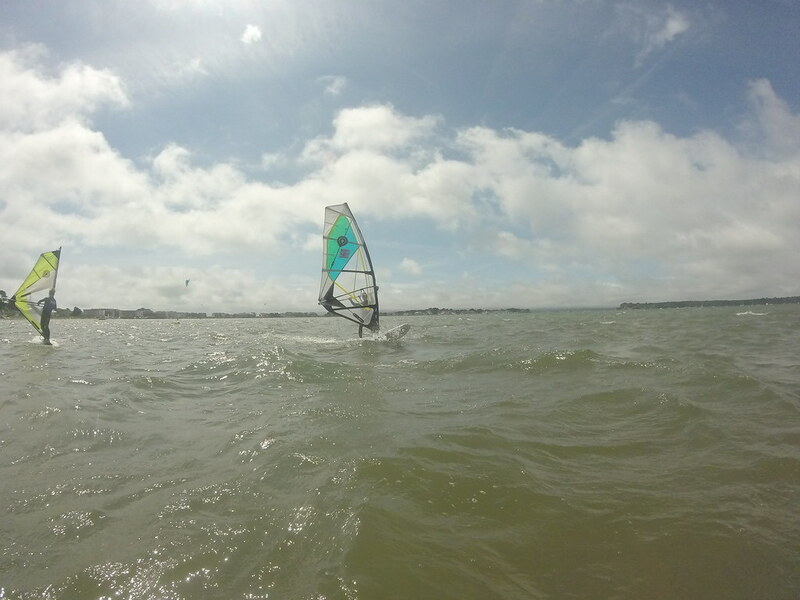 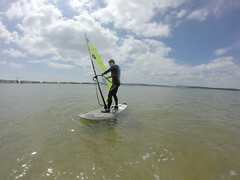 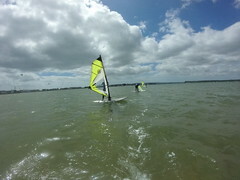 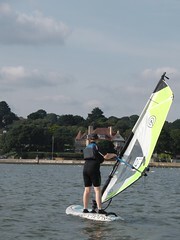 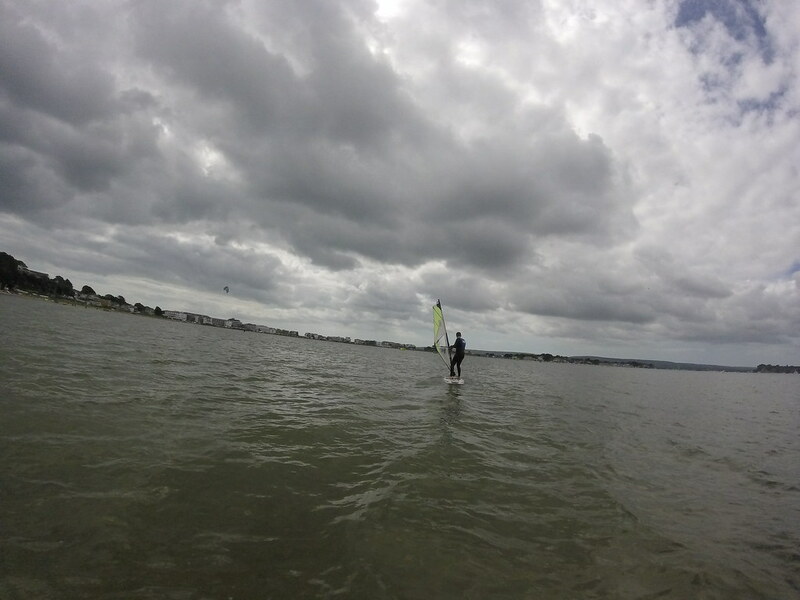 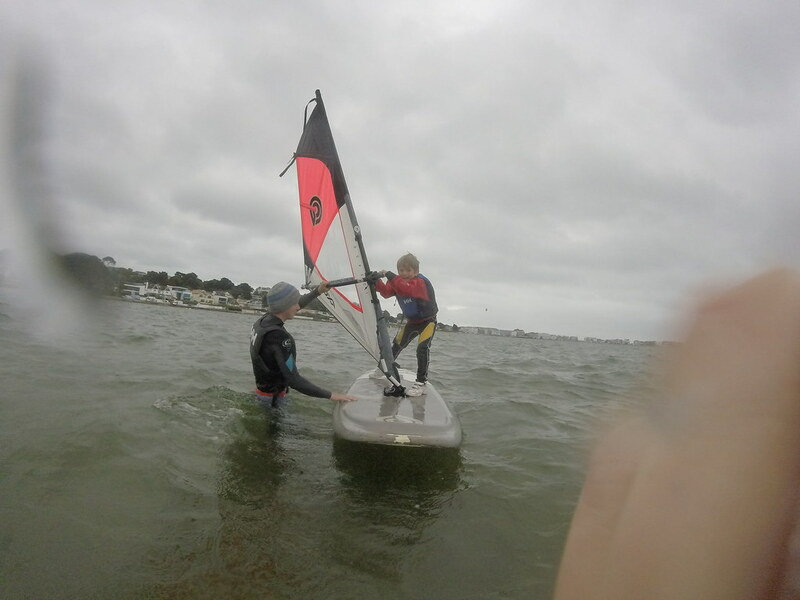 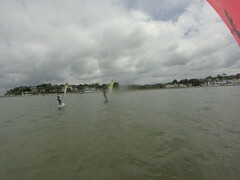 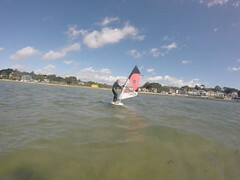 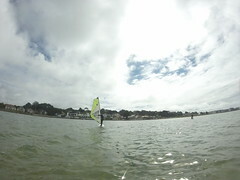 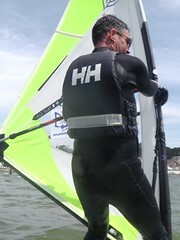 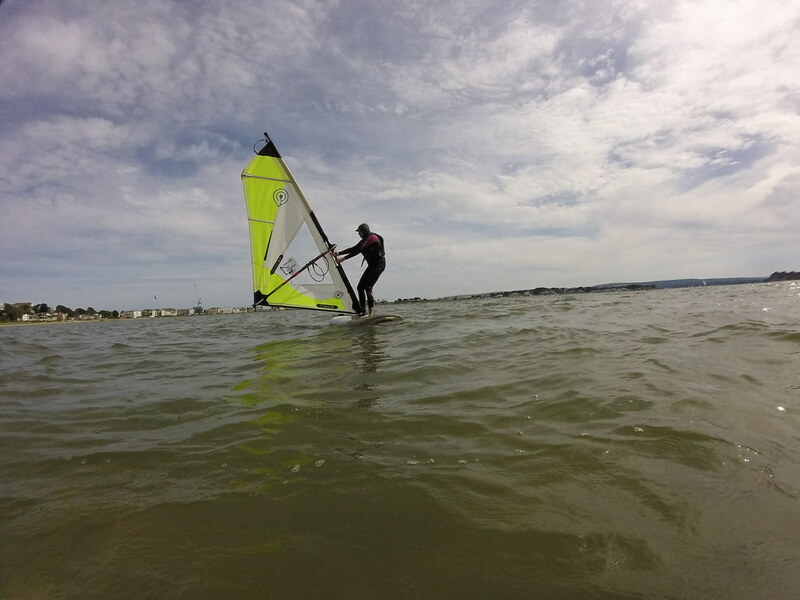 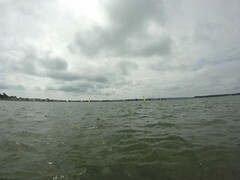 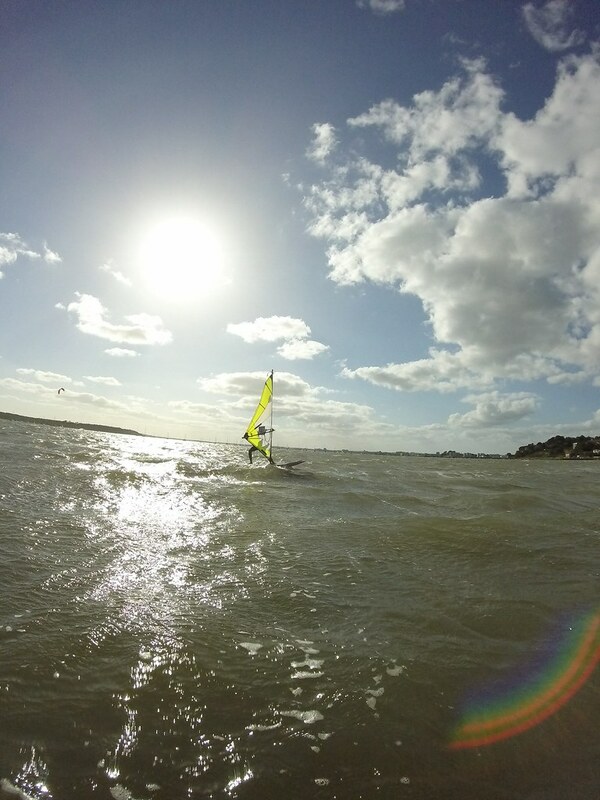 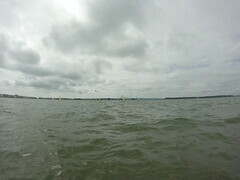 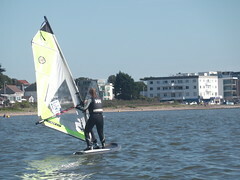 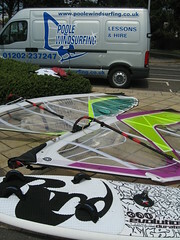 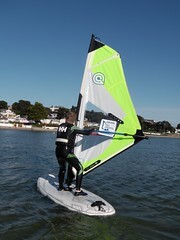 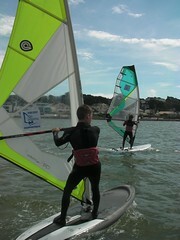 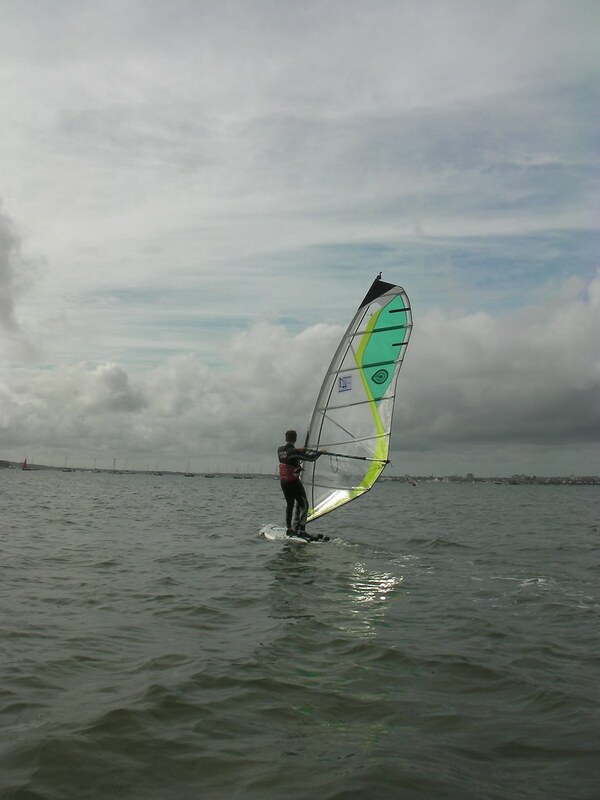 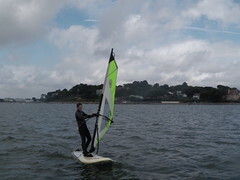 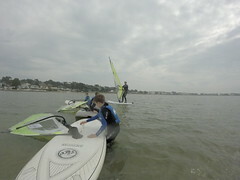 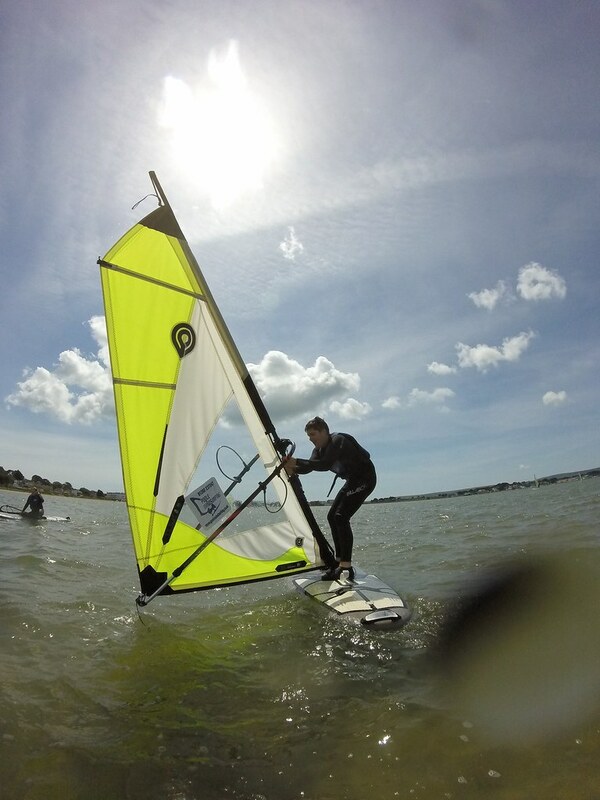 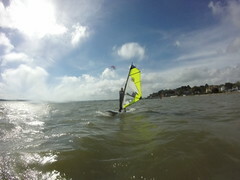 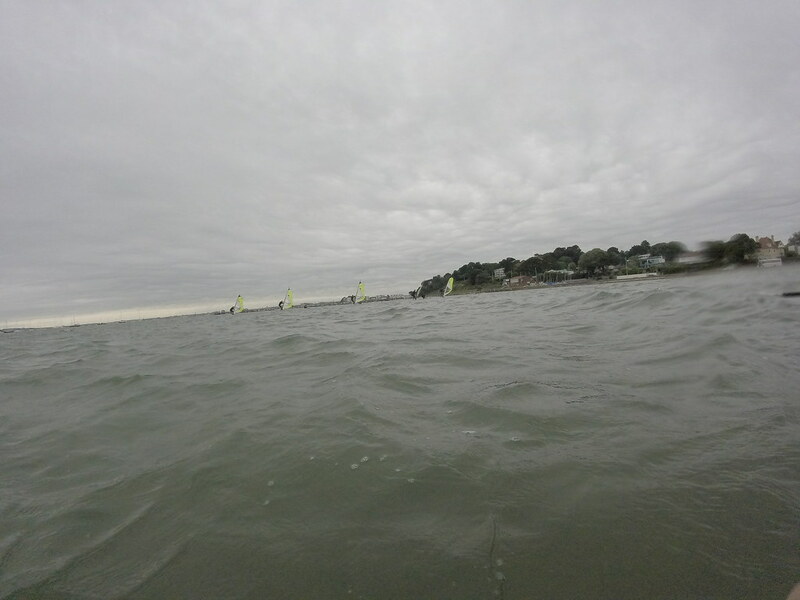 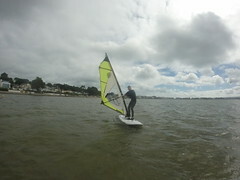 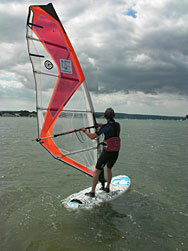 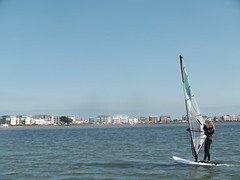 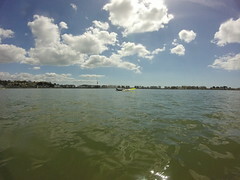 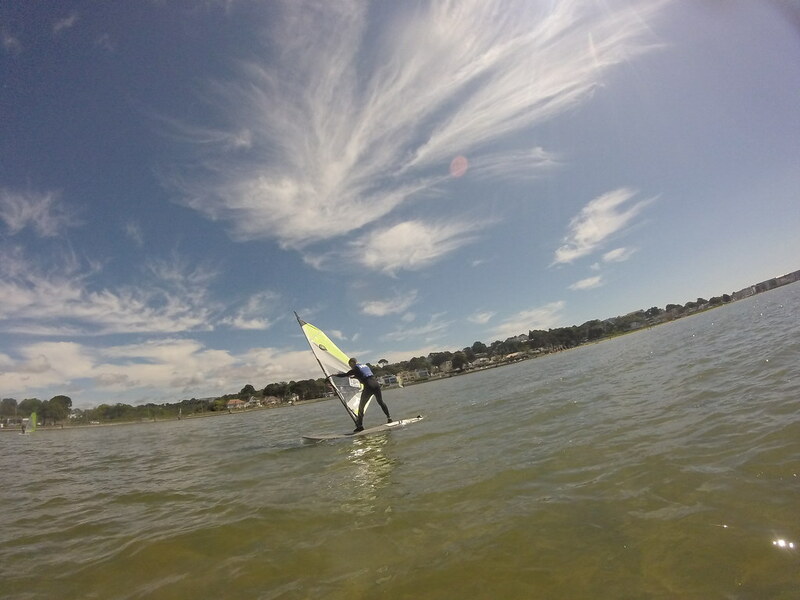 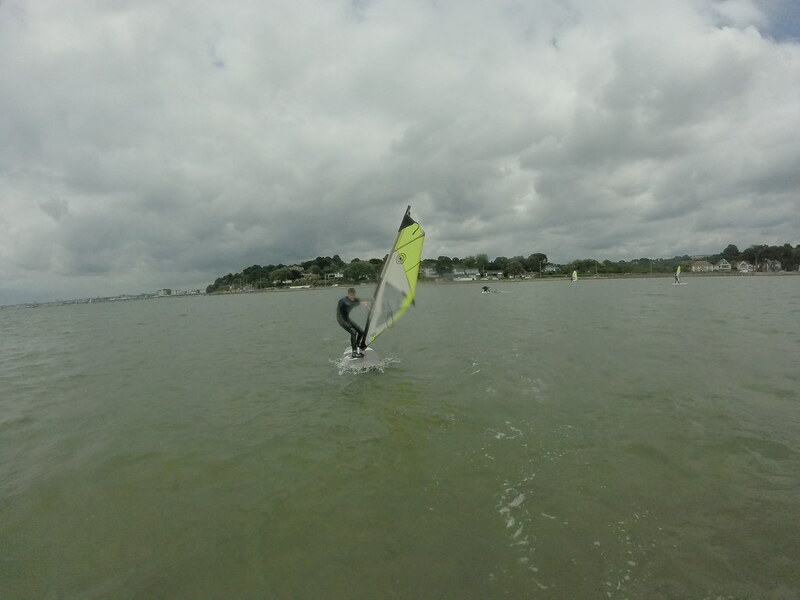 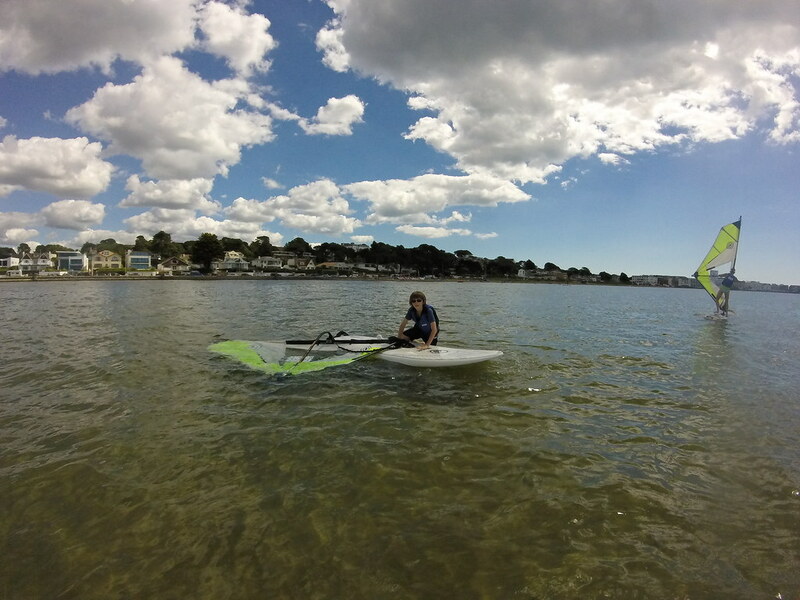 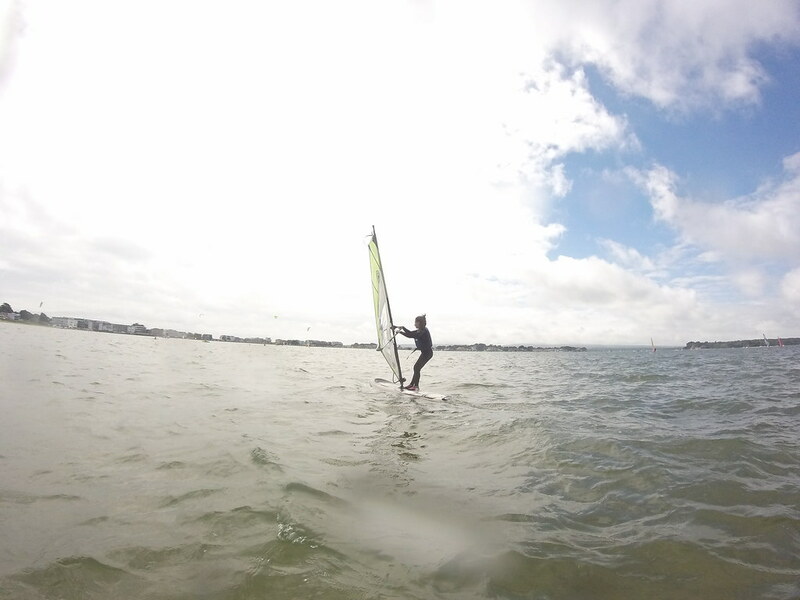 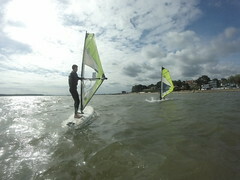 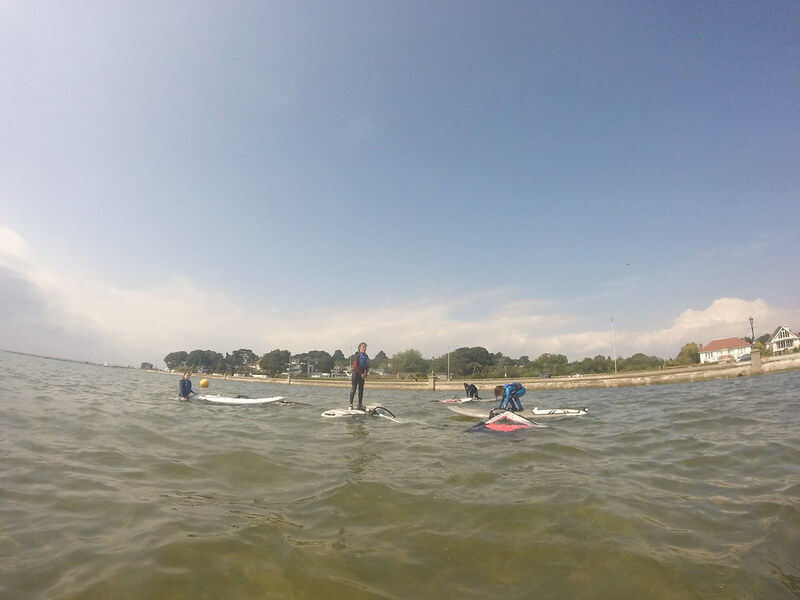 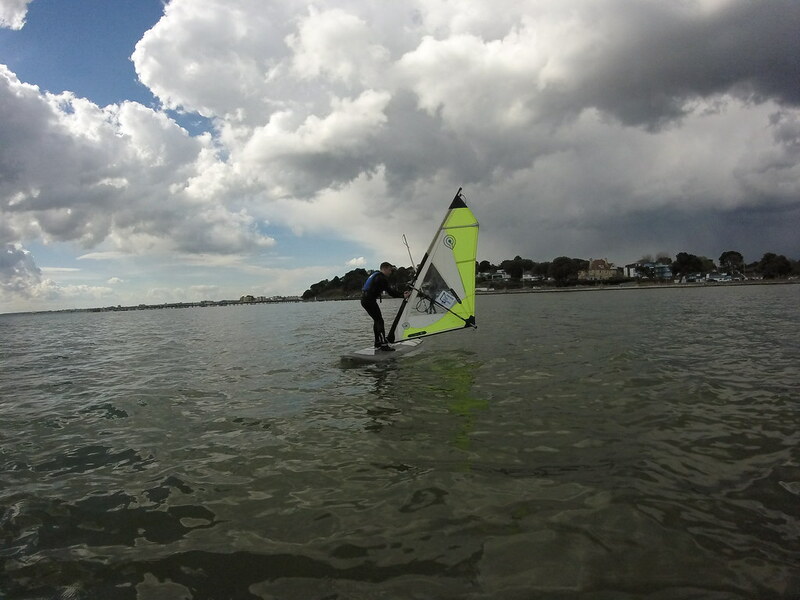 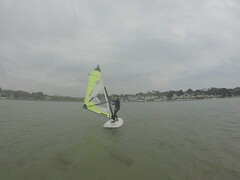 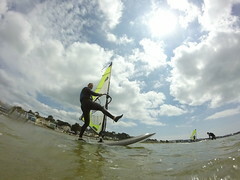 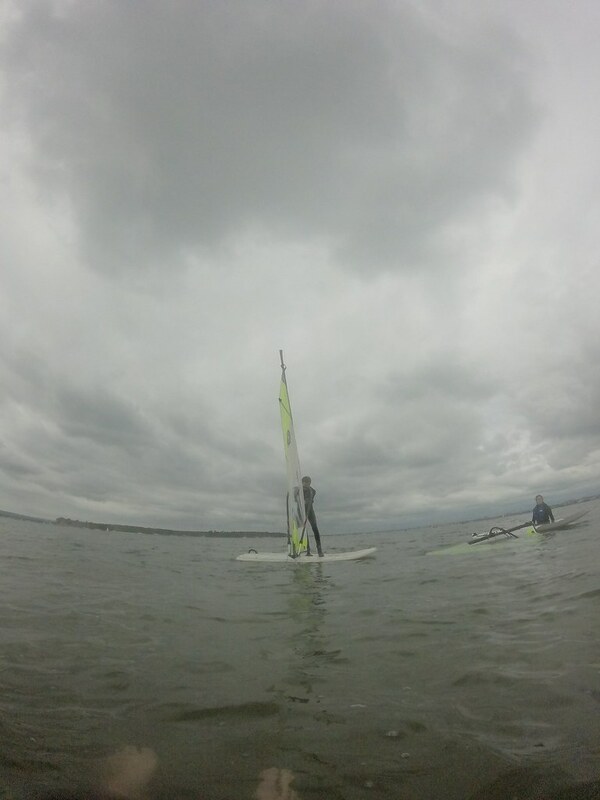 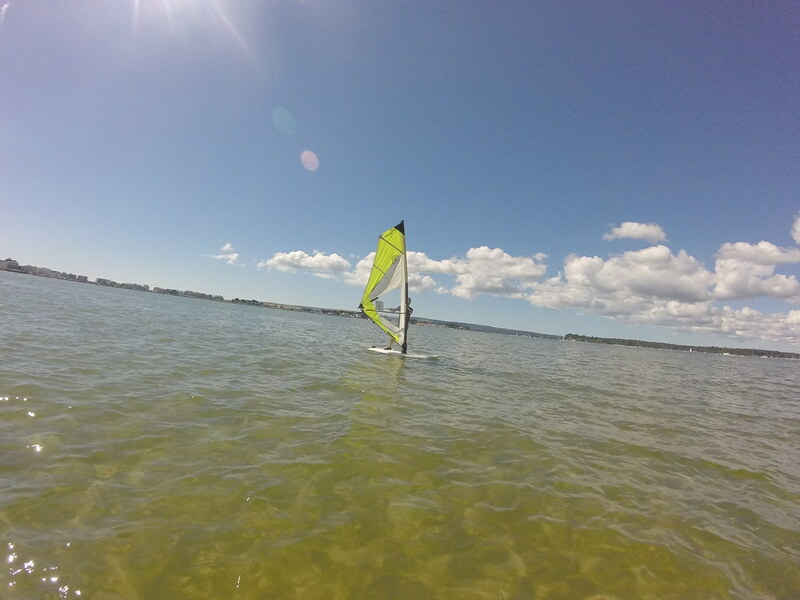 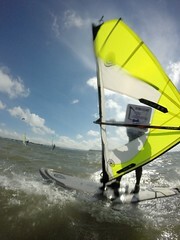 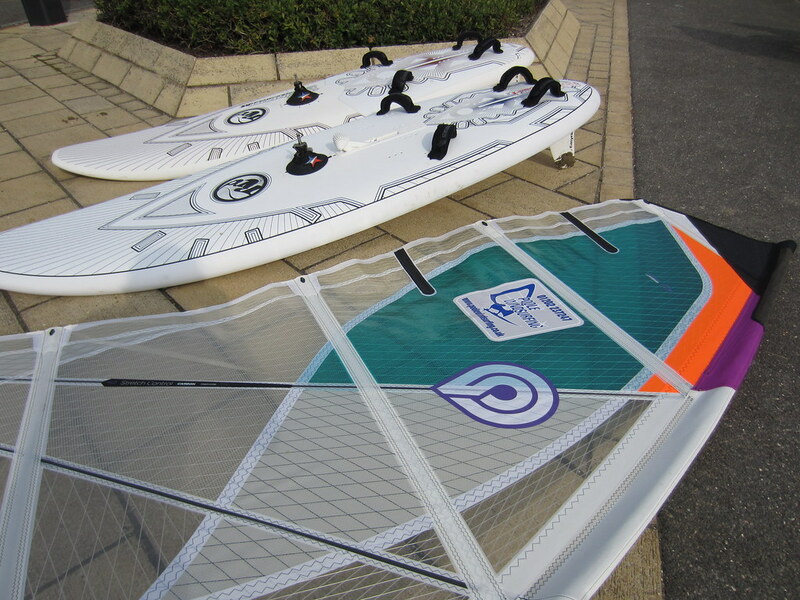 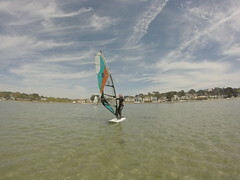 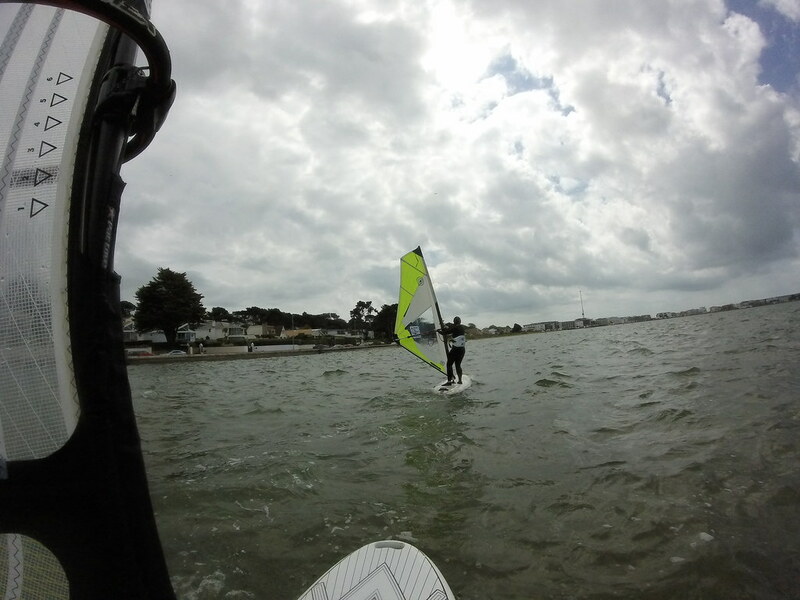 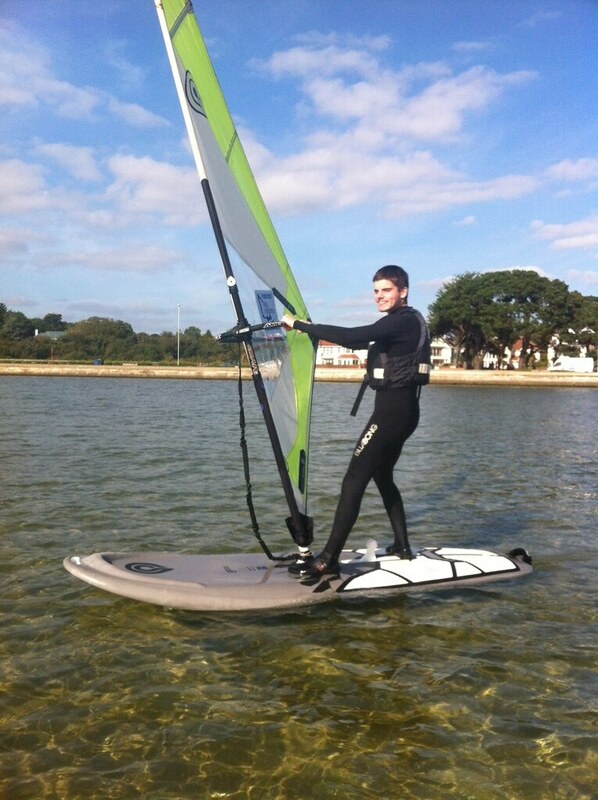 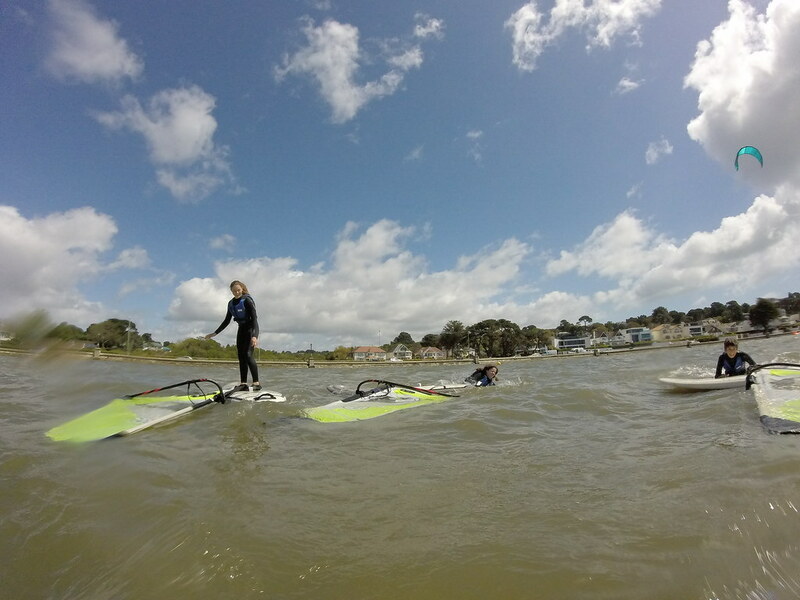 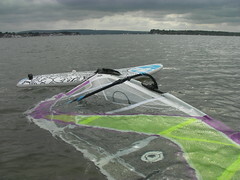 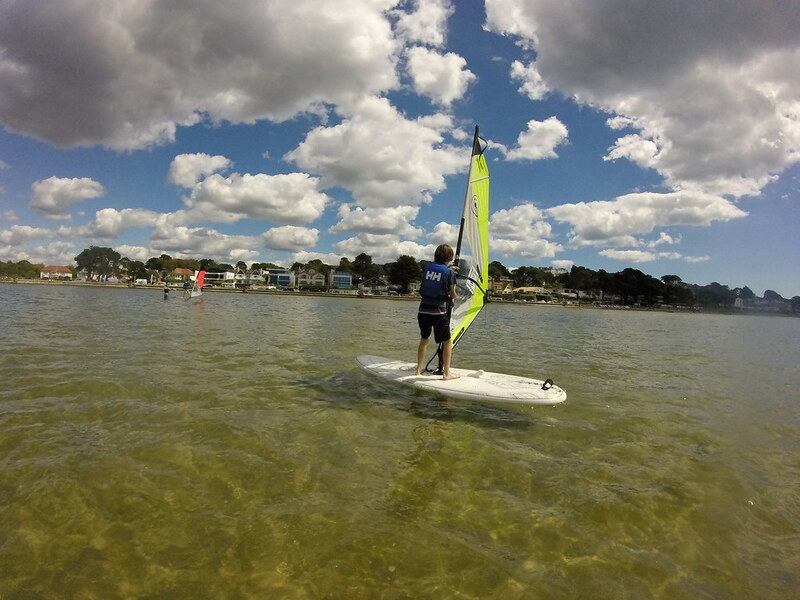 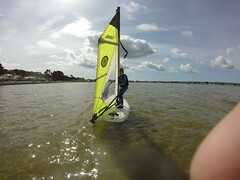 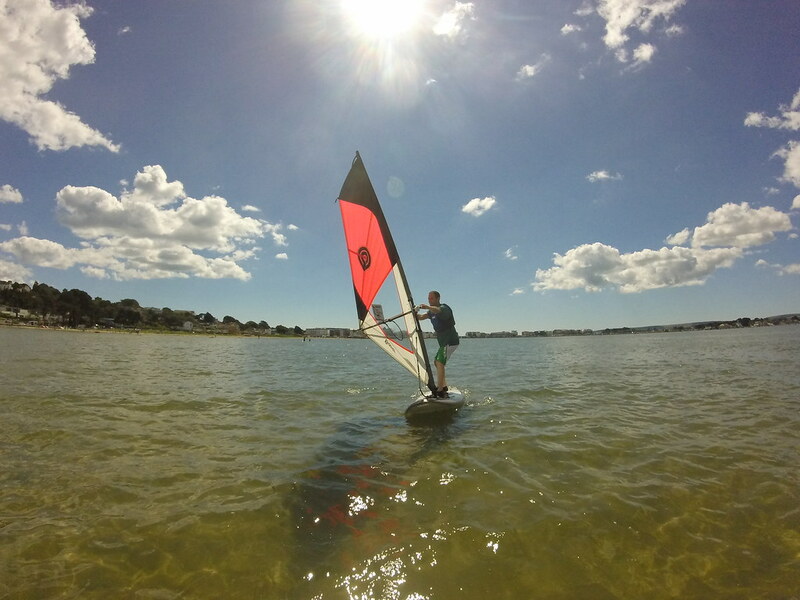 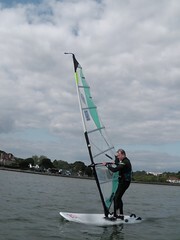 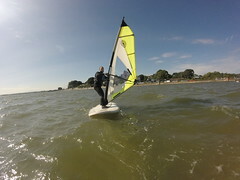 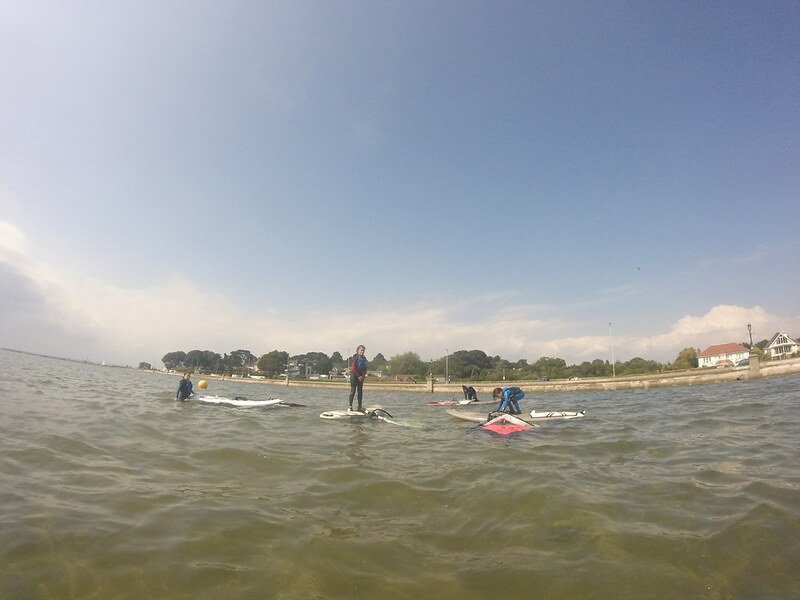 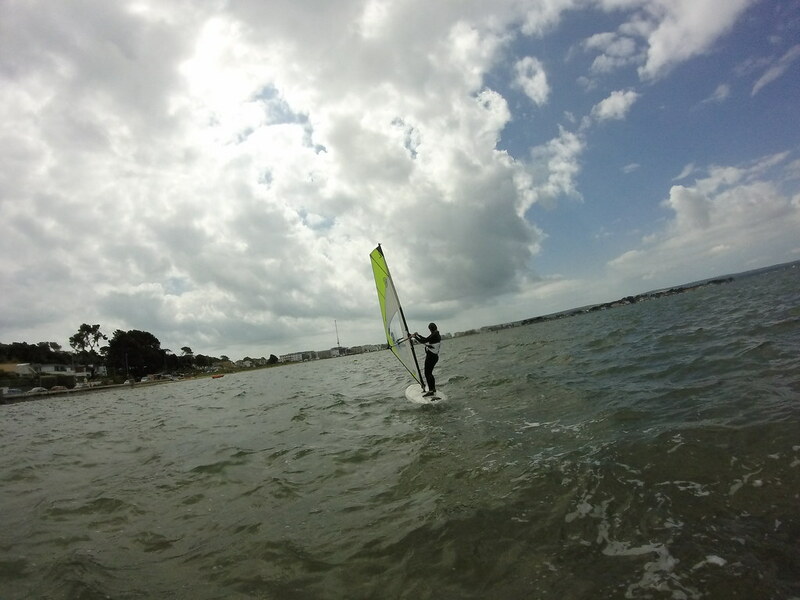 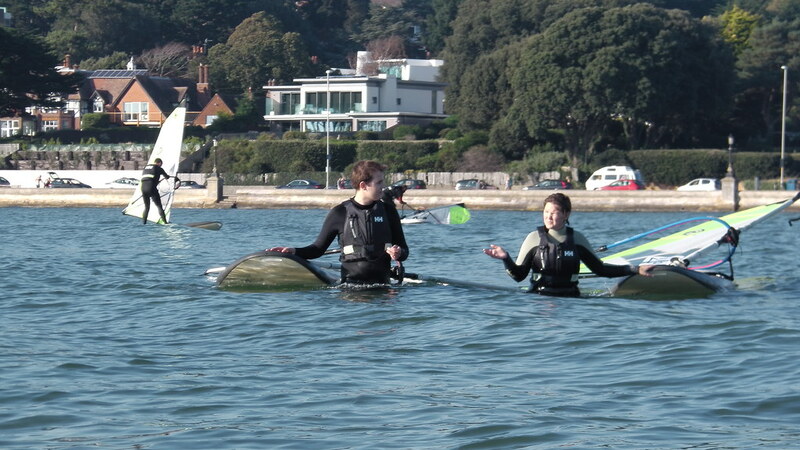 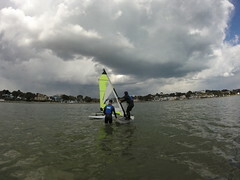 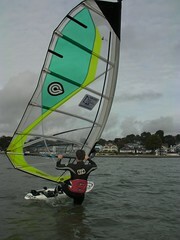 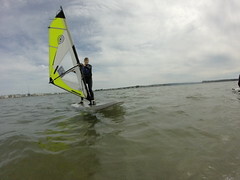 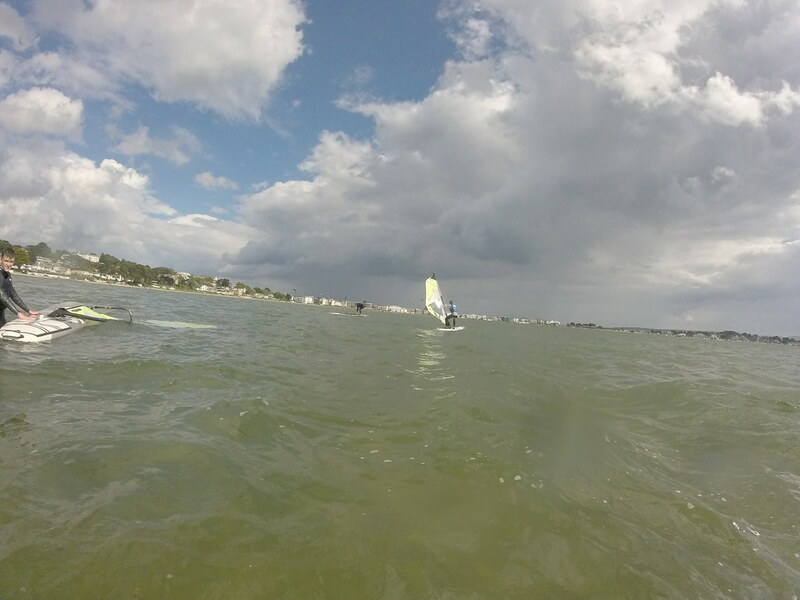 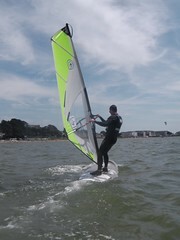 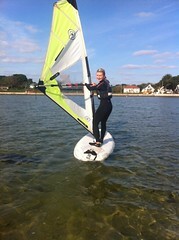 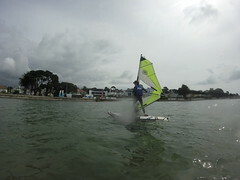 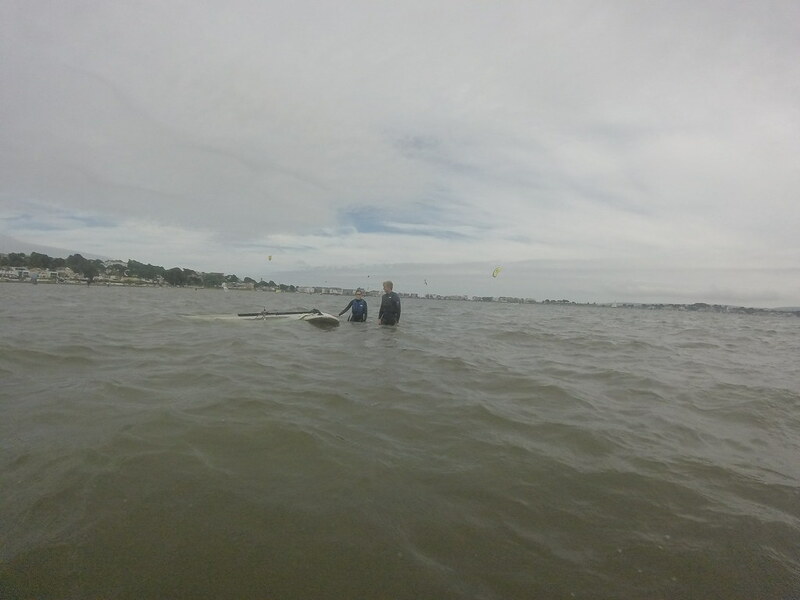 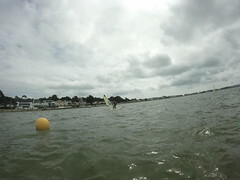 A selection of photos from beginners windsurfing lessons taken with us at Poole Windsurfing. 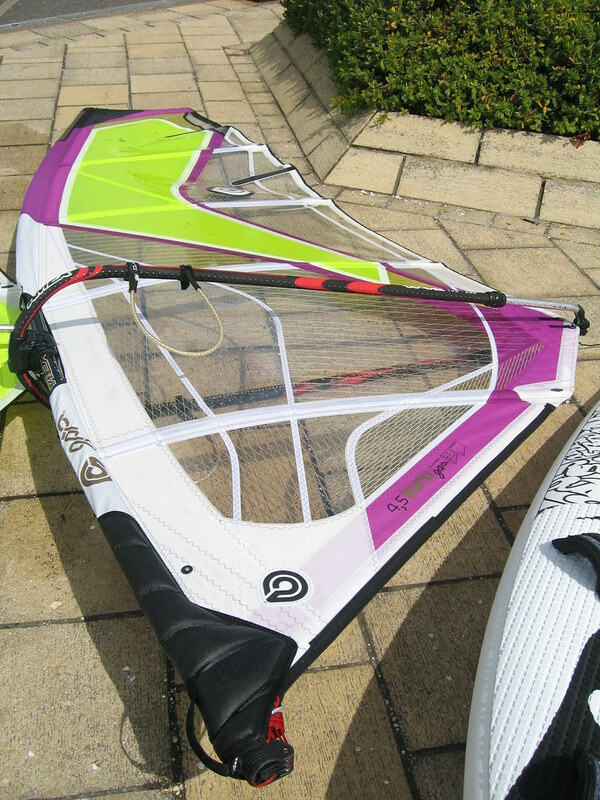 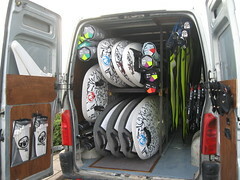 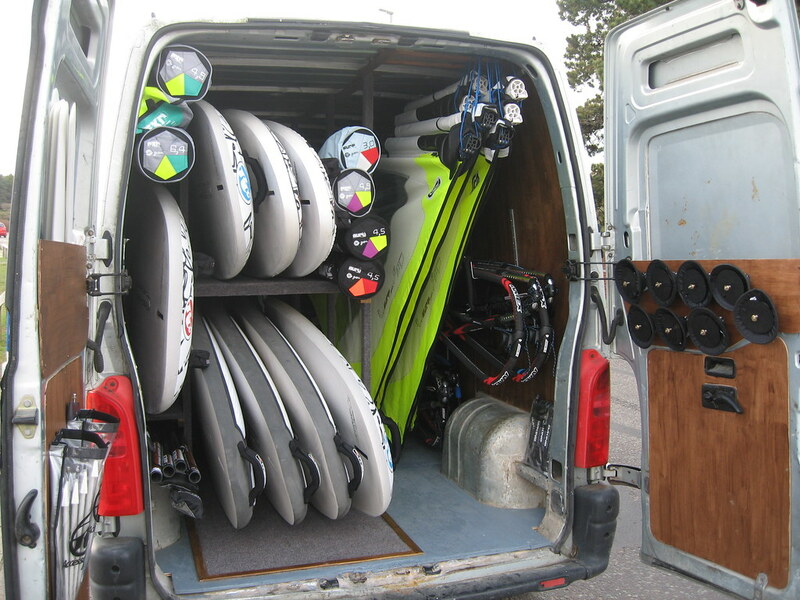 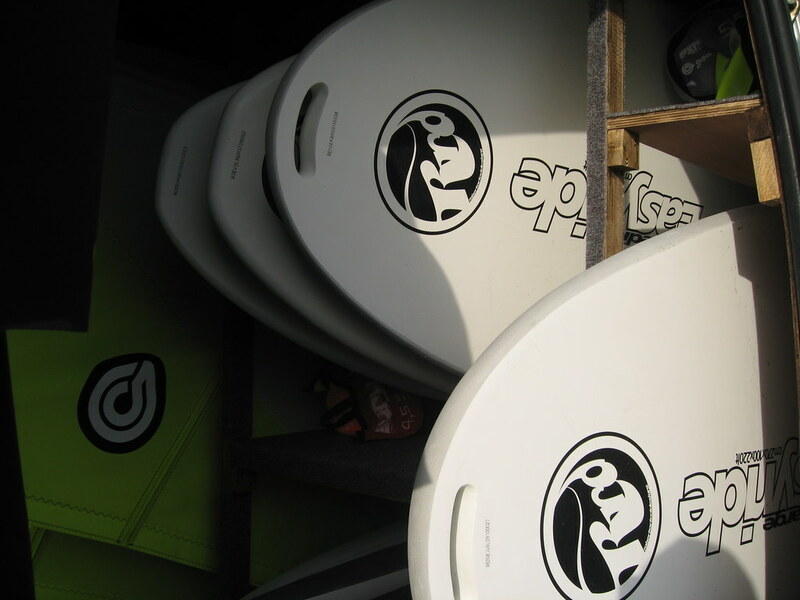 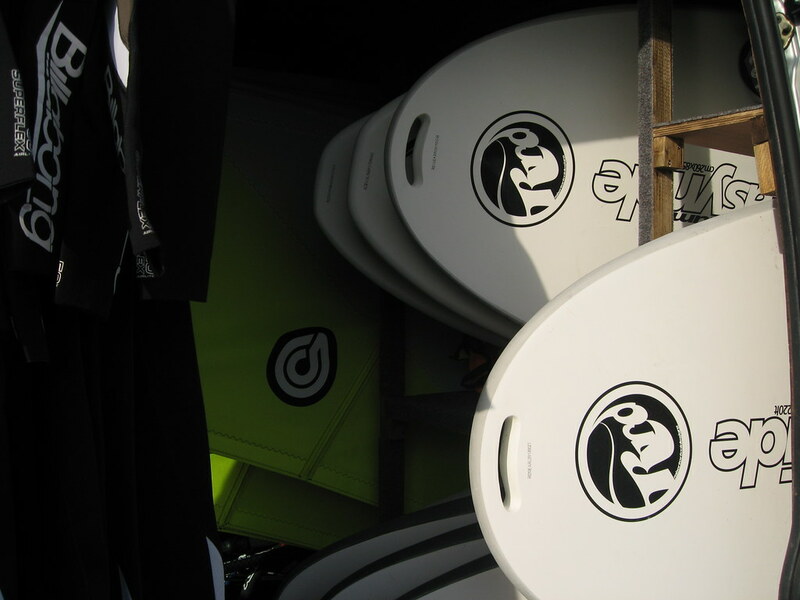 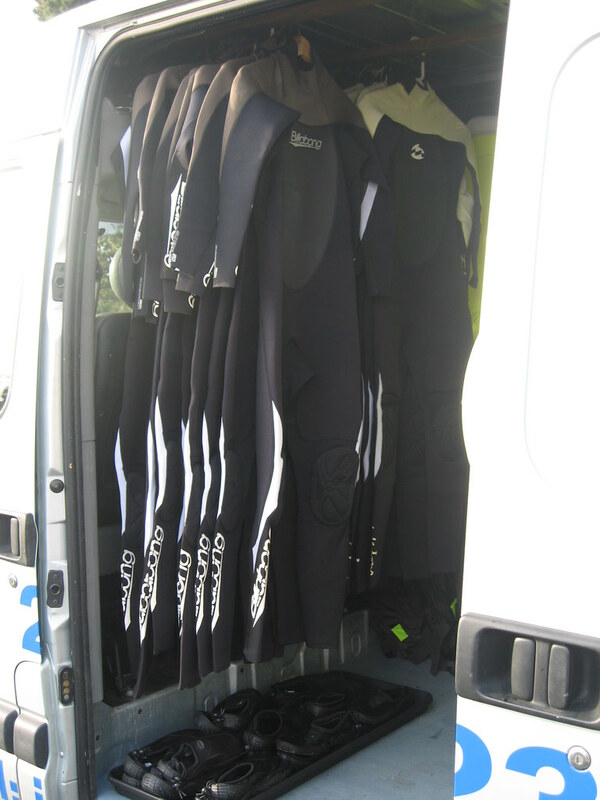 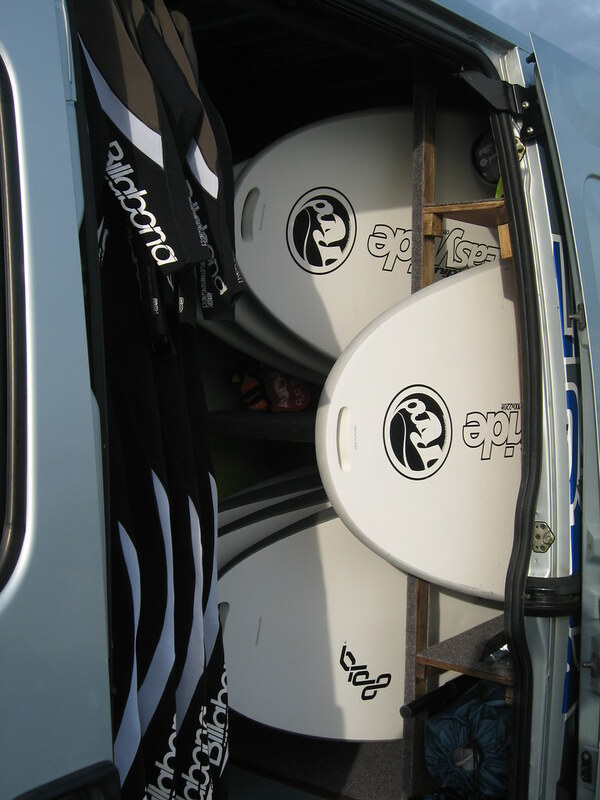 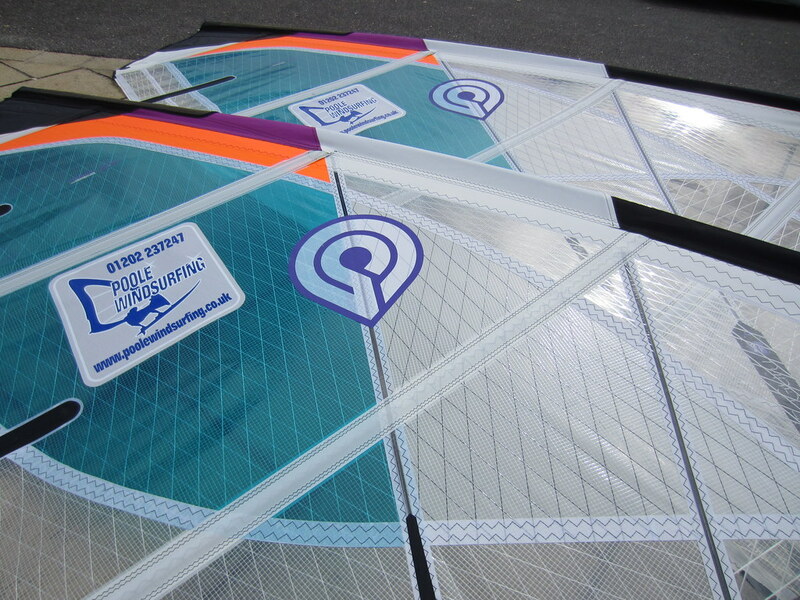 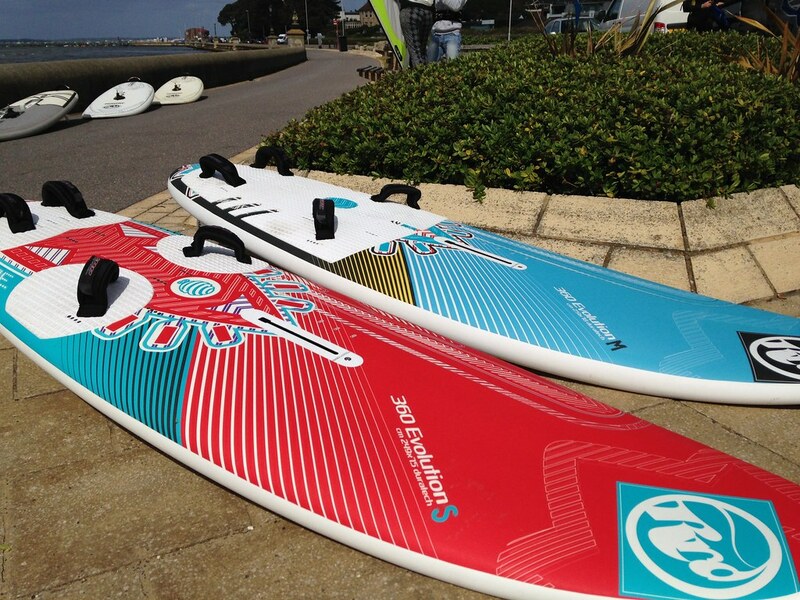 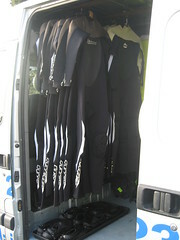 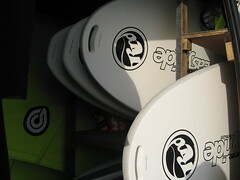 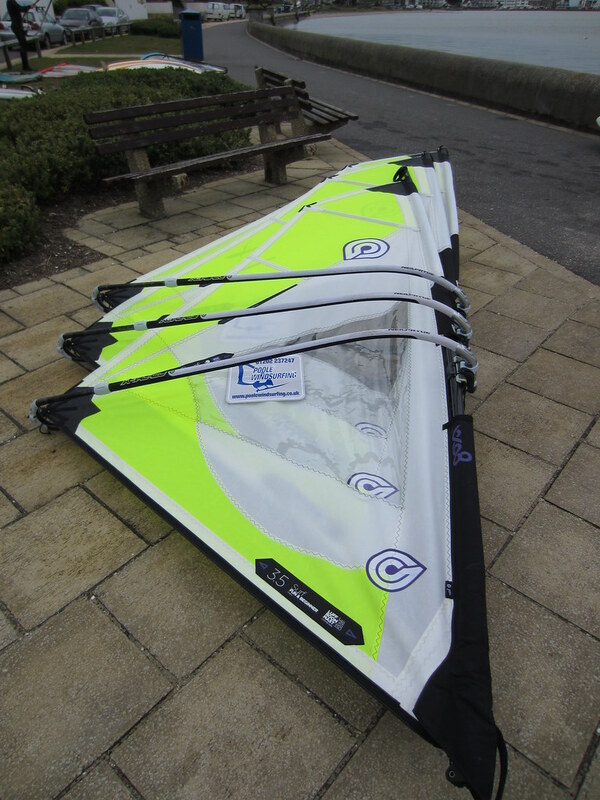 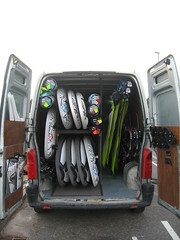 These will be sorted into monthly albums to make it easier to find your windsurfing lessons. 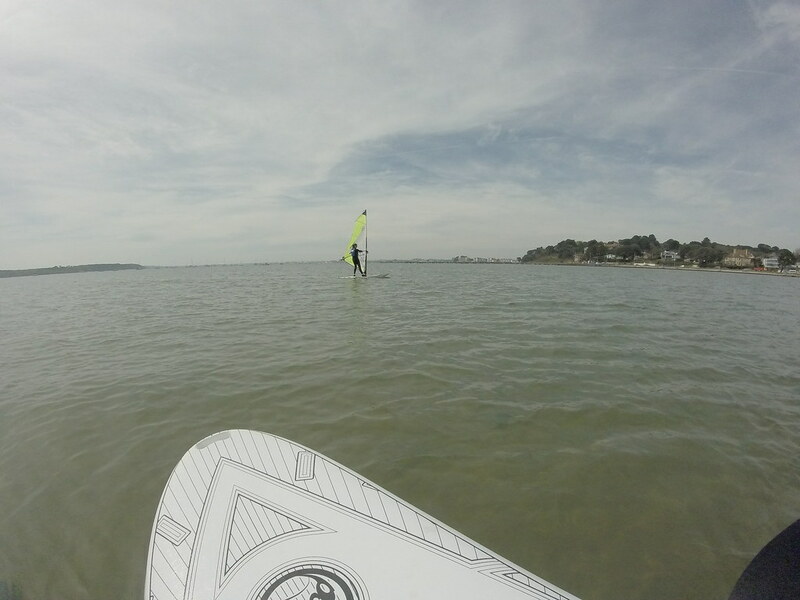 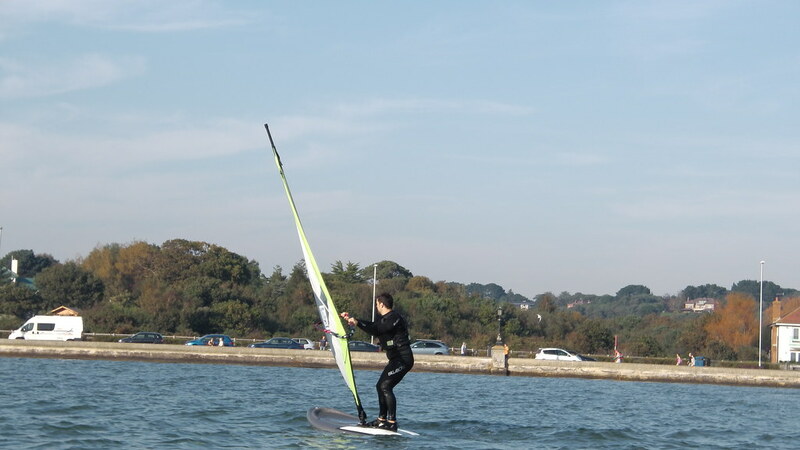 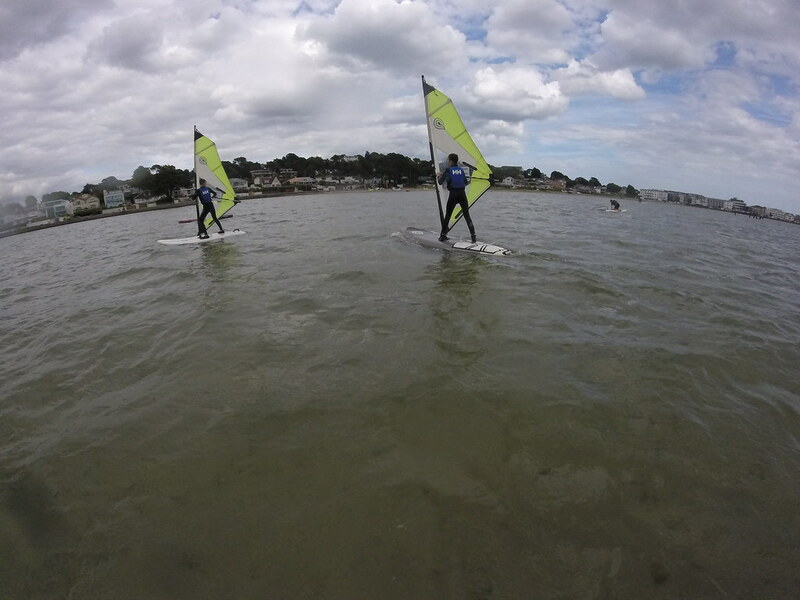 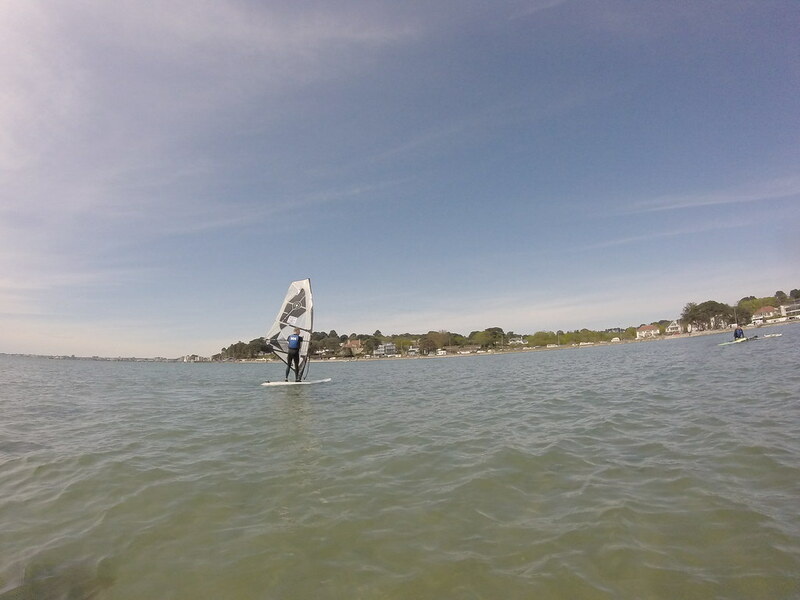 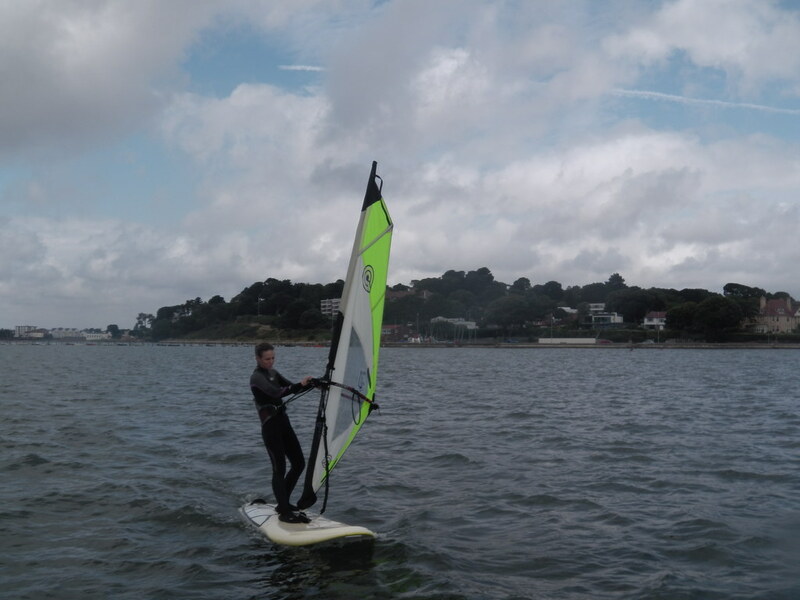 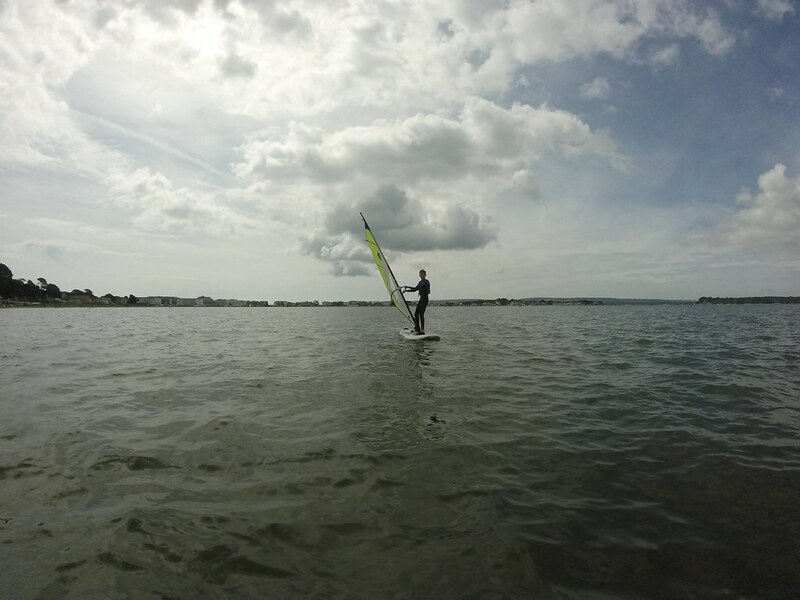 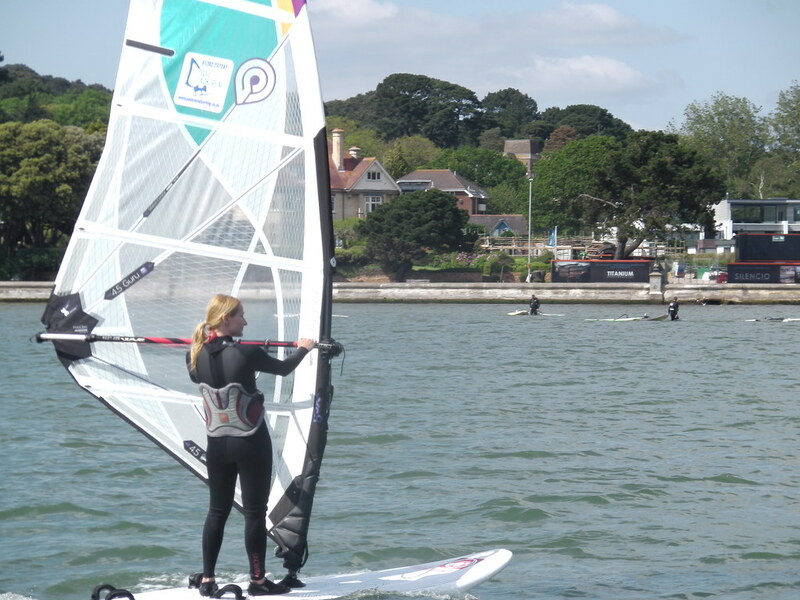 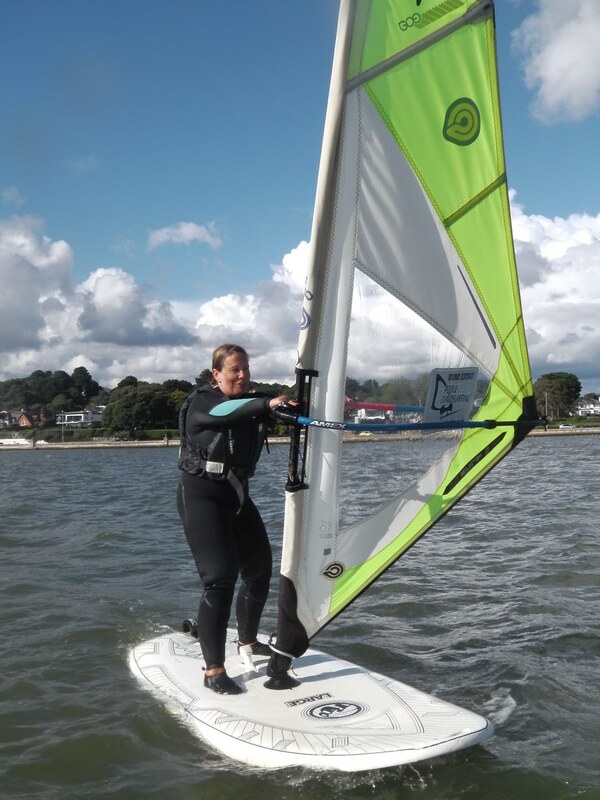 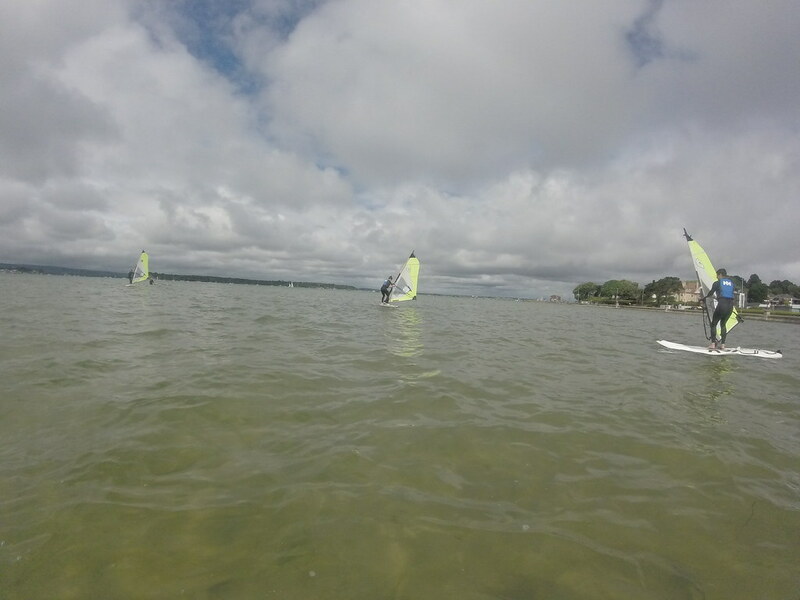 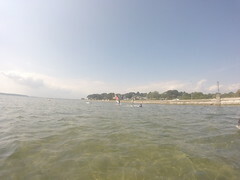 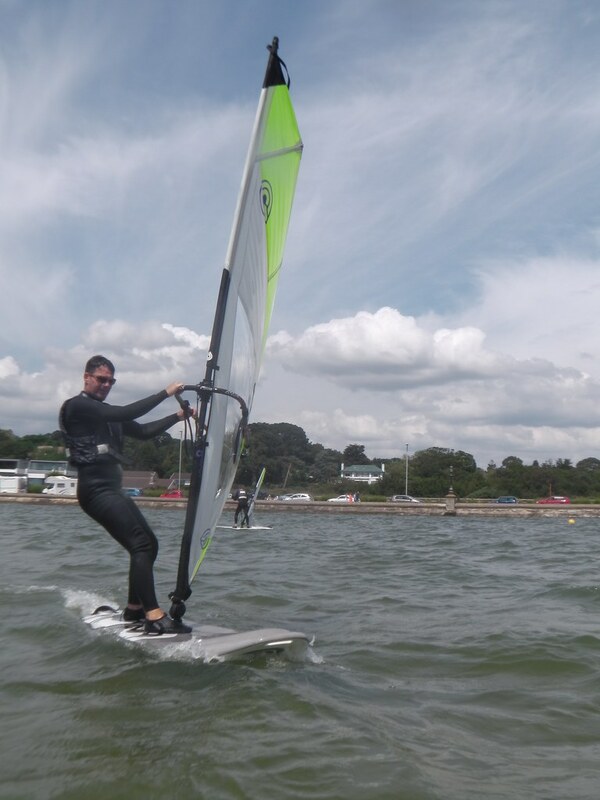 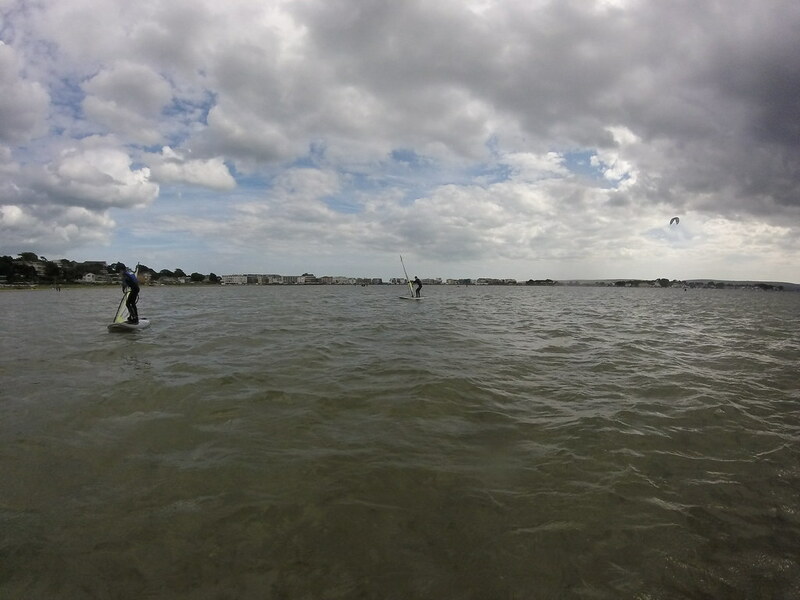 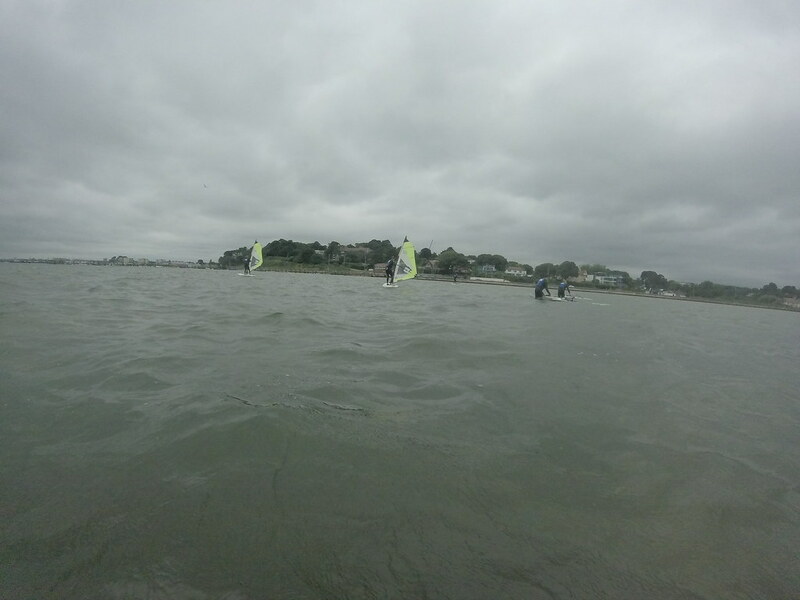 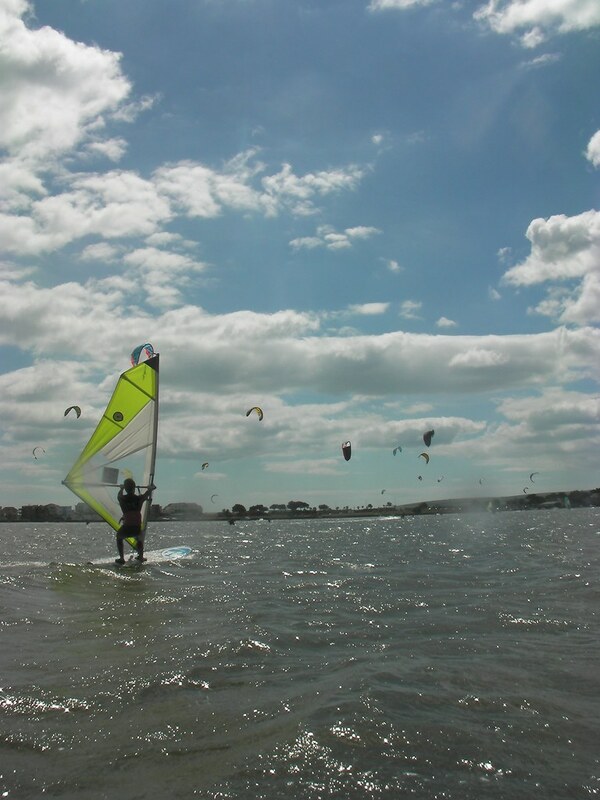 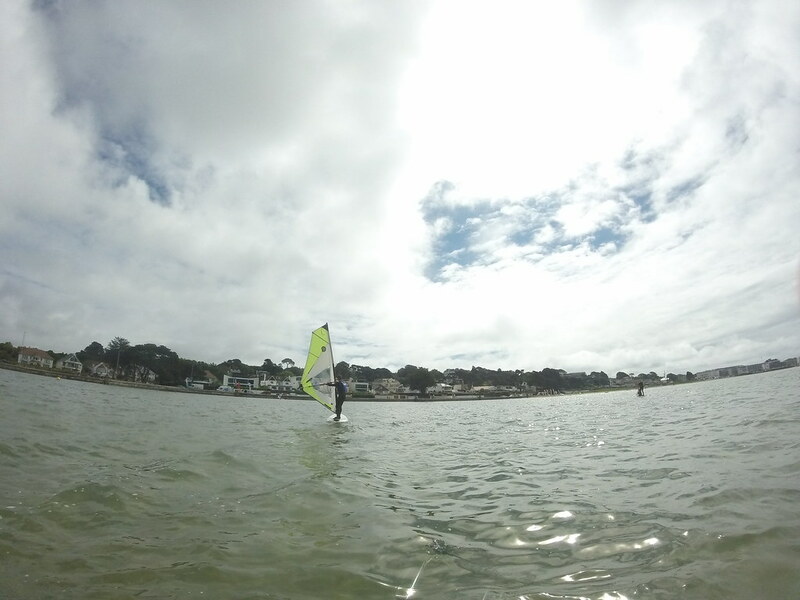 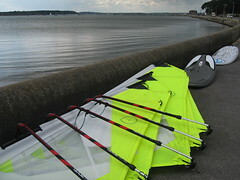 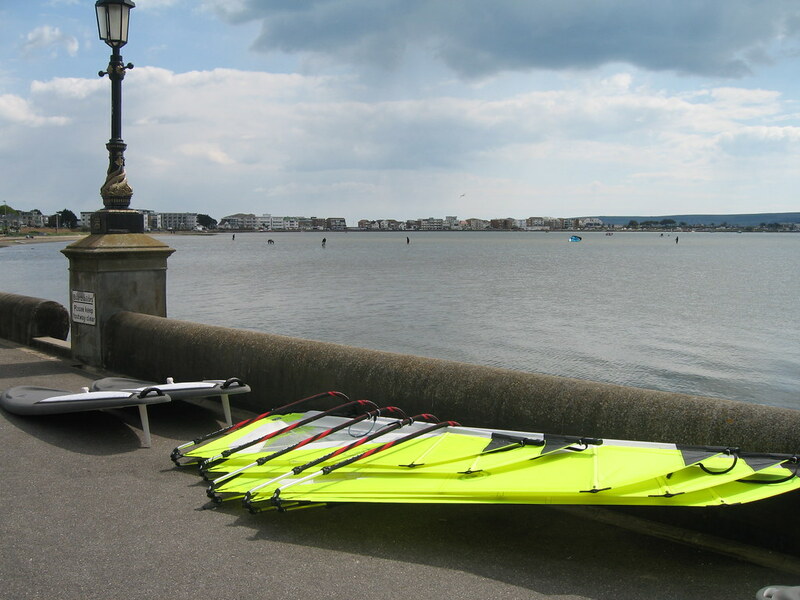 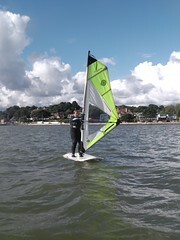 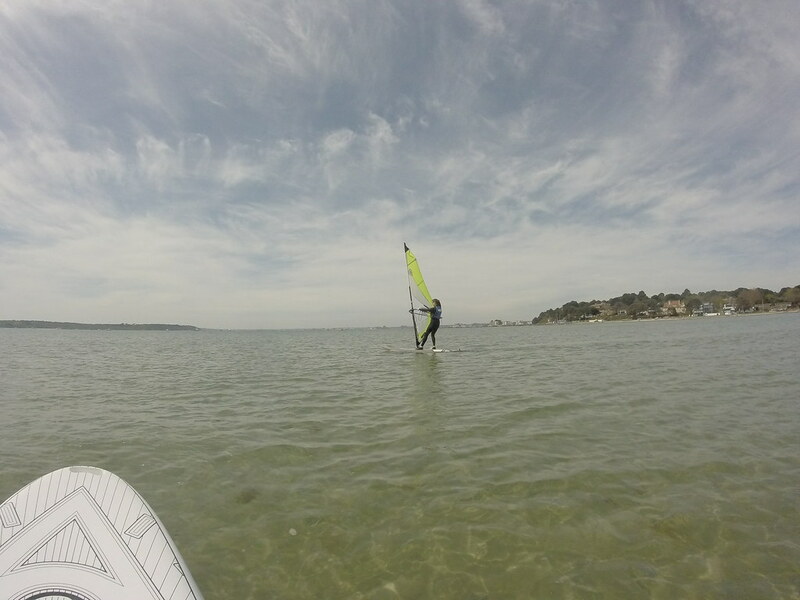 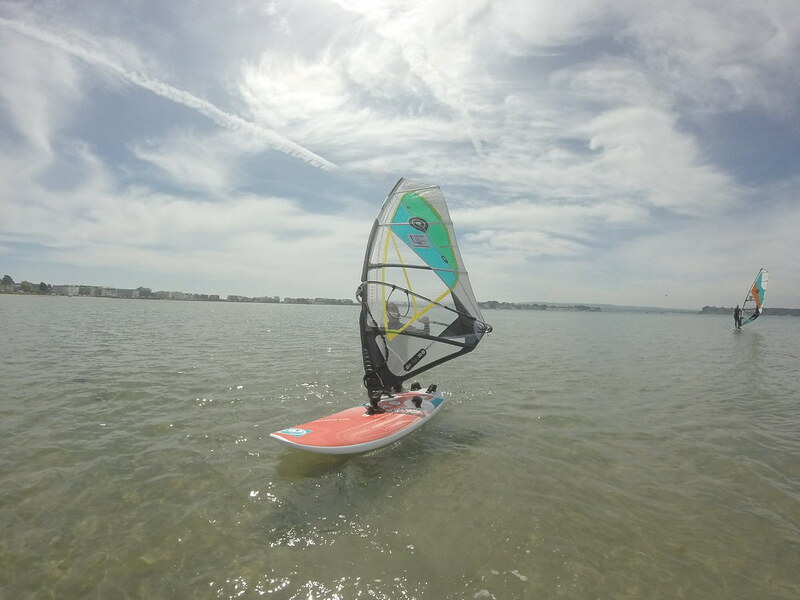 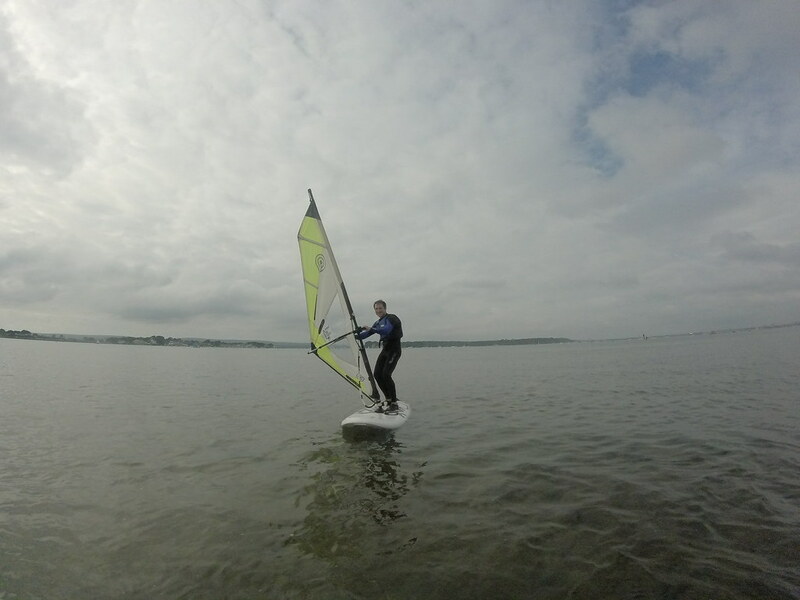 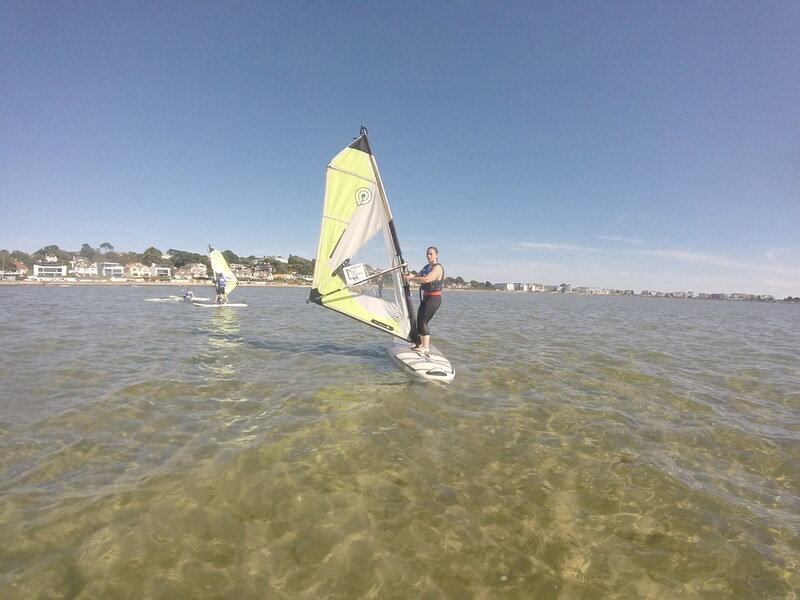 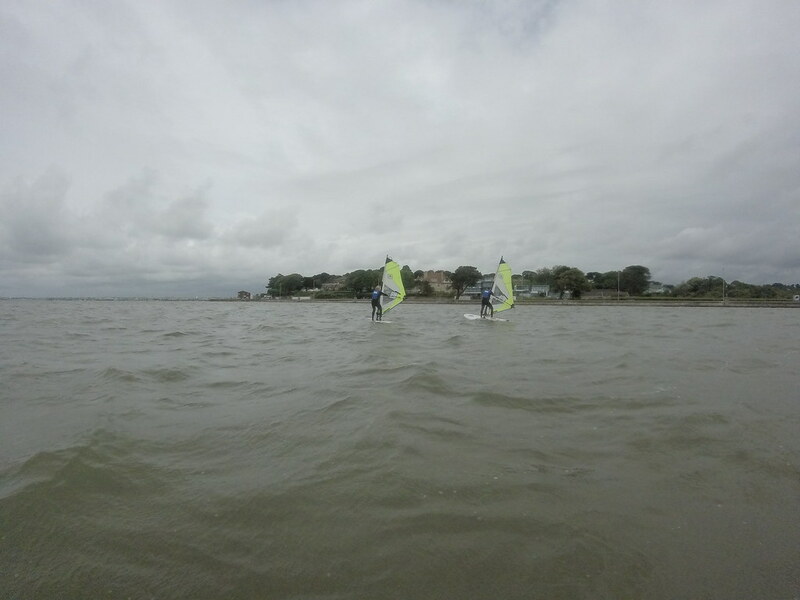 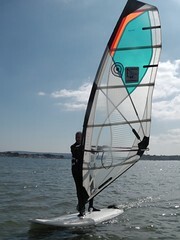 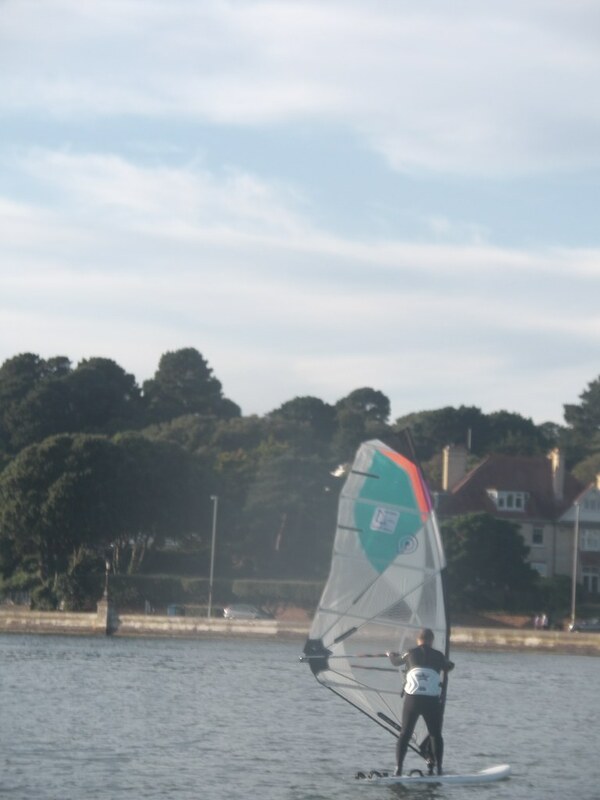 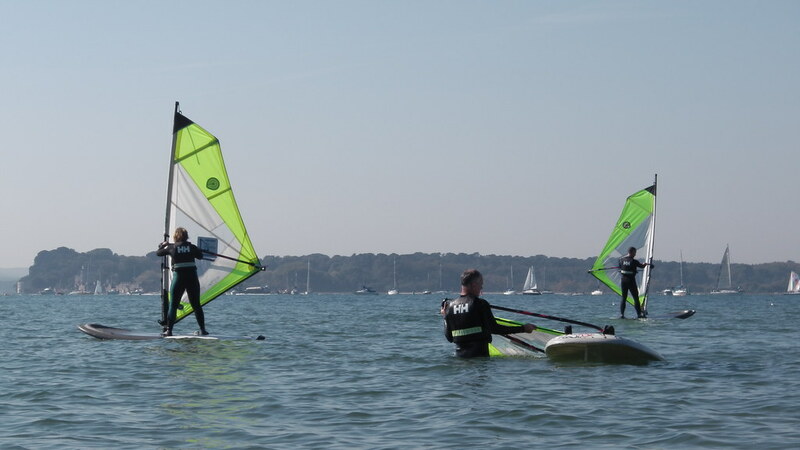 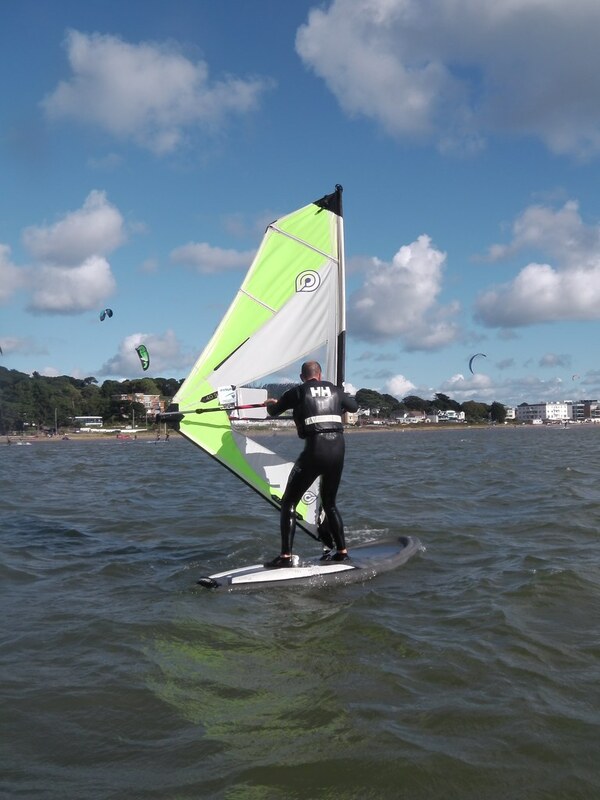 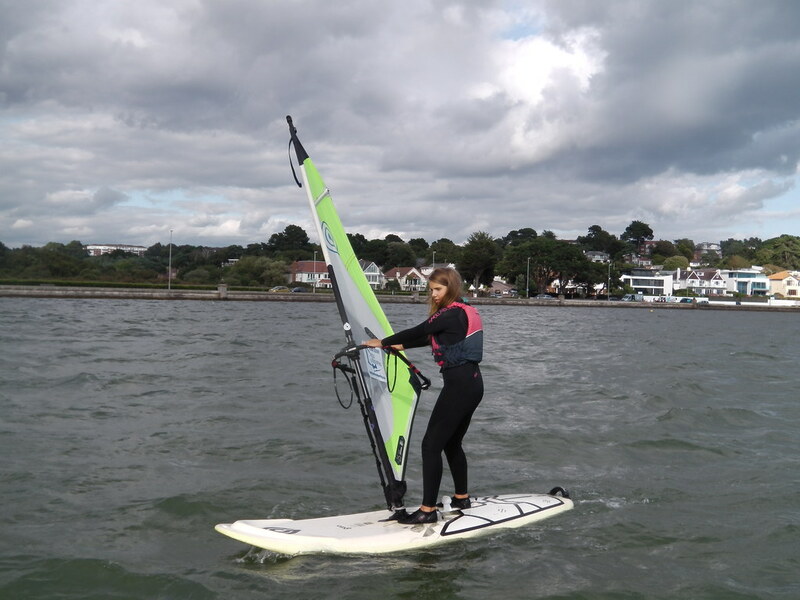 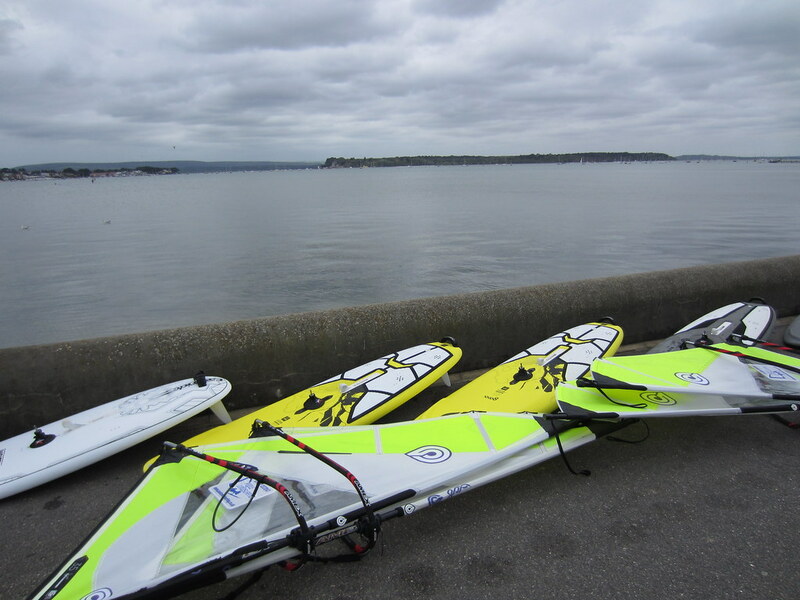 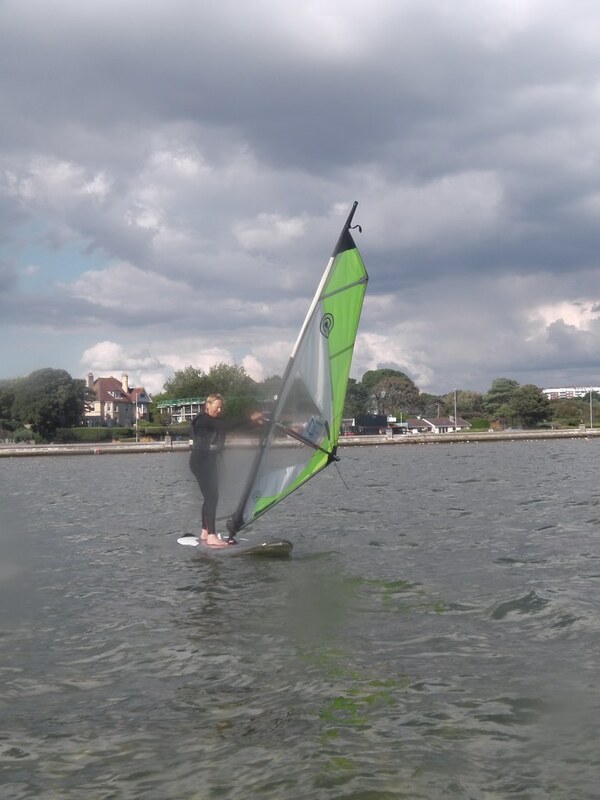 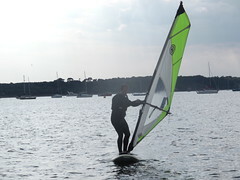 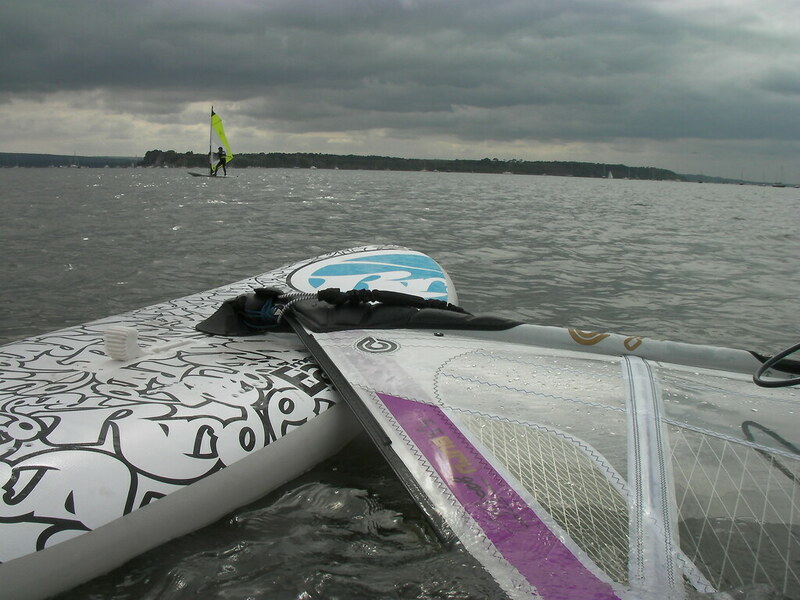 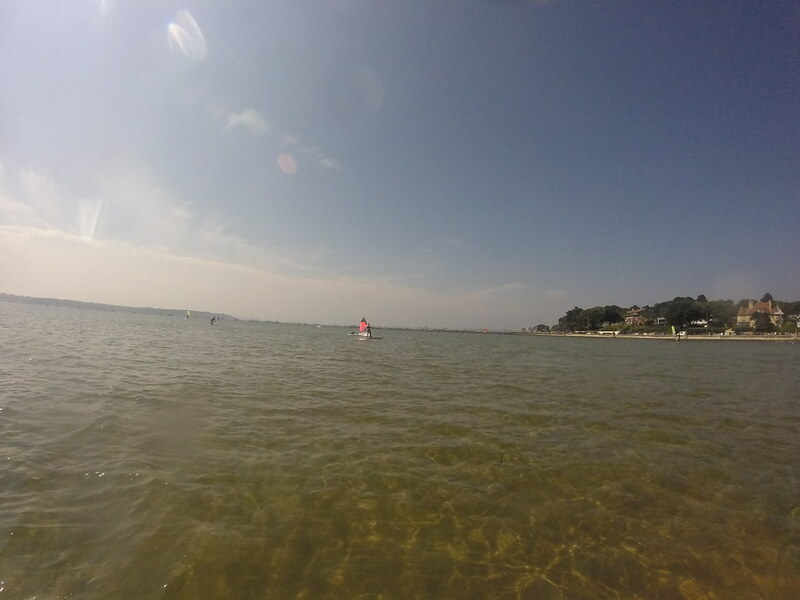 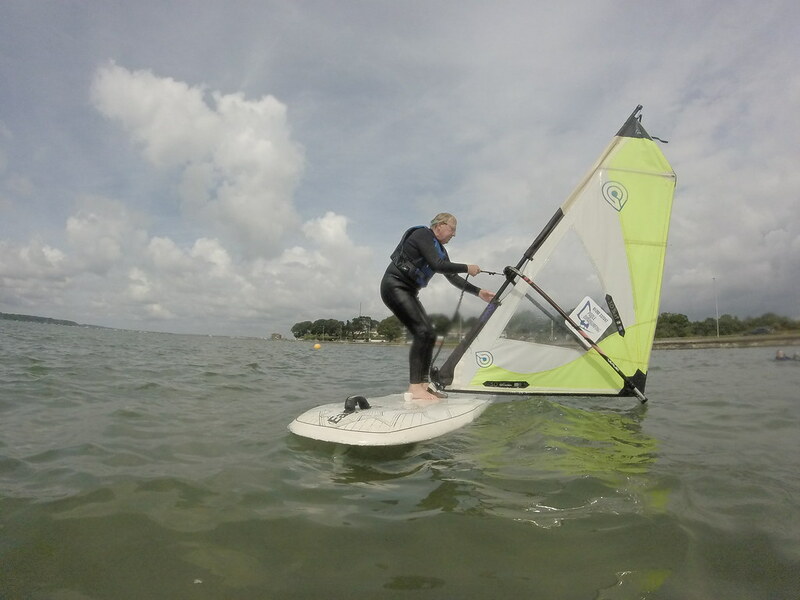 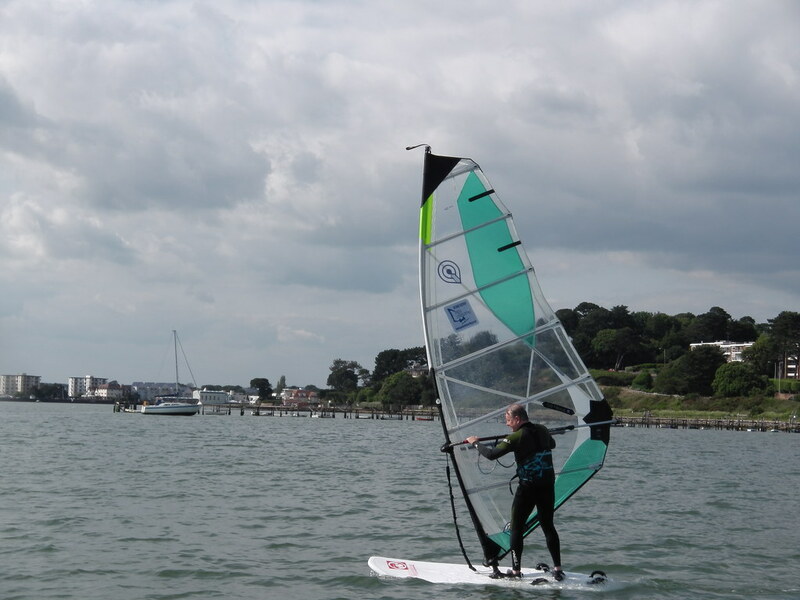 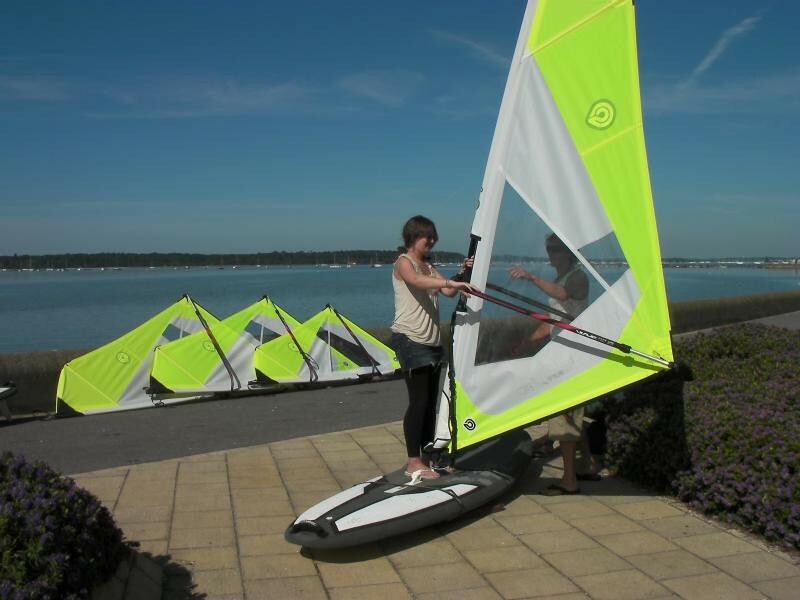 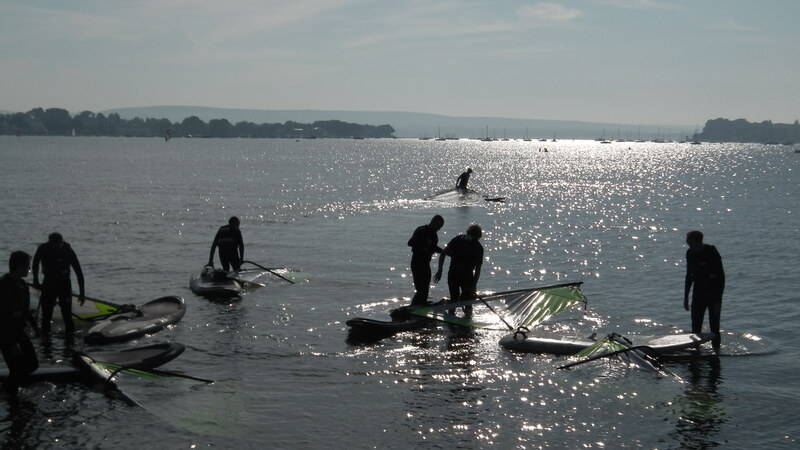 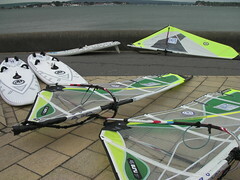 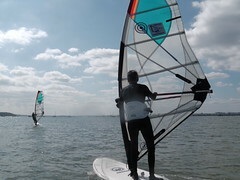 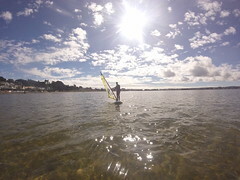 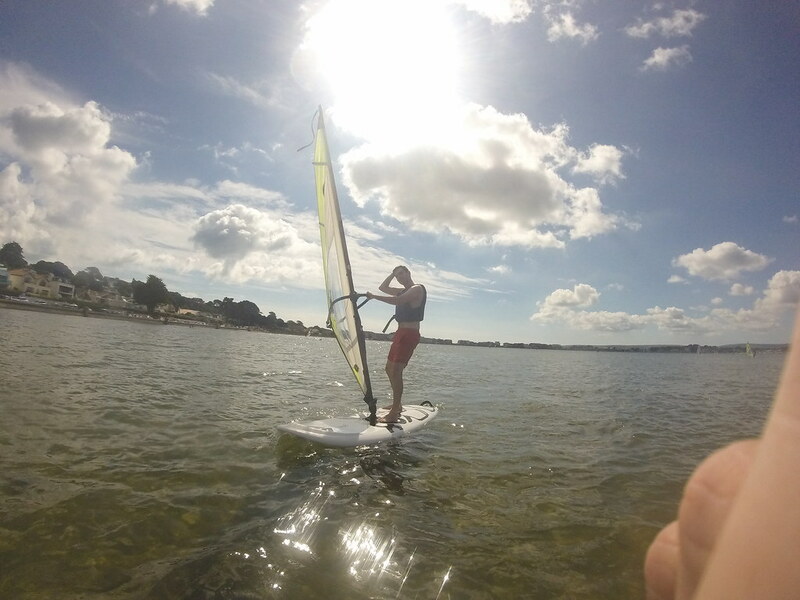 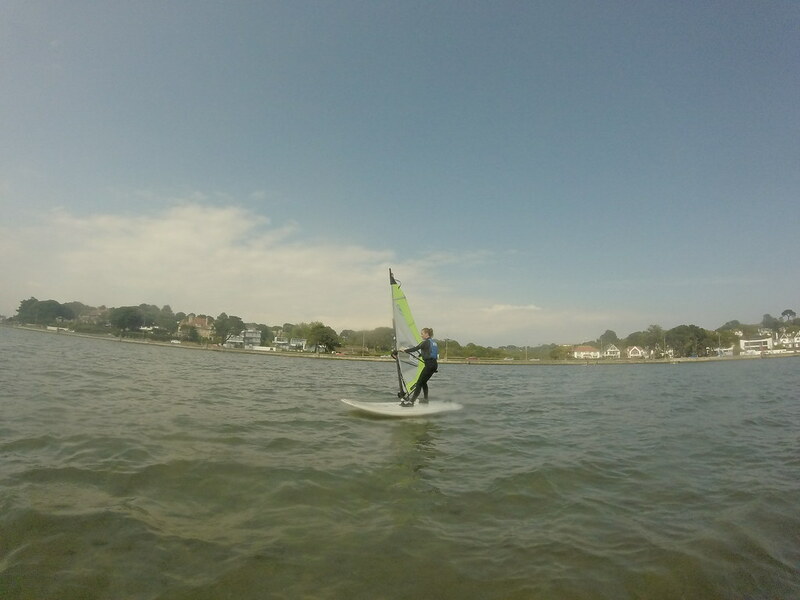 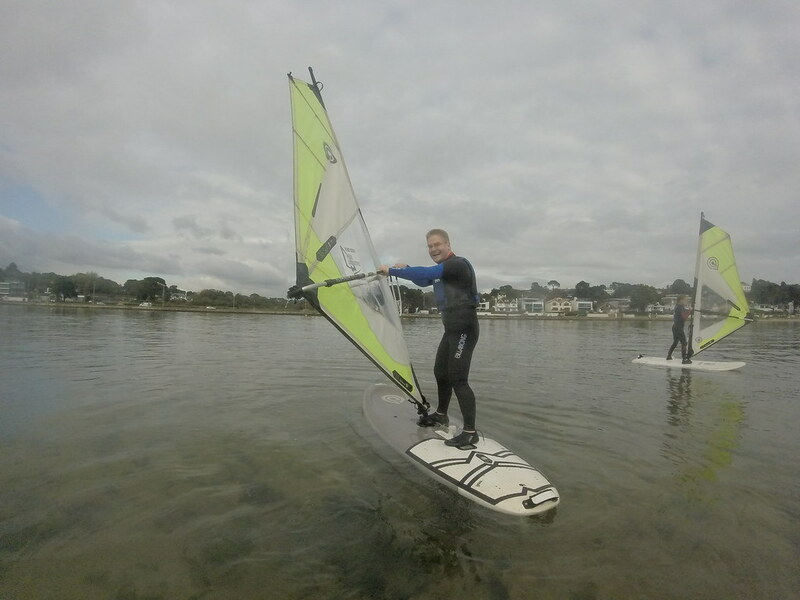 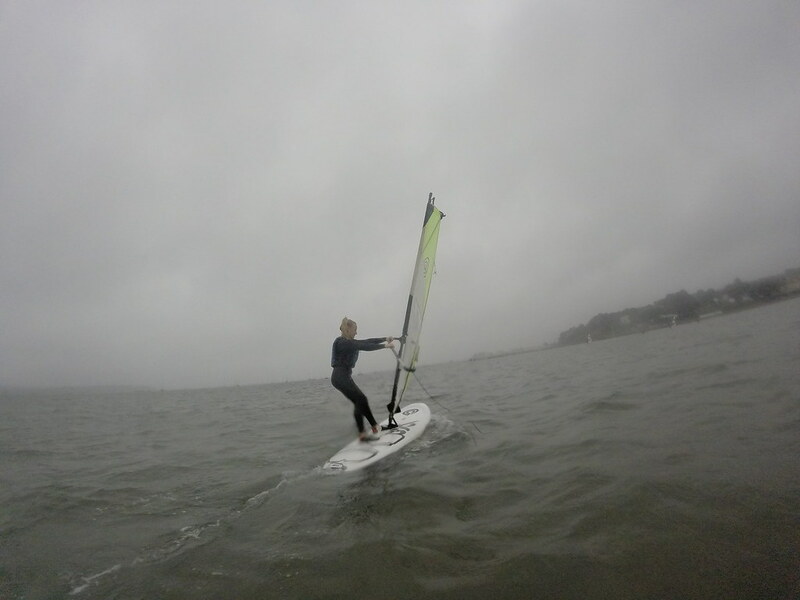 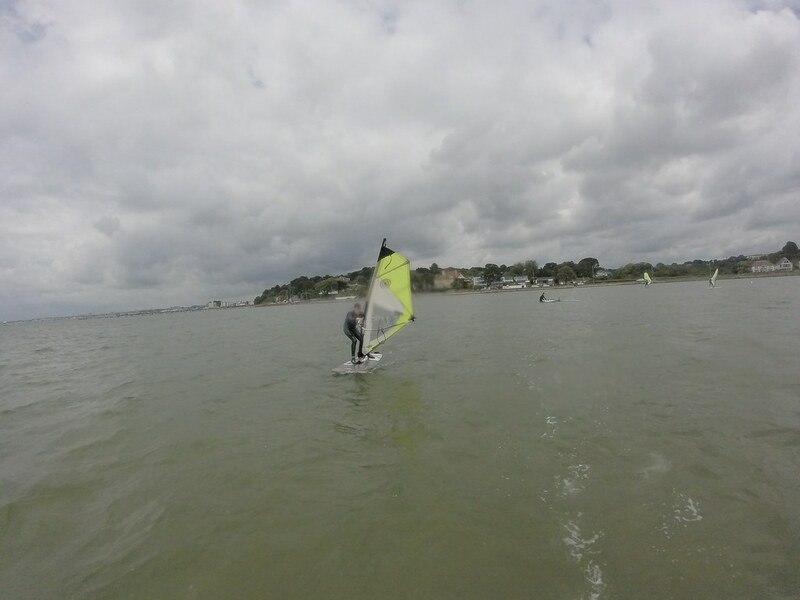 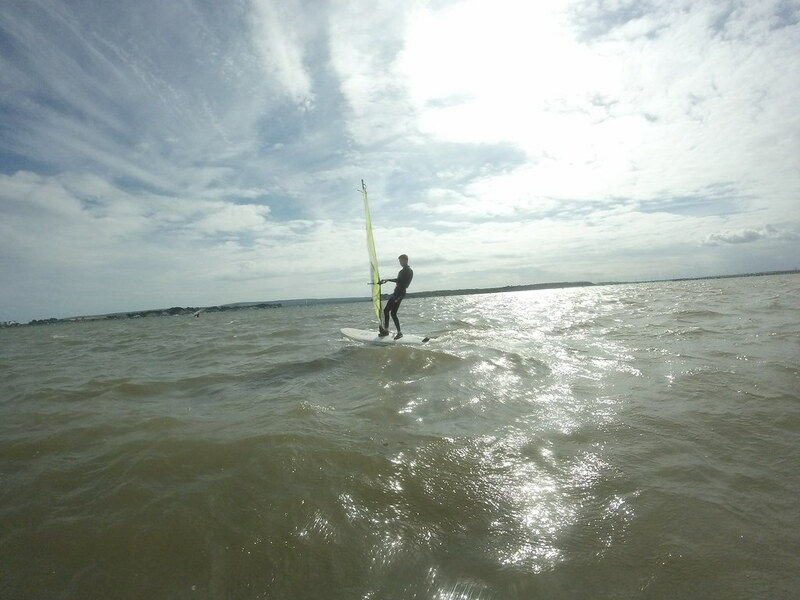 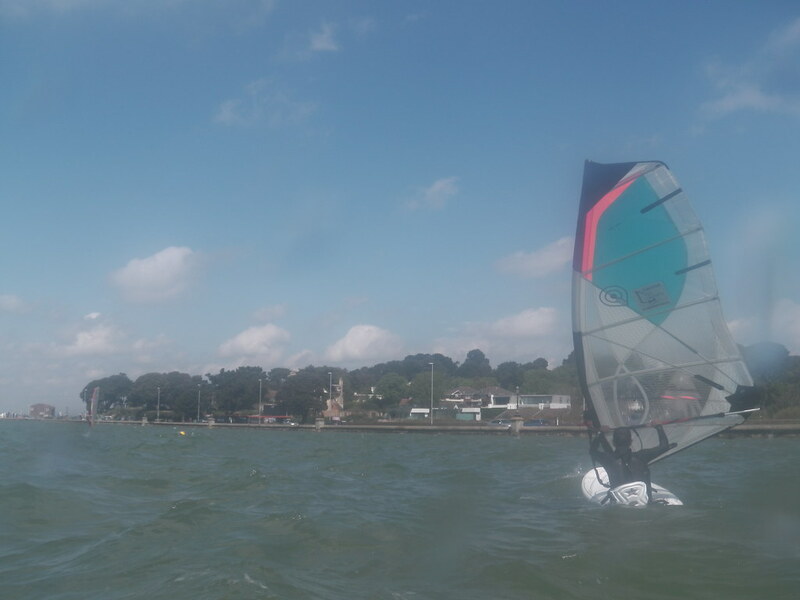 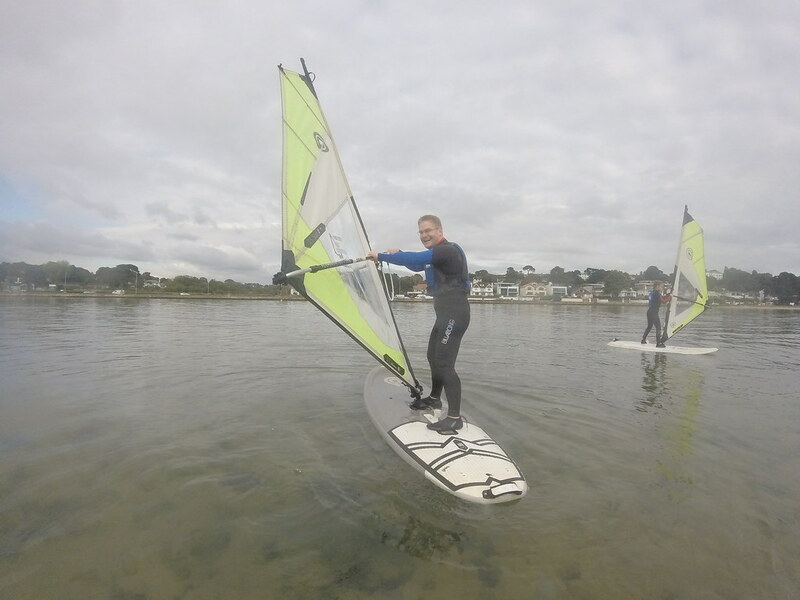 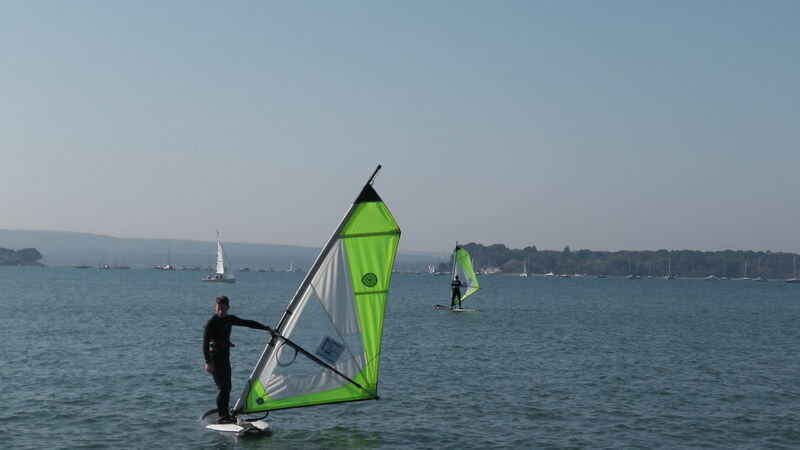 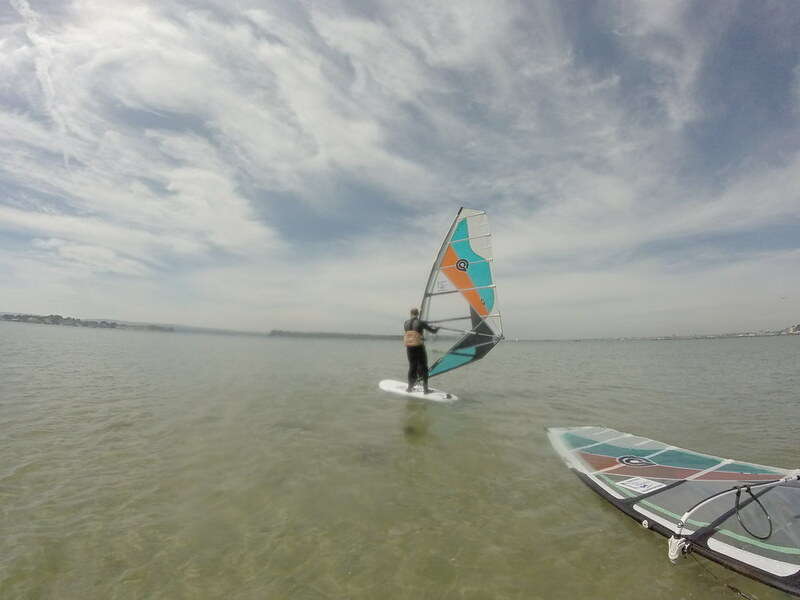 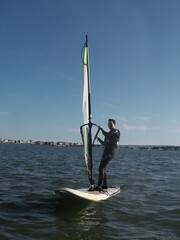 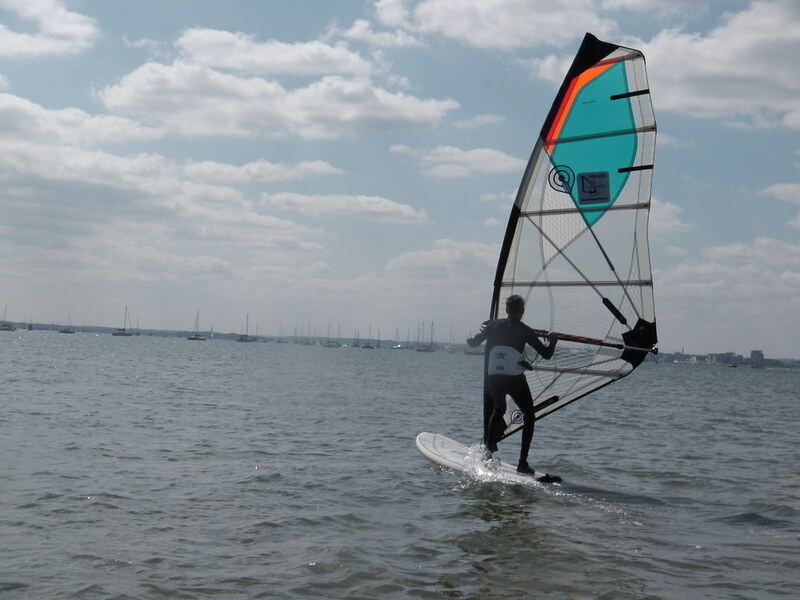 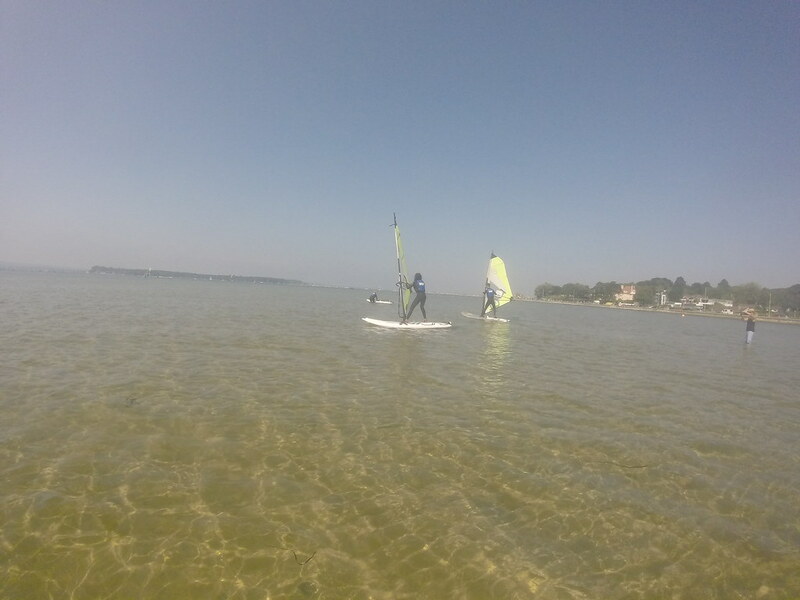 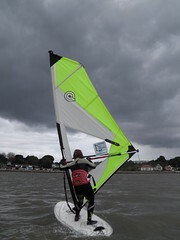 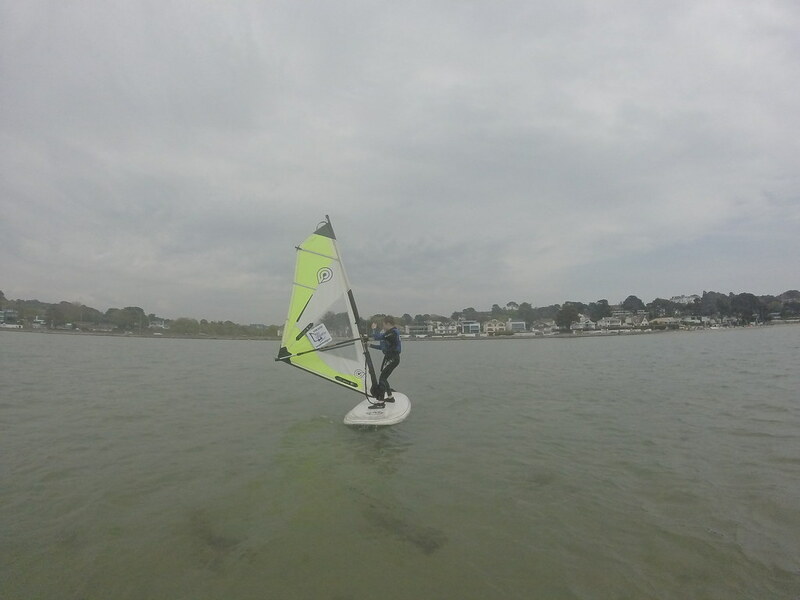 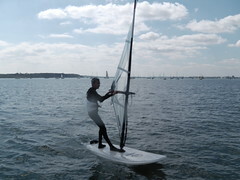 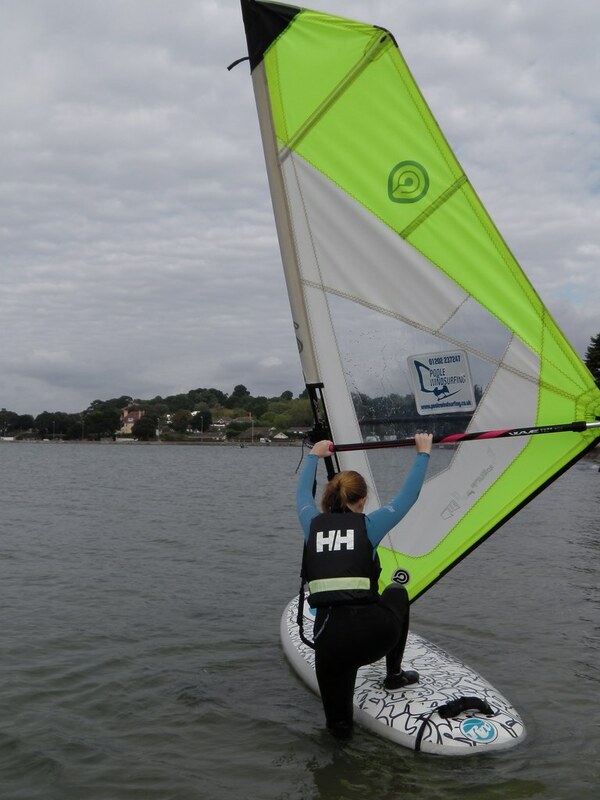 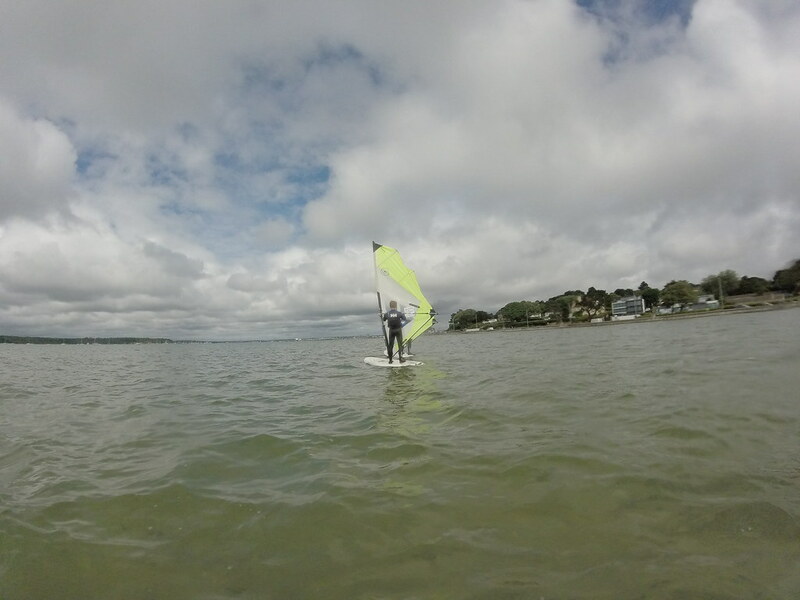 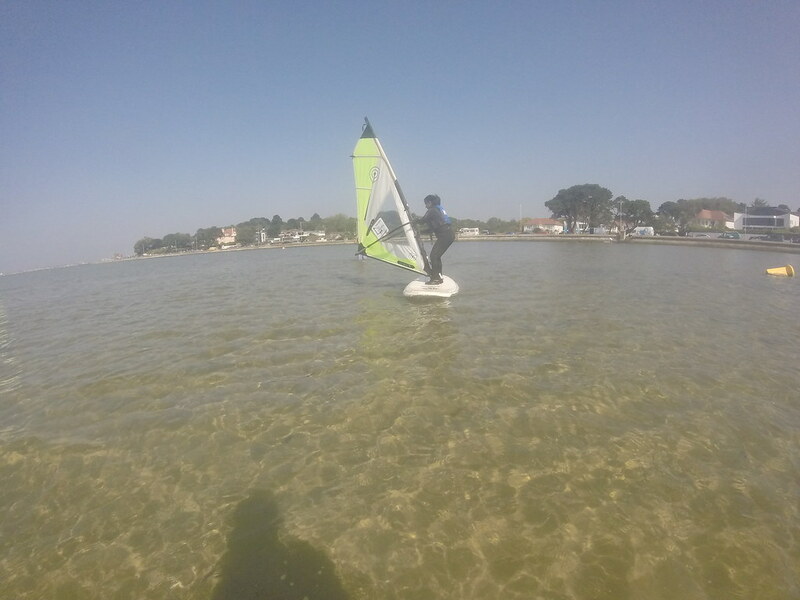 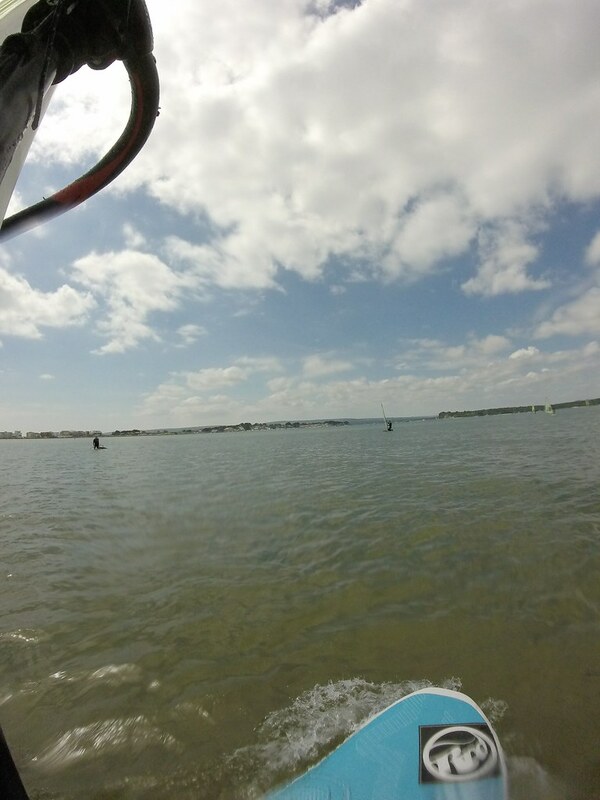 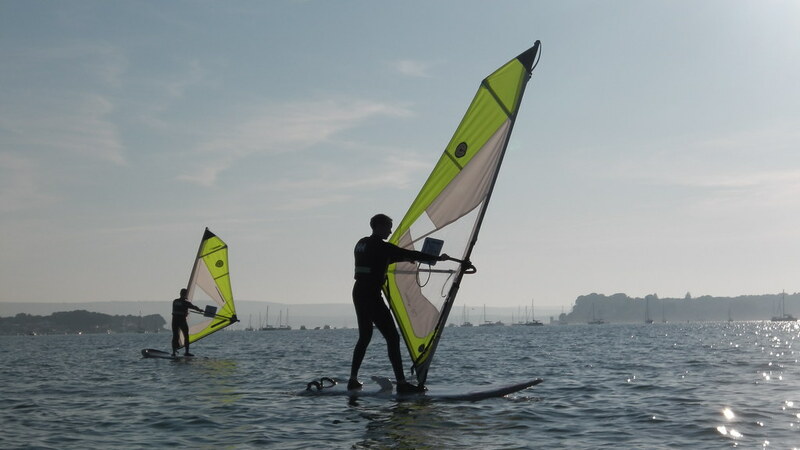 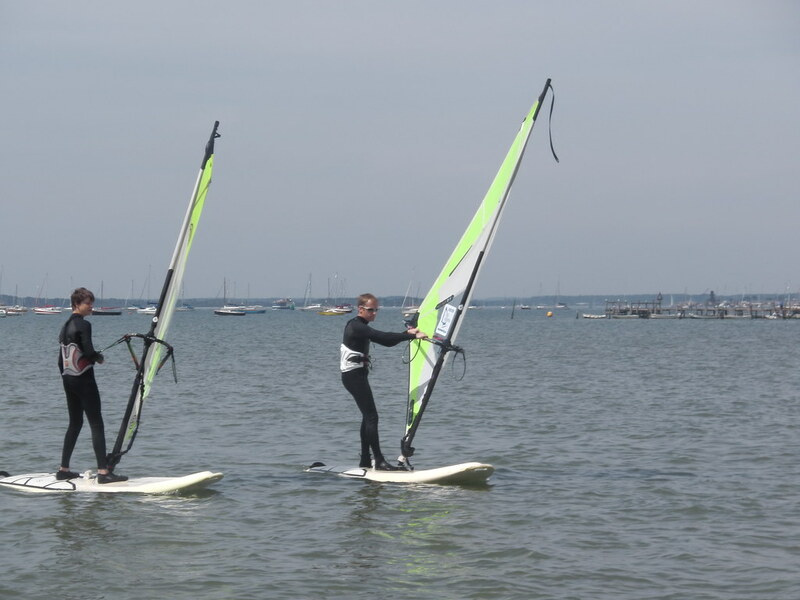 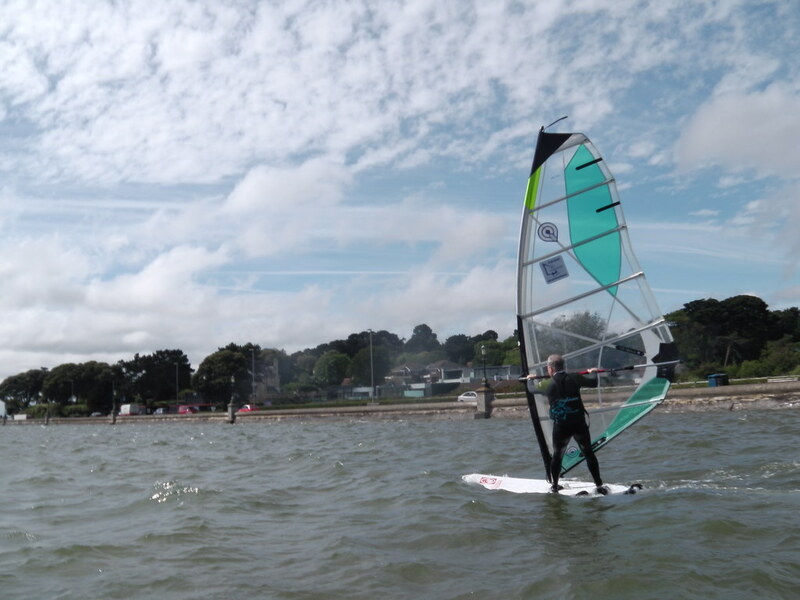 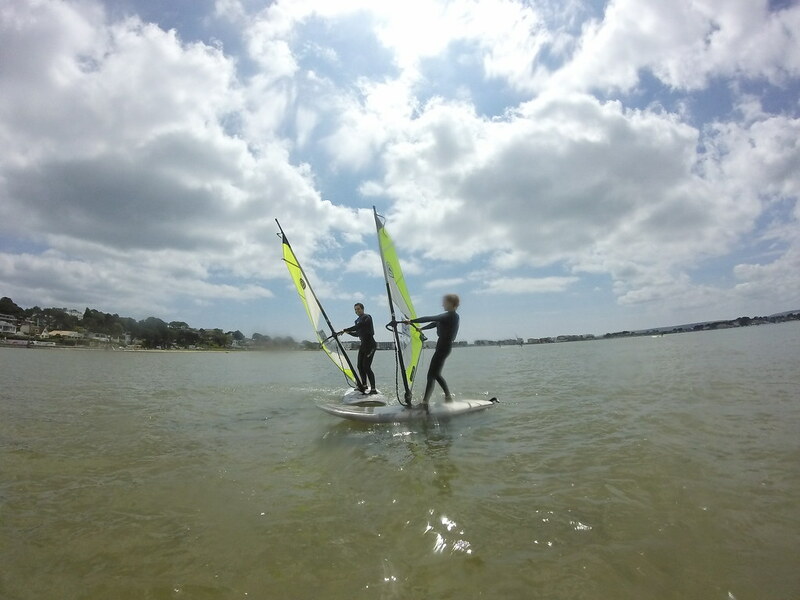 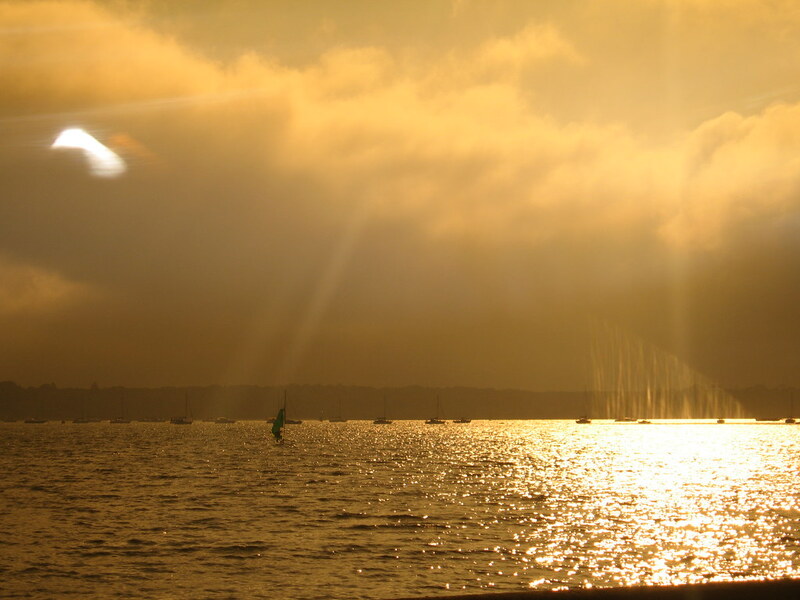 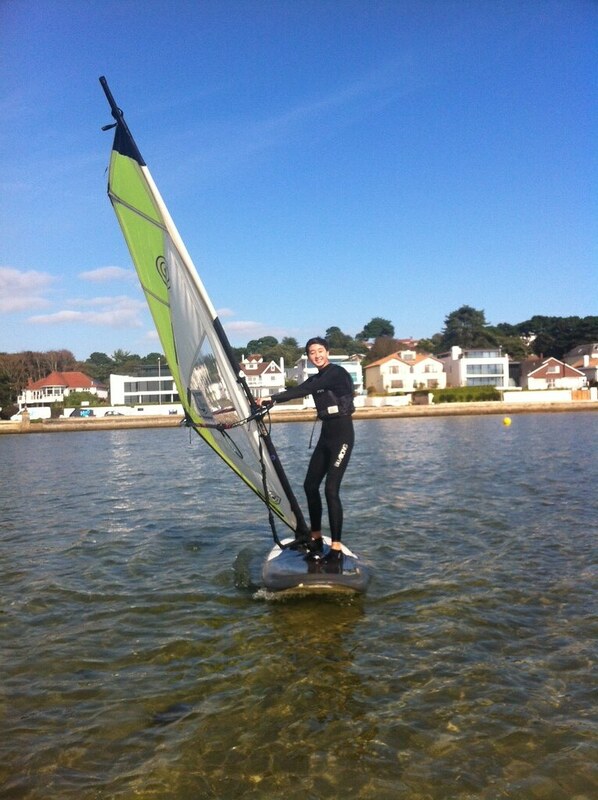 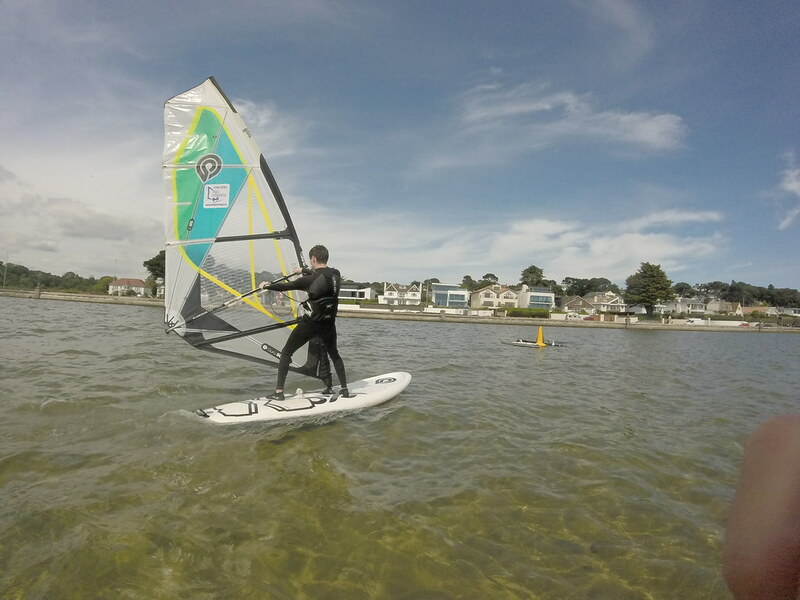 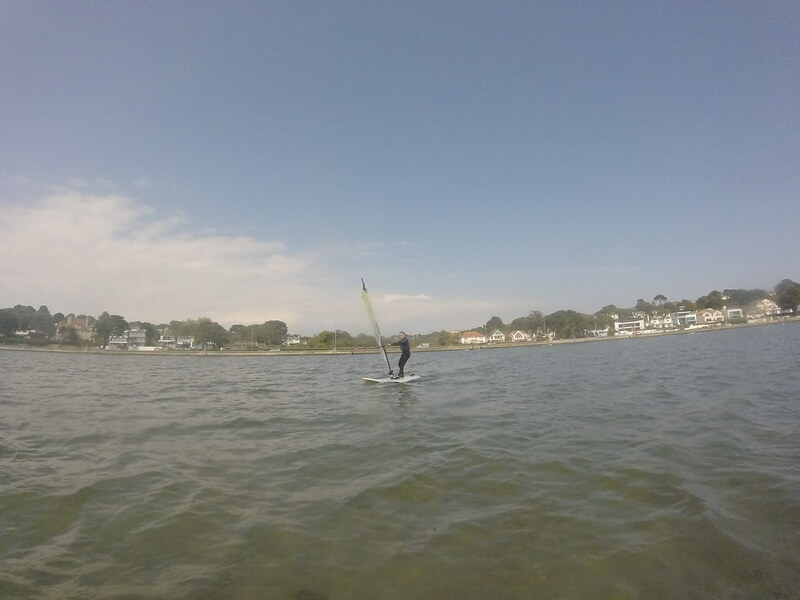 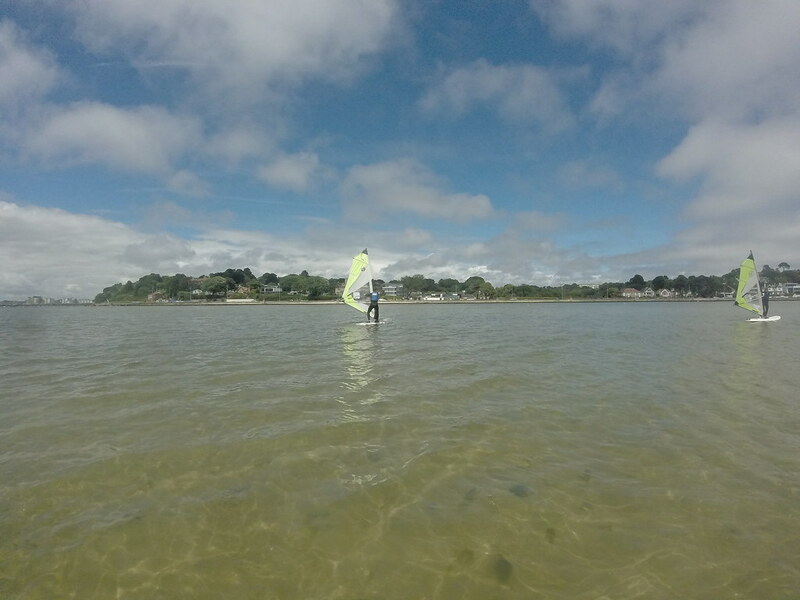 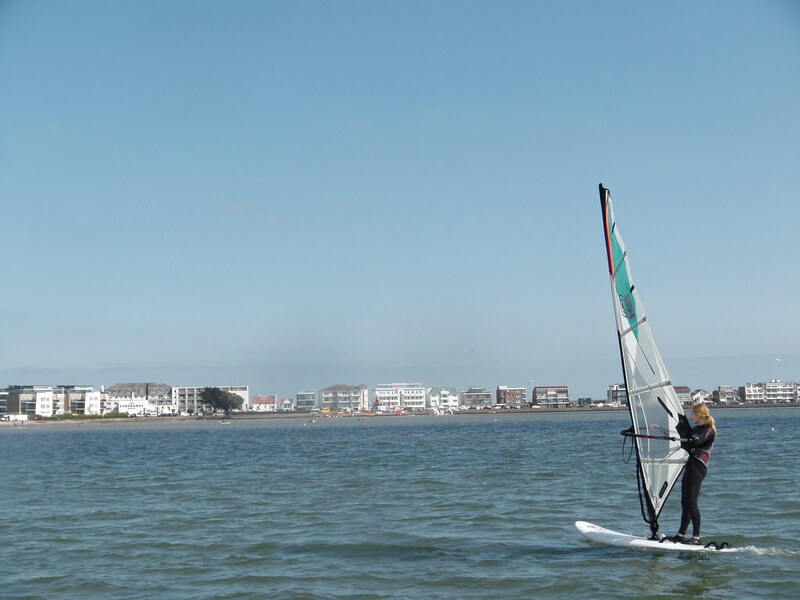 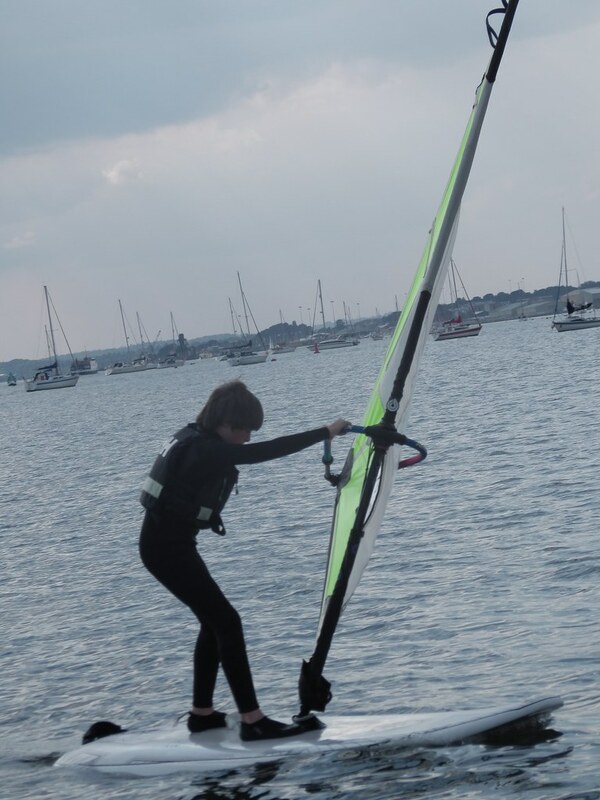 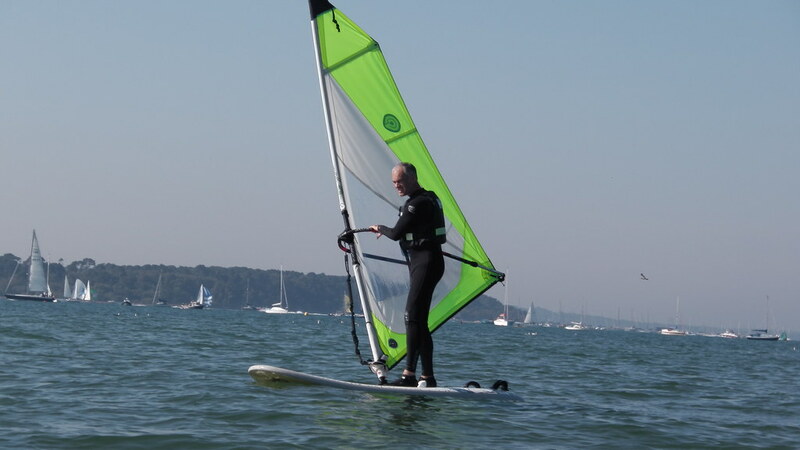 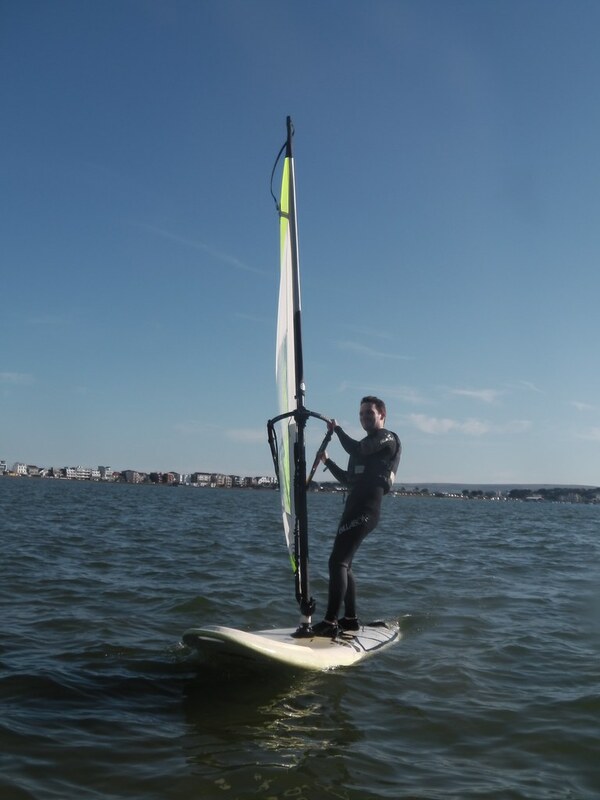 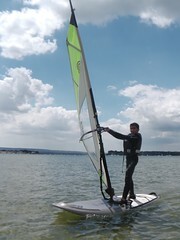 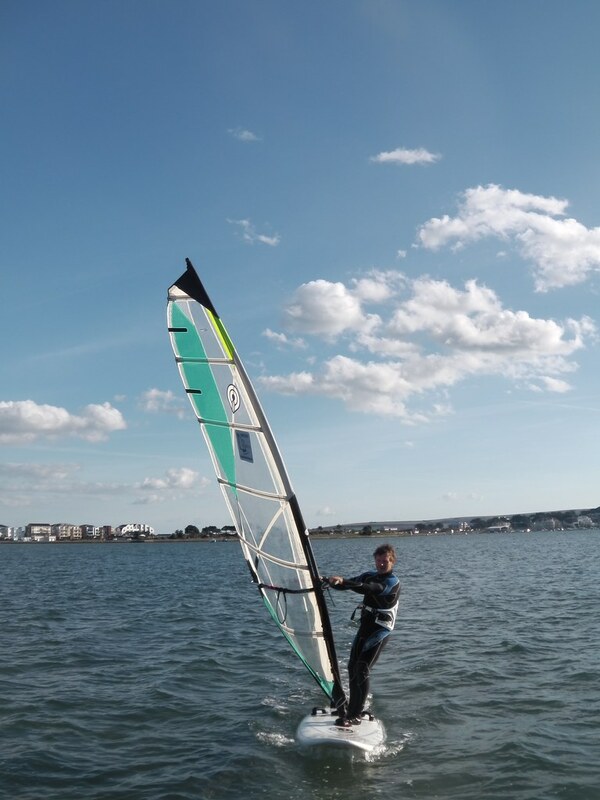 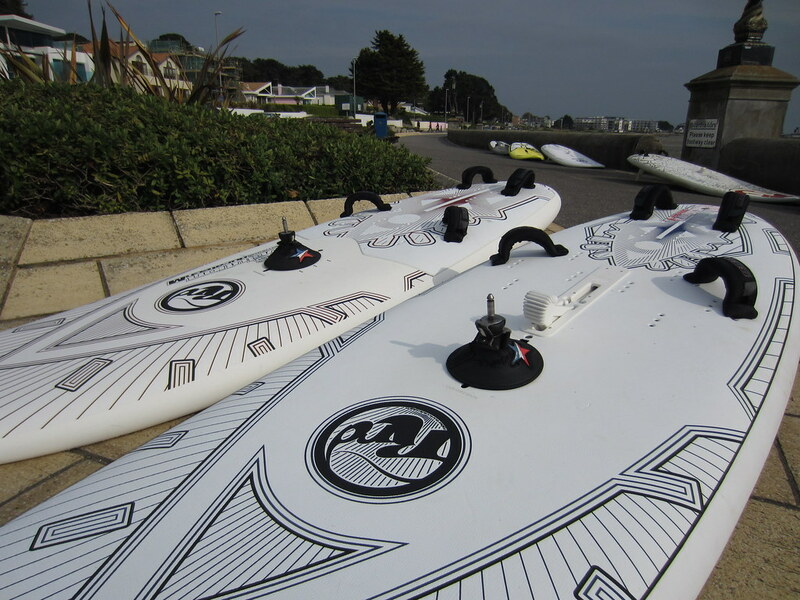 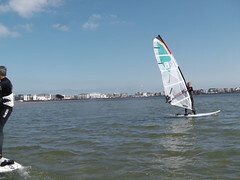 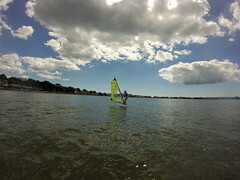 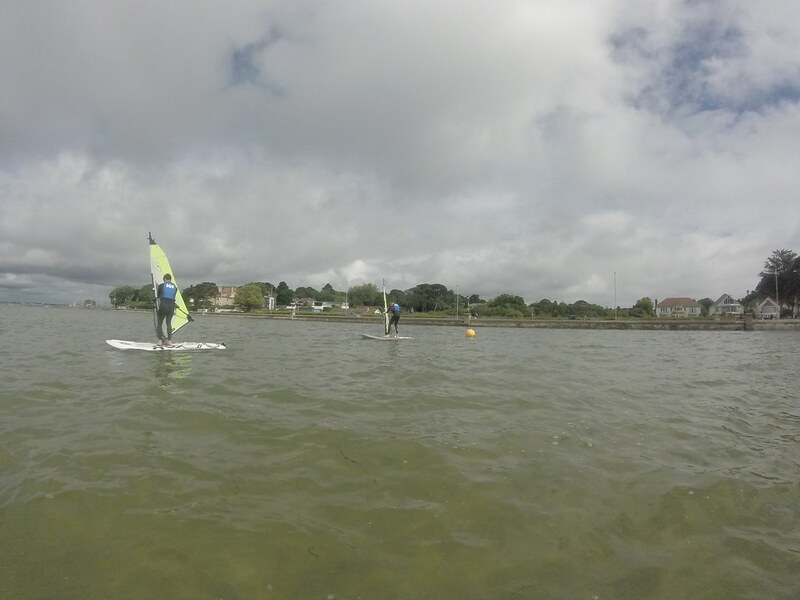 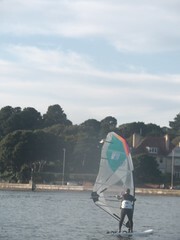 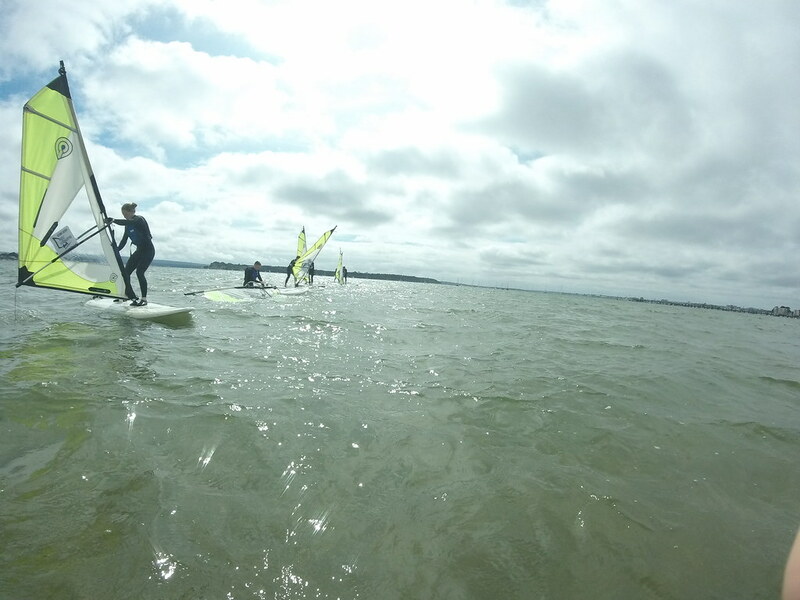 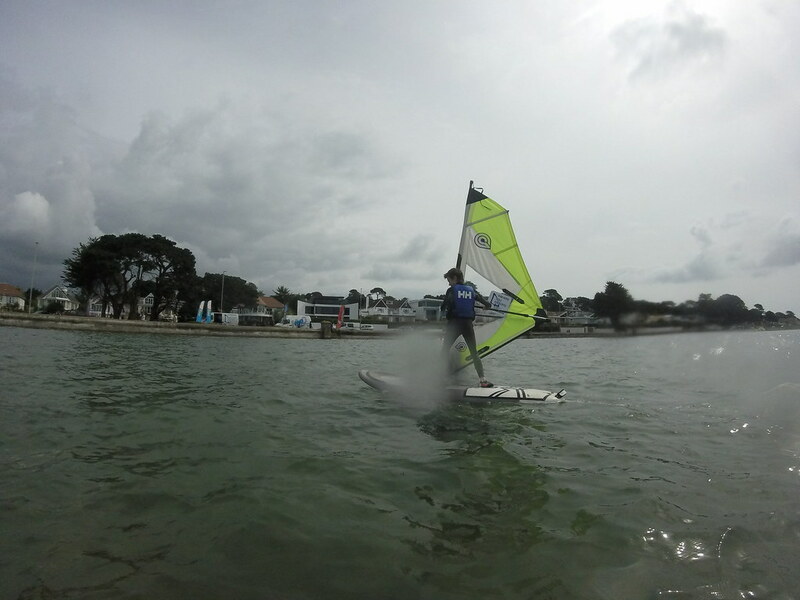 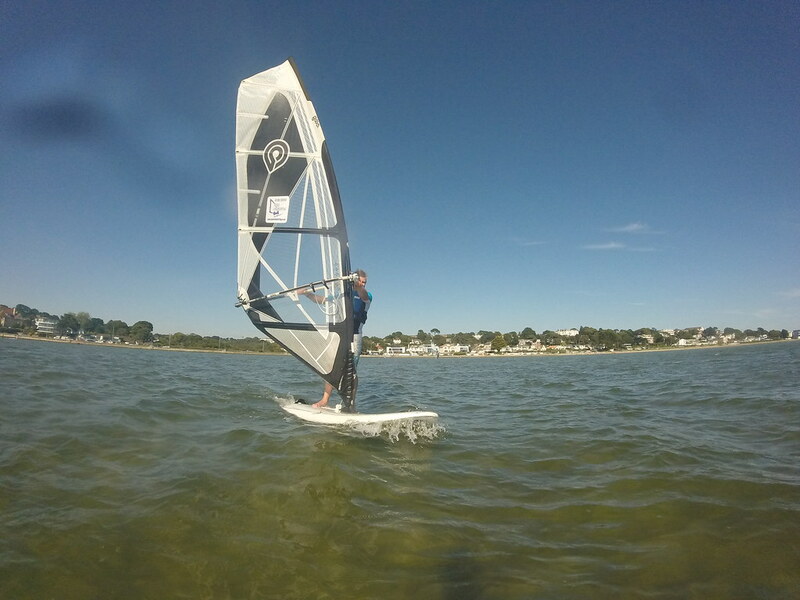 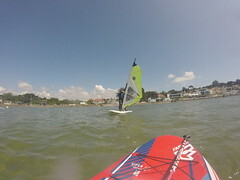 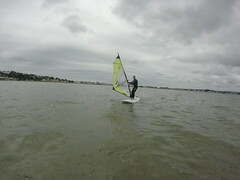 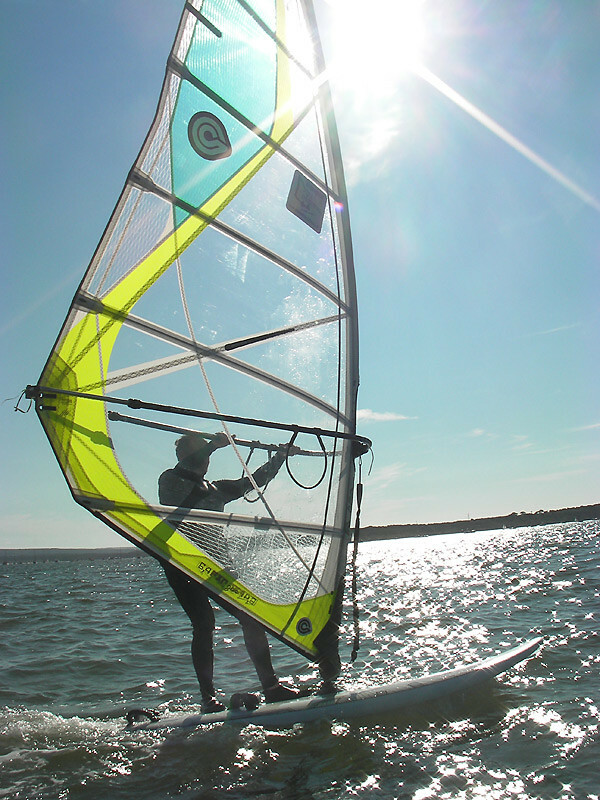 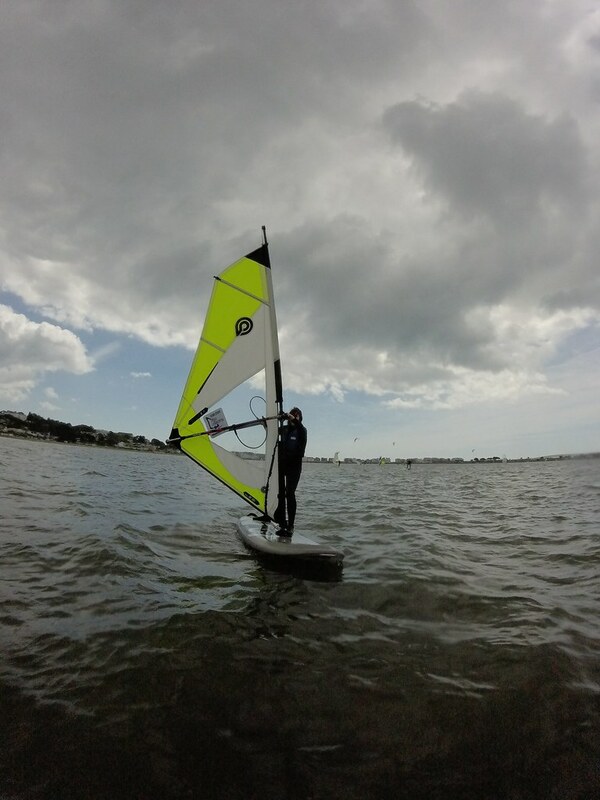 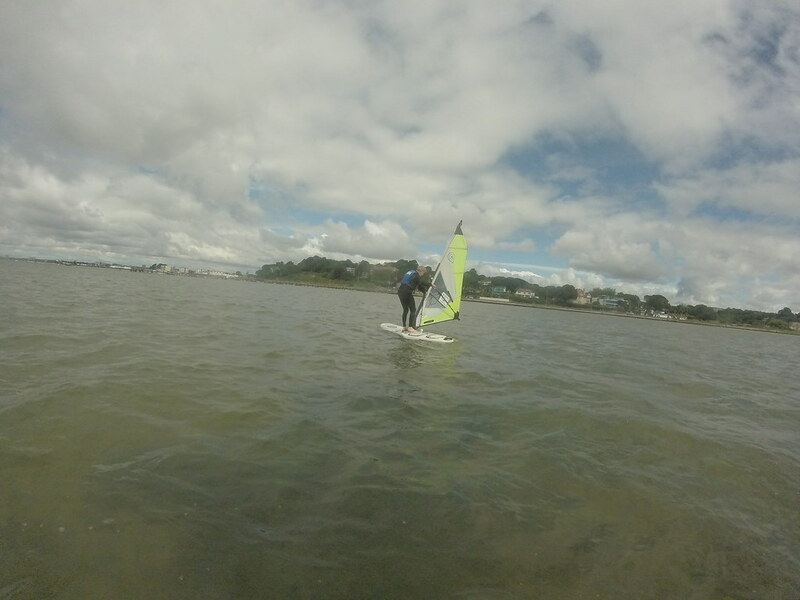 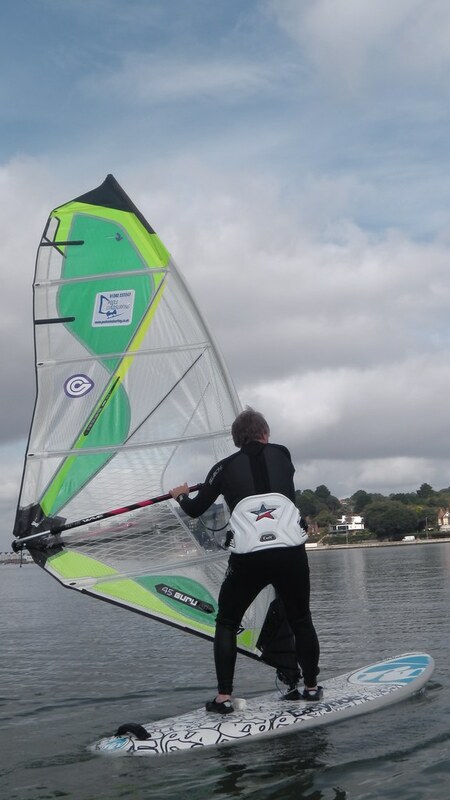 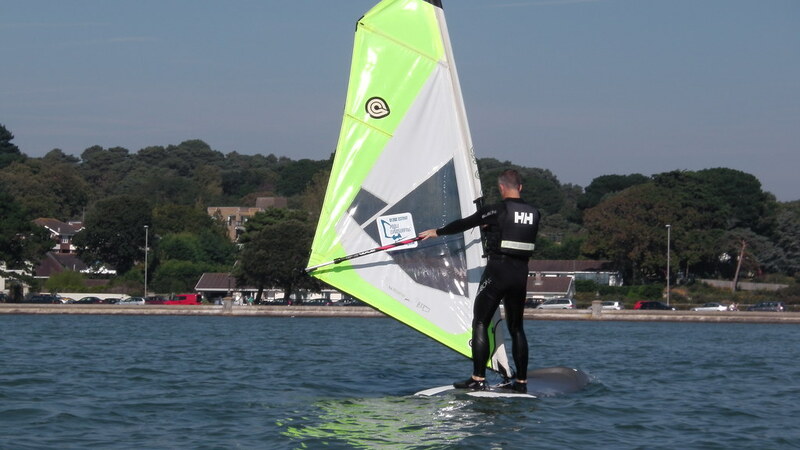 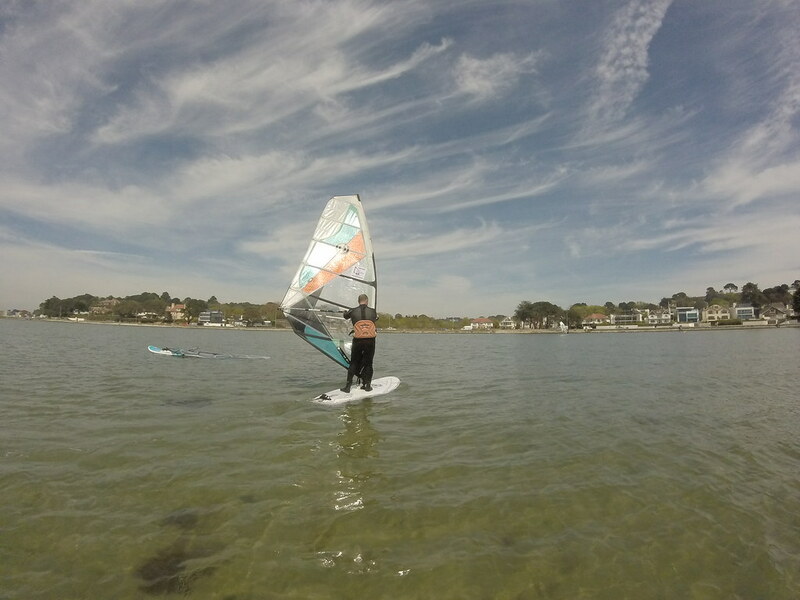 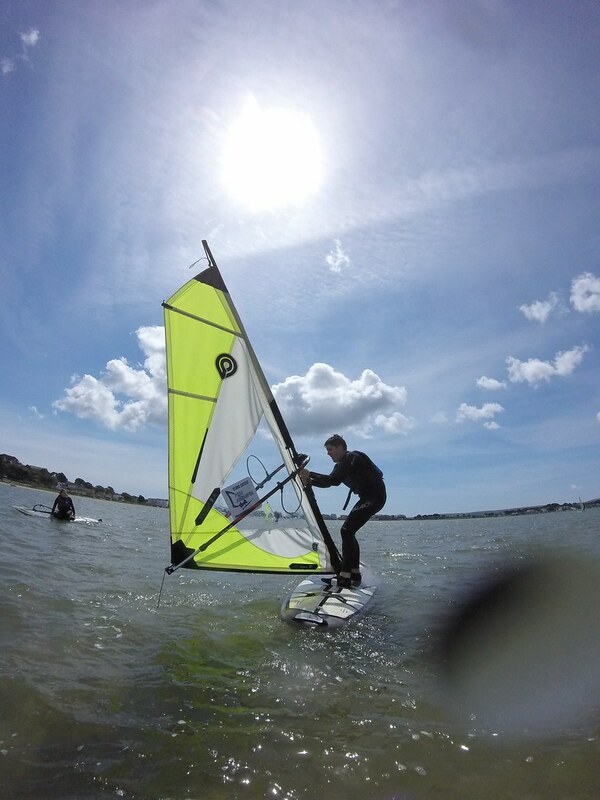 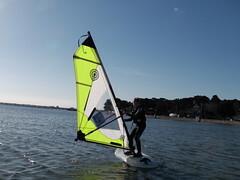 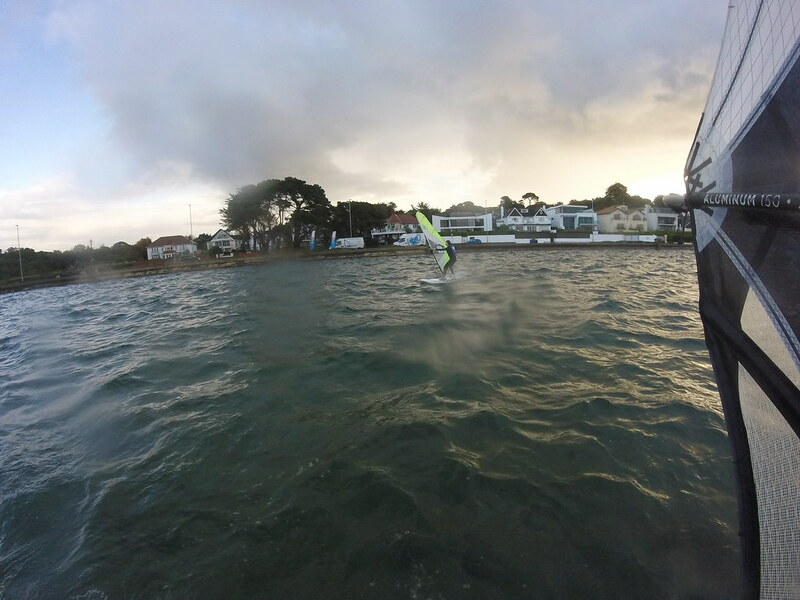 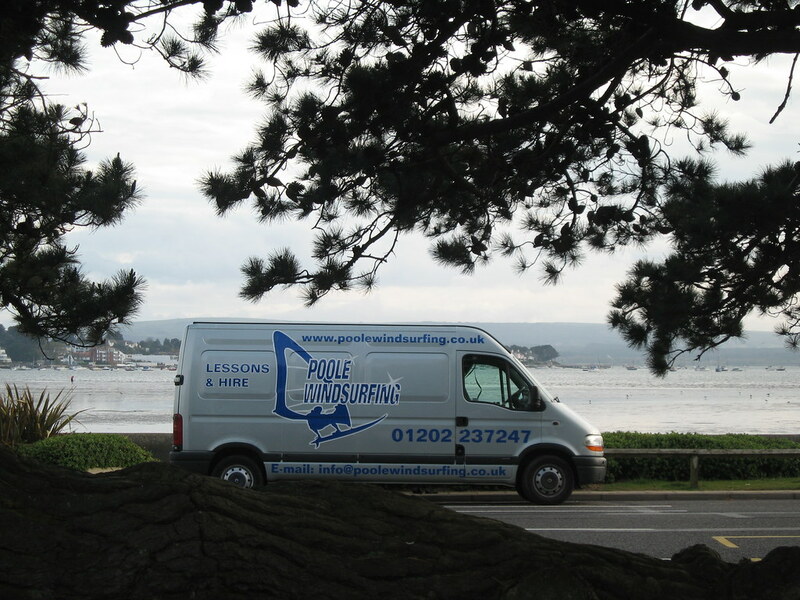 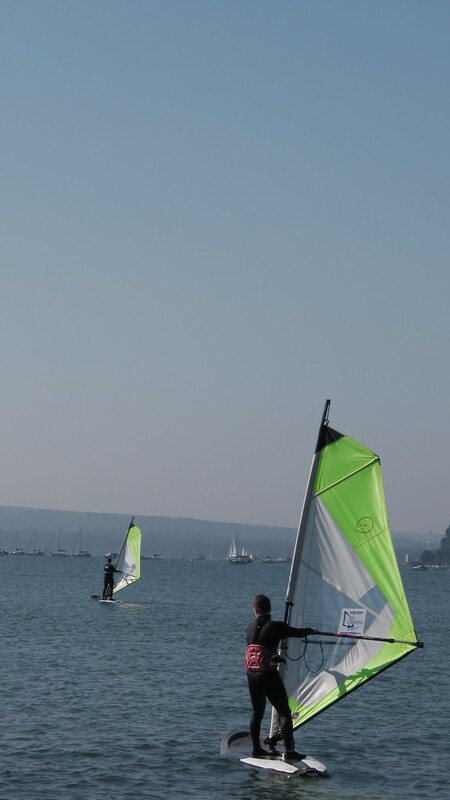 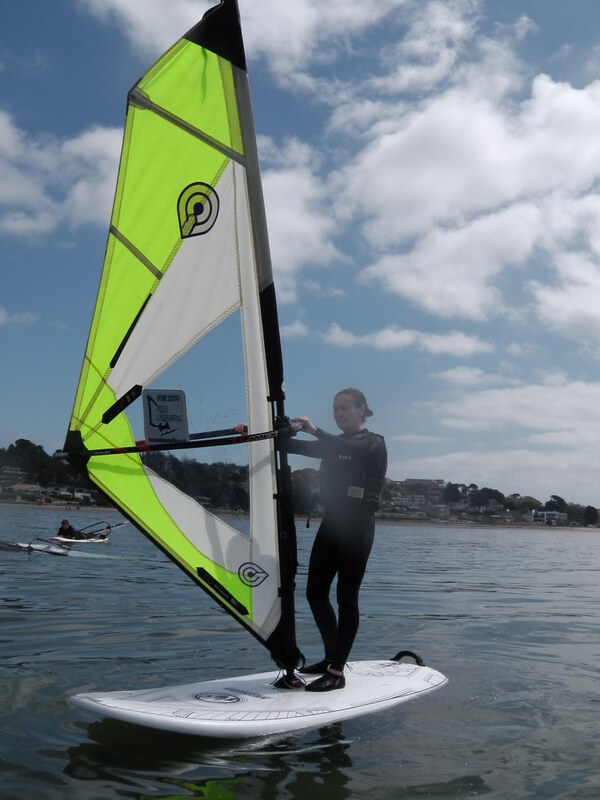 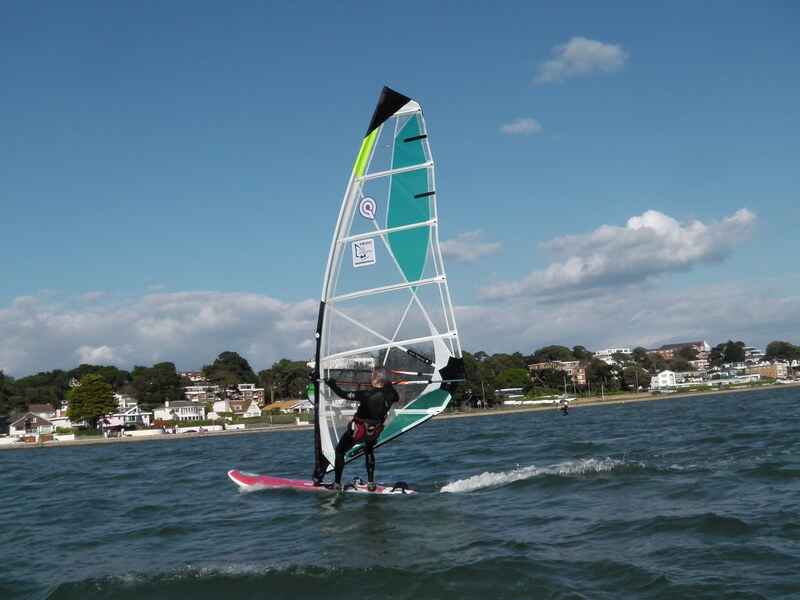 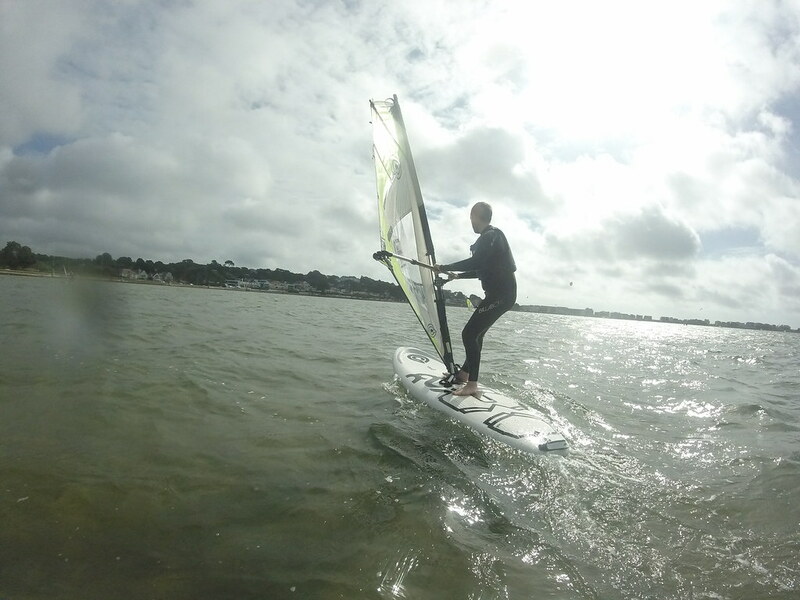 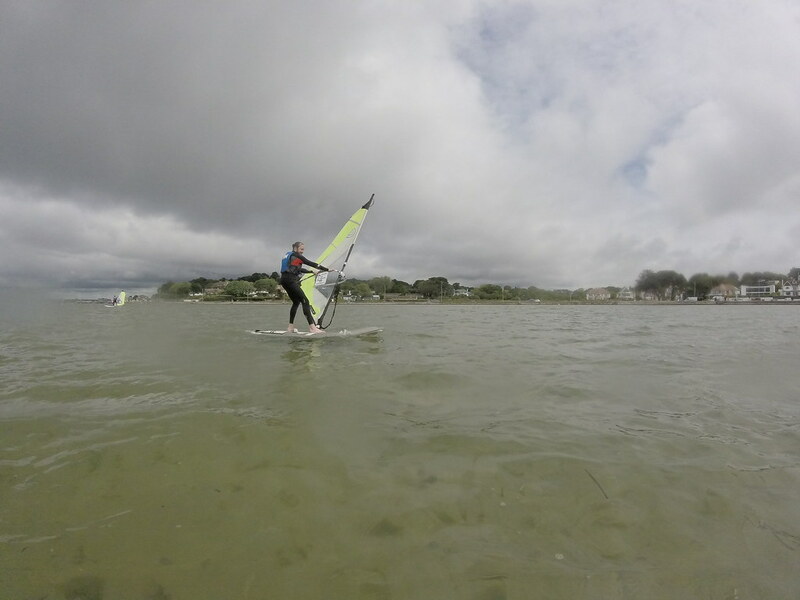 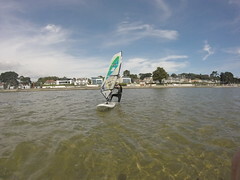 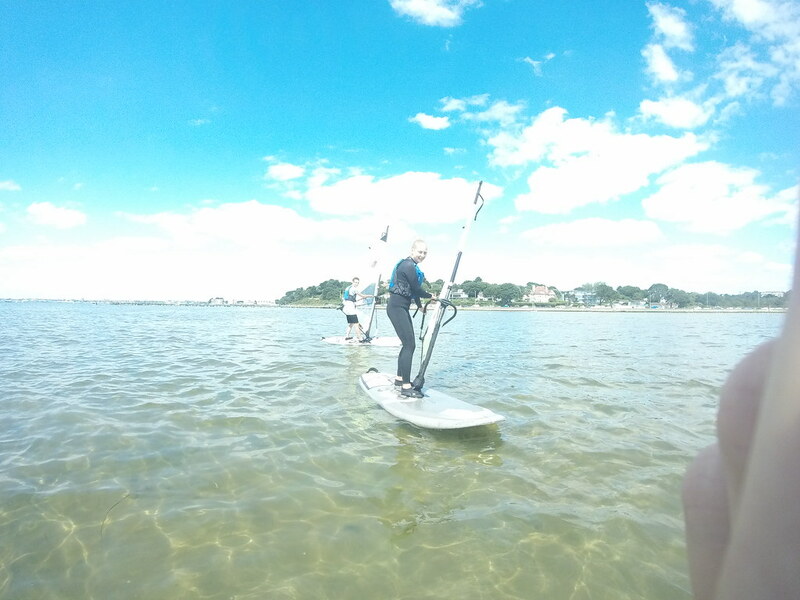 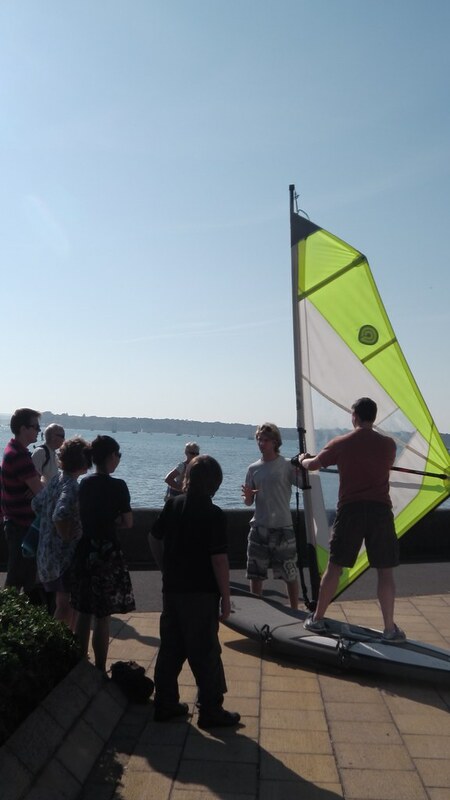 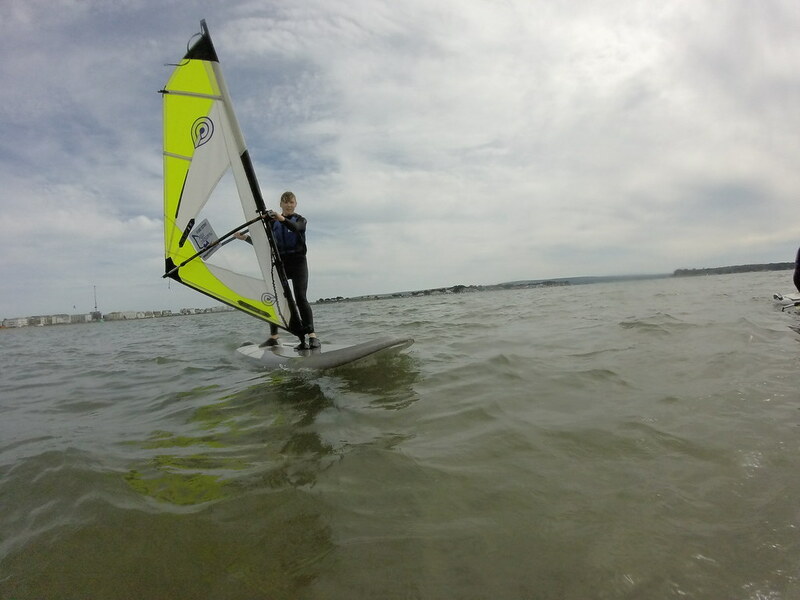 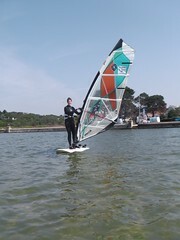 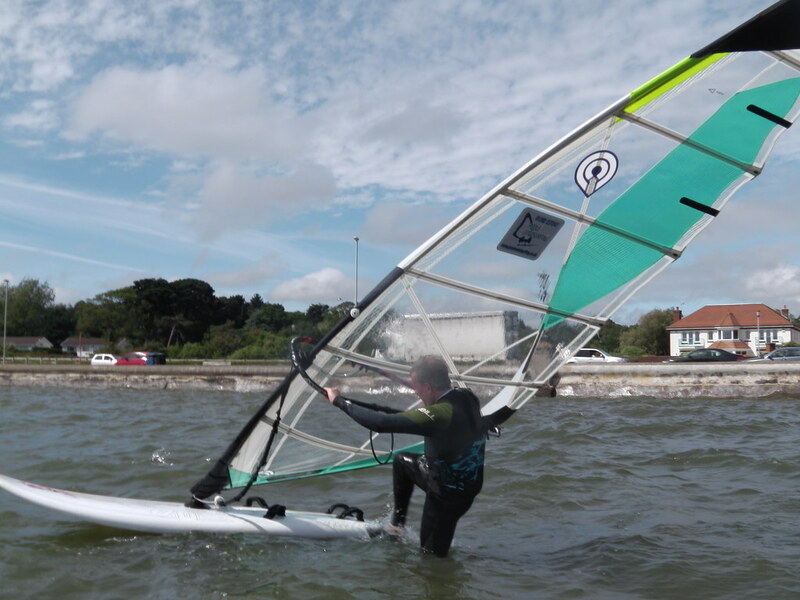 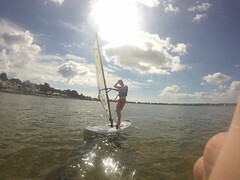 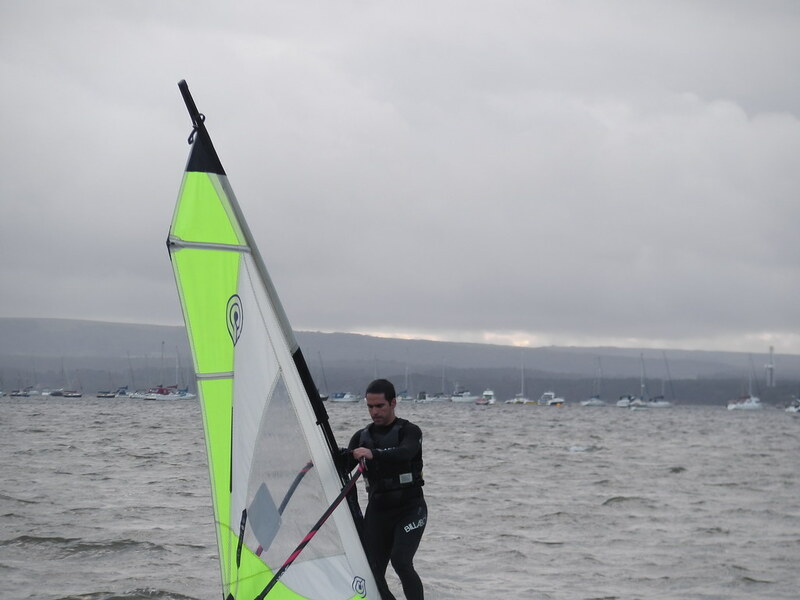 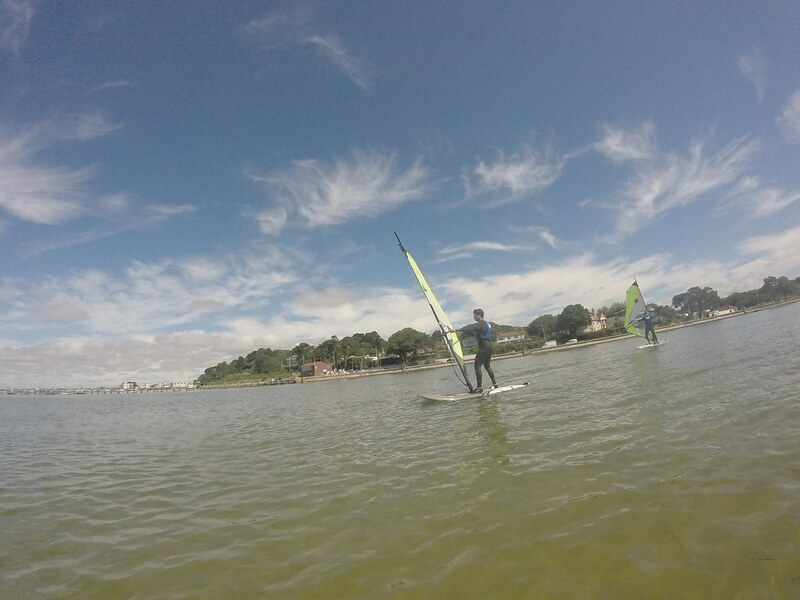 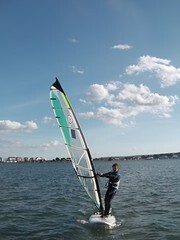 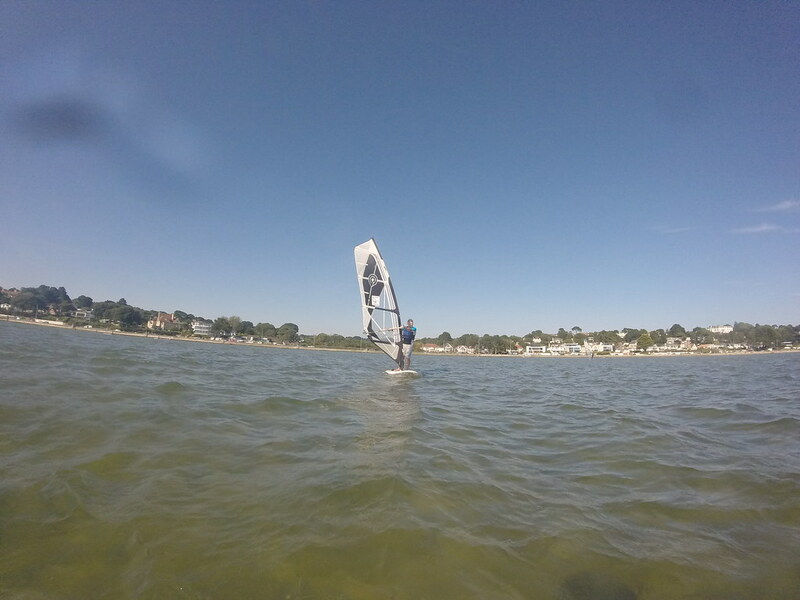 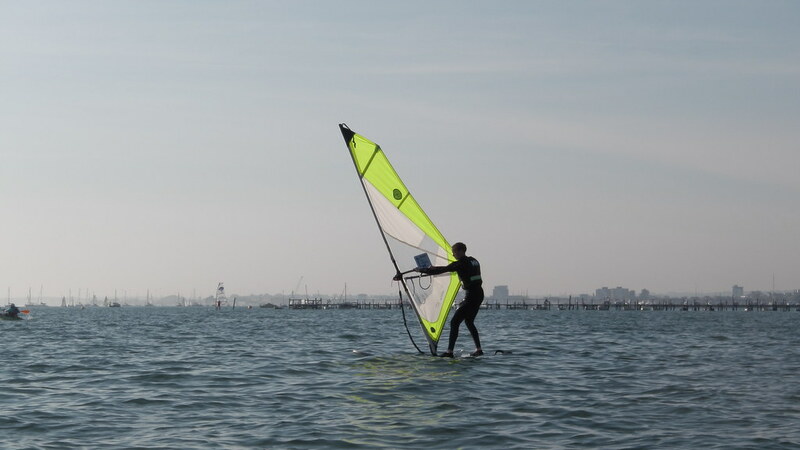 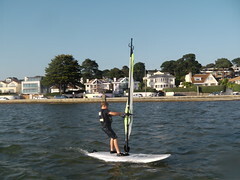 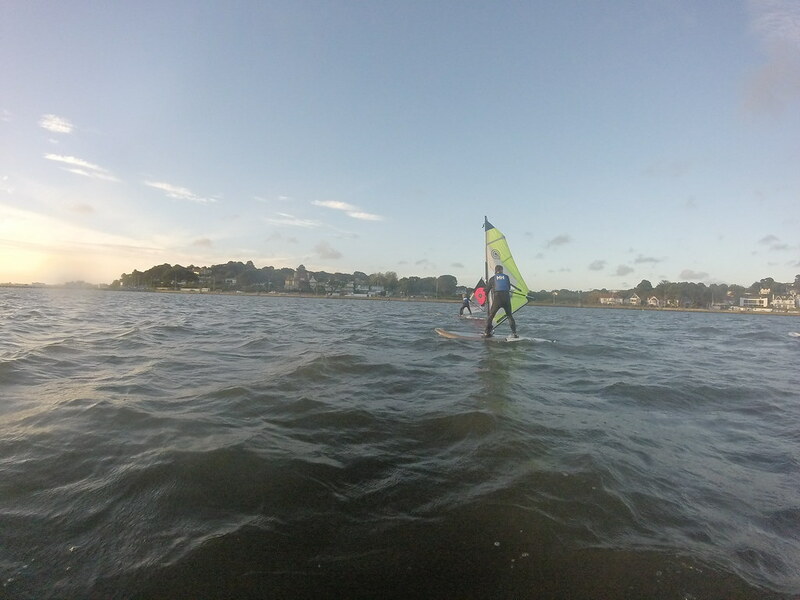 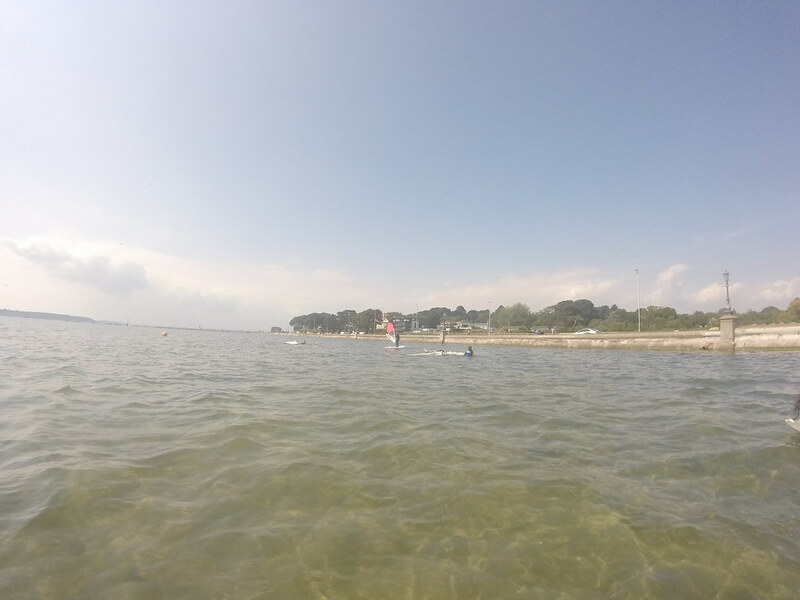 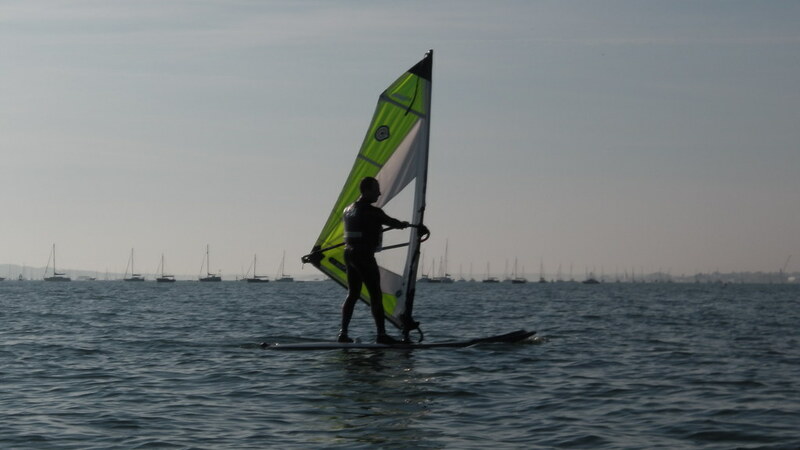 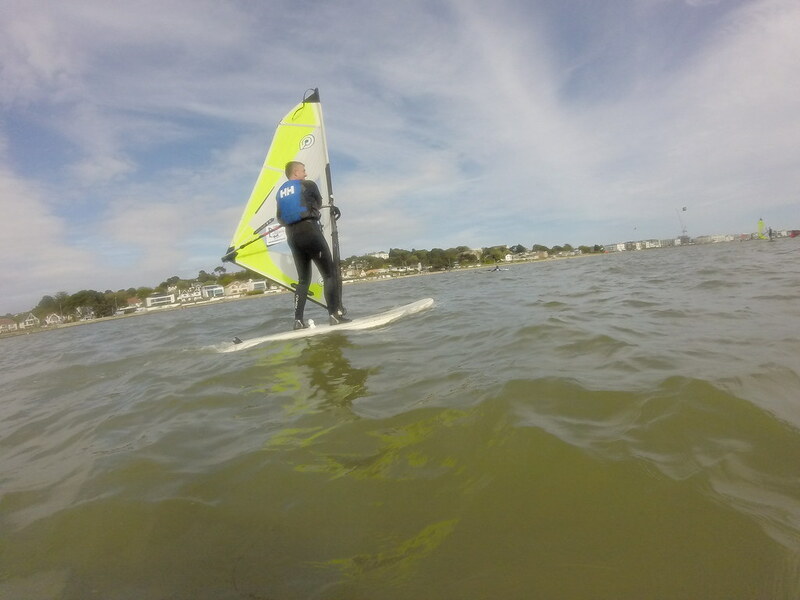 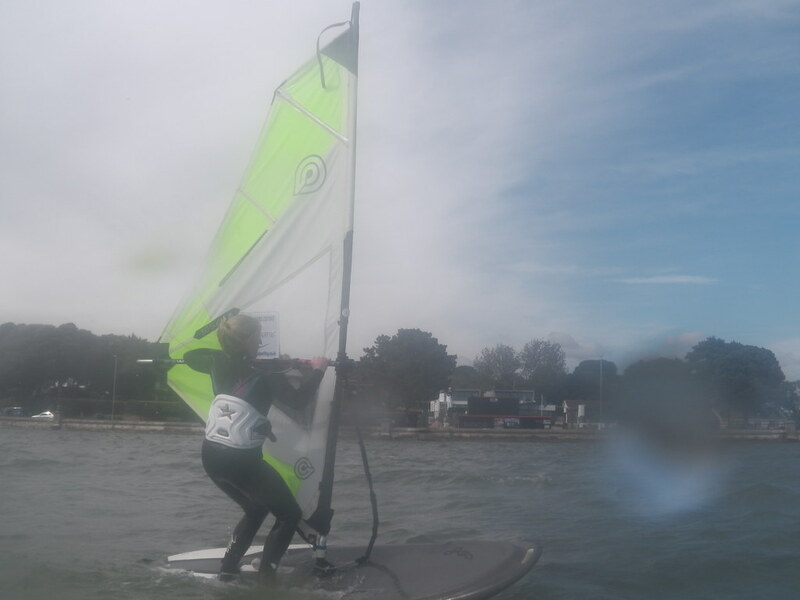 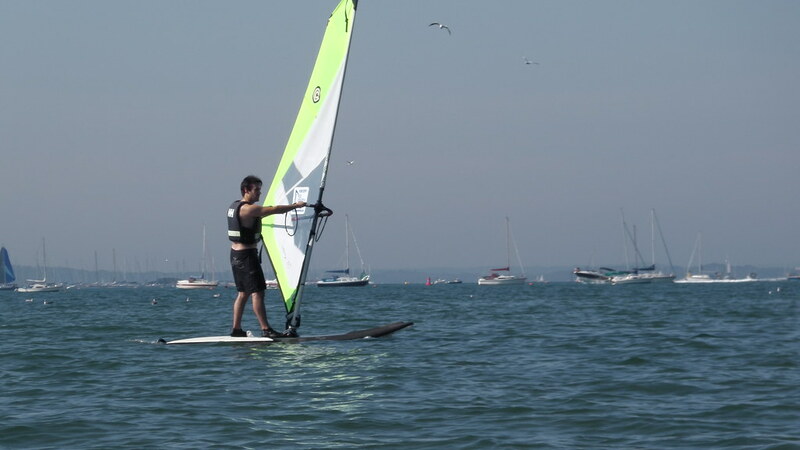 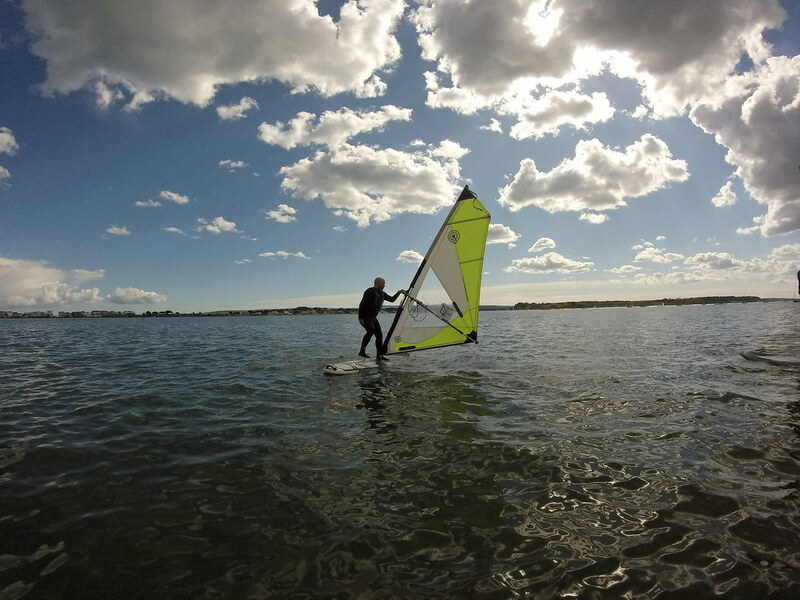 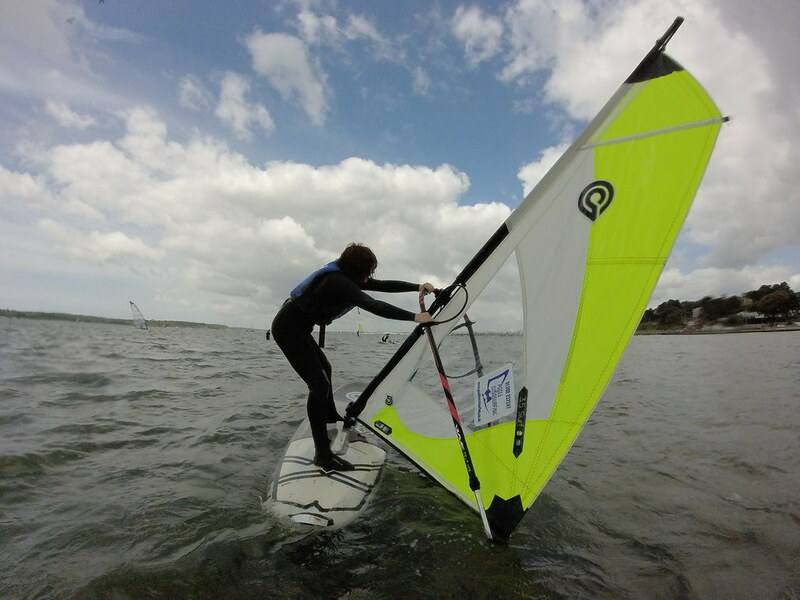 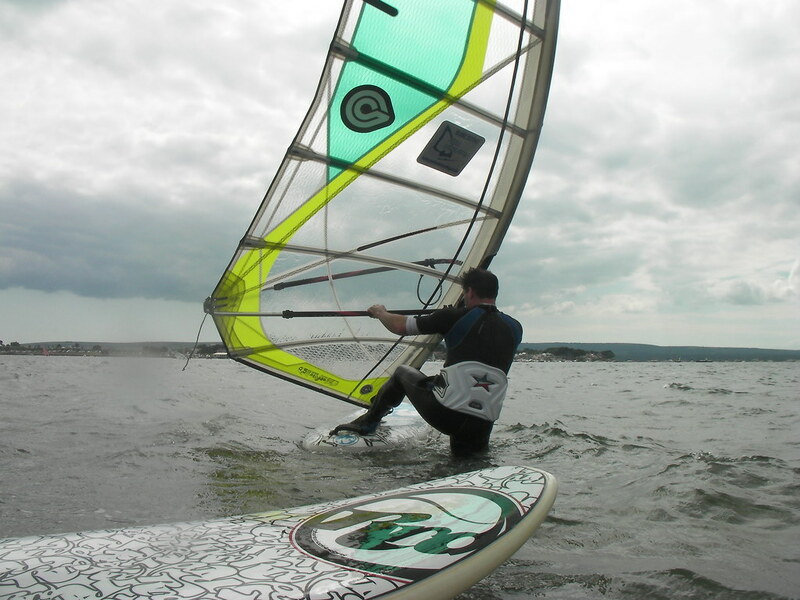 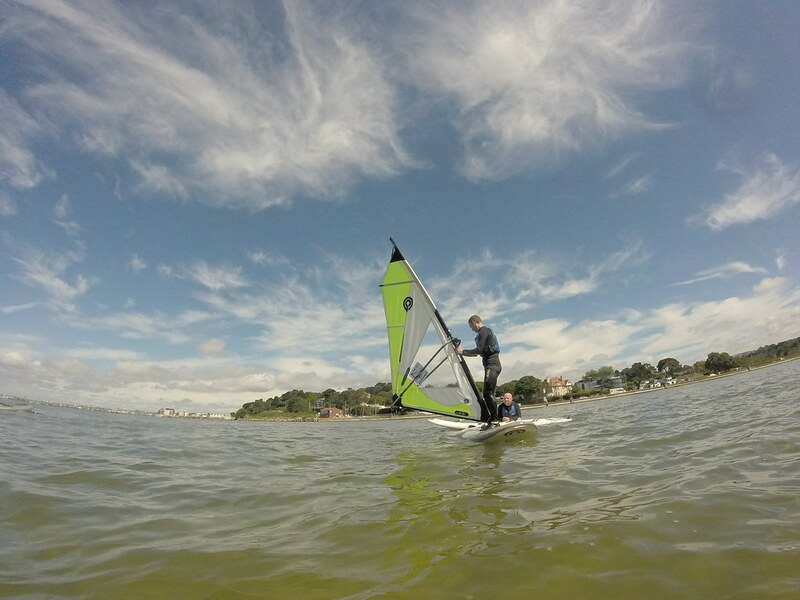 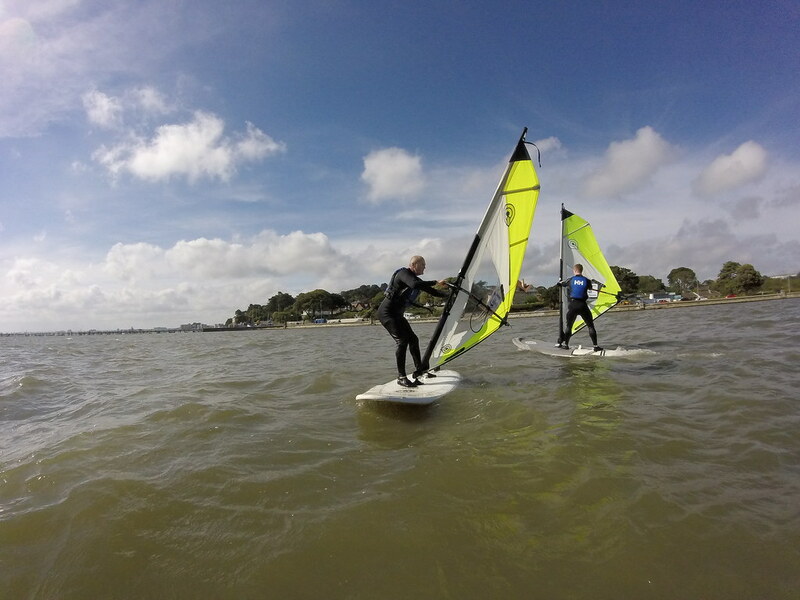 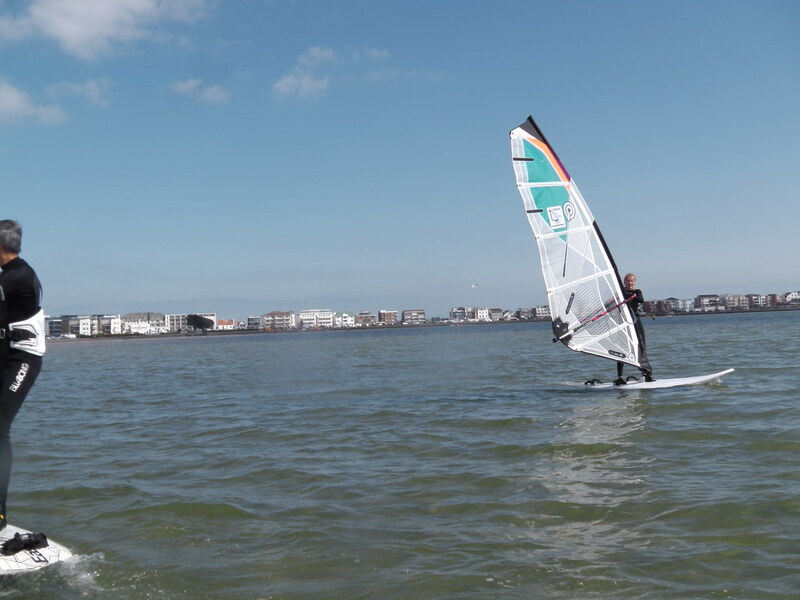 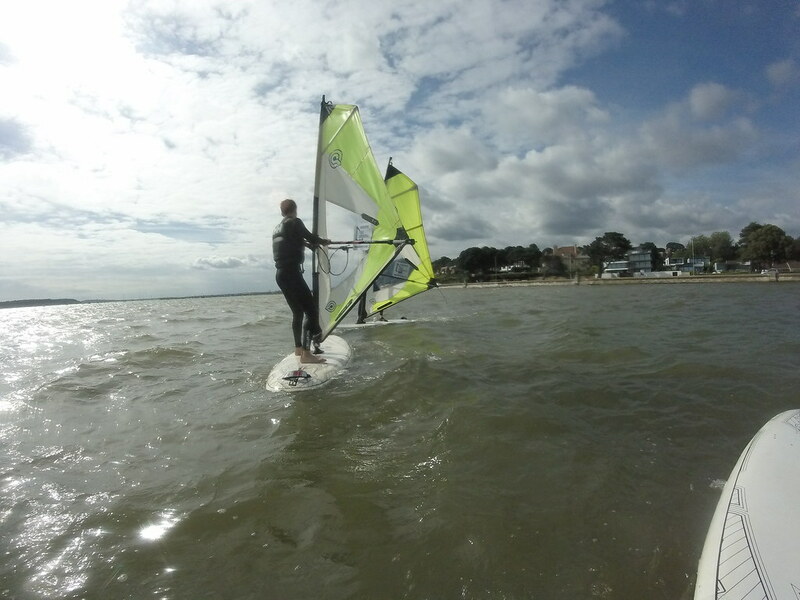 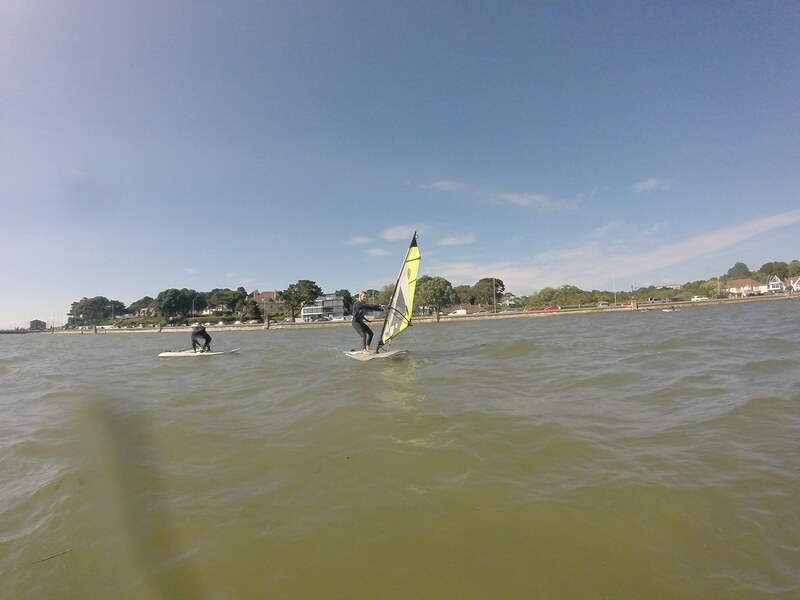 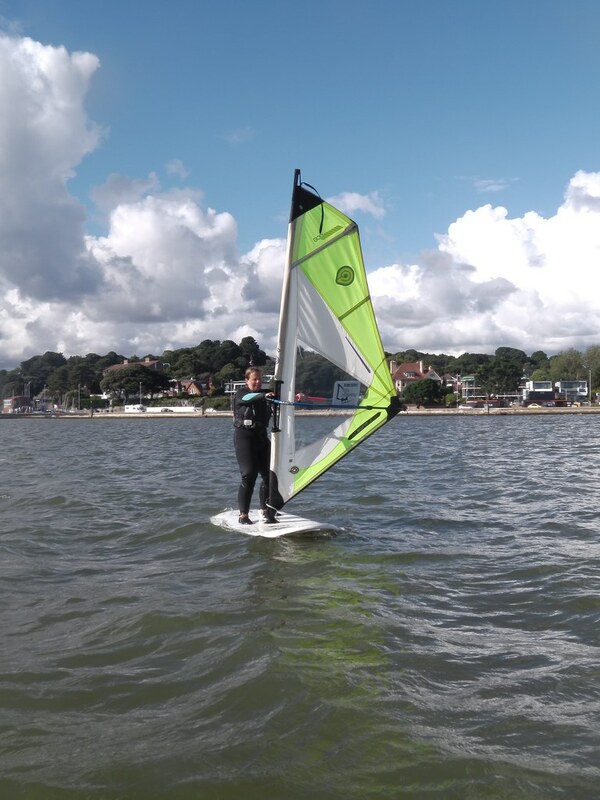 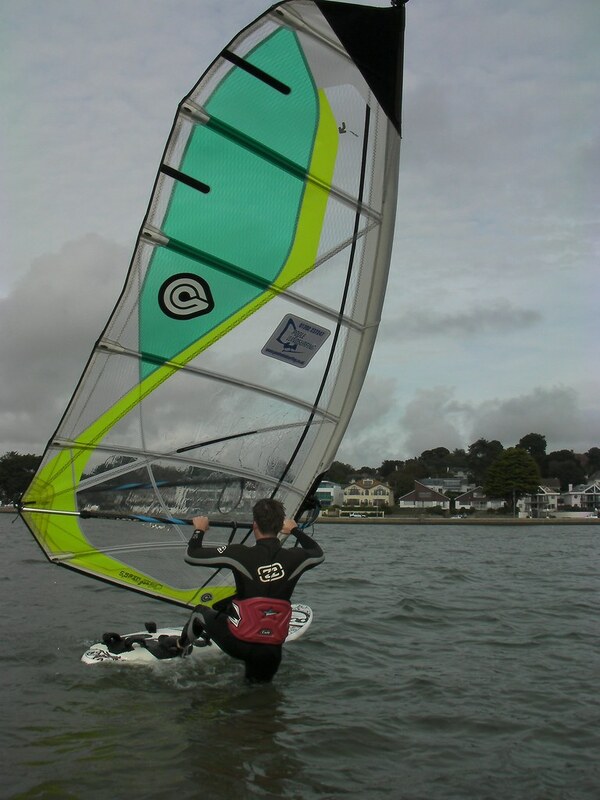 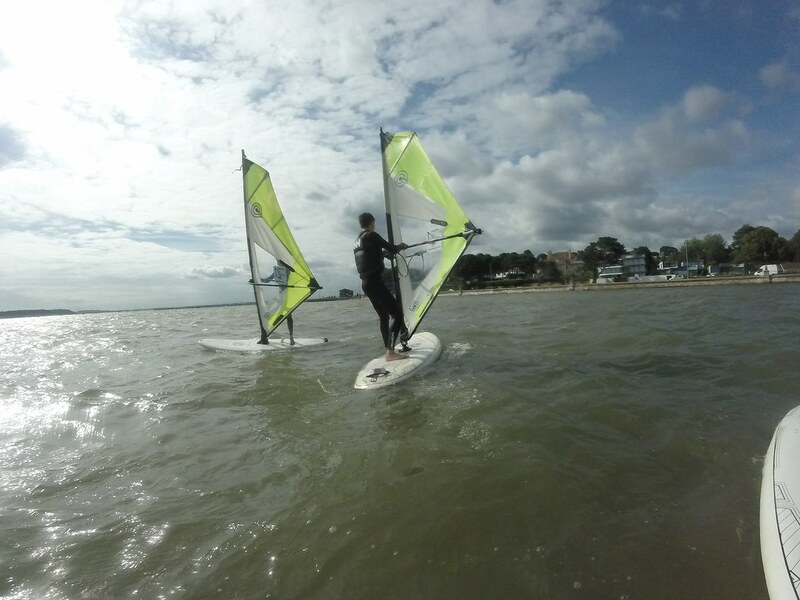 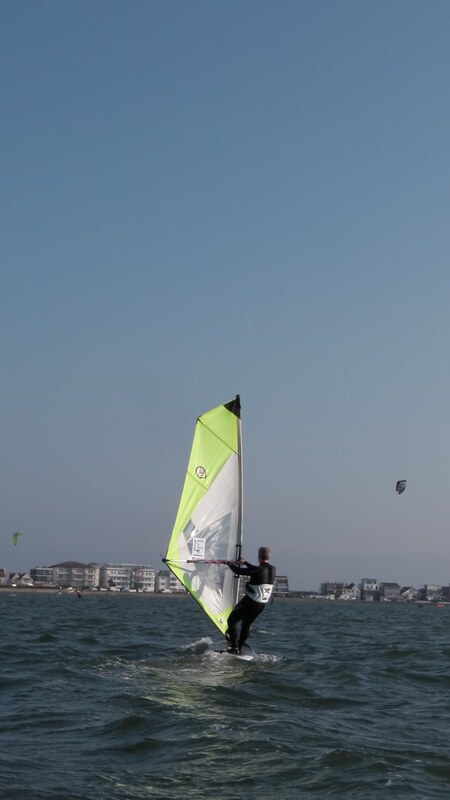 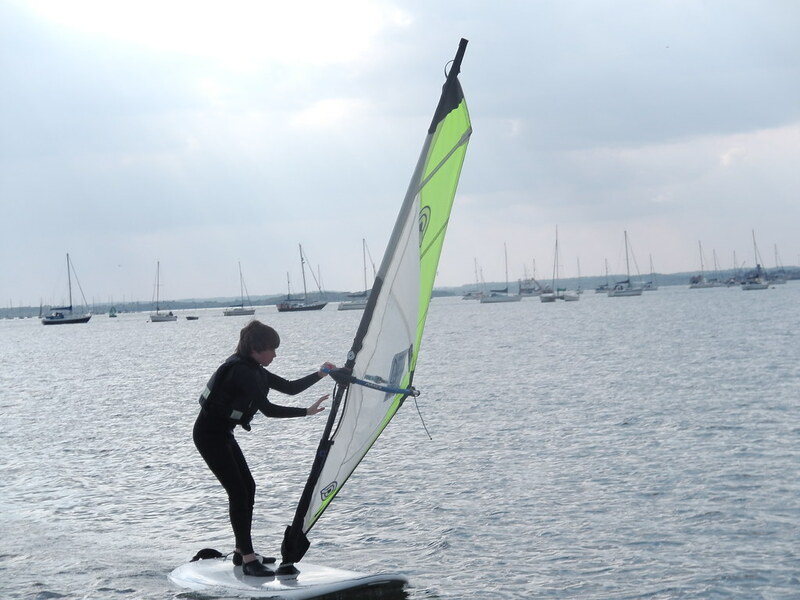 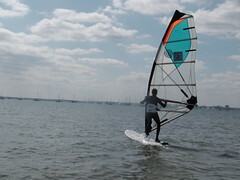 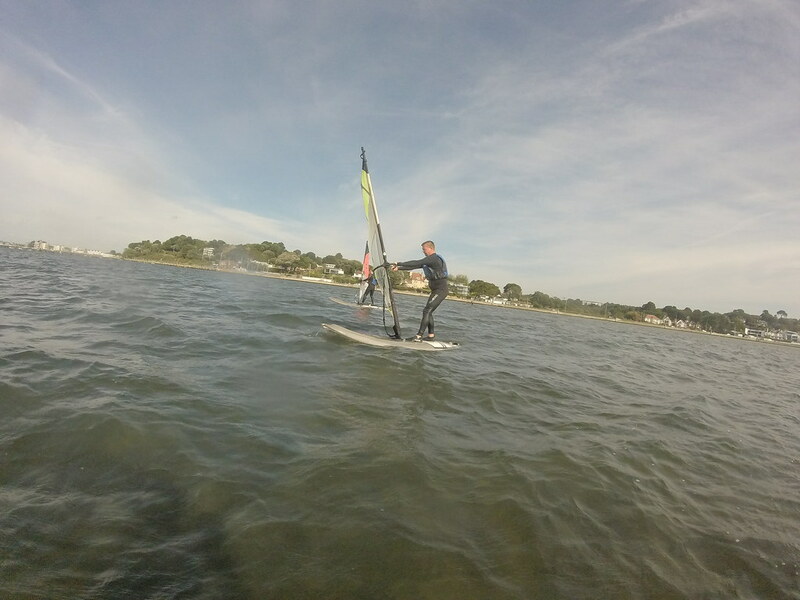 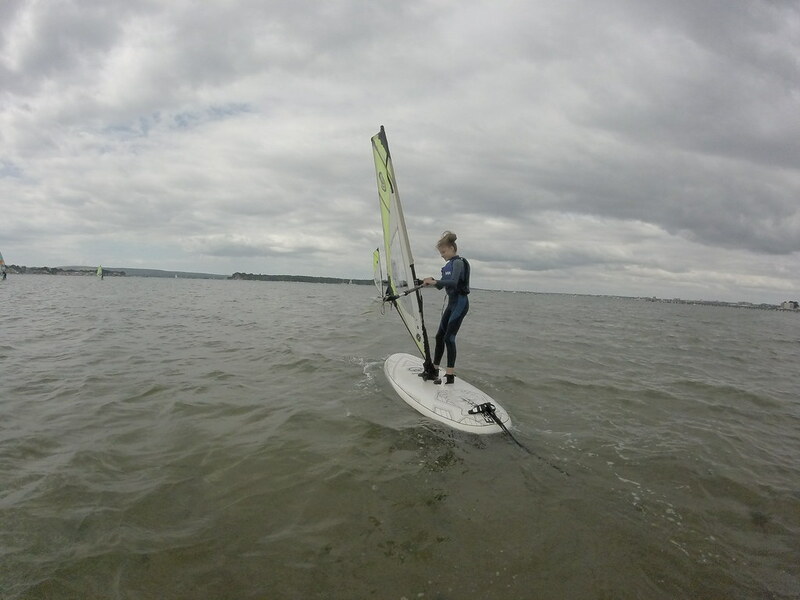 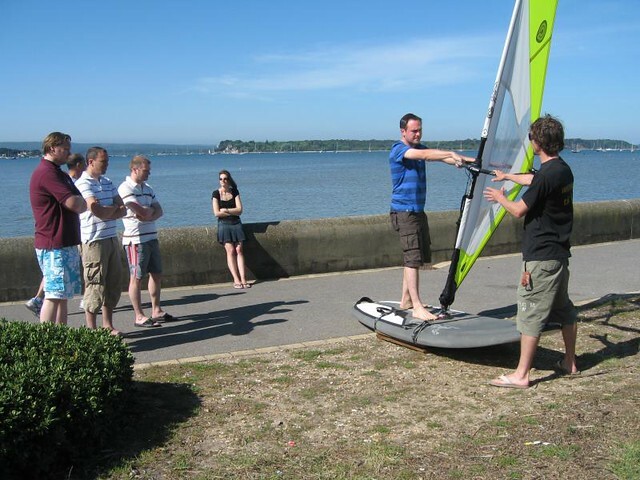 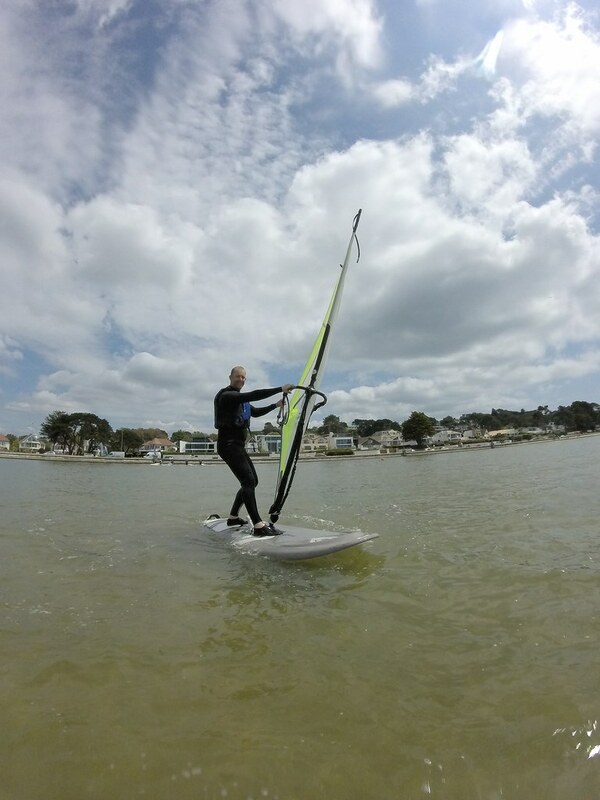 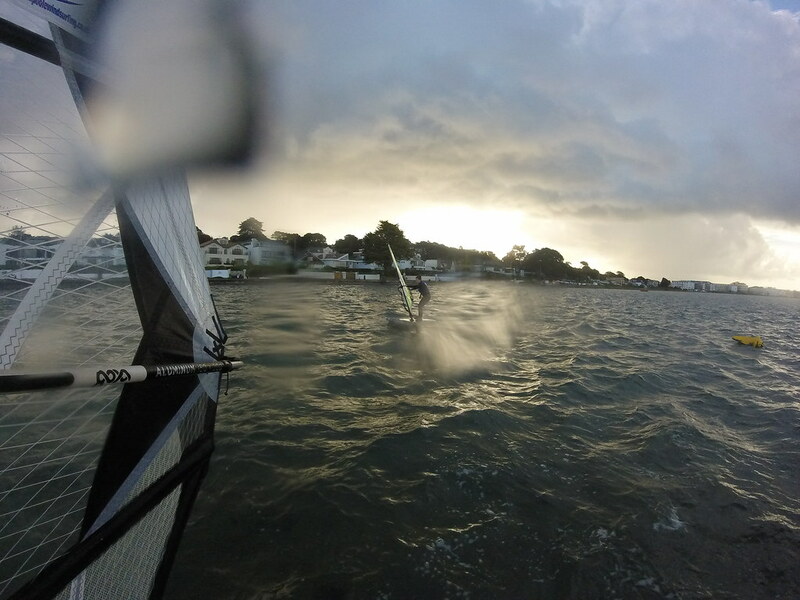 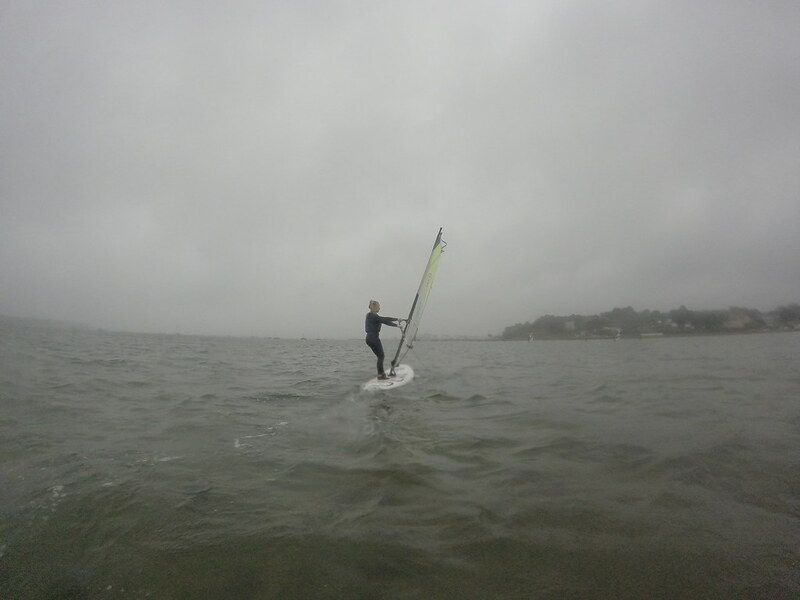 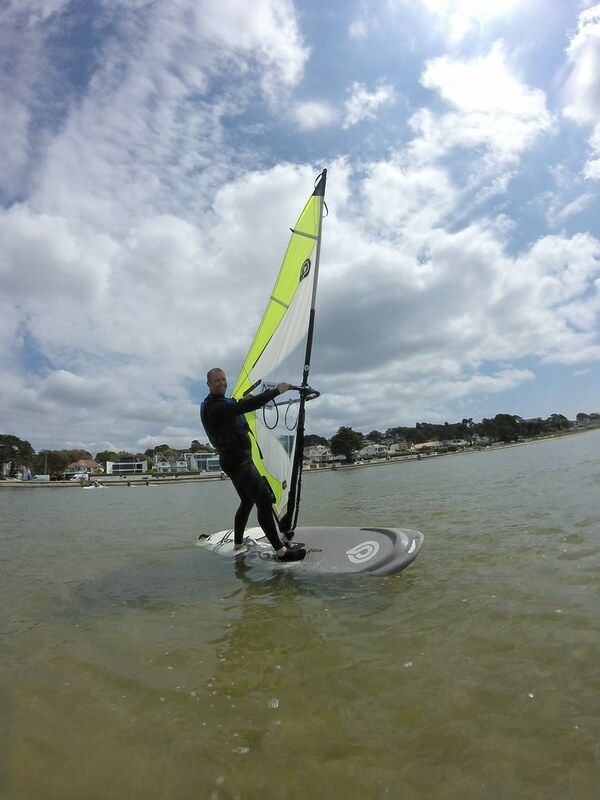 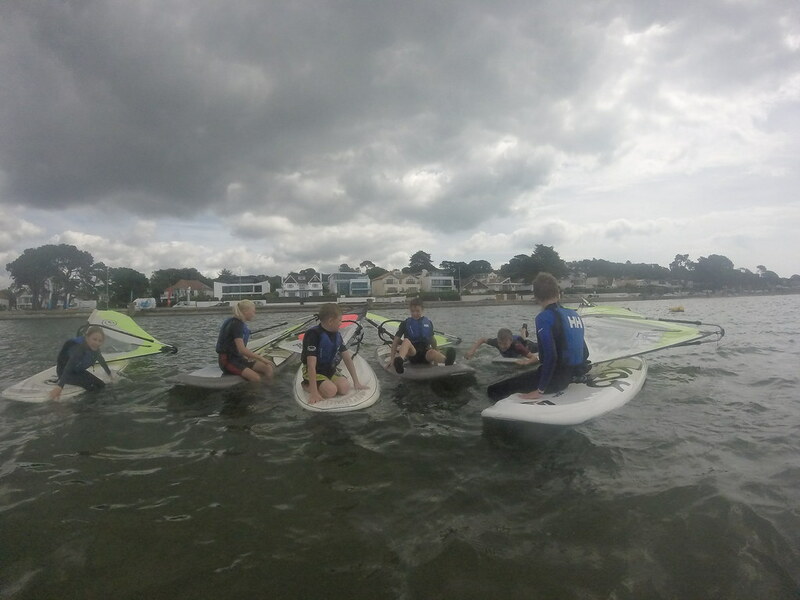 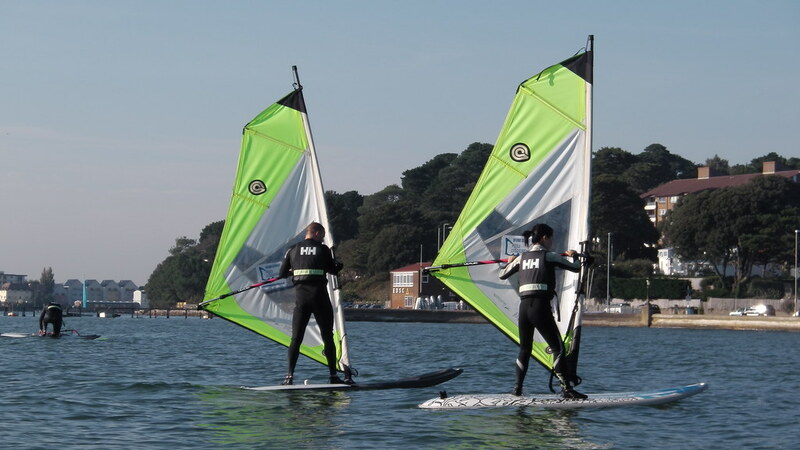 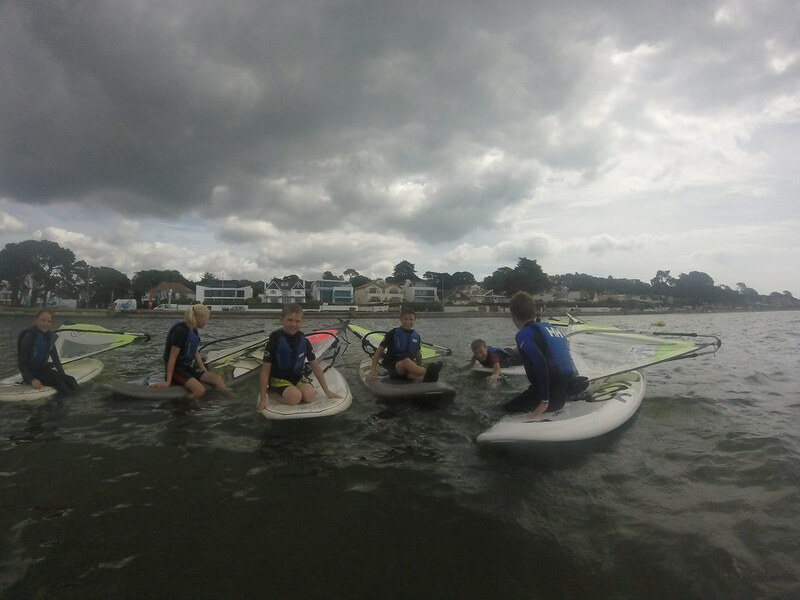 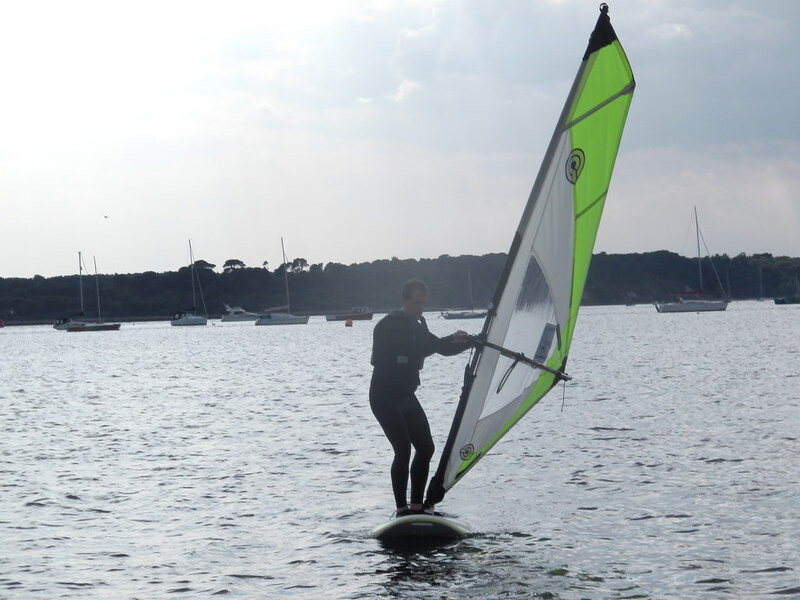 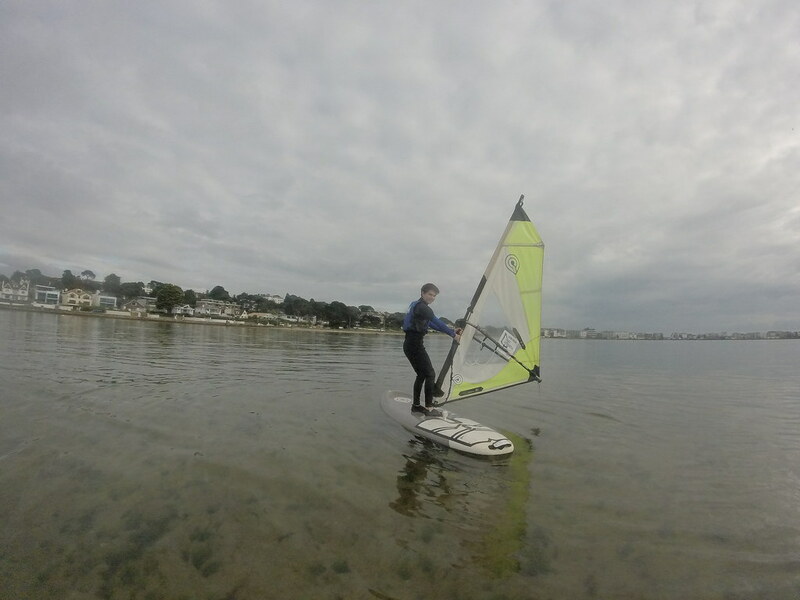 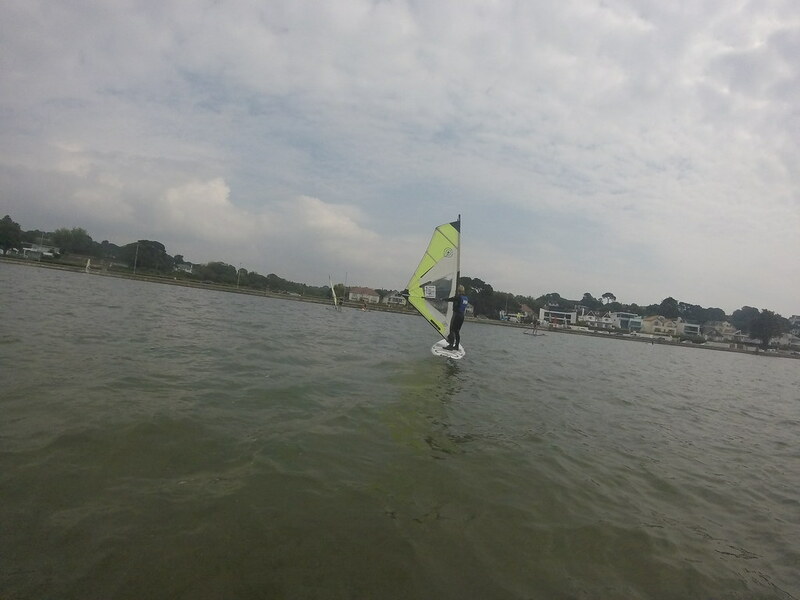 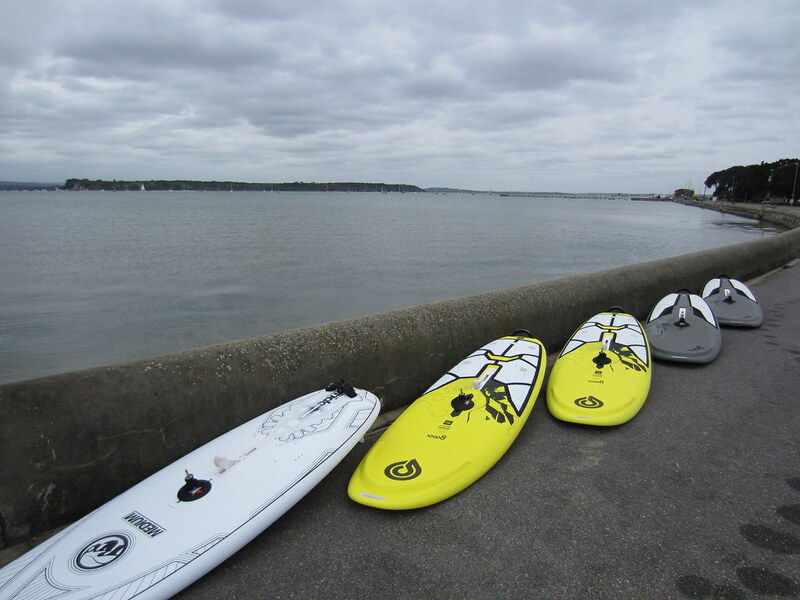 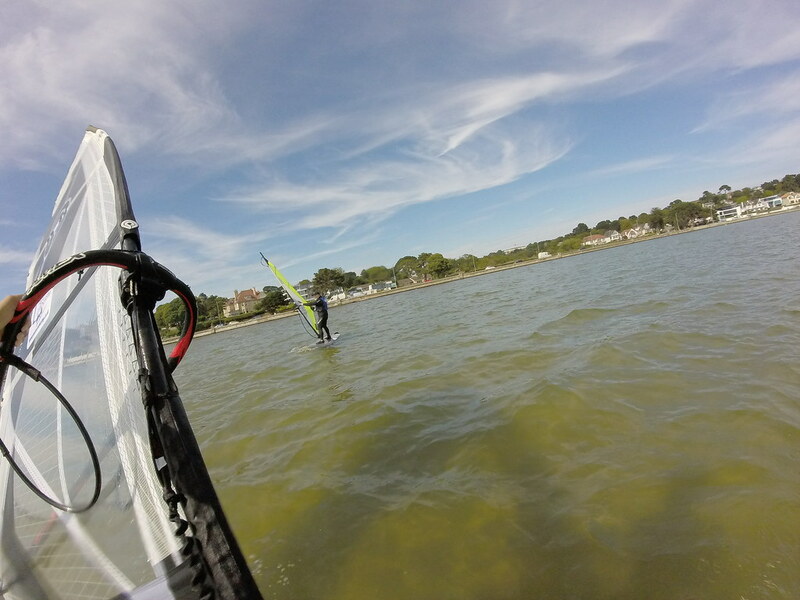 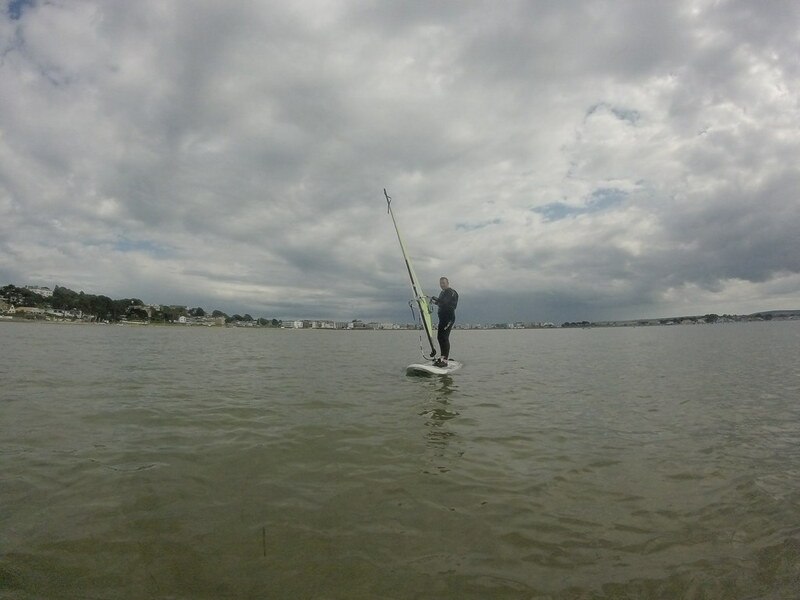 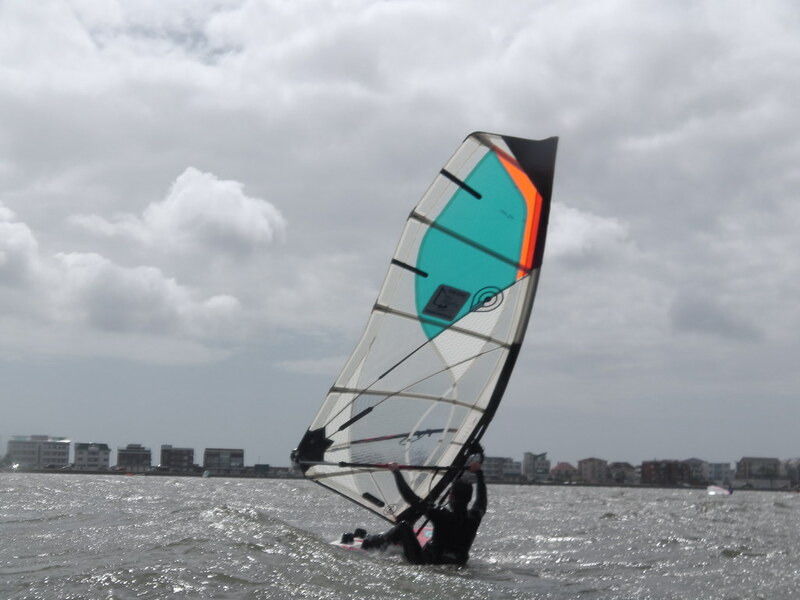 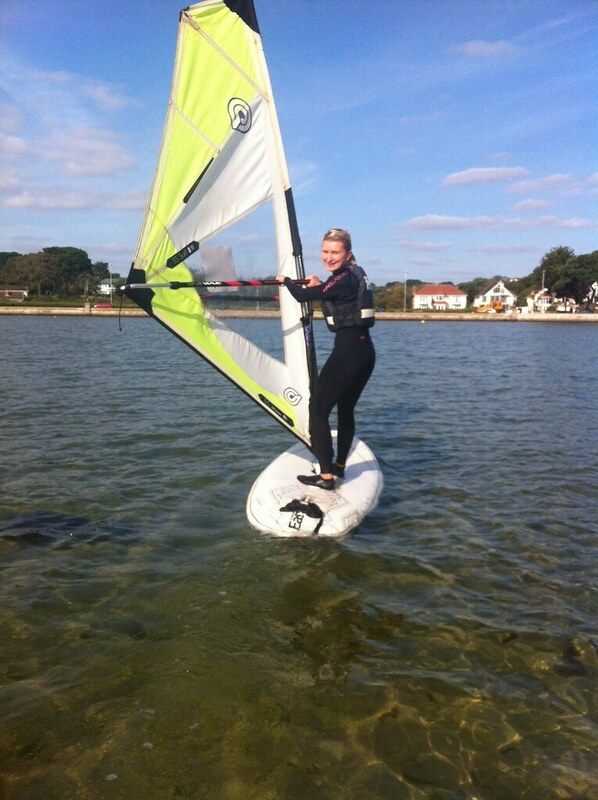 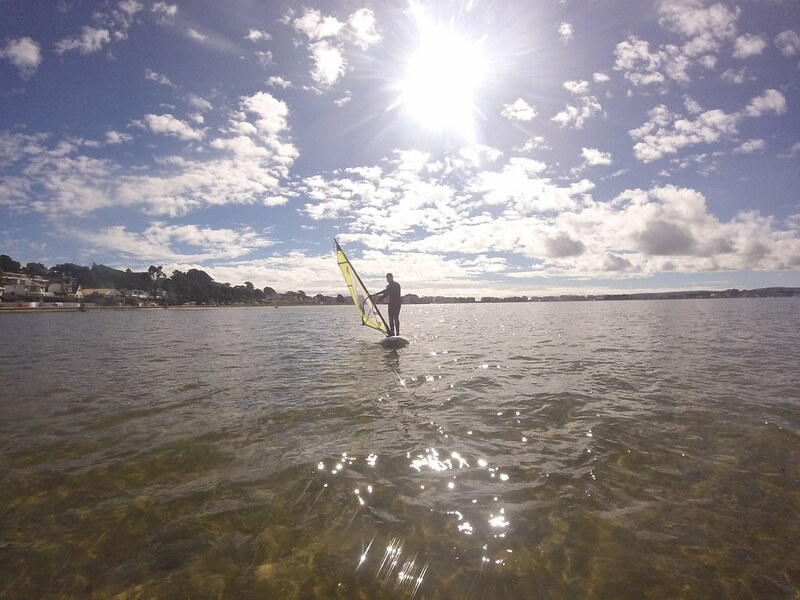 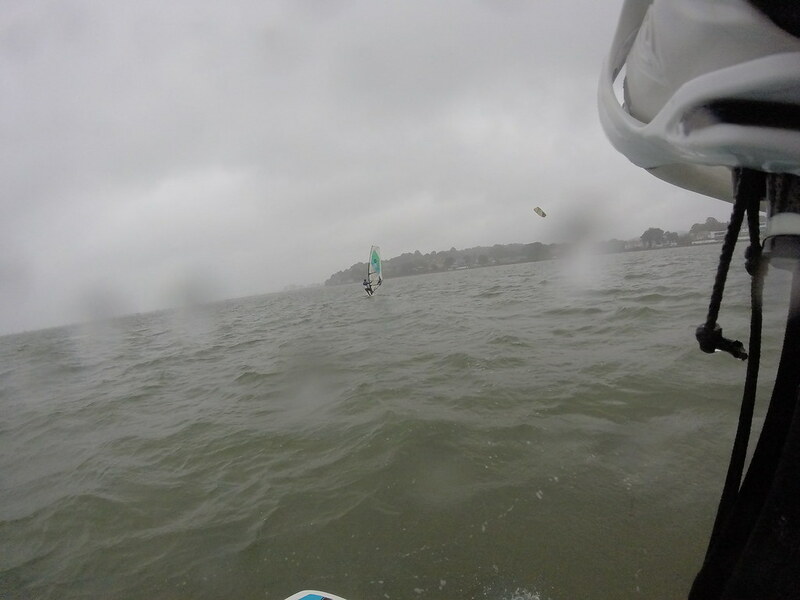 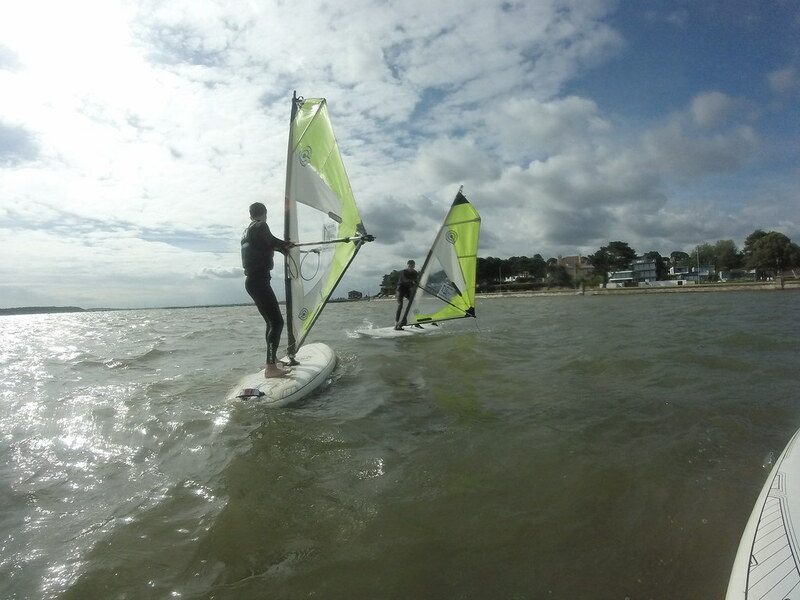 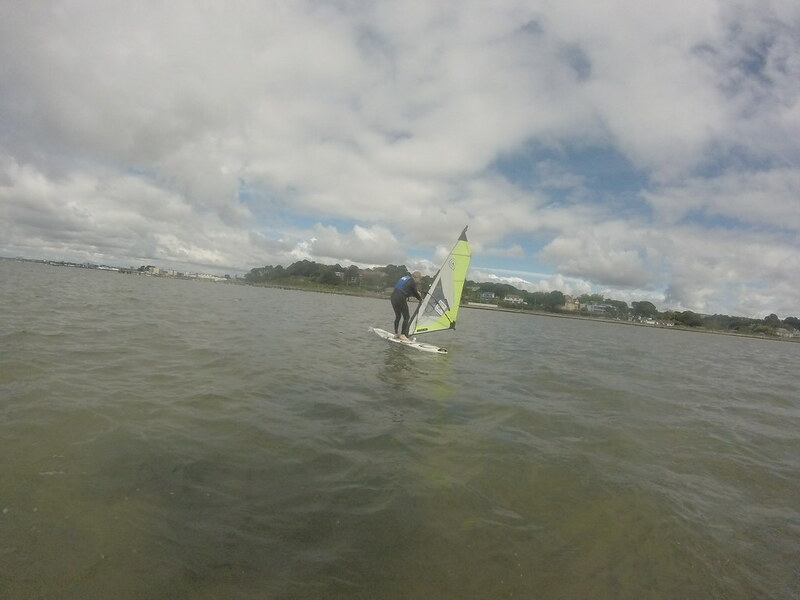 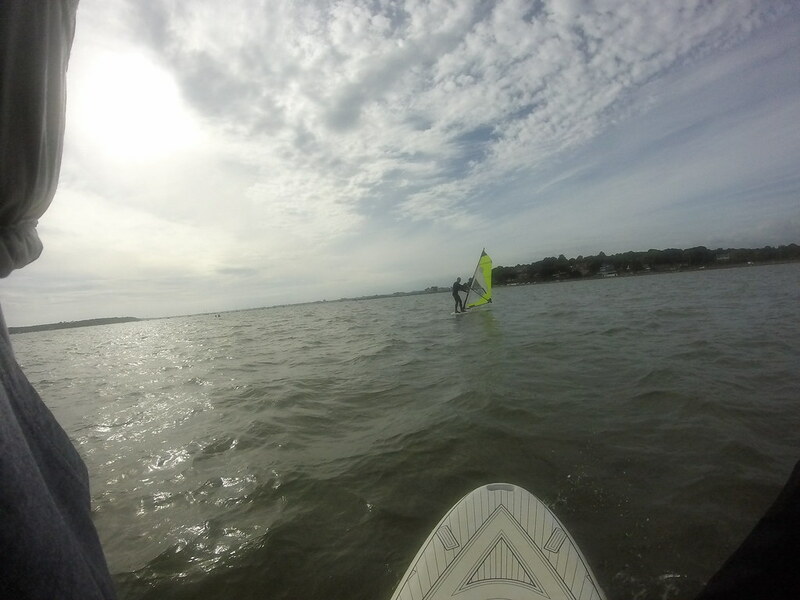 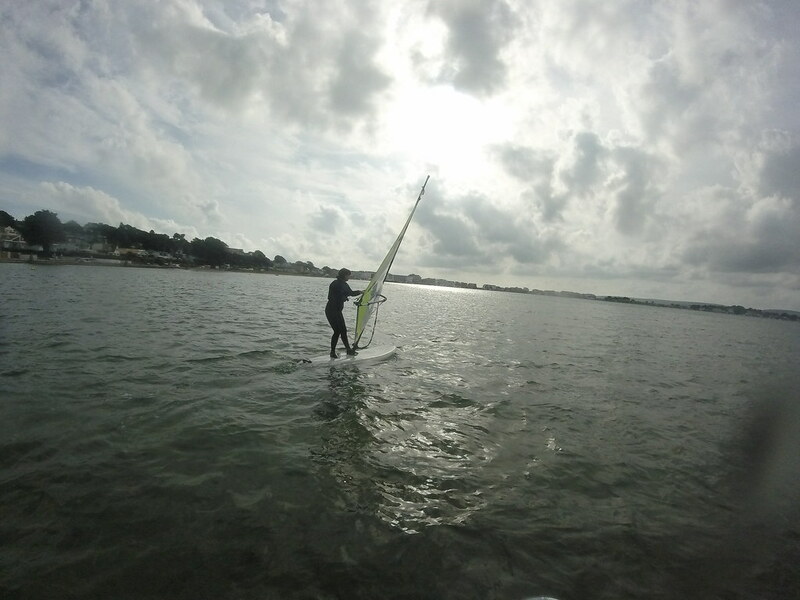 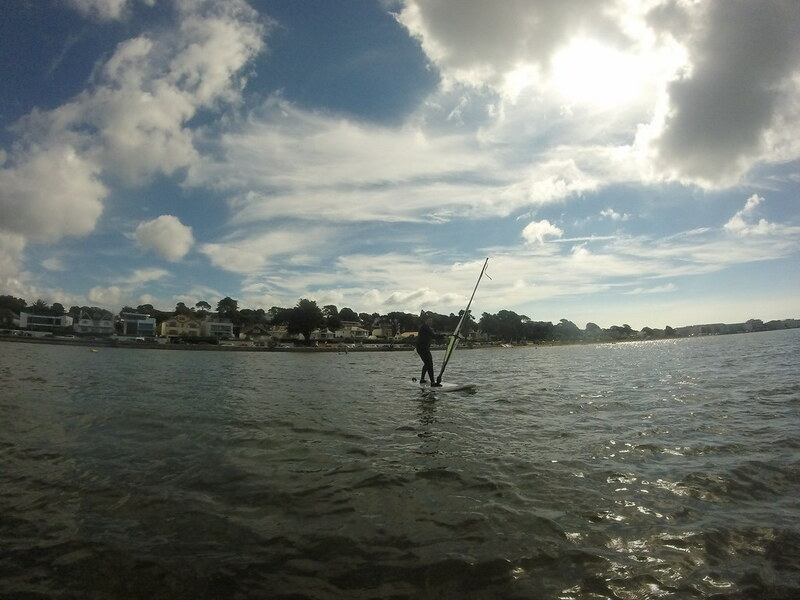 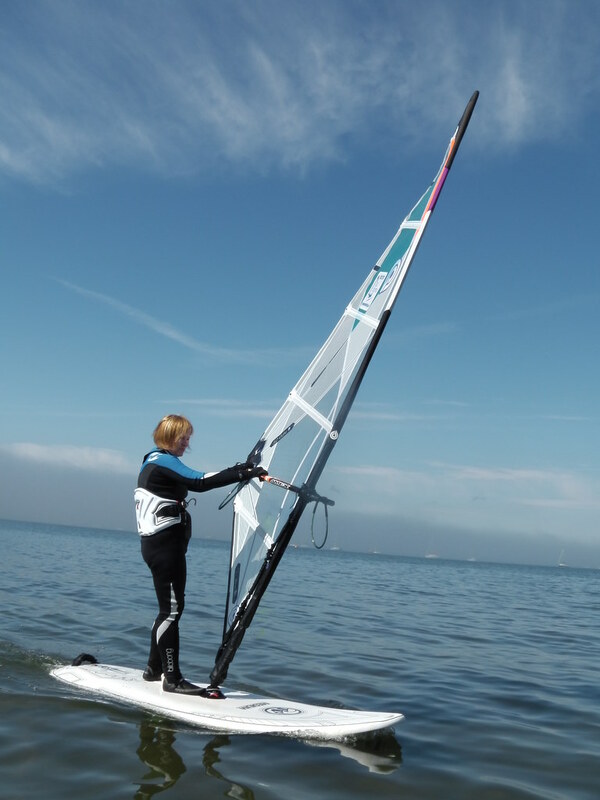 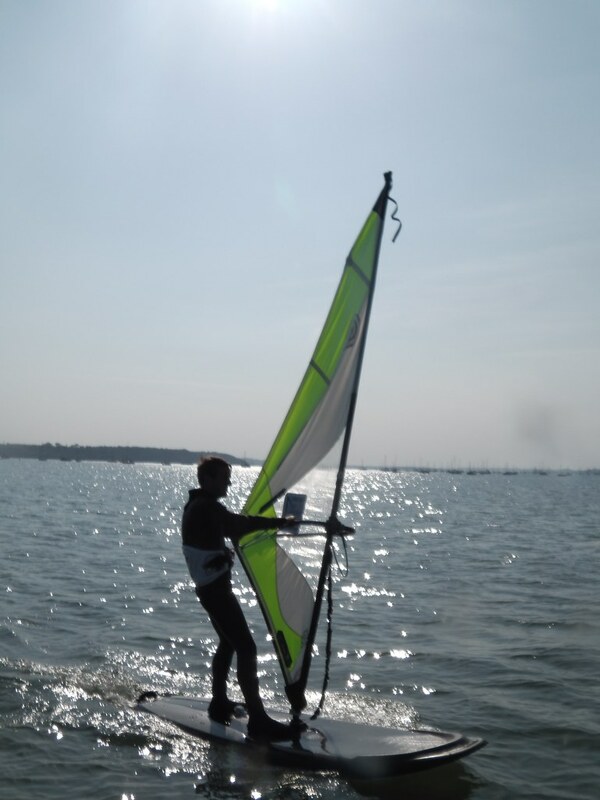 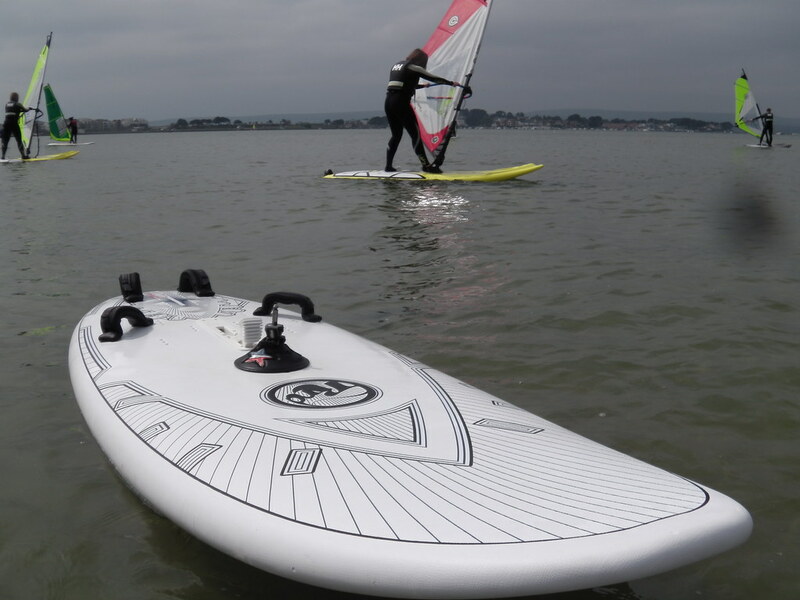 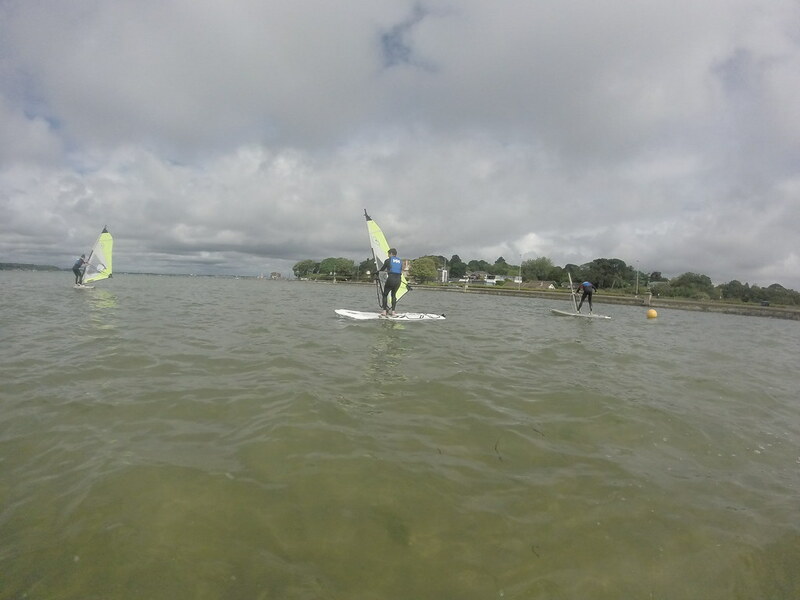 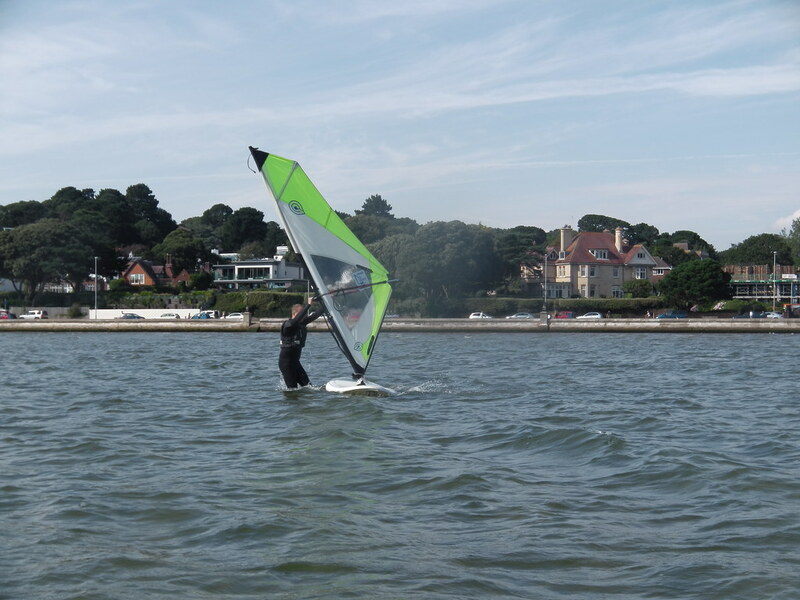 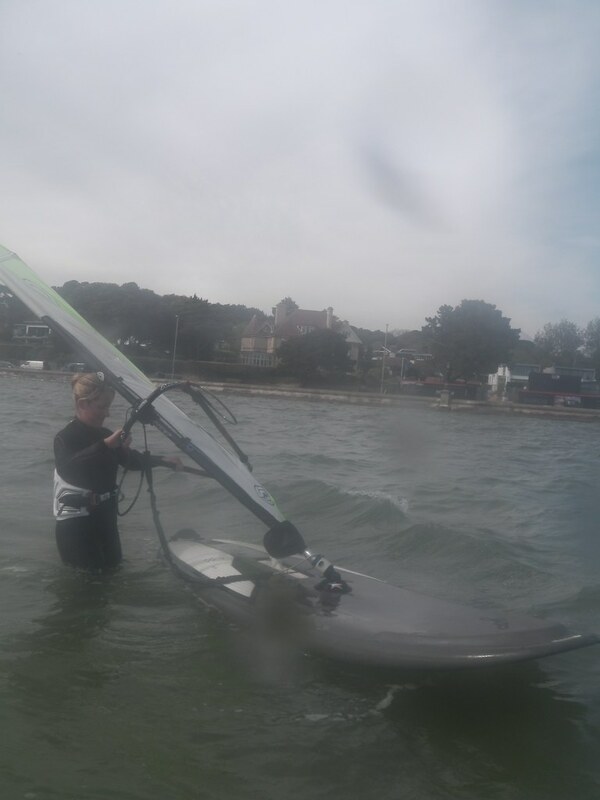 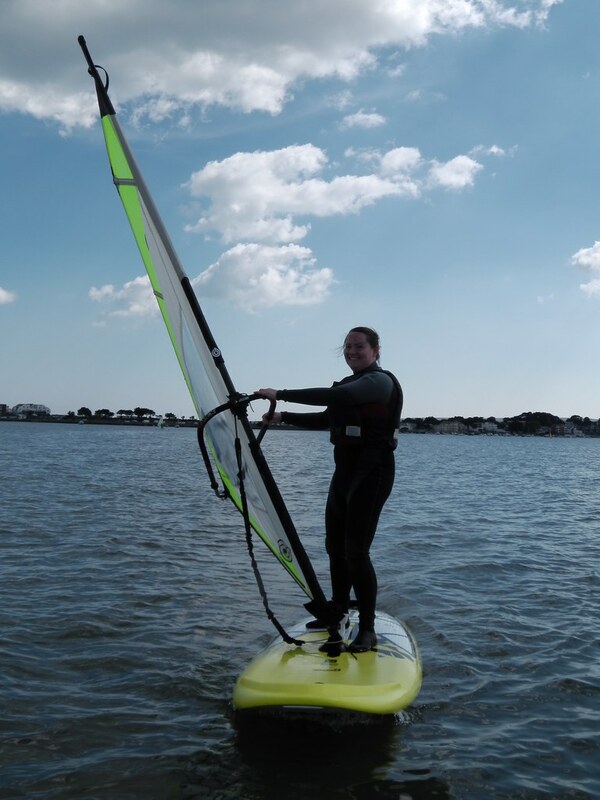 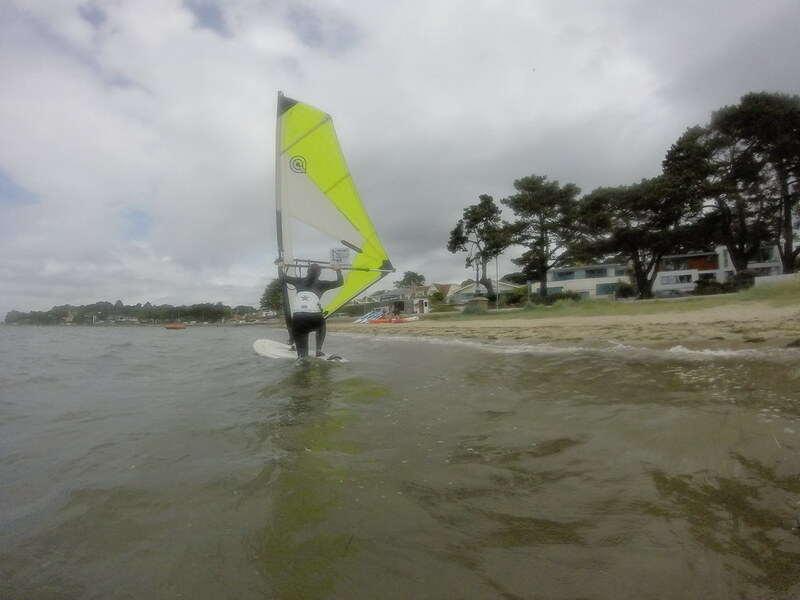 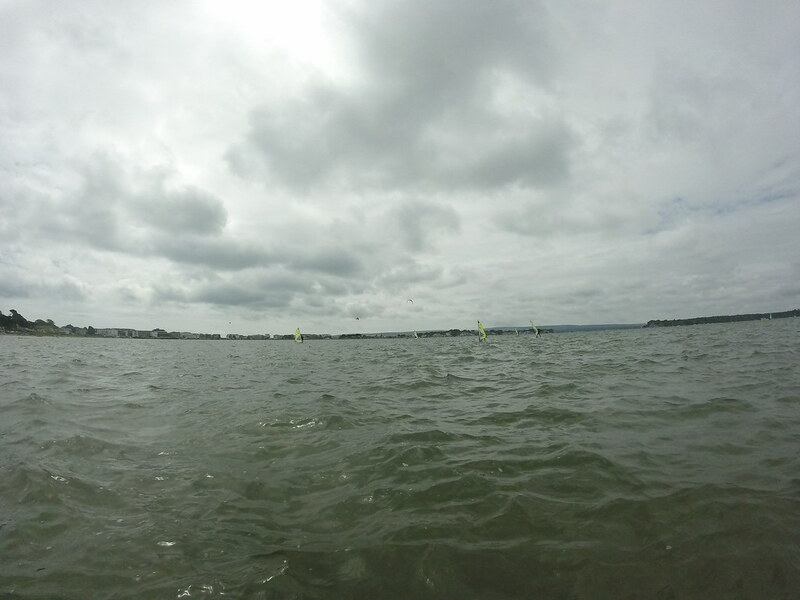 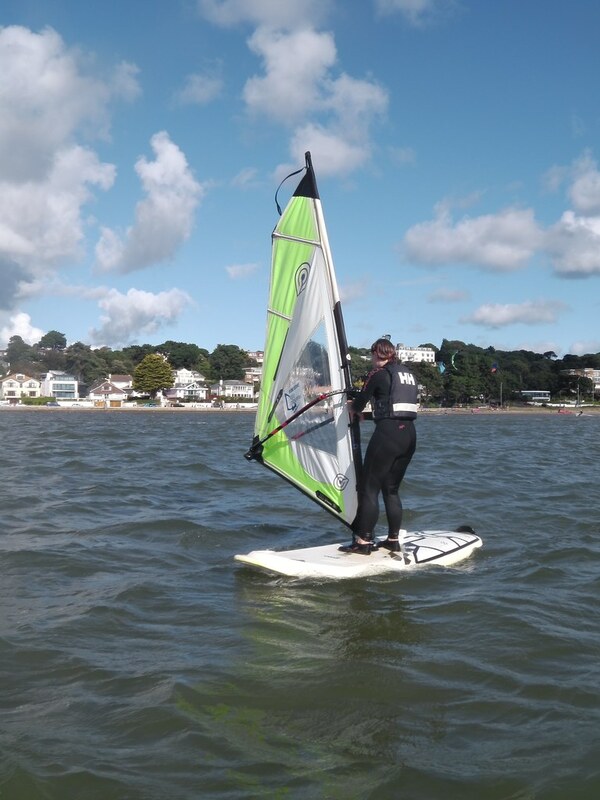 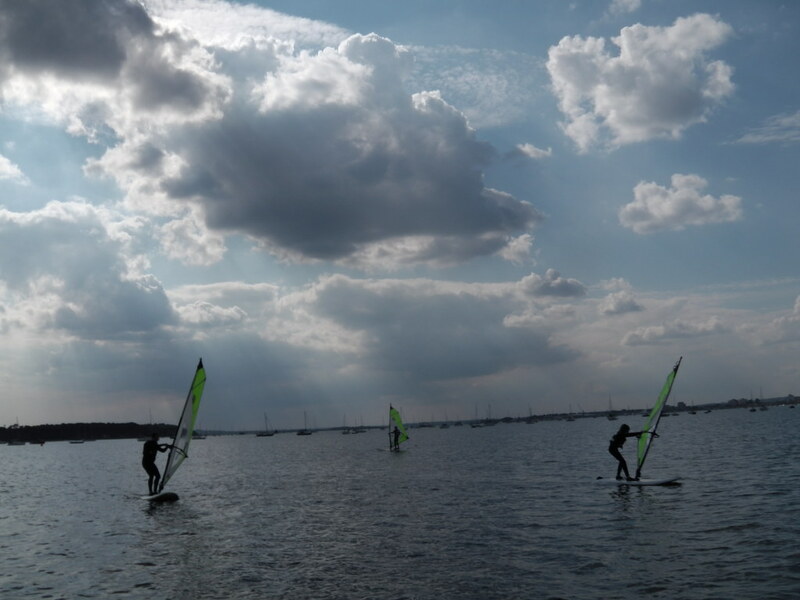 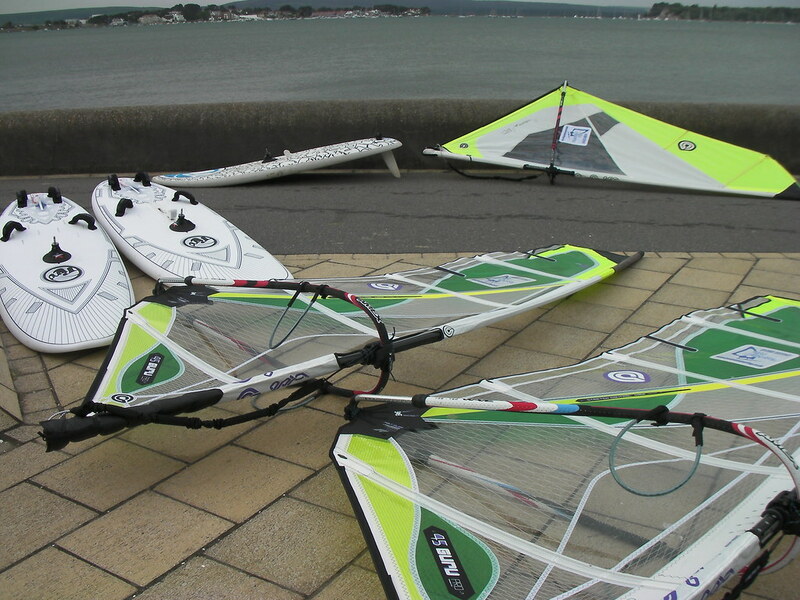 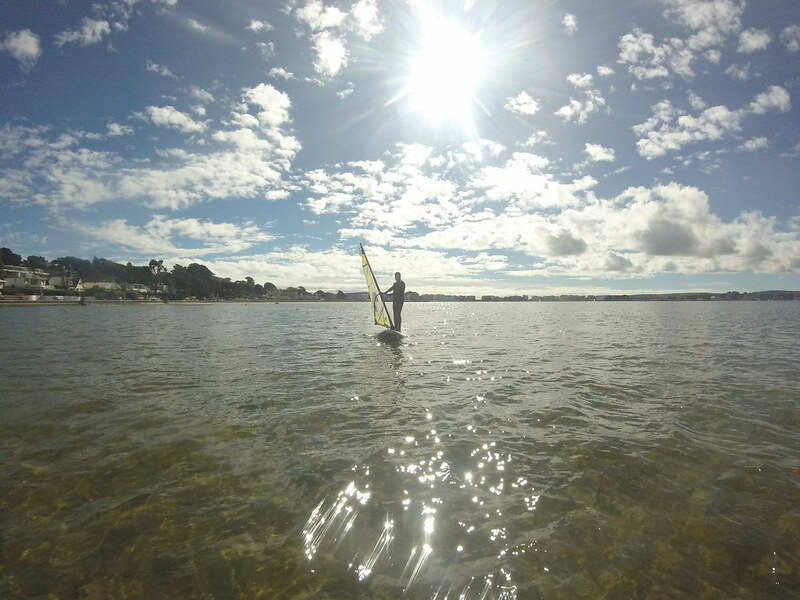 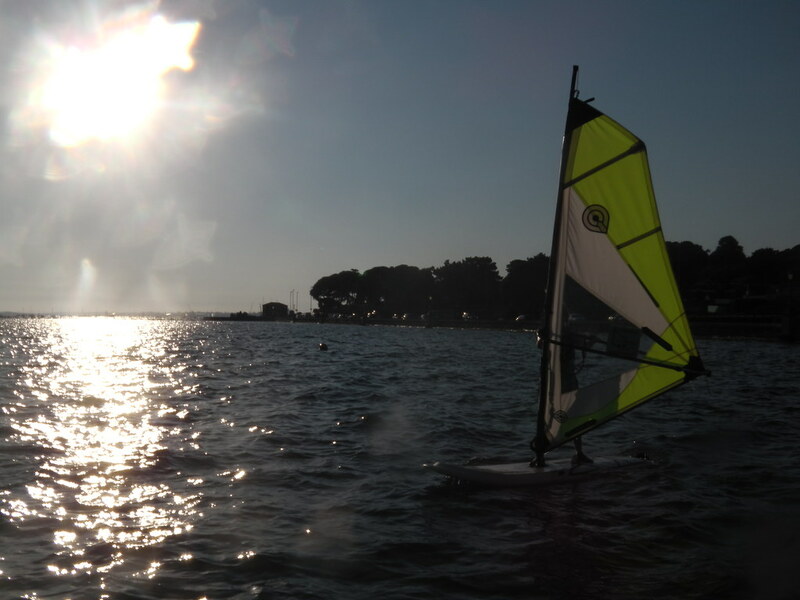 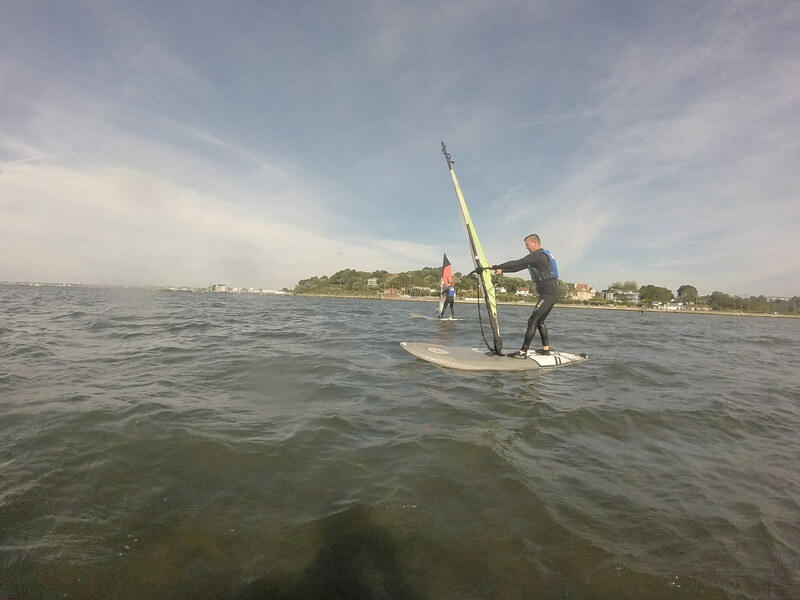 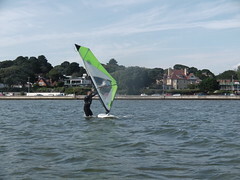 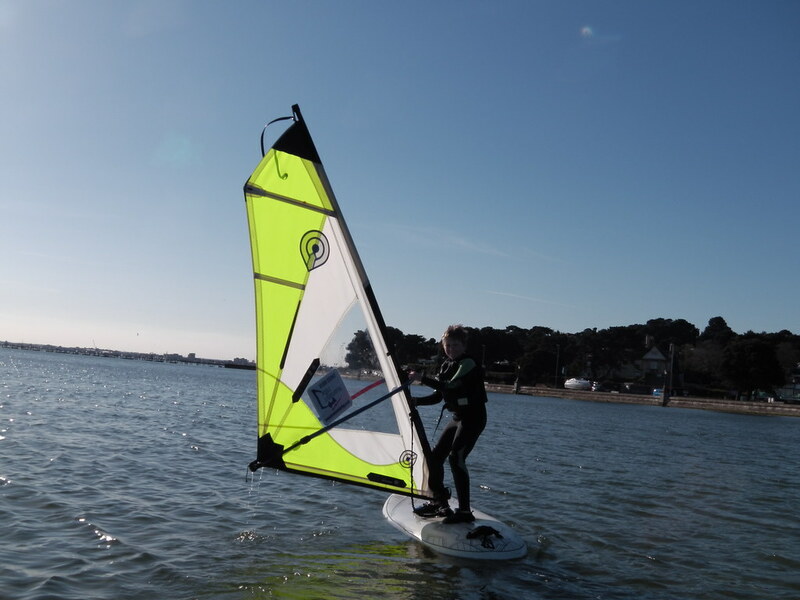 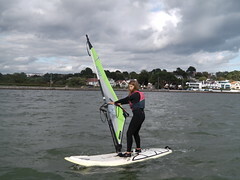 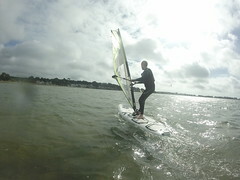 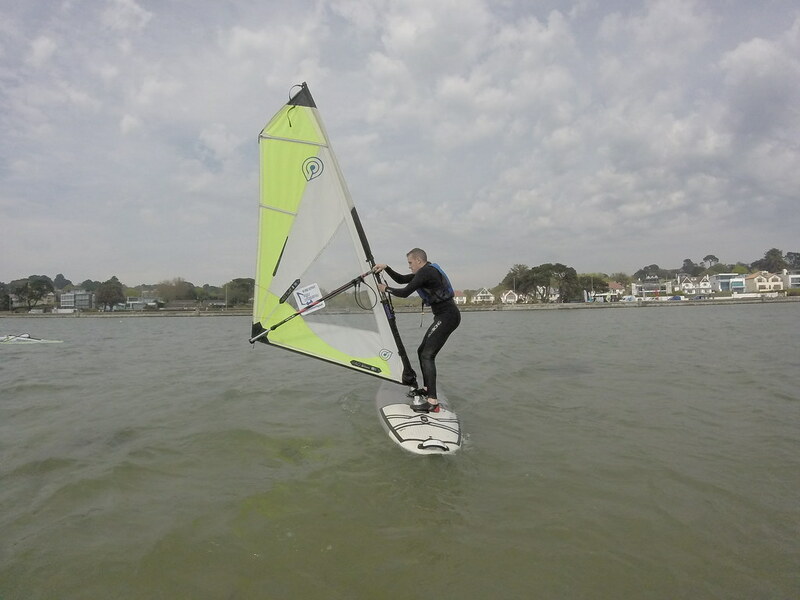 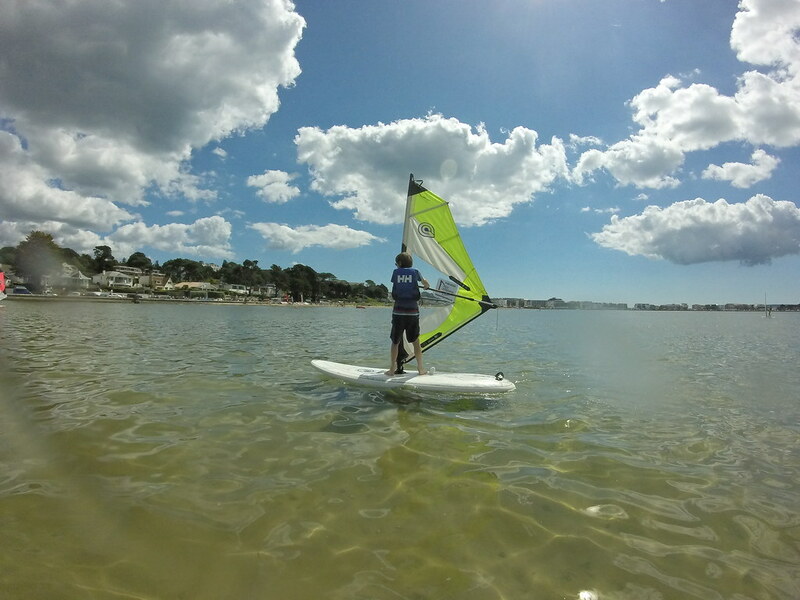 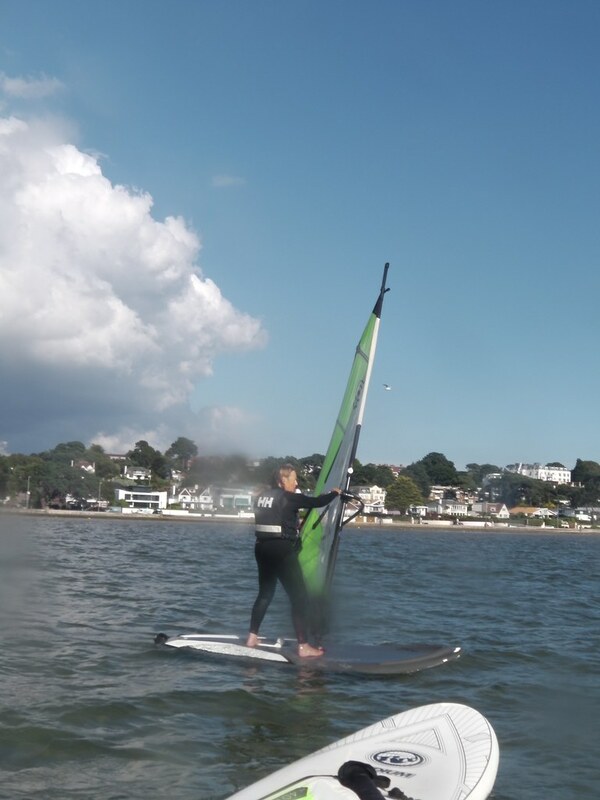 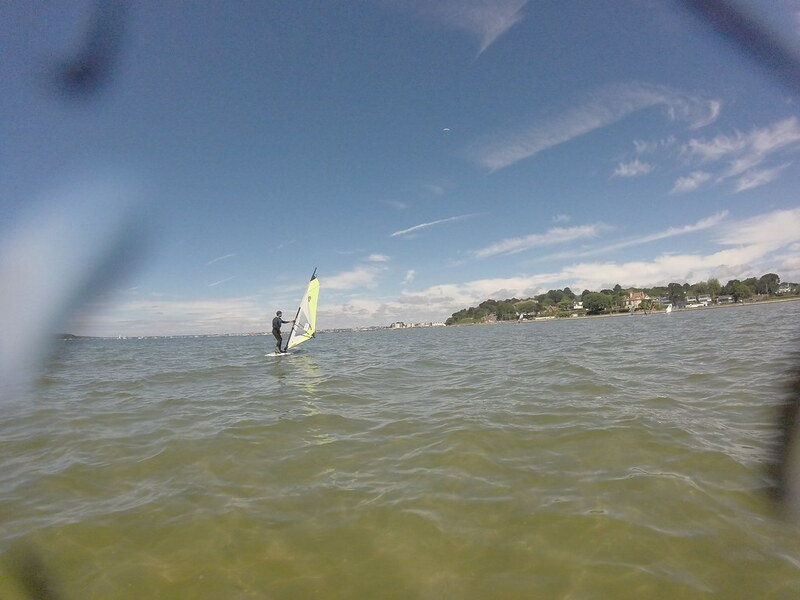 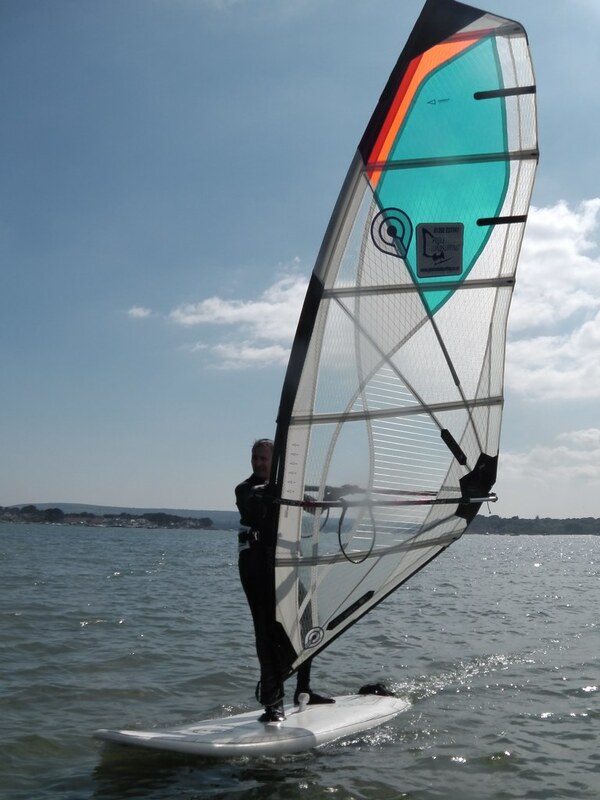 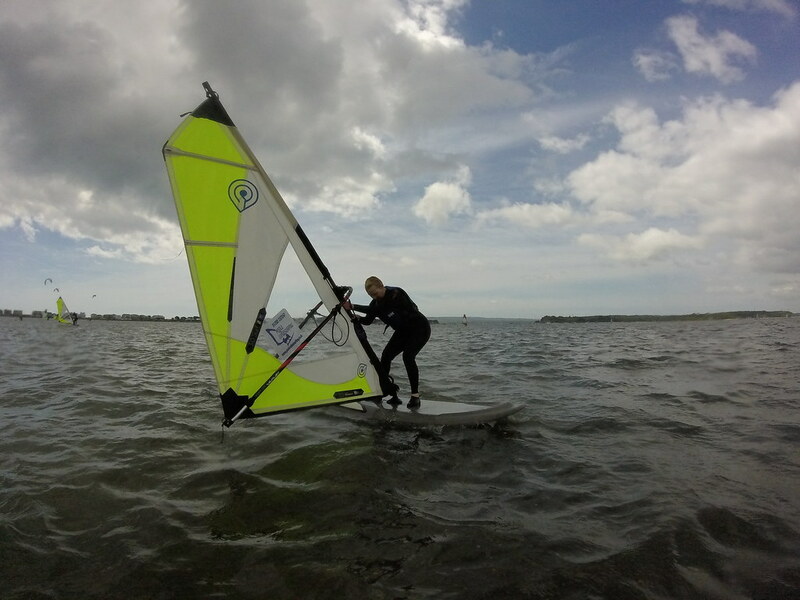 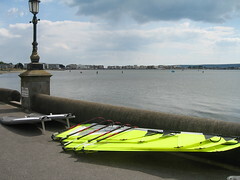 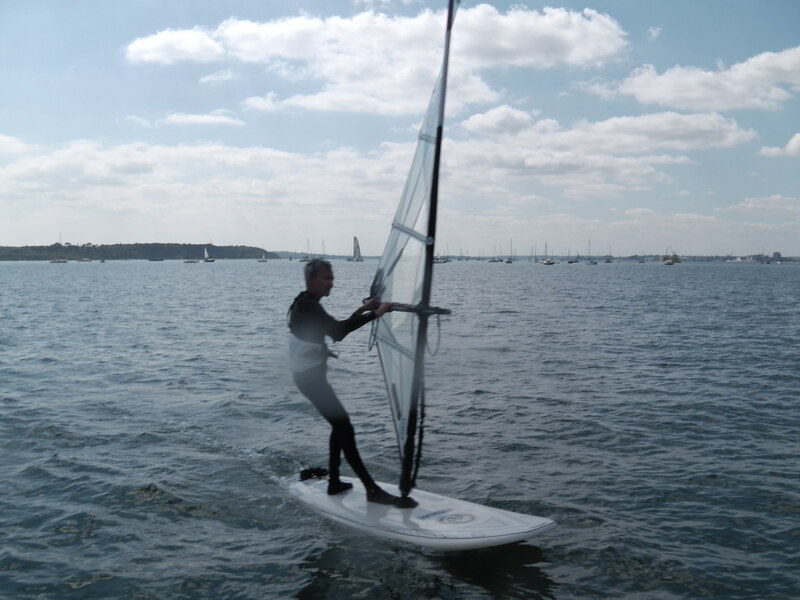 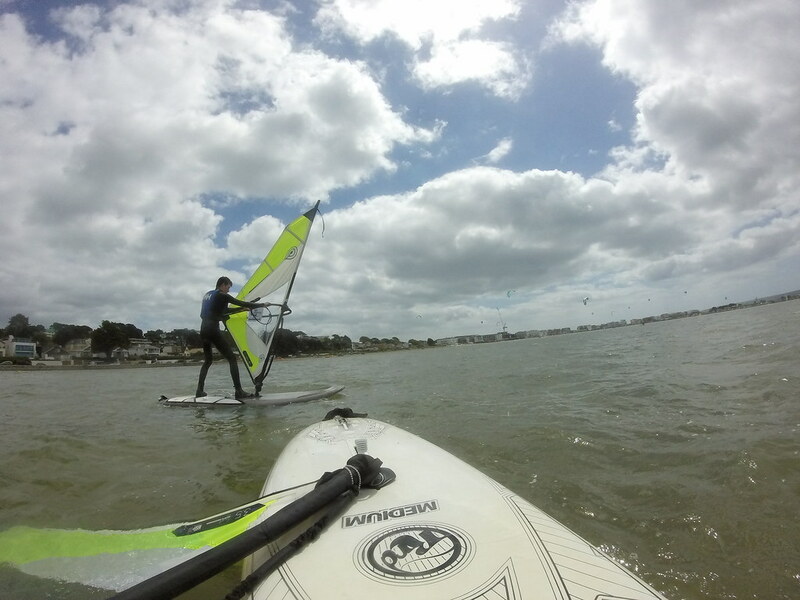 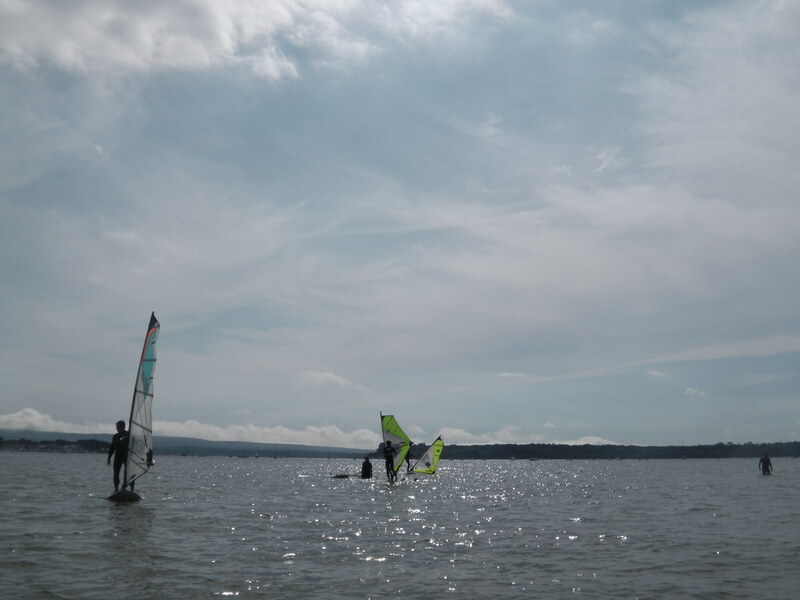 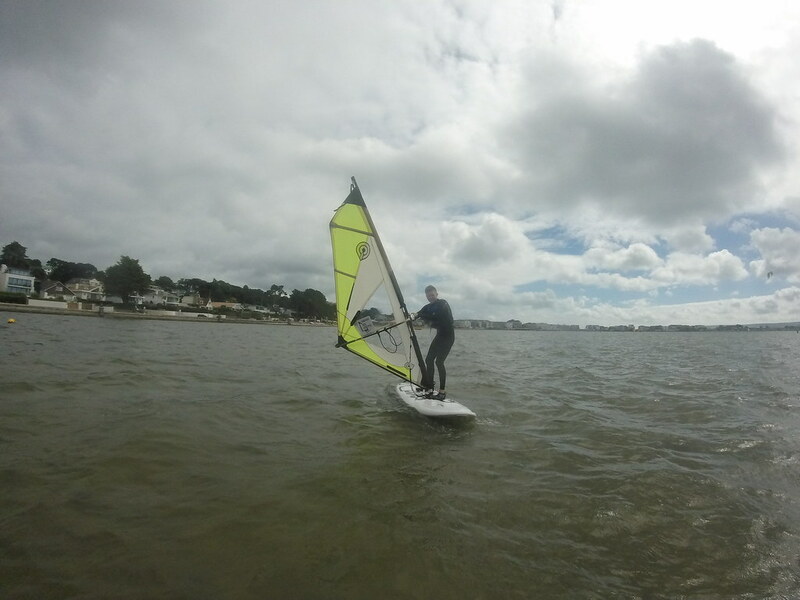 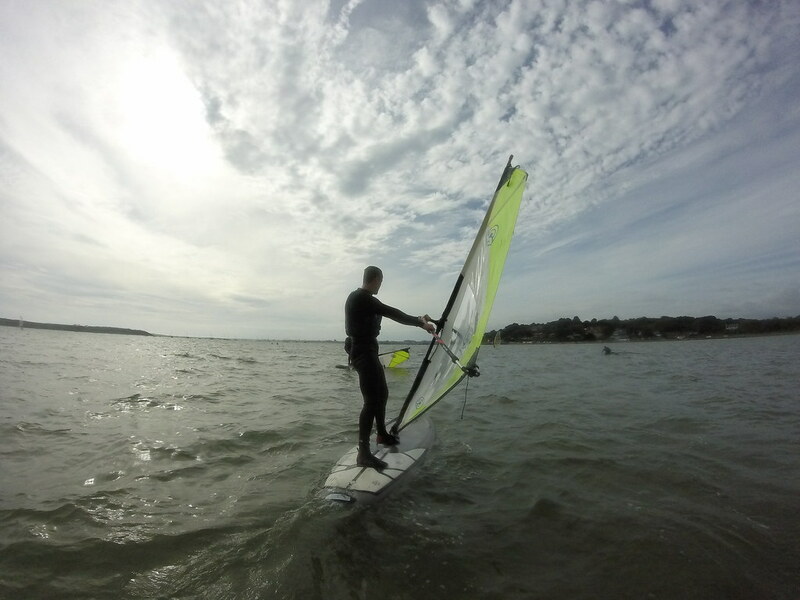 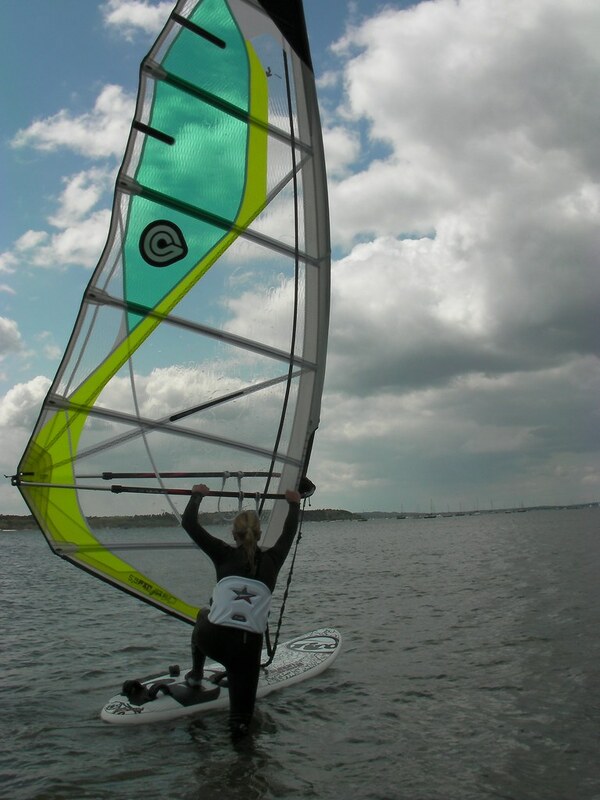 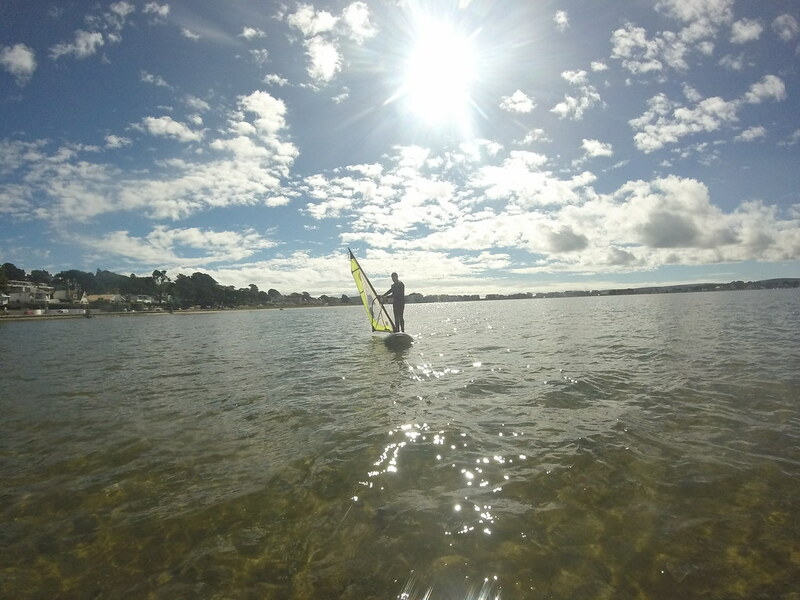 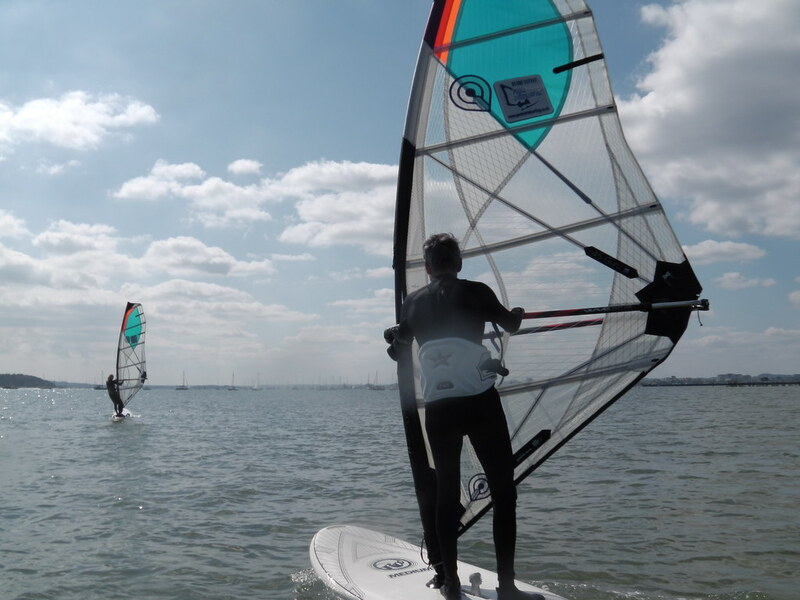 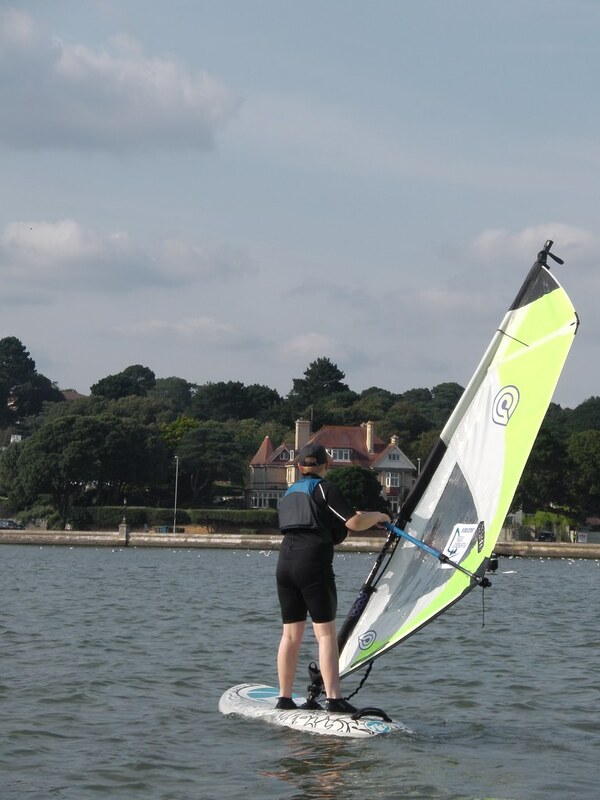 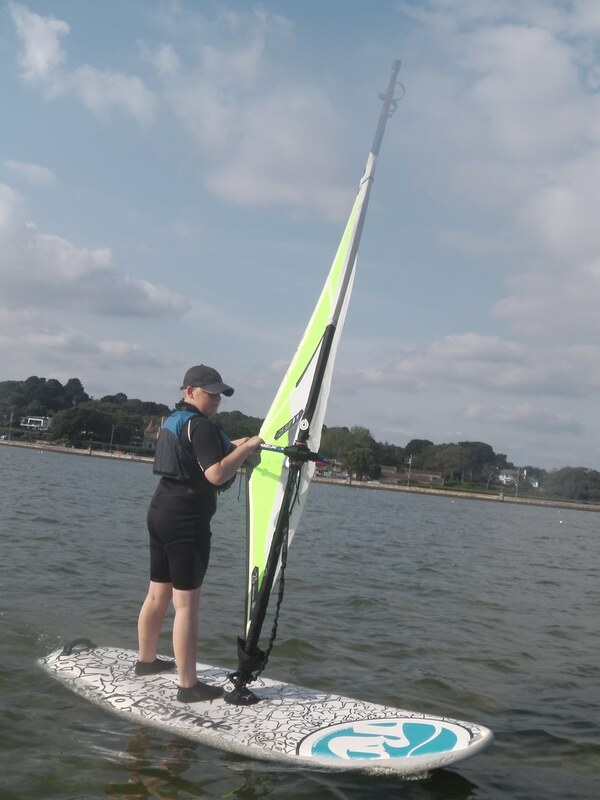 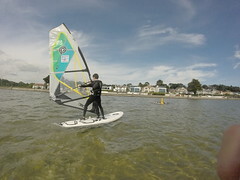 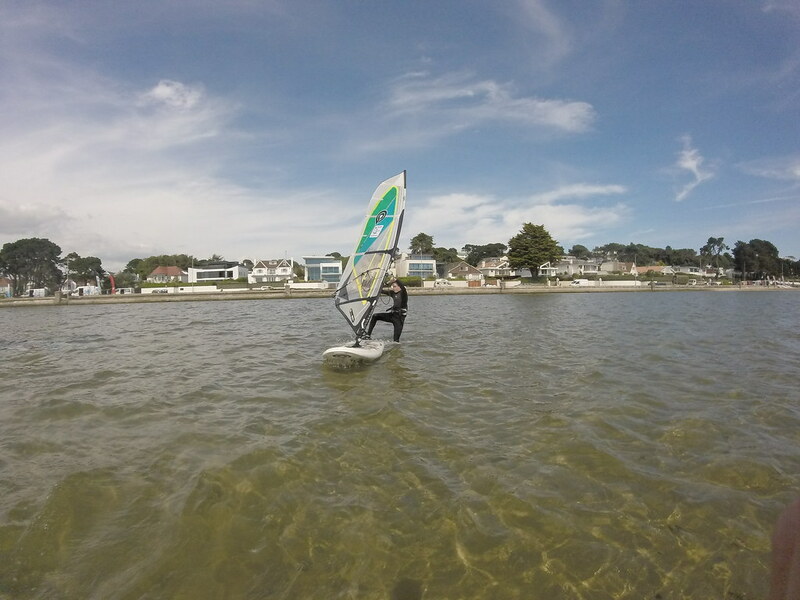 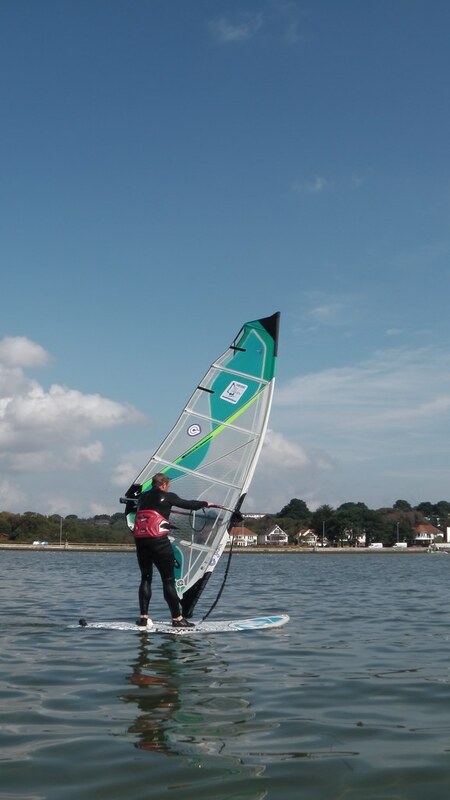 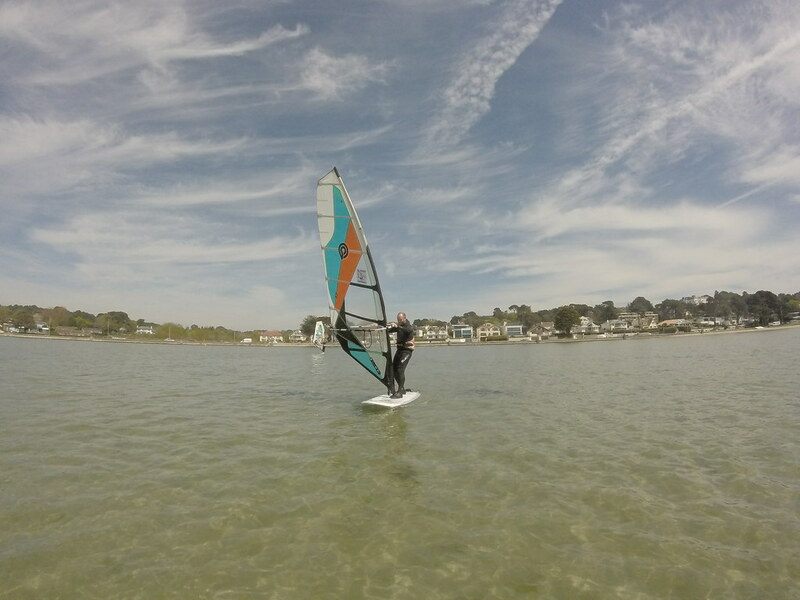 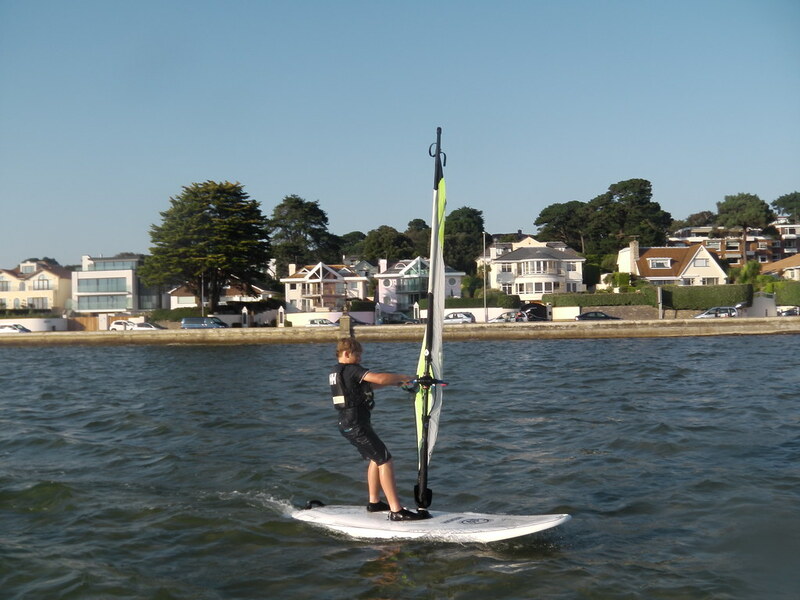 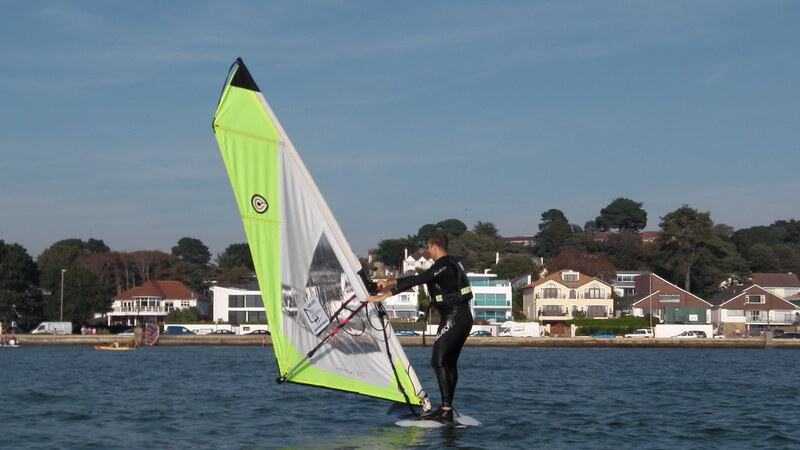 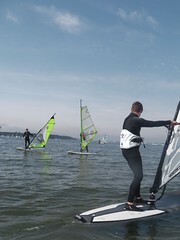 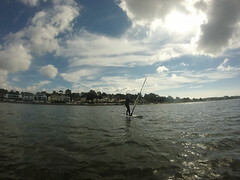 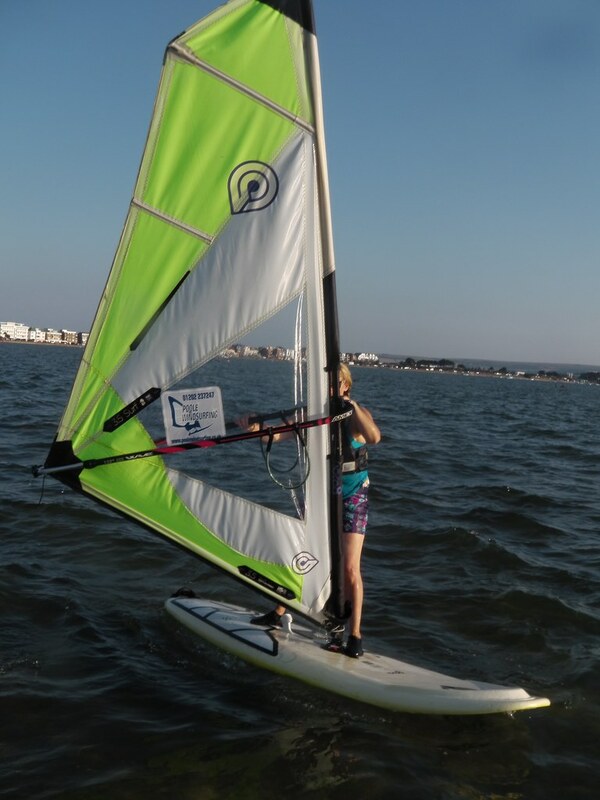 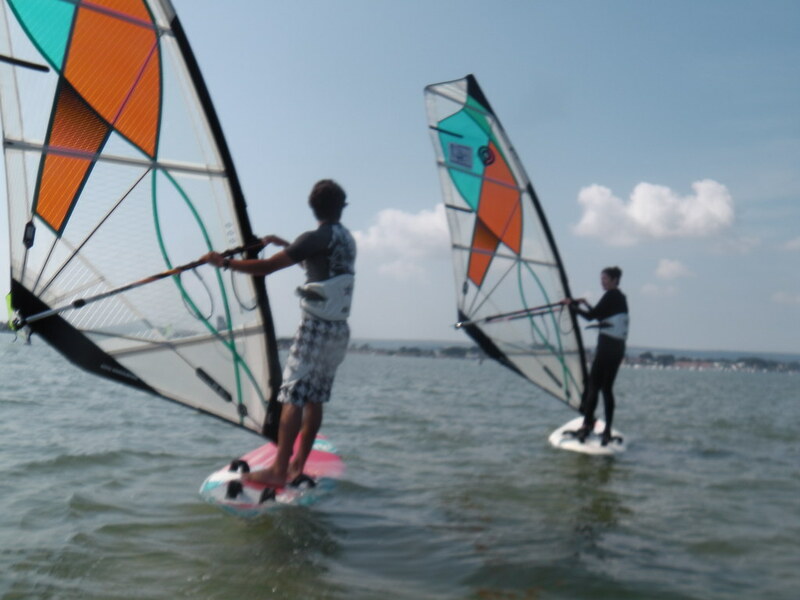 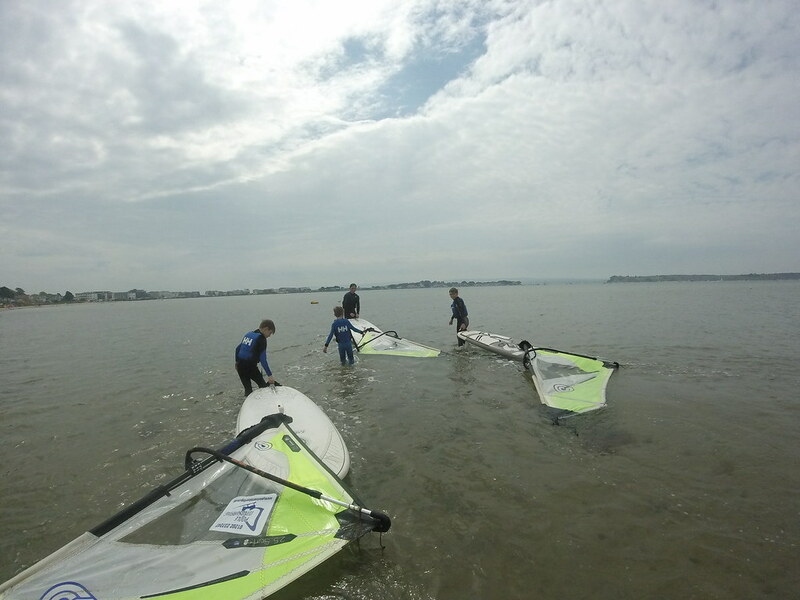 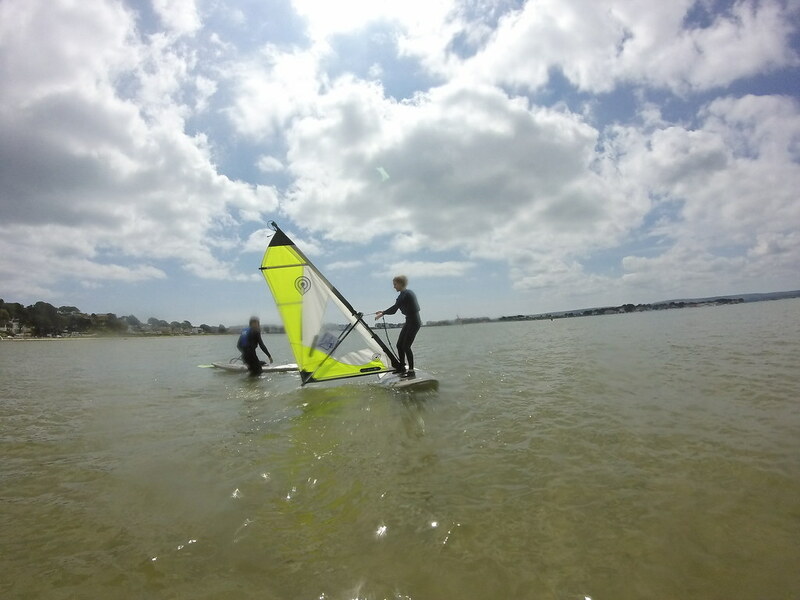 As you will see from the photo galleries, our beginners windsurfing lessons take place in the perfect setting of Poole Harbour. 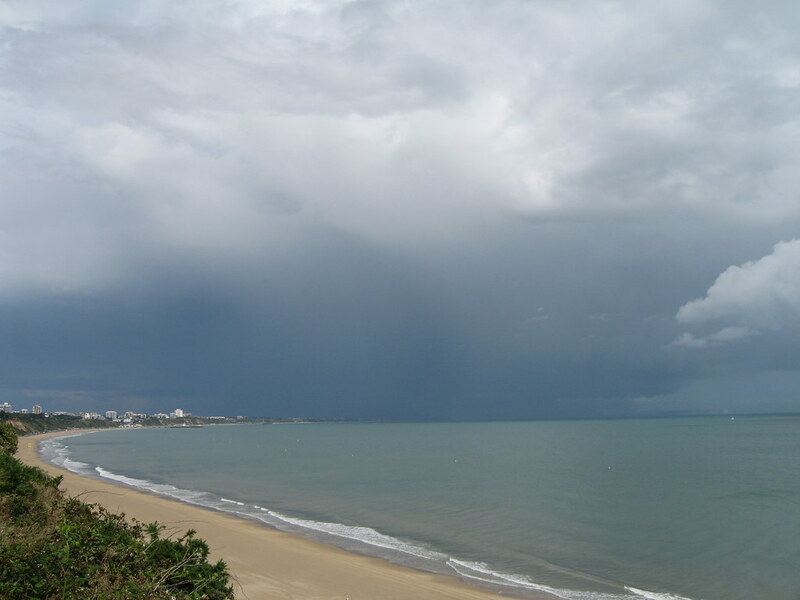 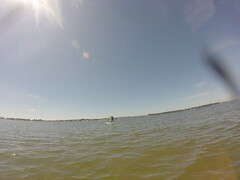 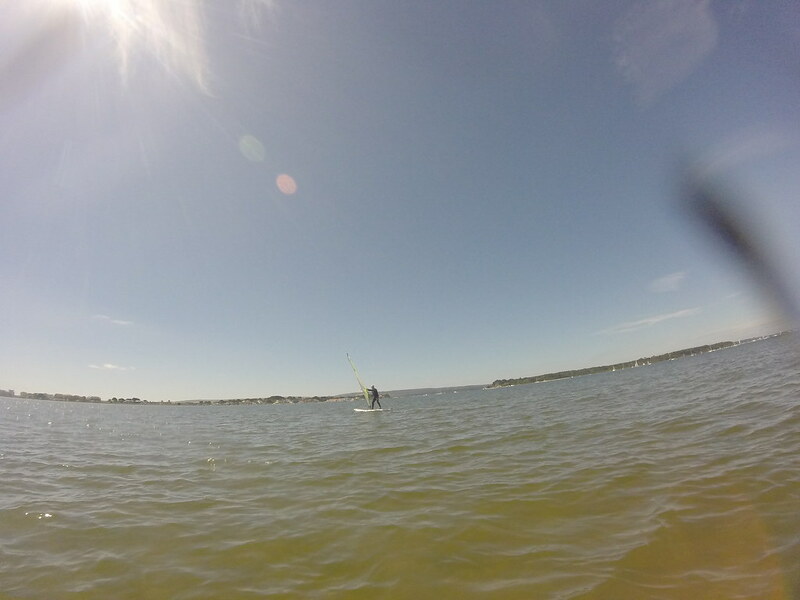 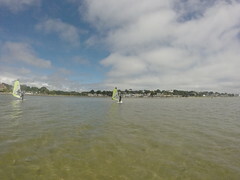 The shallow water and protected location make for quick learning conditions. Divided into monthly albums to make it easier to find your windsurfing lessons. 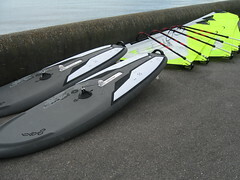 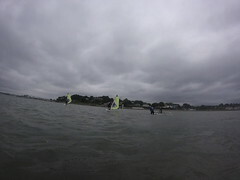 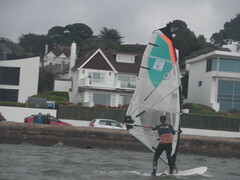 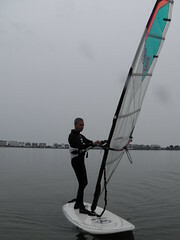 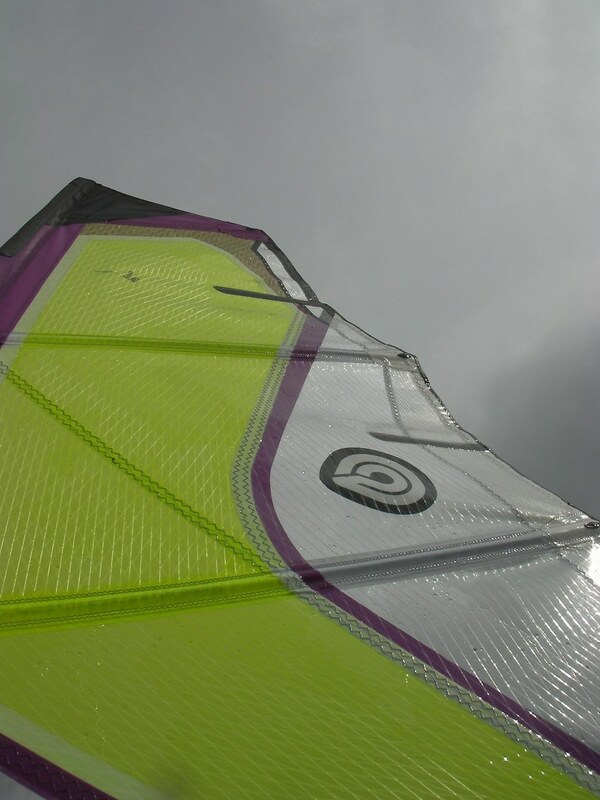 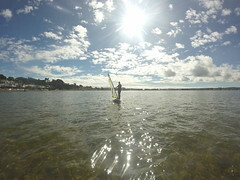 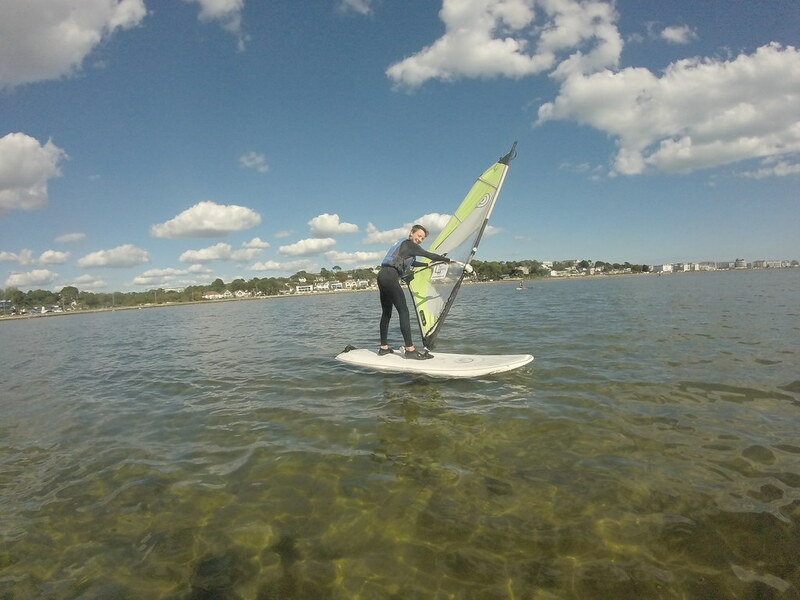 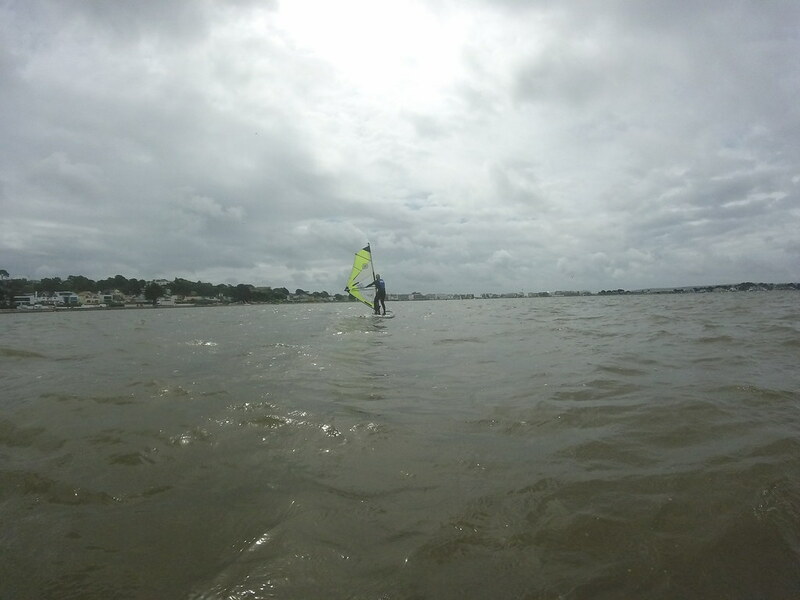 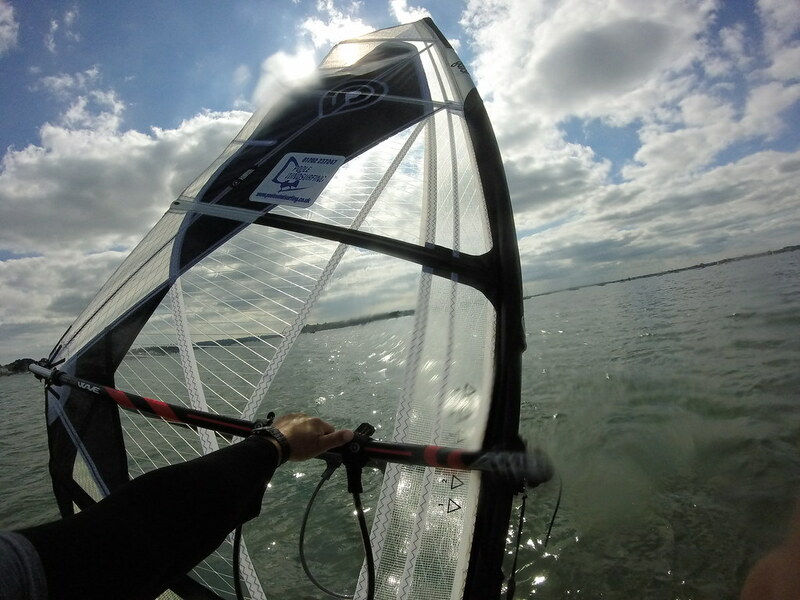 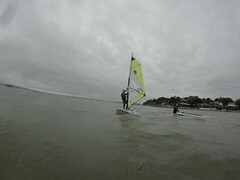 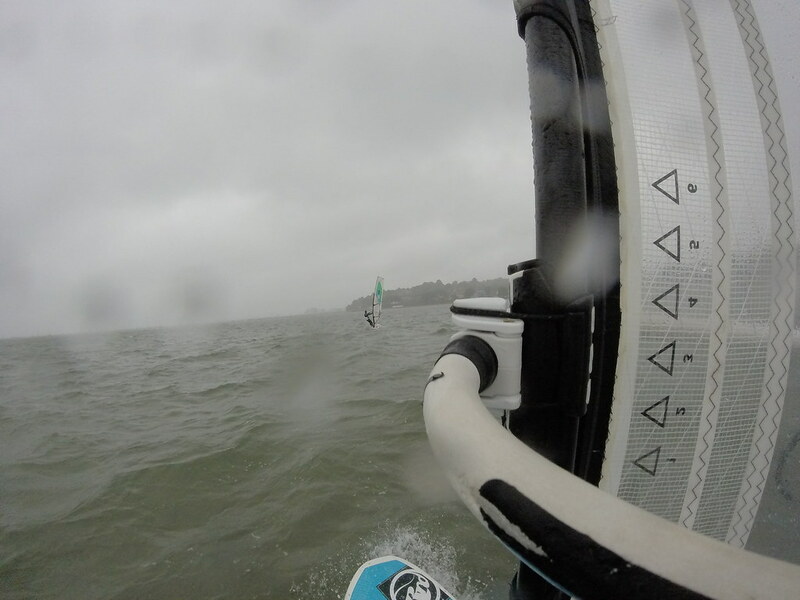 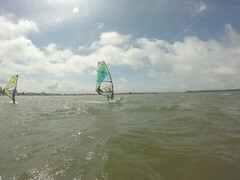 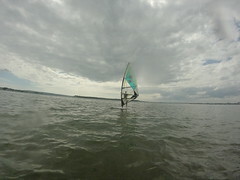 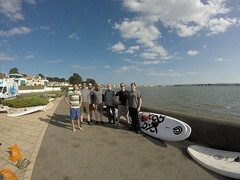 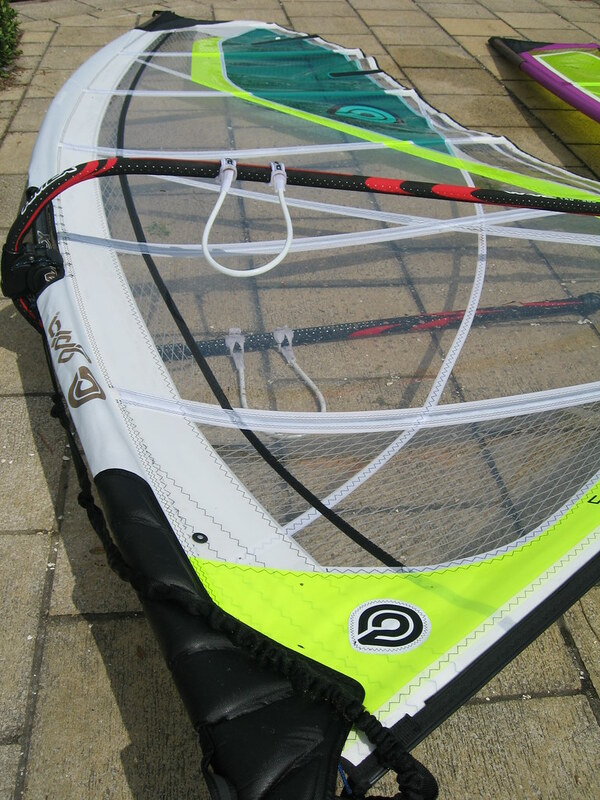 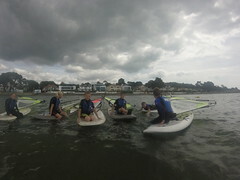 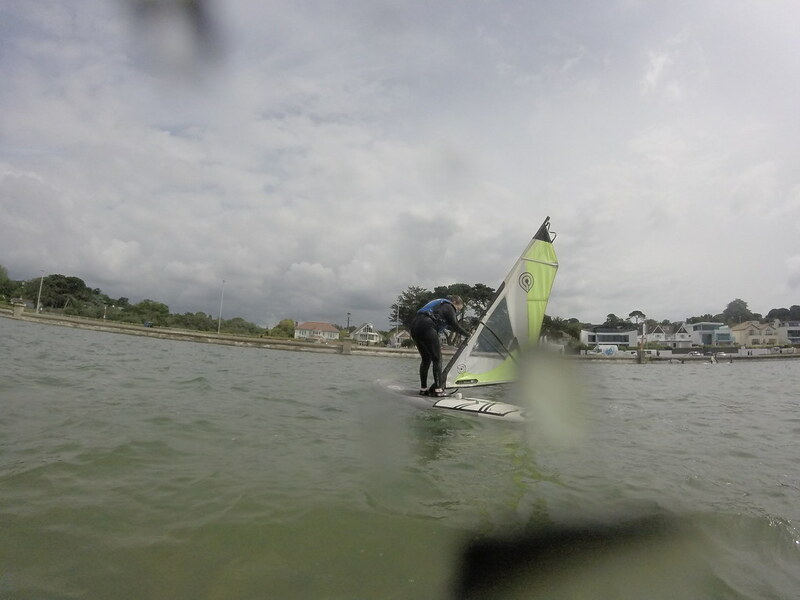 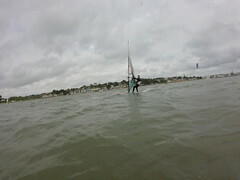 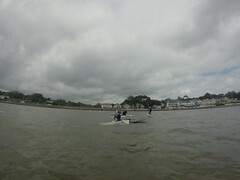 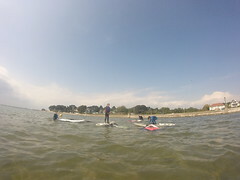 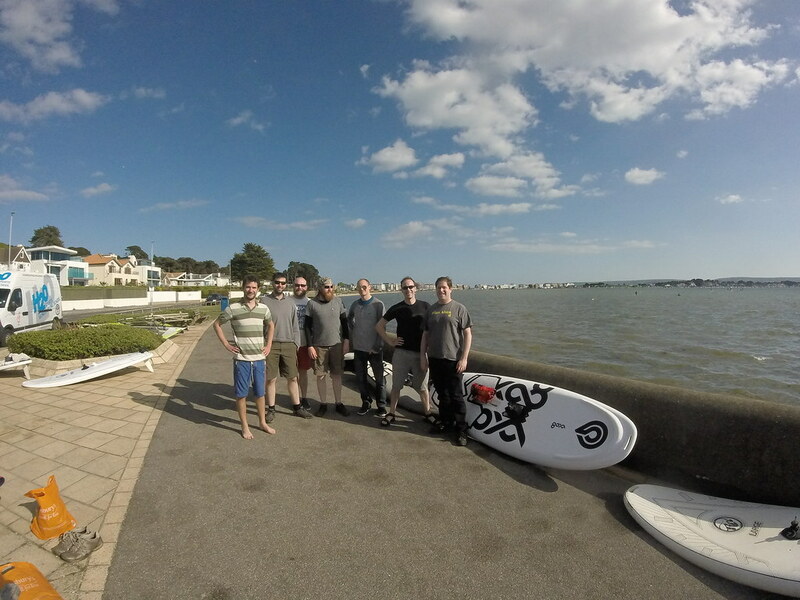 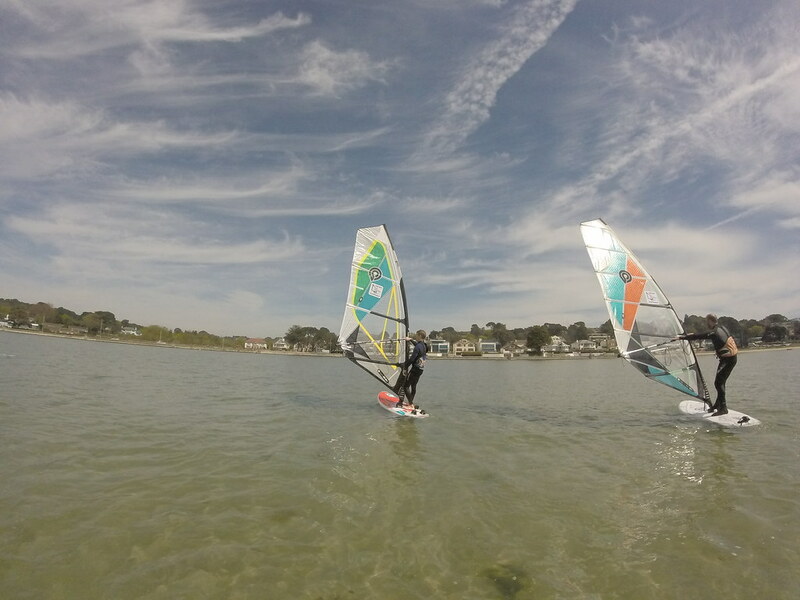 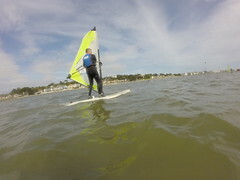 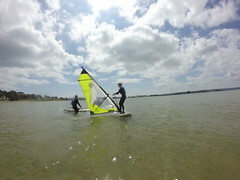 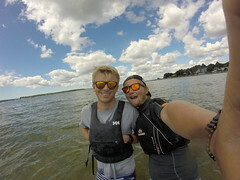 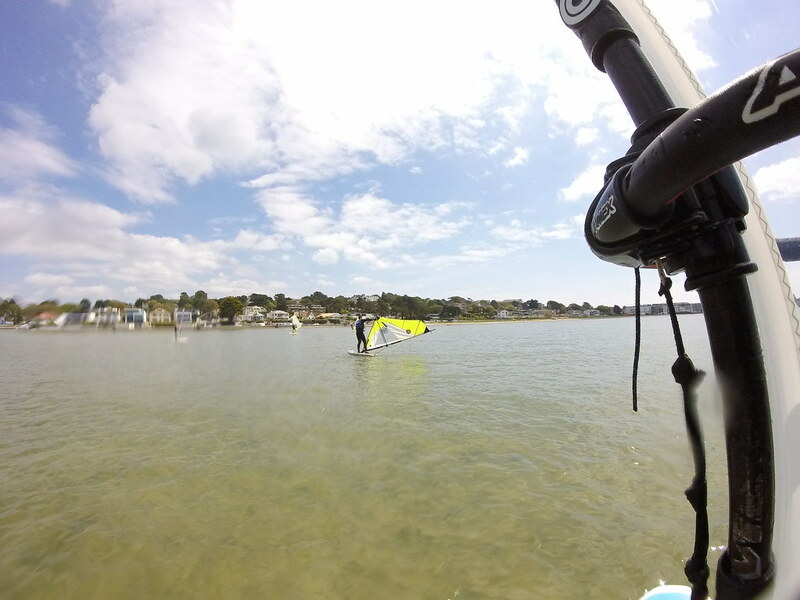 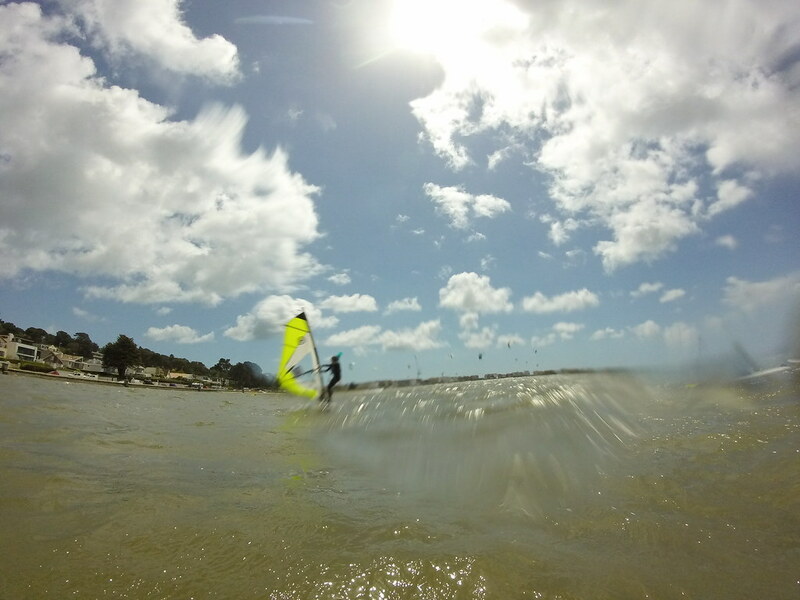 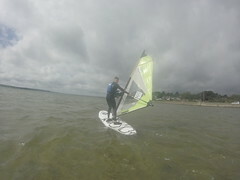 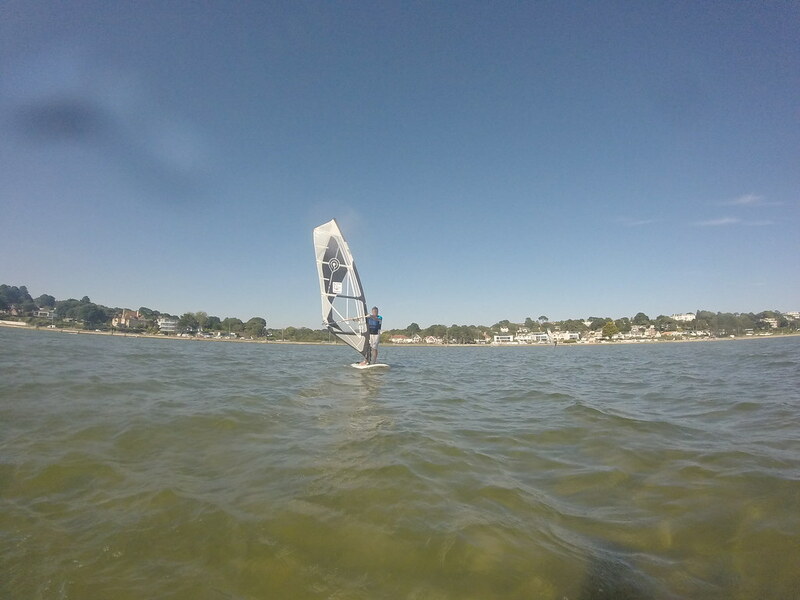 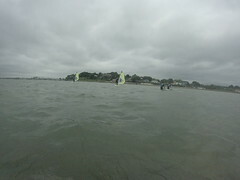 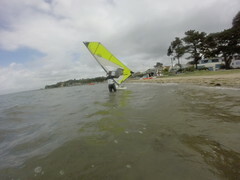 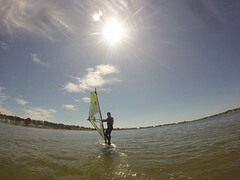 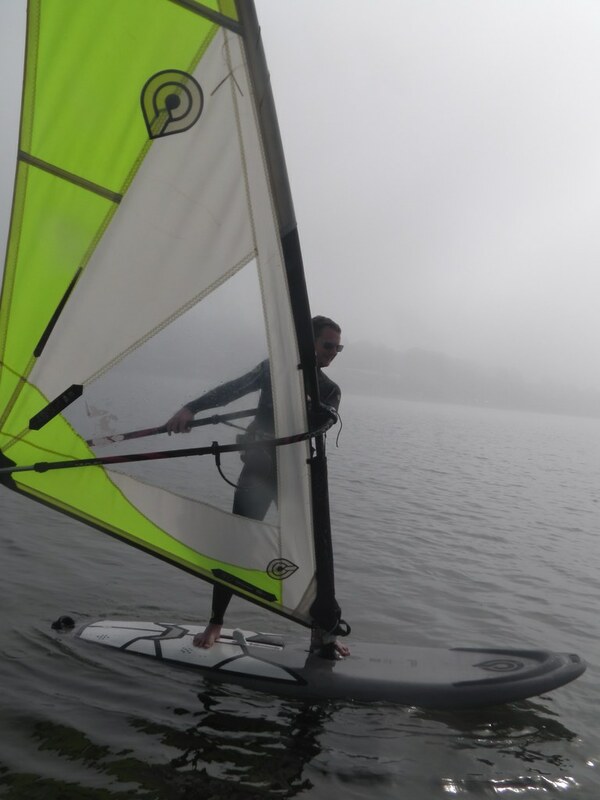 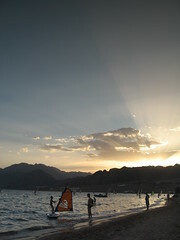 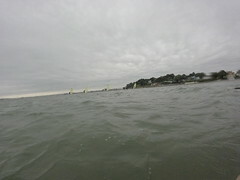 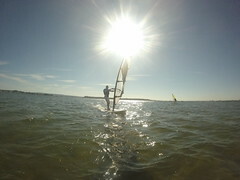 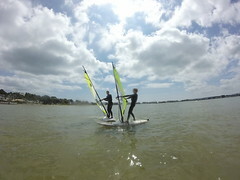 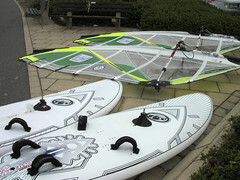 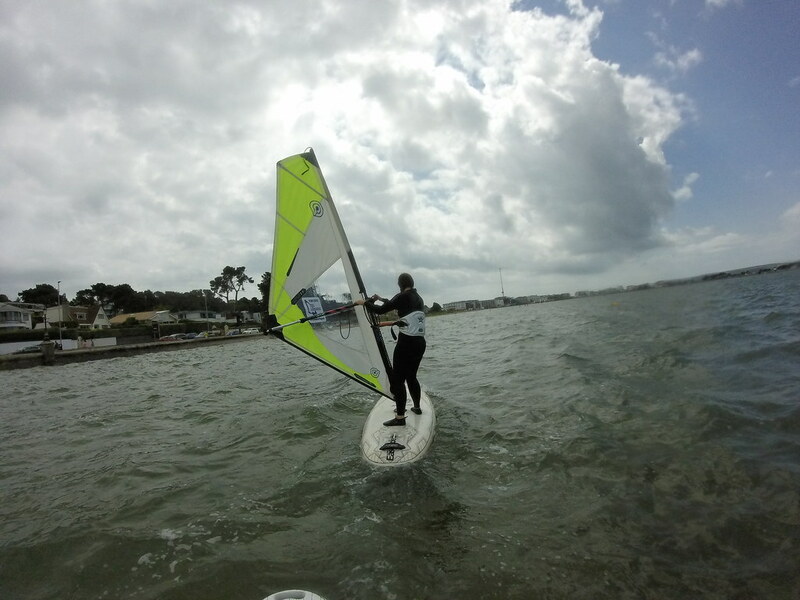 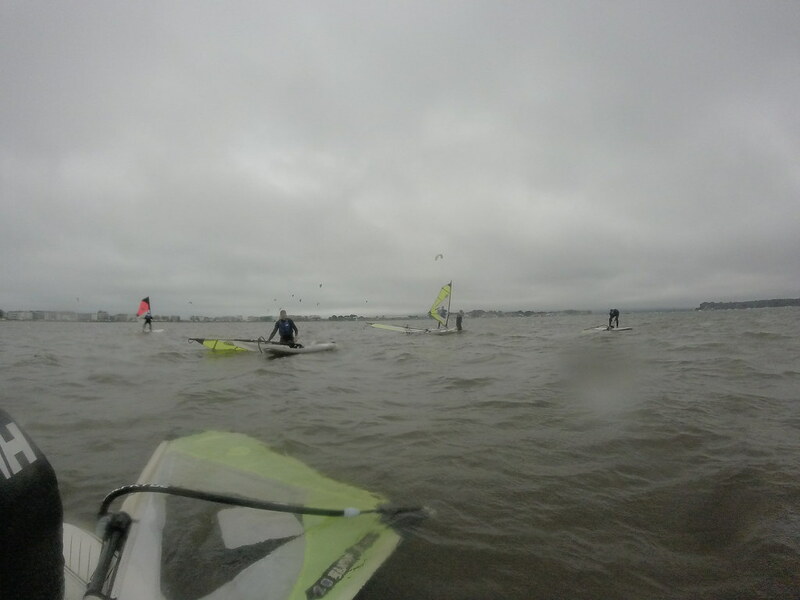 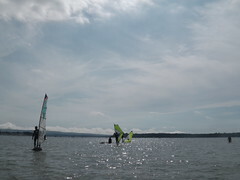 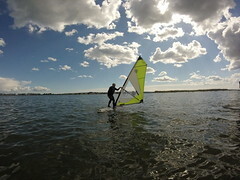 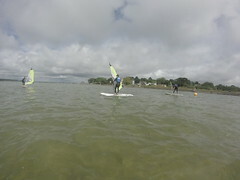 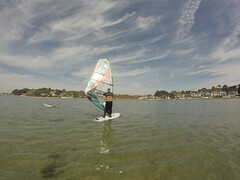 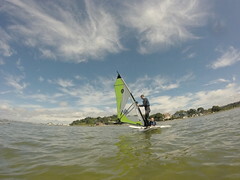 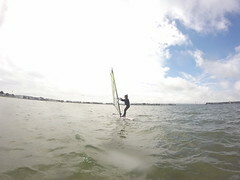 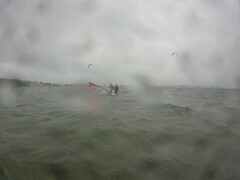 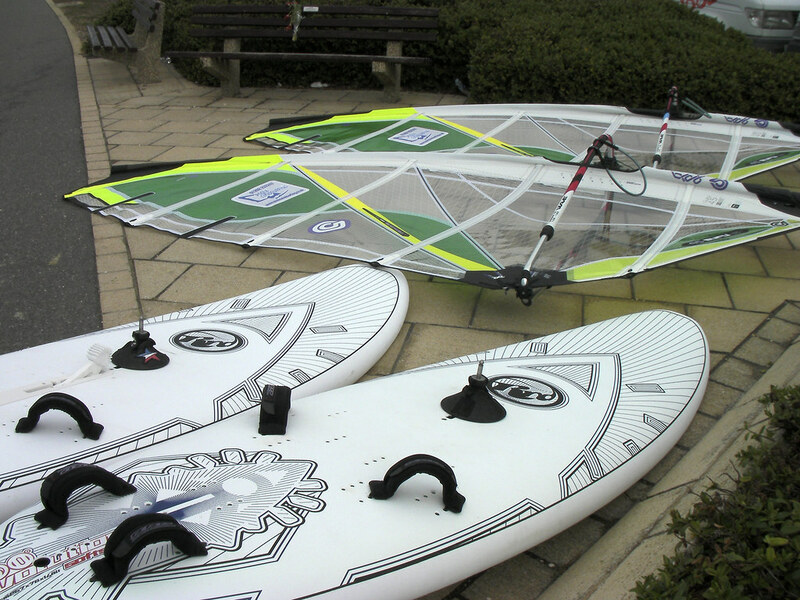 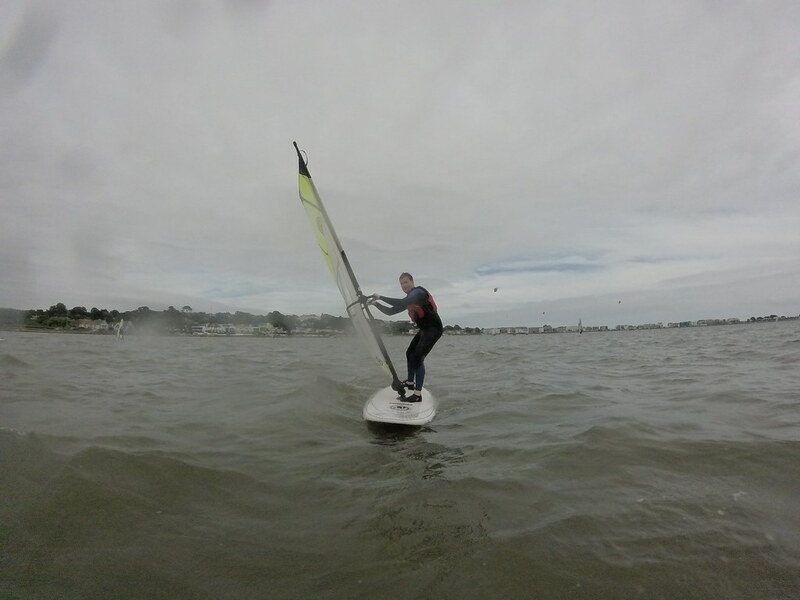 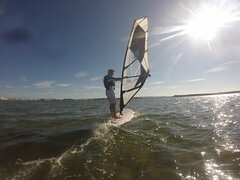 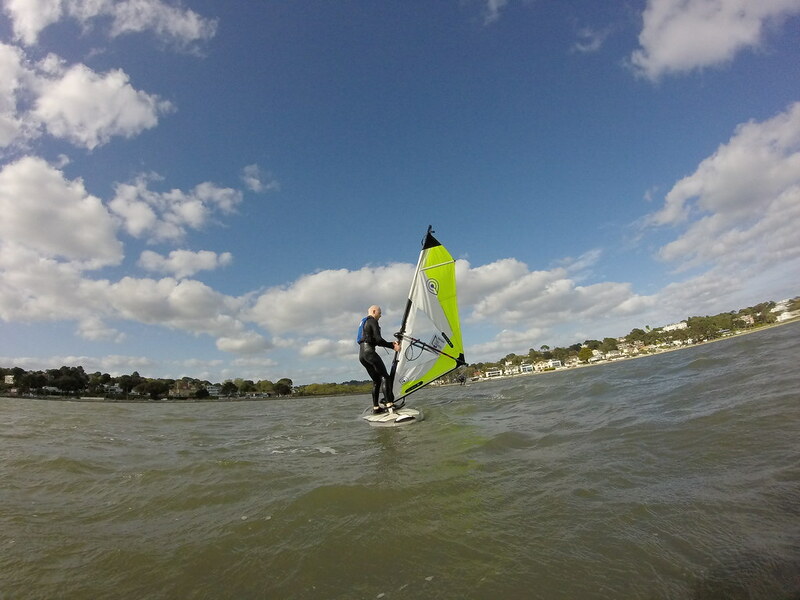 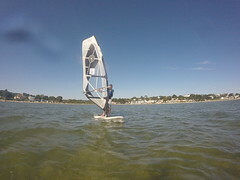 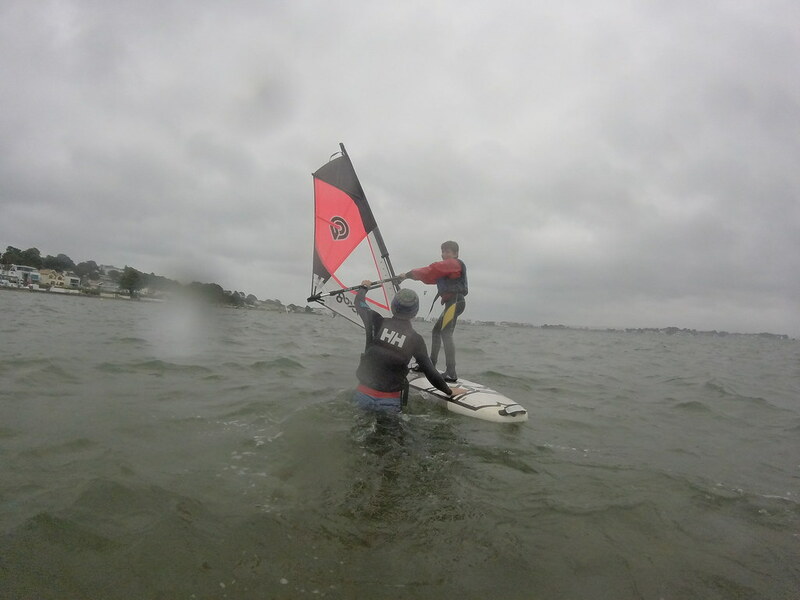 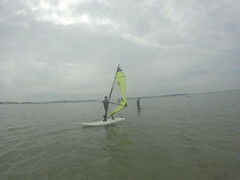 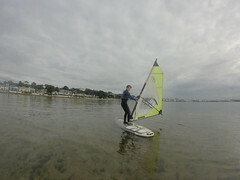 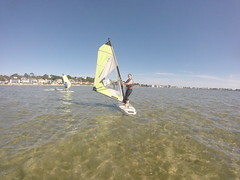 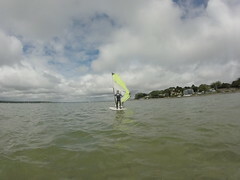 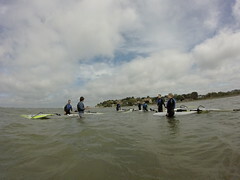 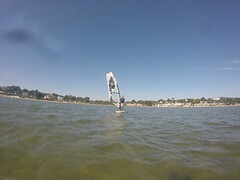 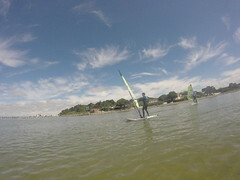 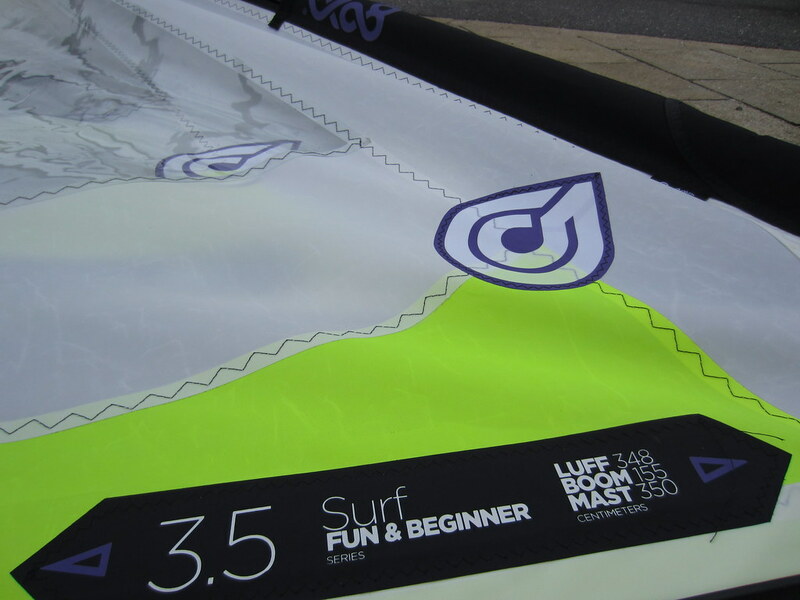 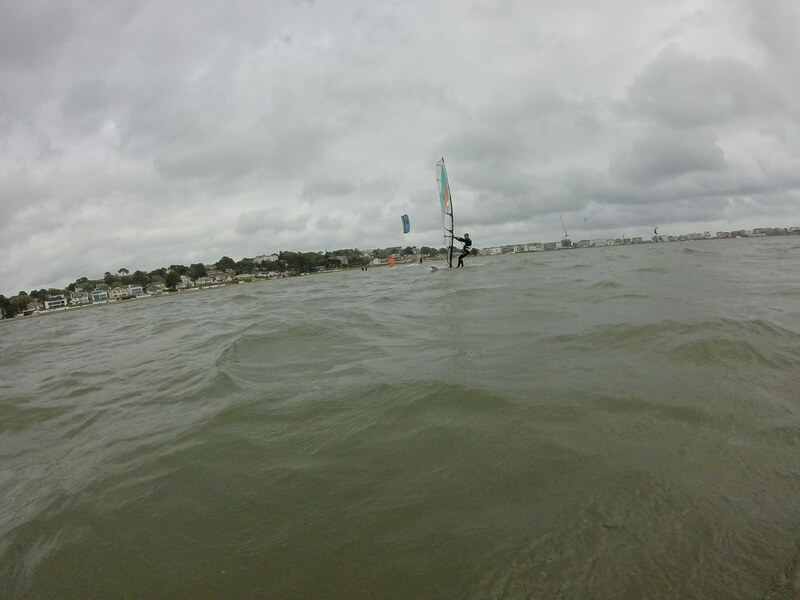 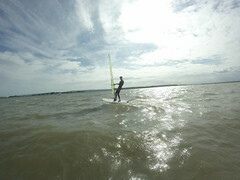 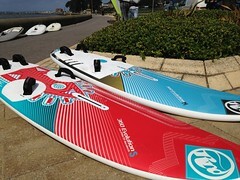 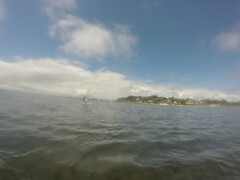 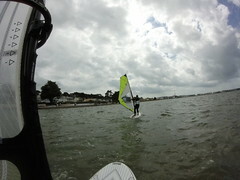 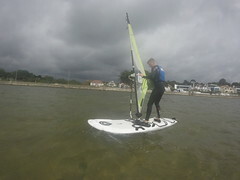 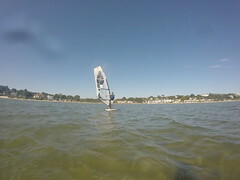 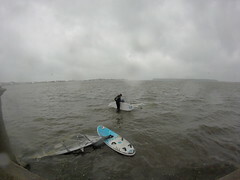 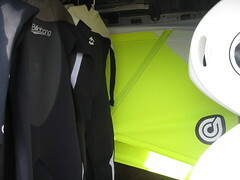 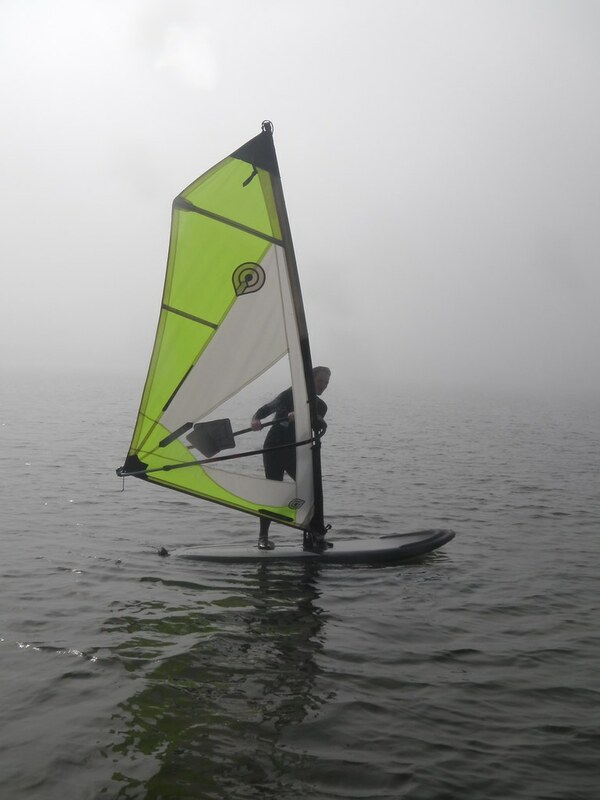 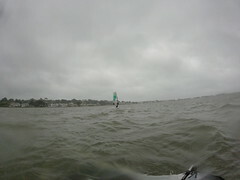 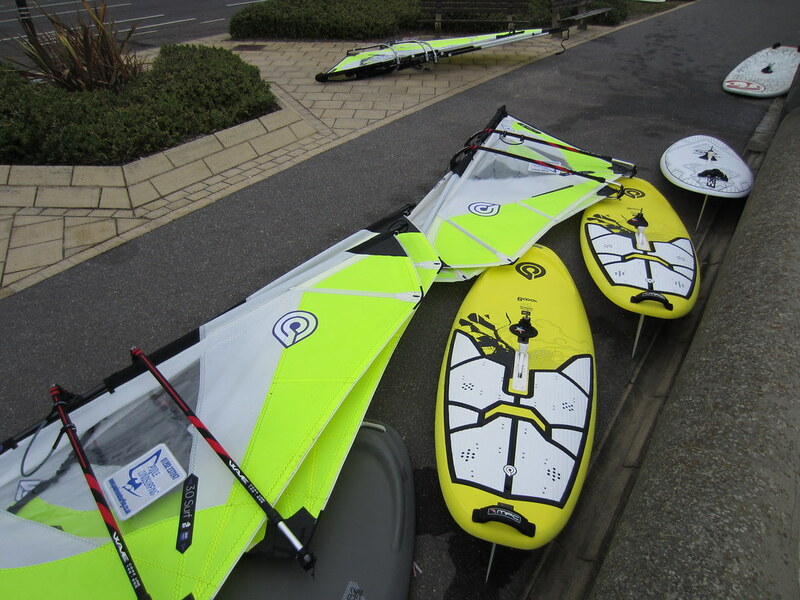 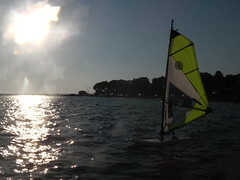 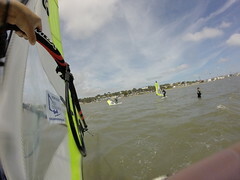 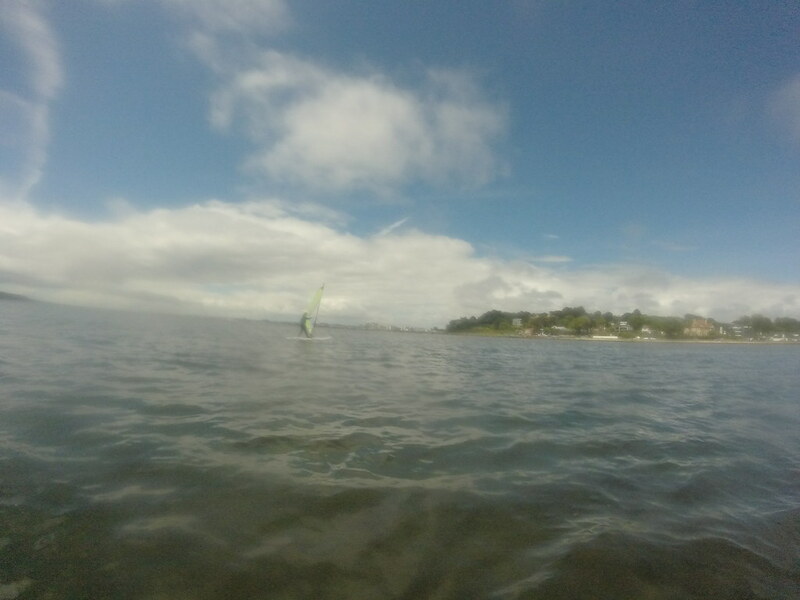 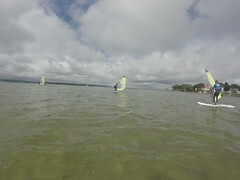 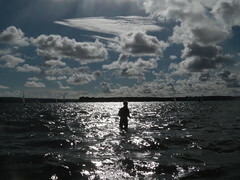 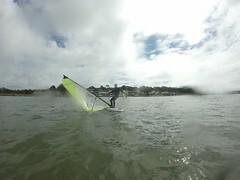 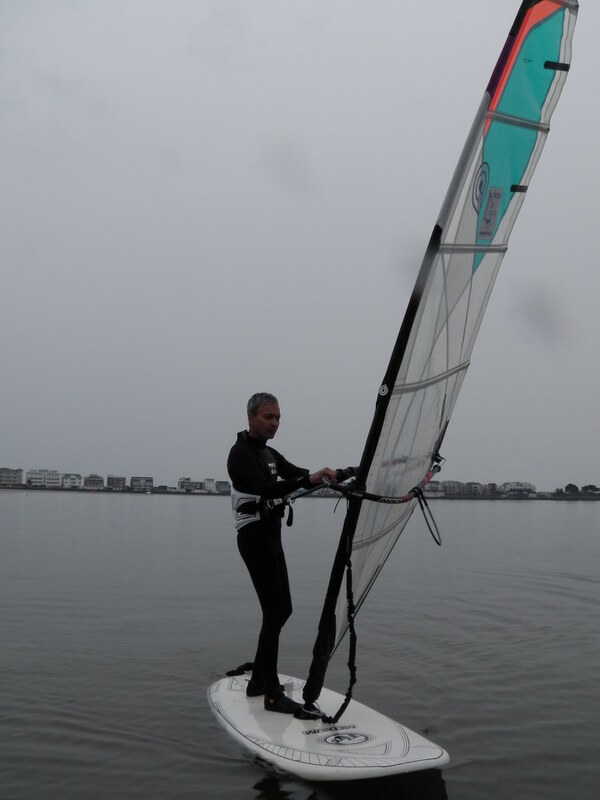 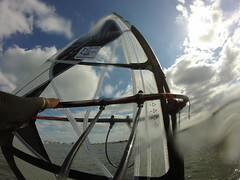 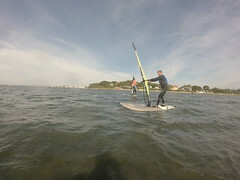 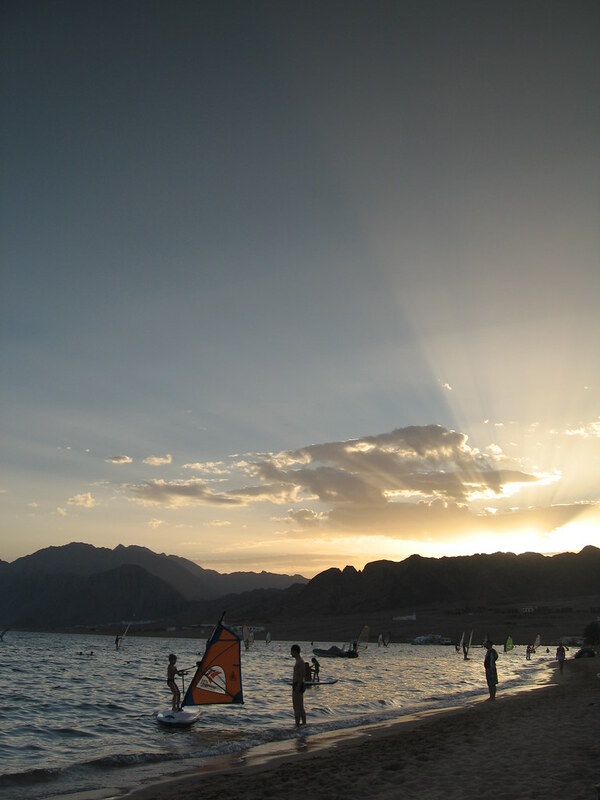 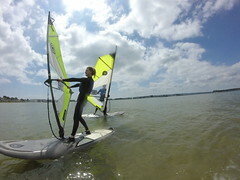 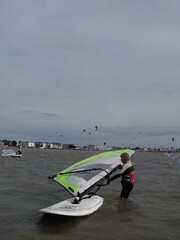 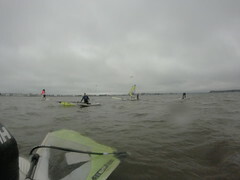 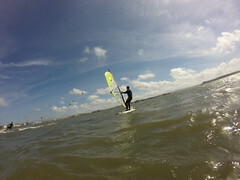 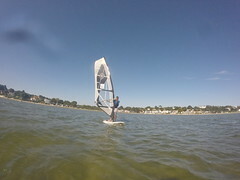 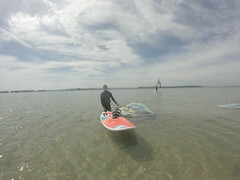 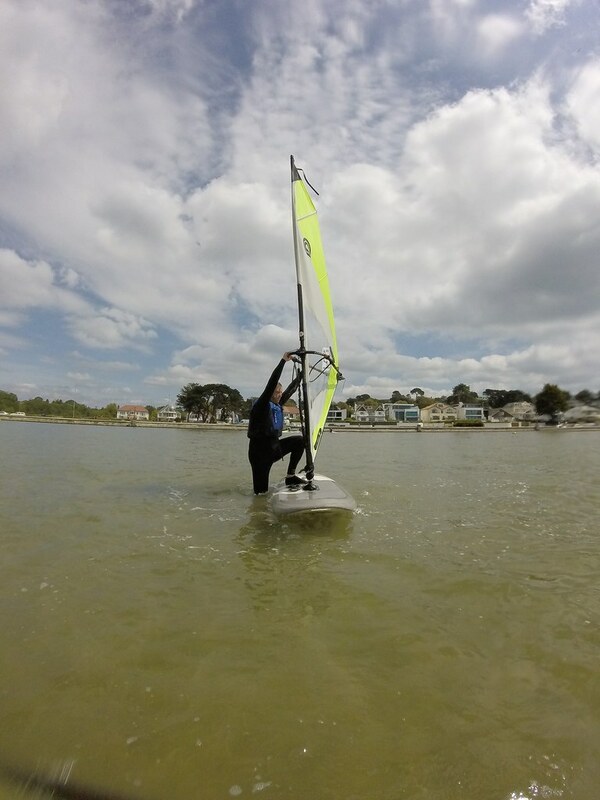 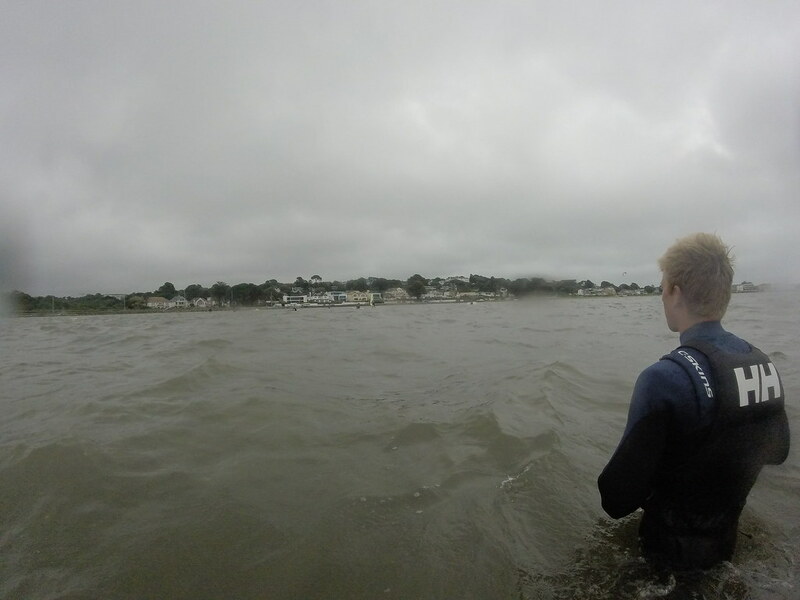 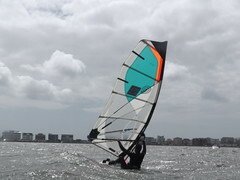 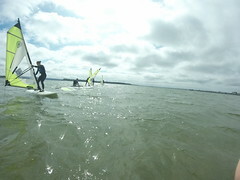 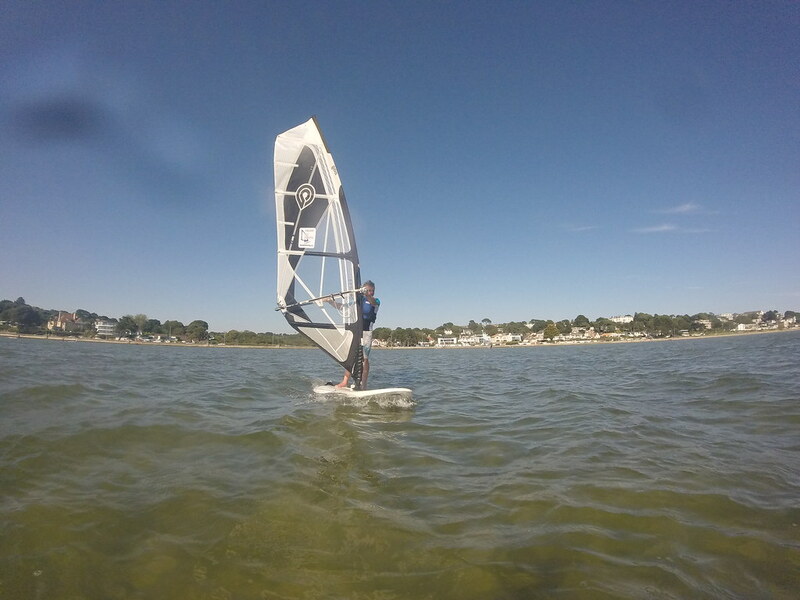 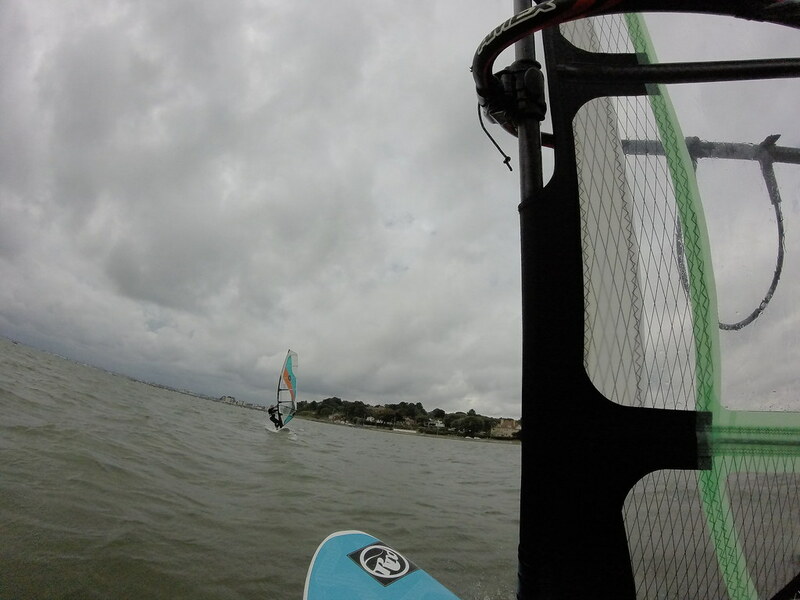 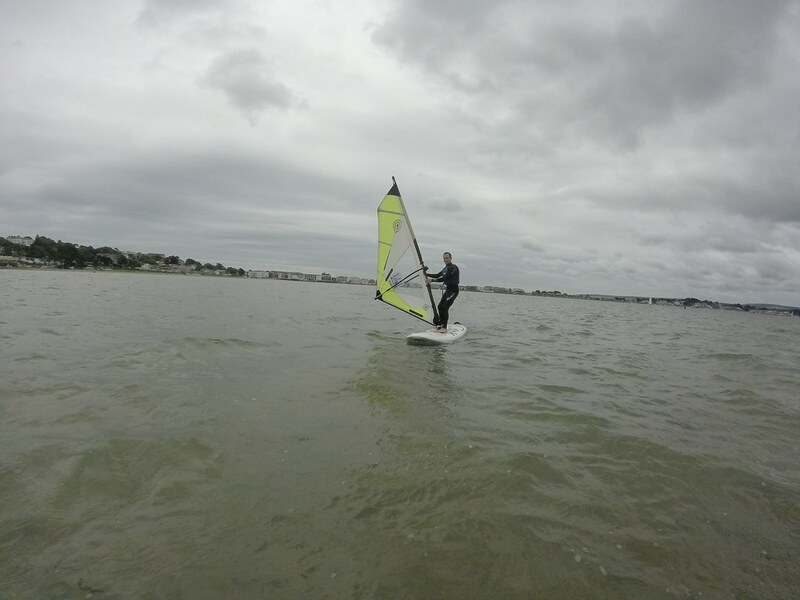 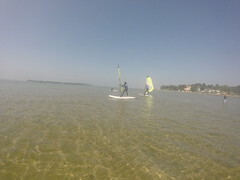 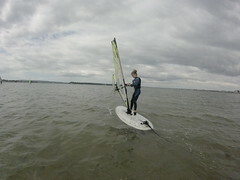 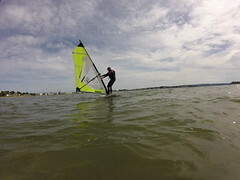 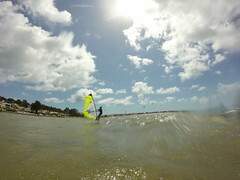 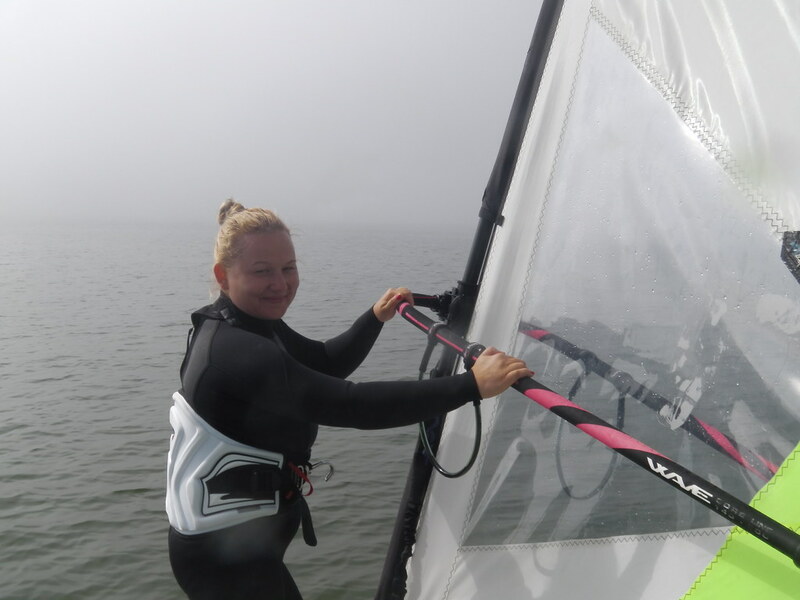 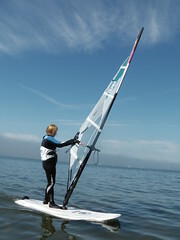 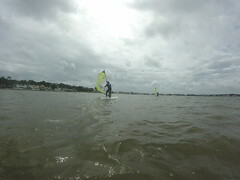 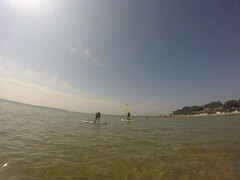 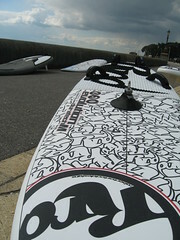 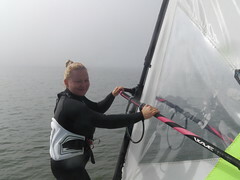 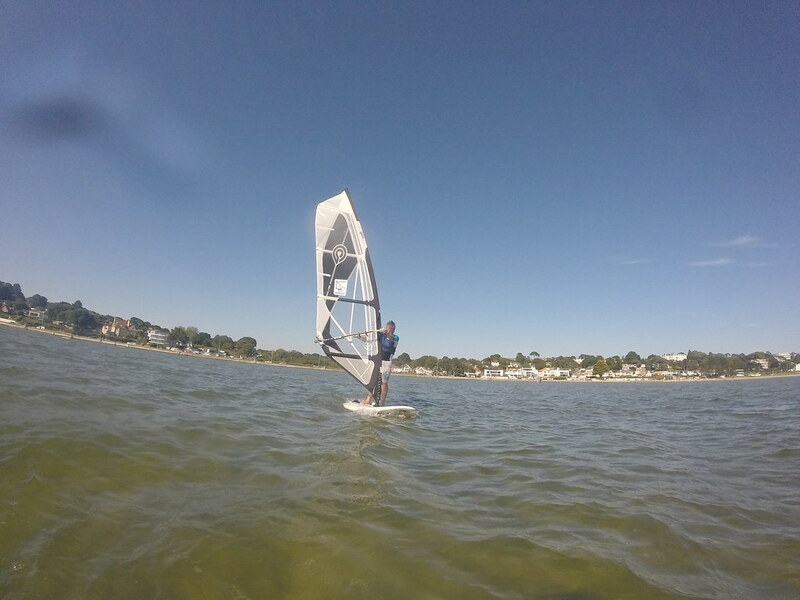 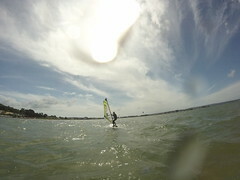 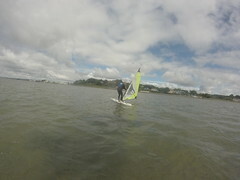 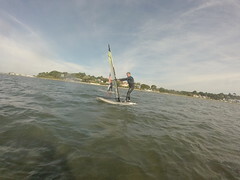 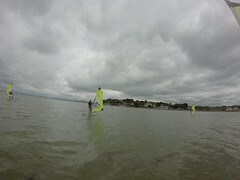 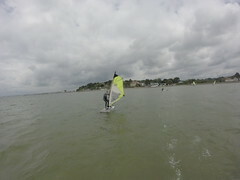 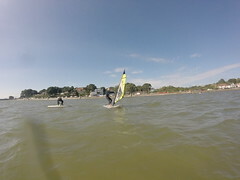 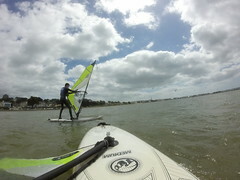 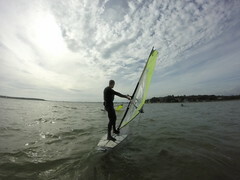 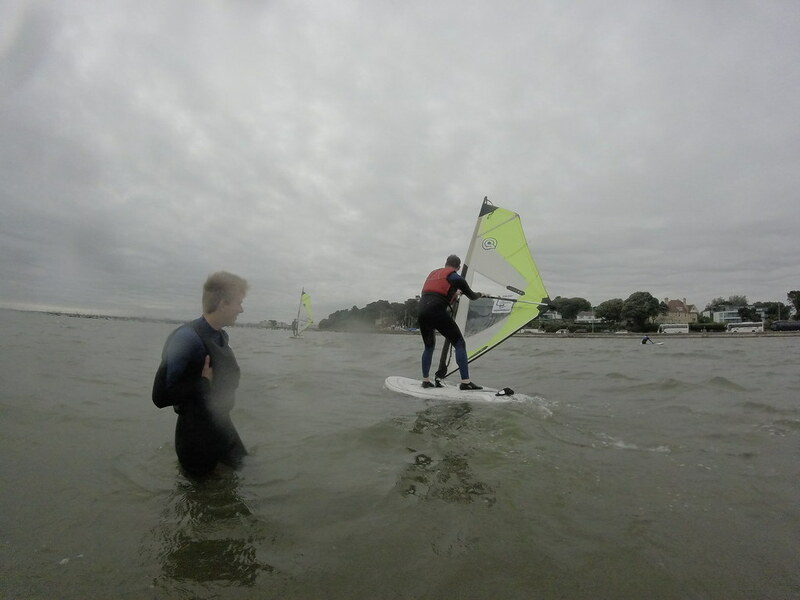 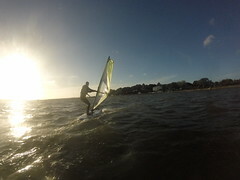 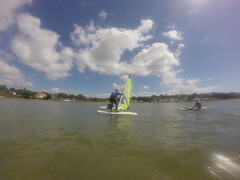 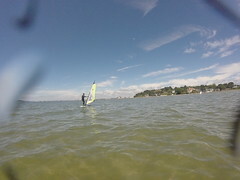 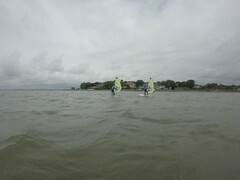 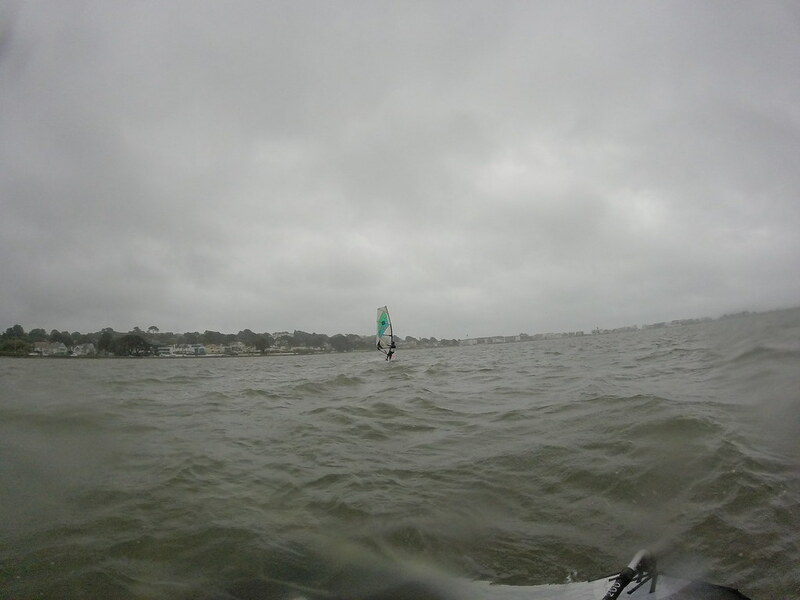 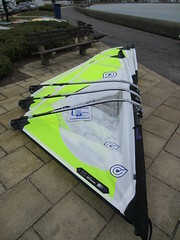 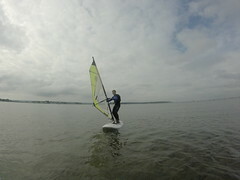 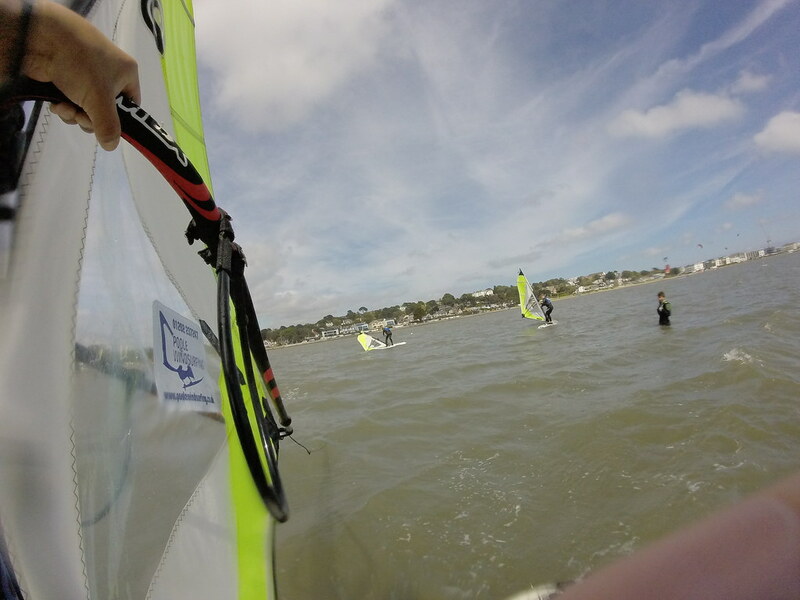 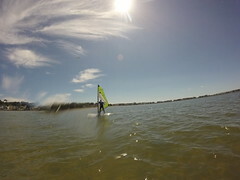 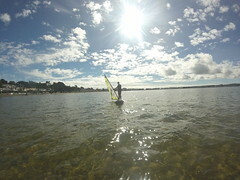 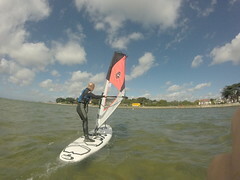 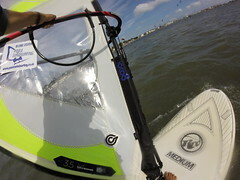 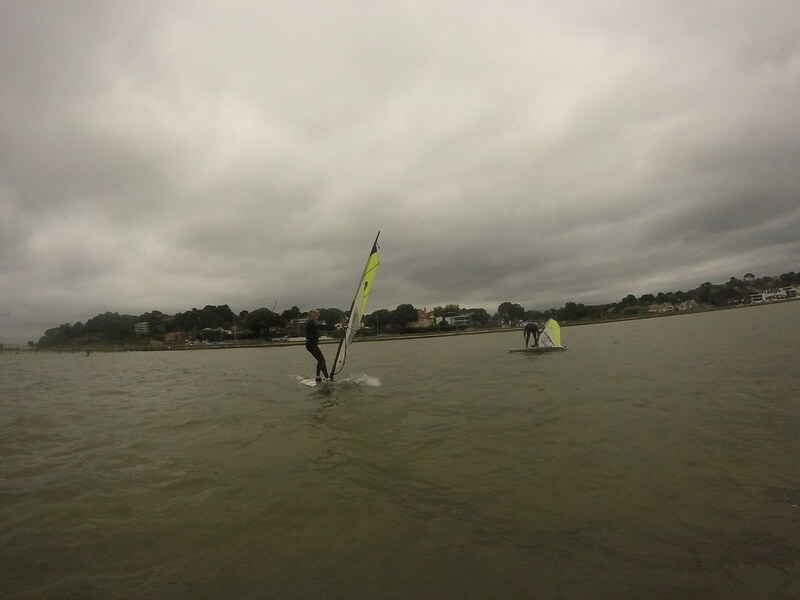 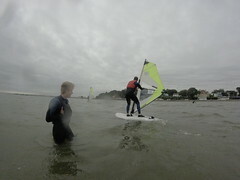 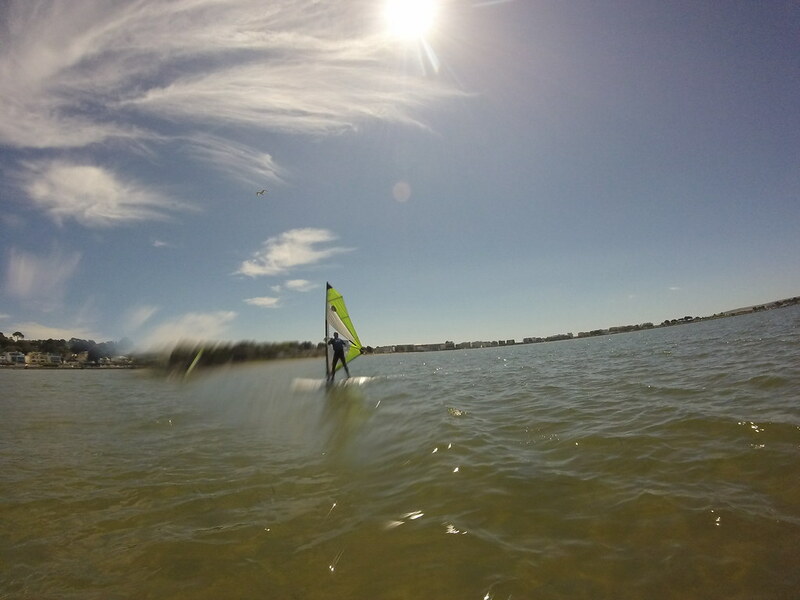 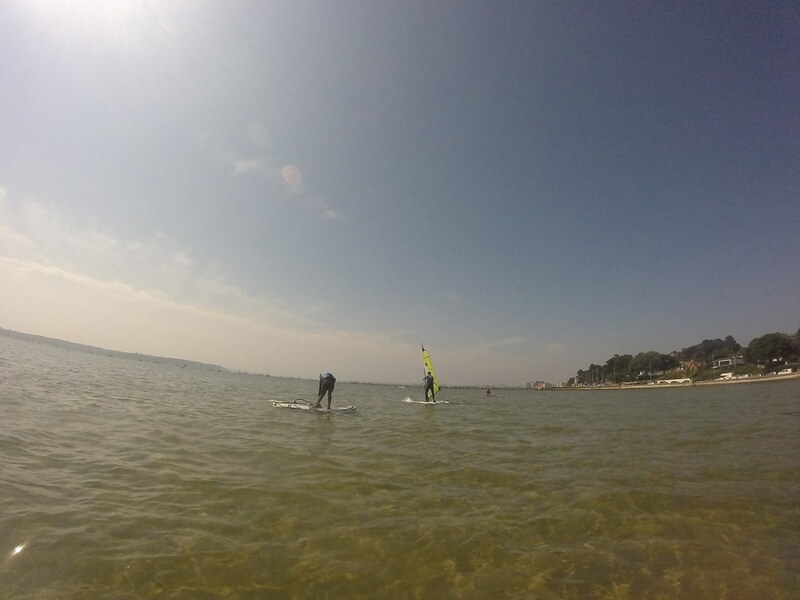 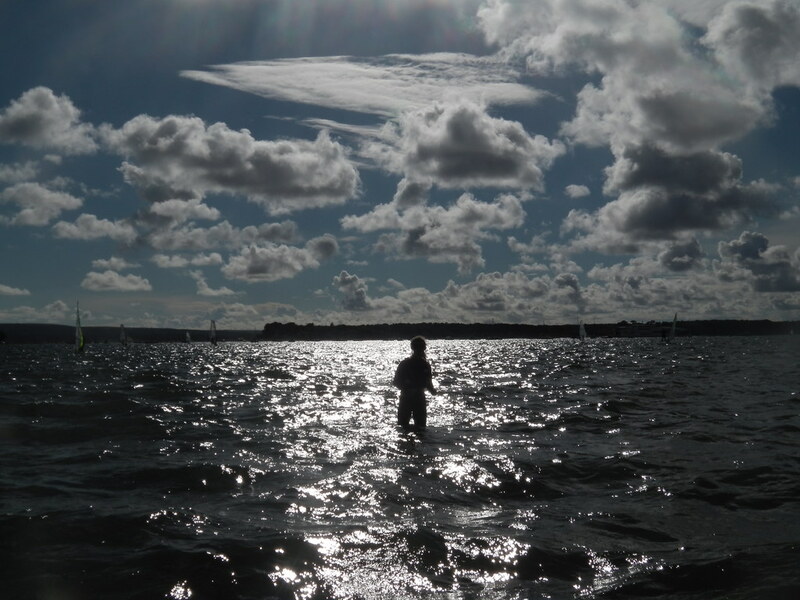 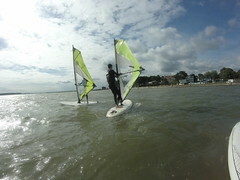 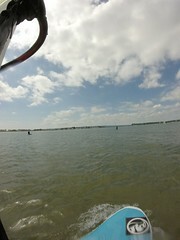 A photo gallery with some shots from the next stages after beginners windsurfing lessons. 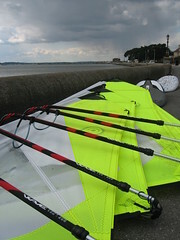 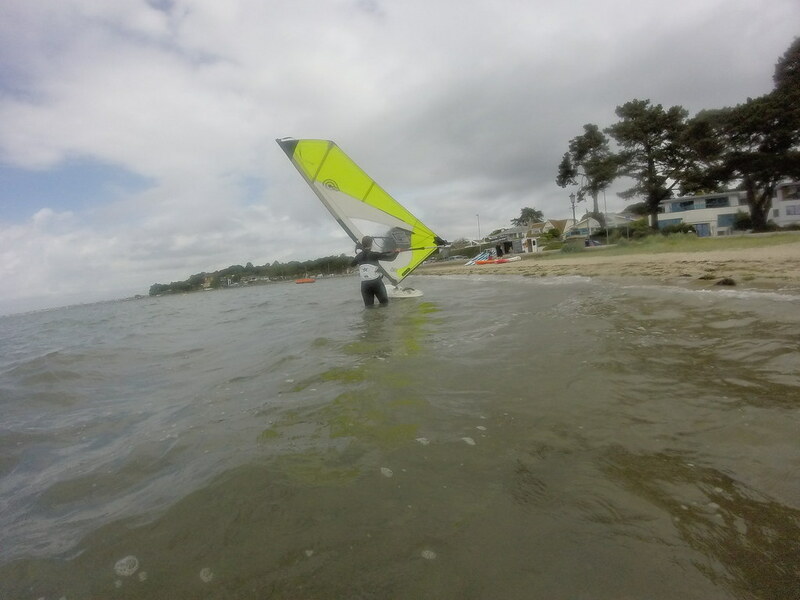 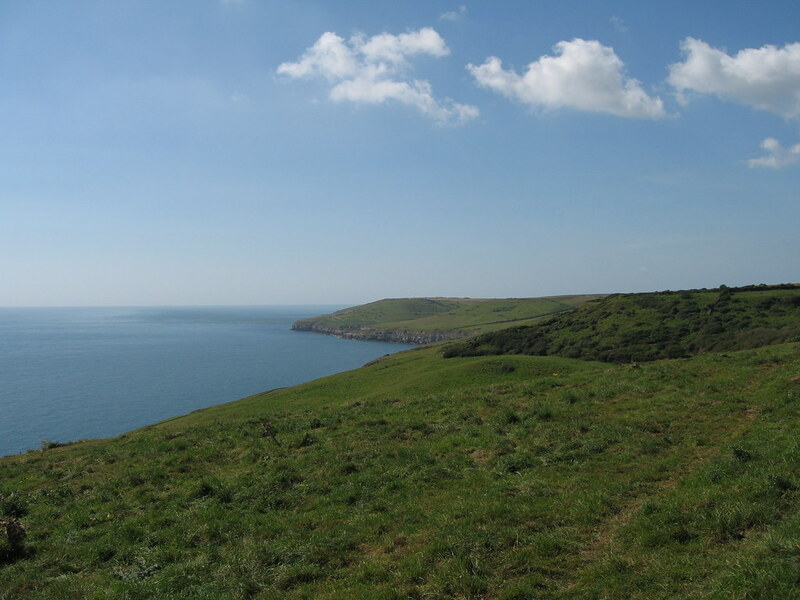 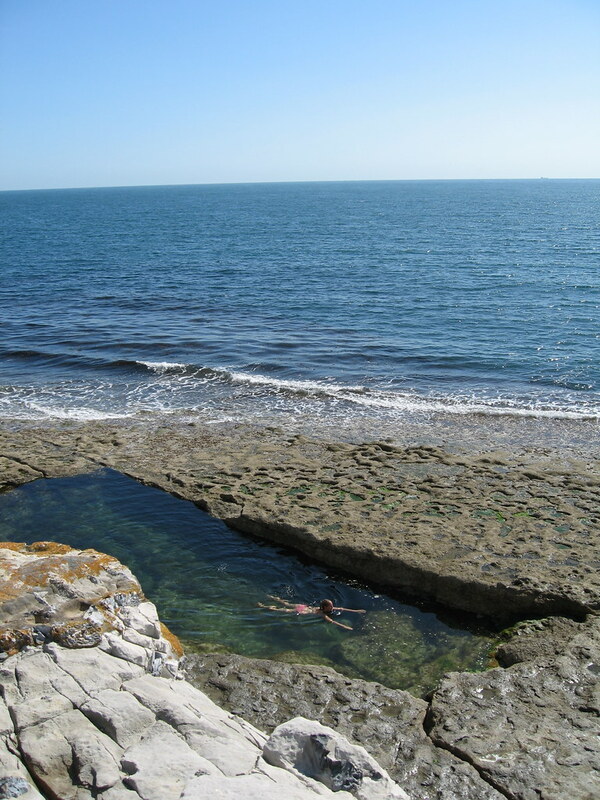 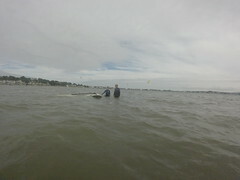 Beach starts, using the harness & faster tacks & gybes – its all recorded here! 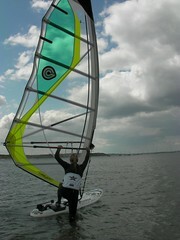 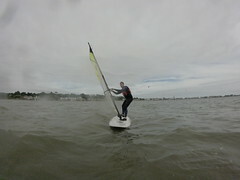 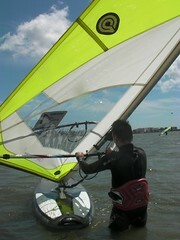 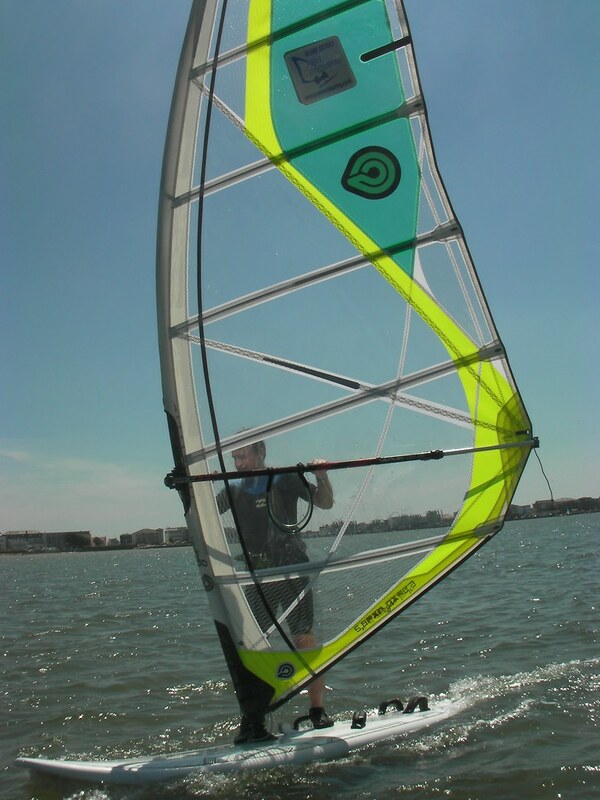 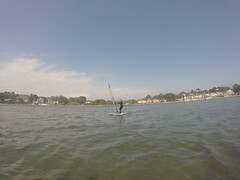 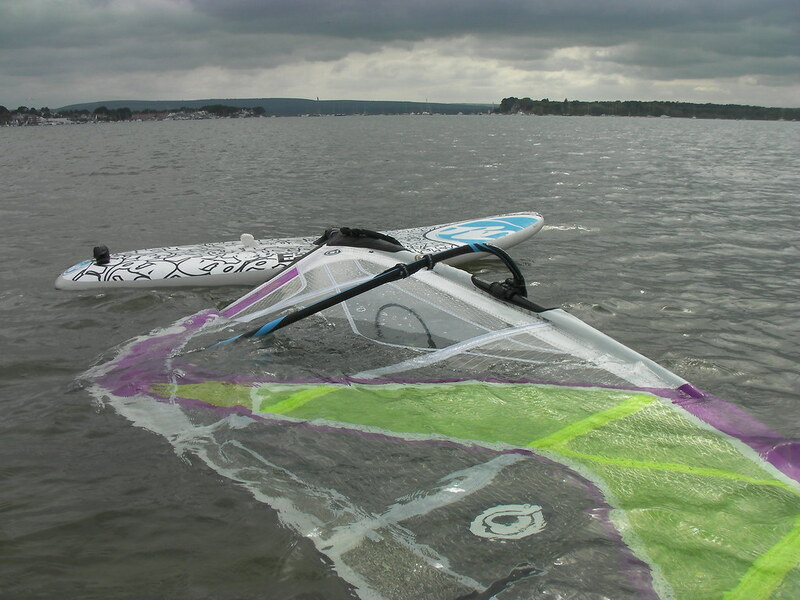 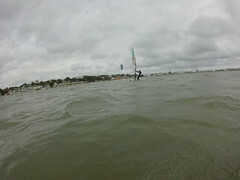 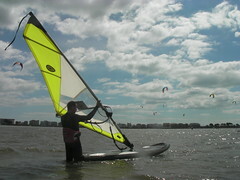 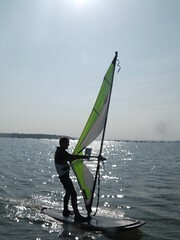 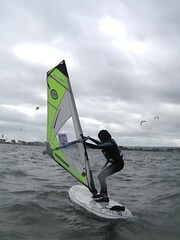 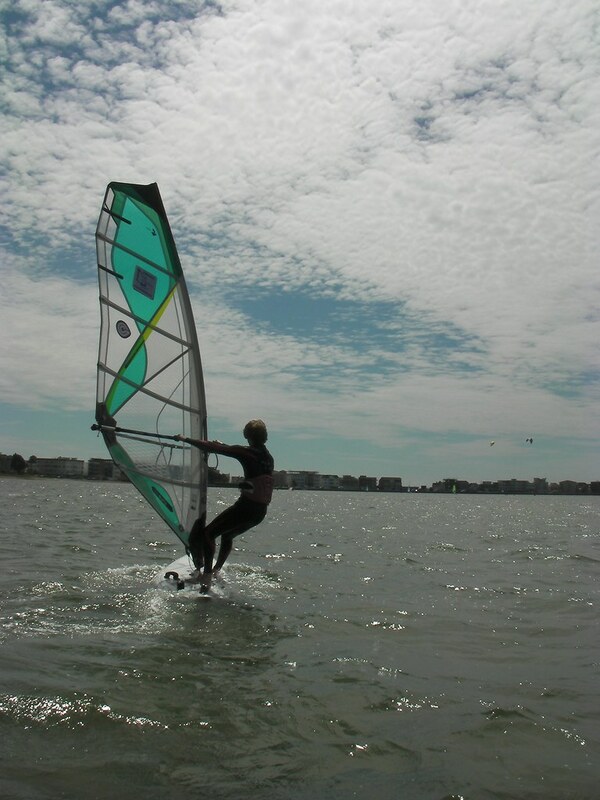 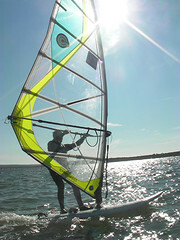 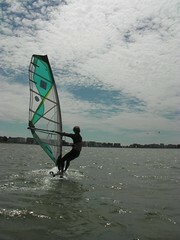 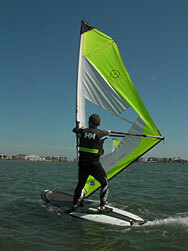 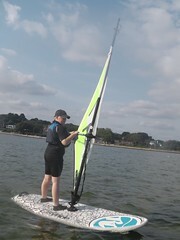 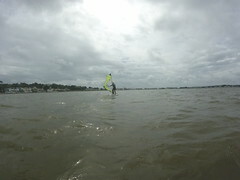 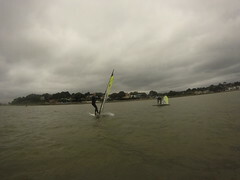 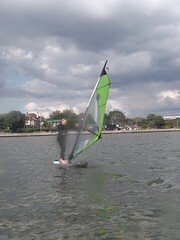 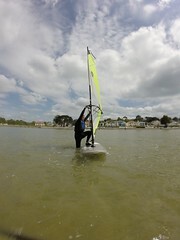 Action of advanced windsurfing lessons. 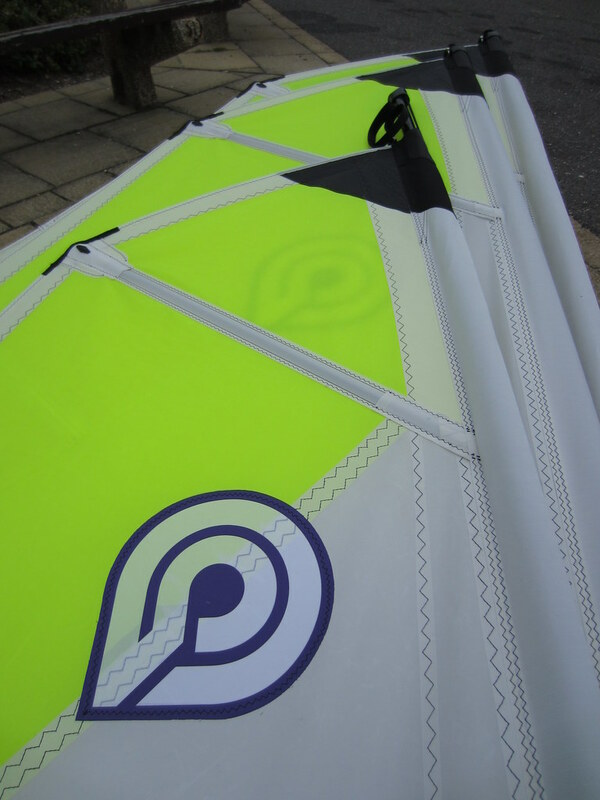 Planing, footstraps, waterstarts, carve gybes – this is where windsurfing really takes off (literally)! 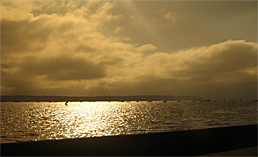 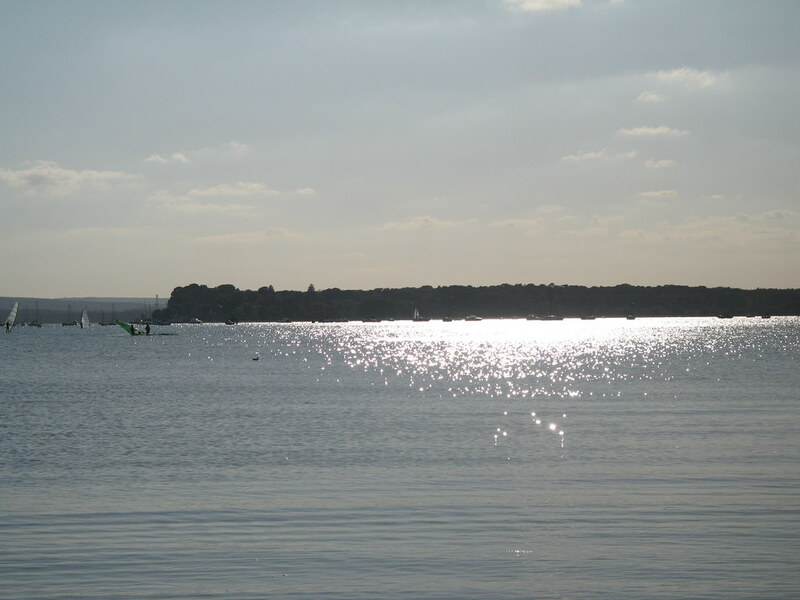 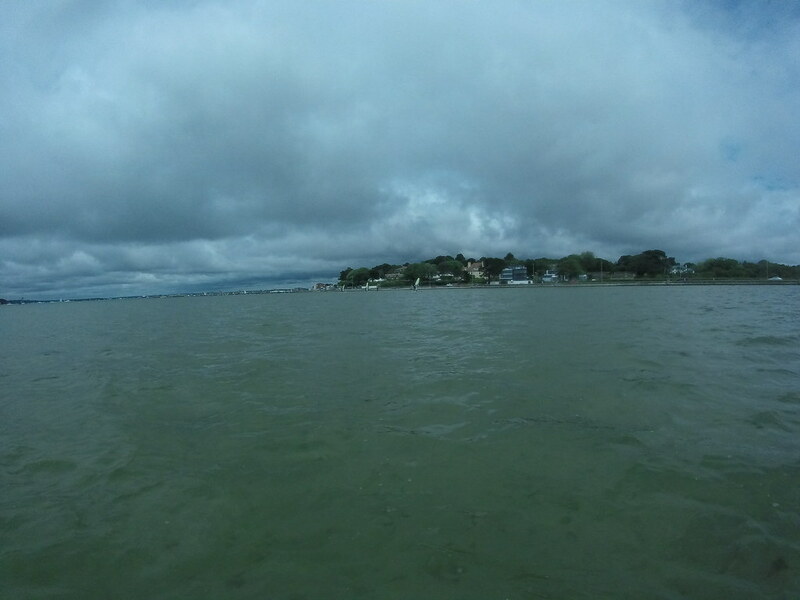 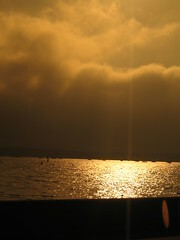 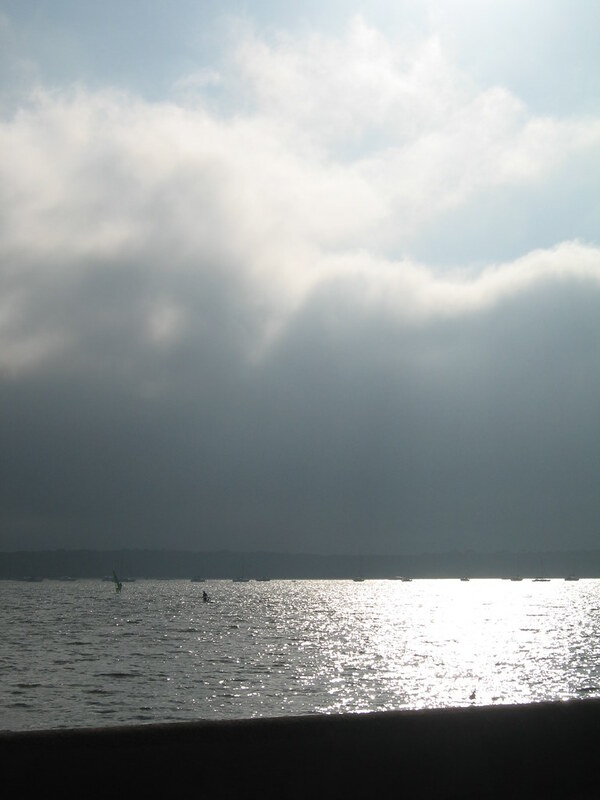 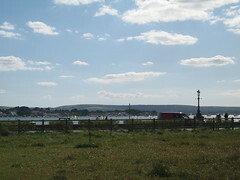 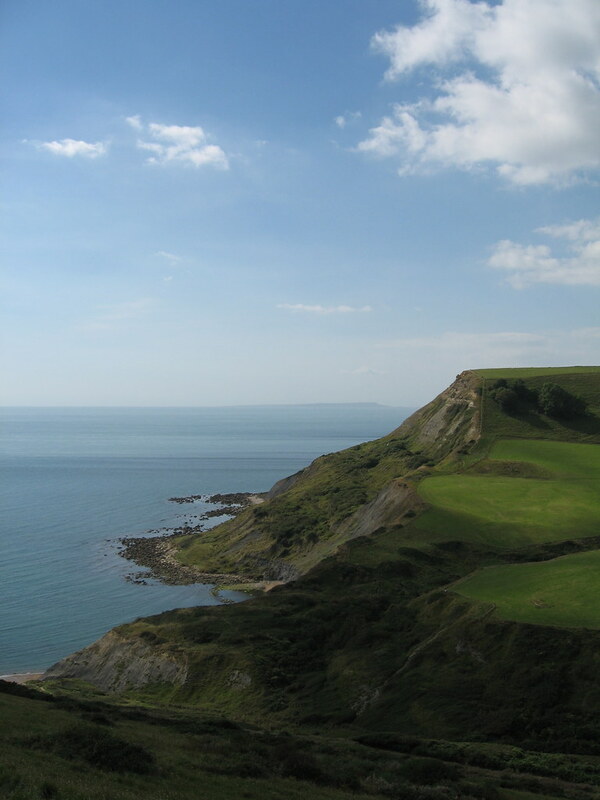 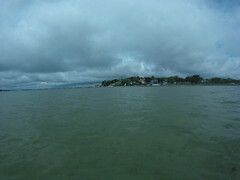 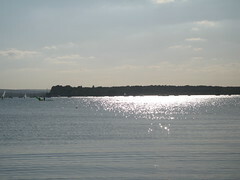 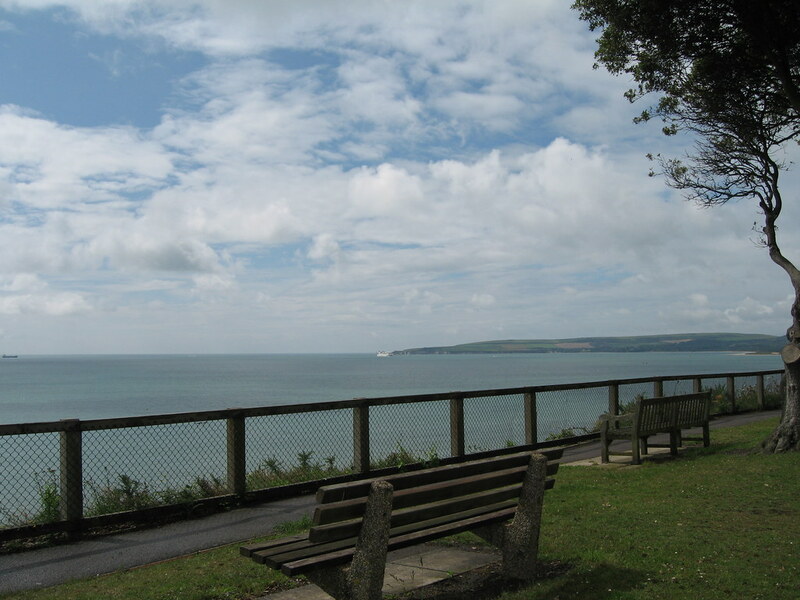 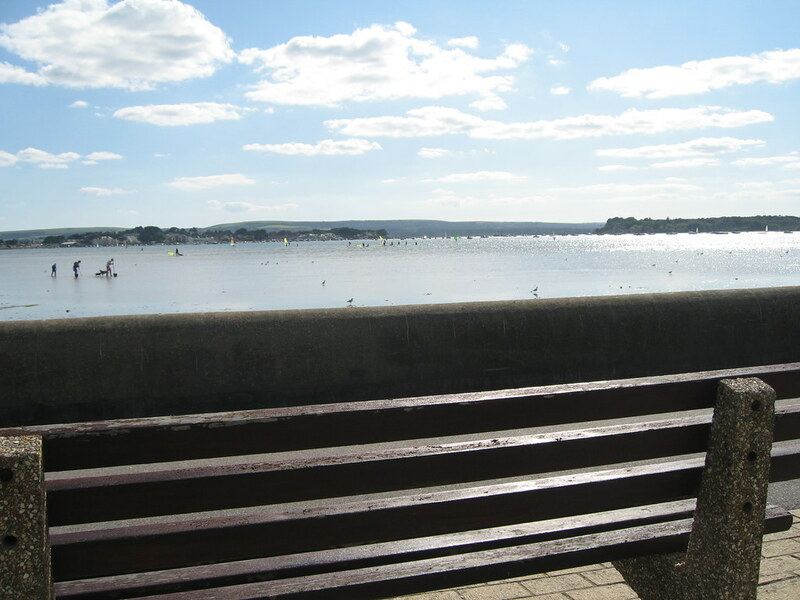 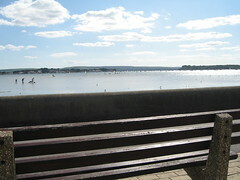 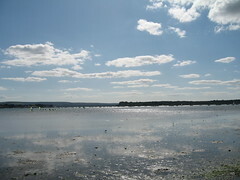 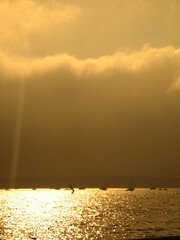 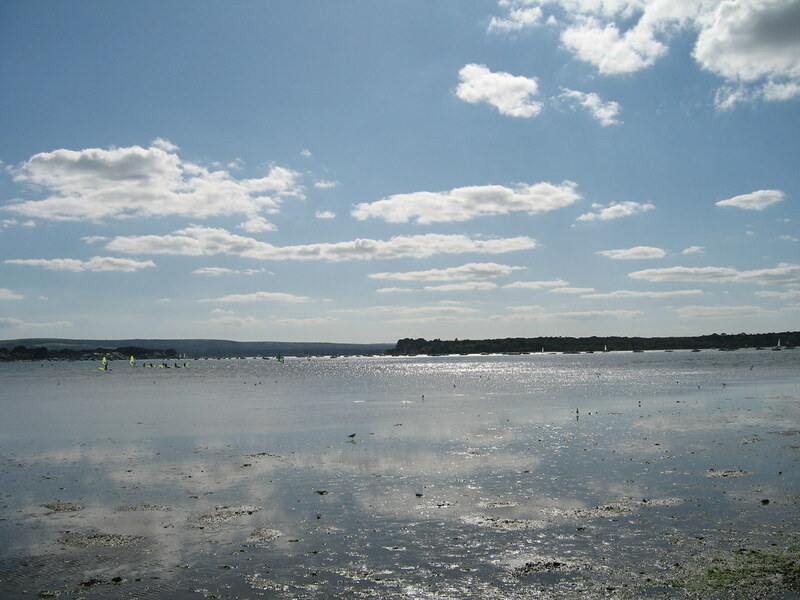 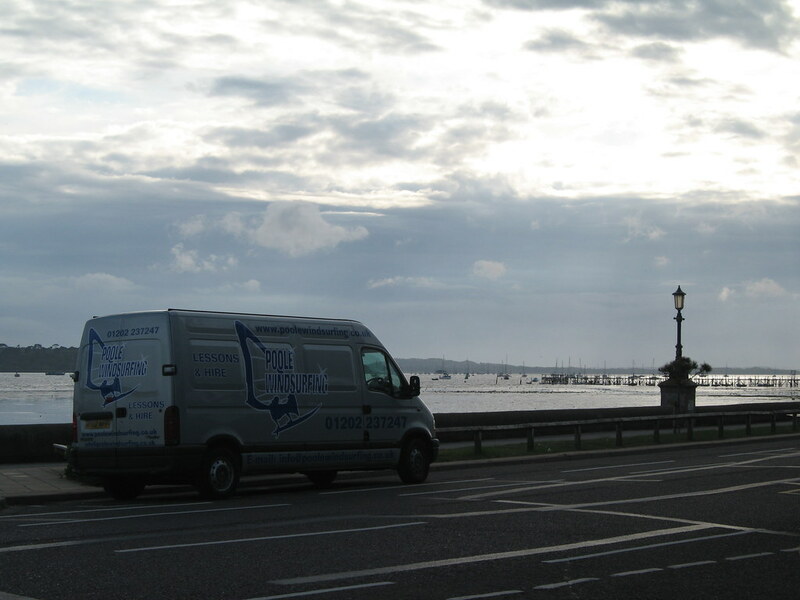 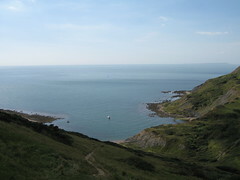 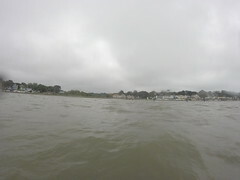 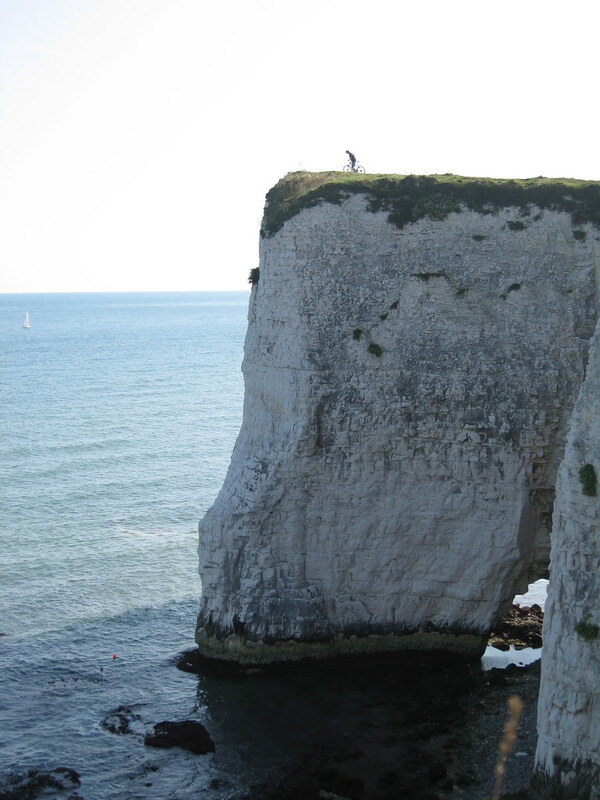 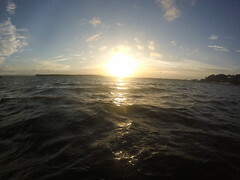 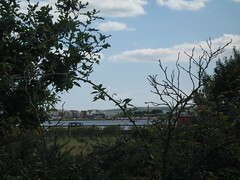 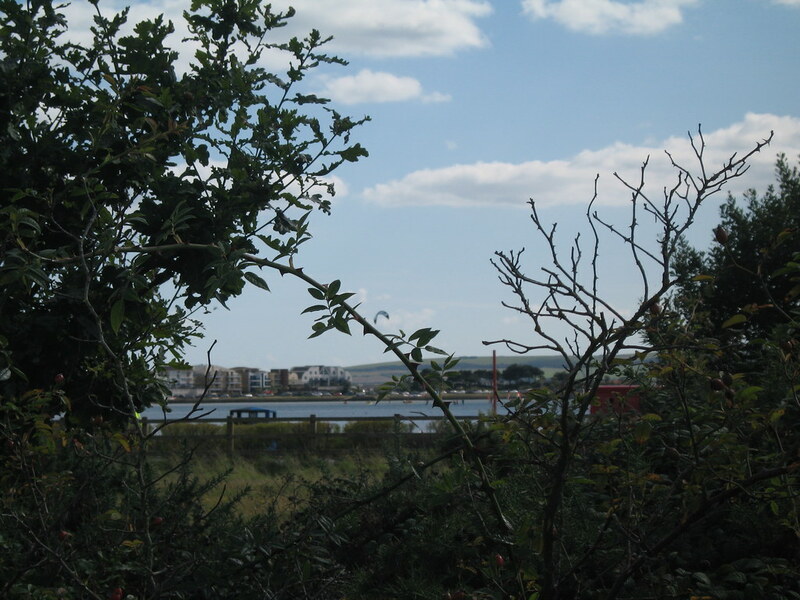 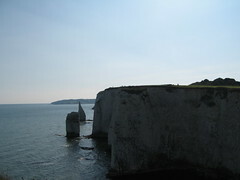 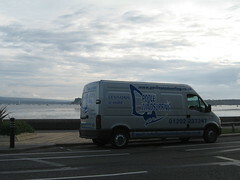 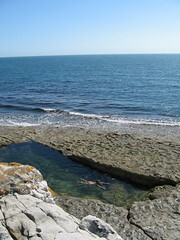 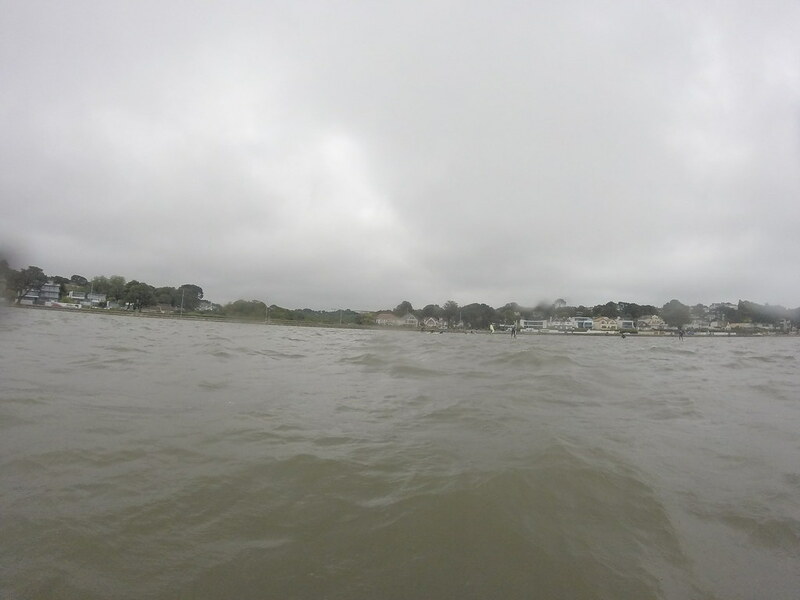 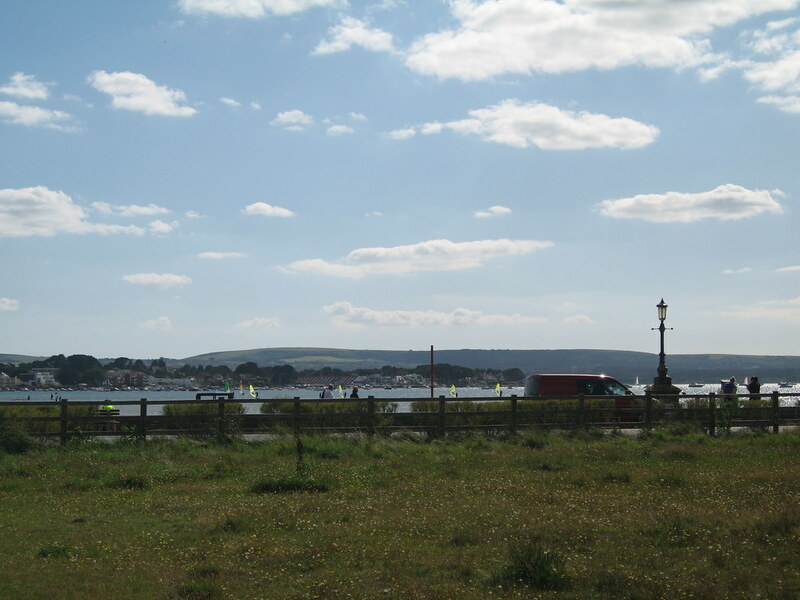 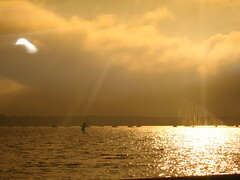 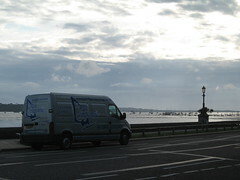 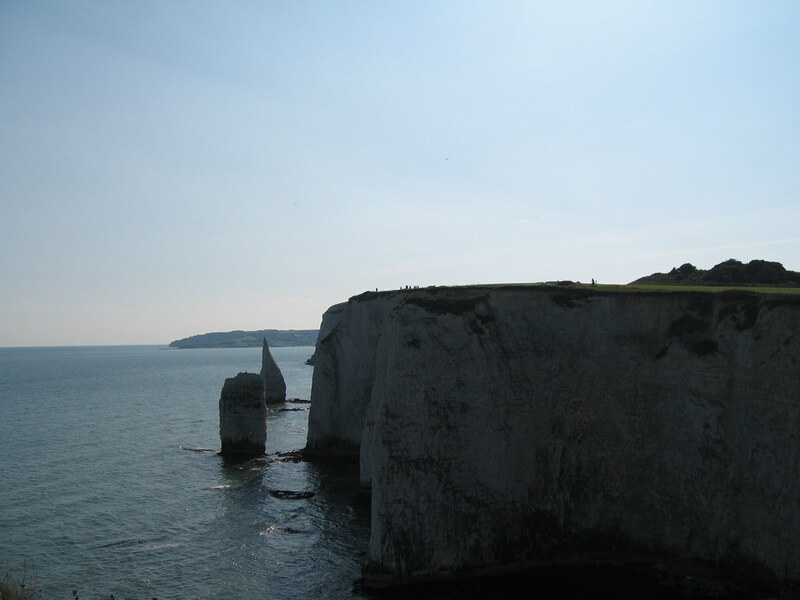 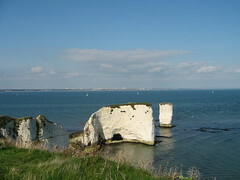 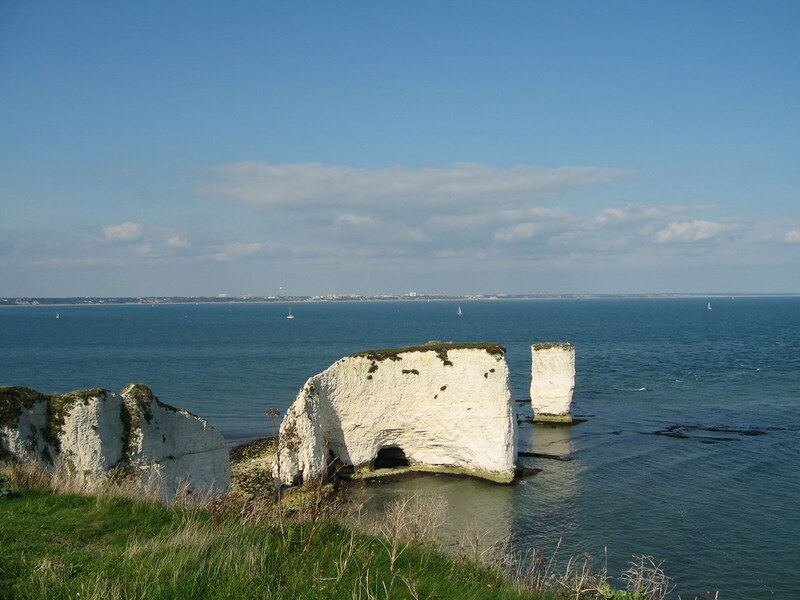 The area around Poole Harbour has some of the best coastline in the UK. 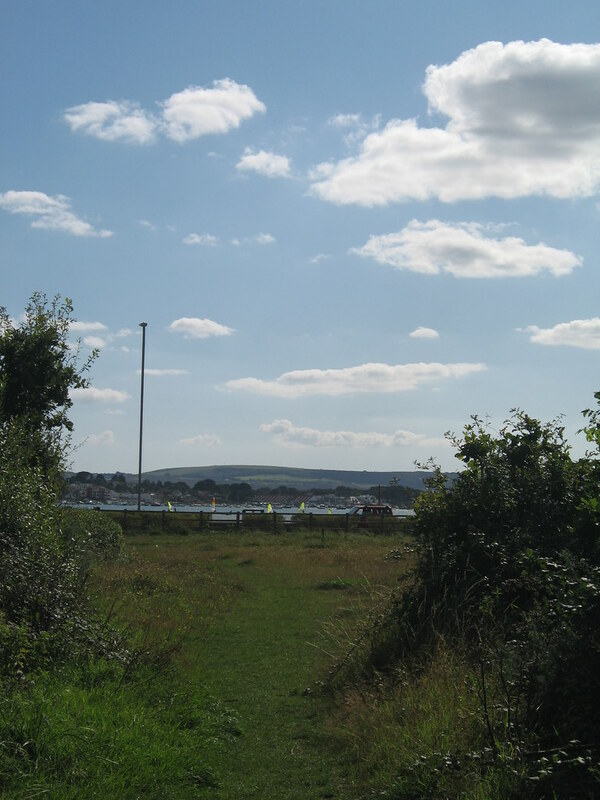 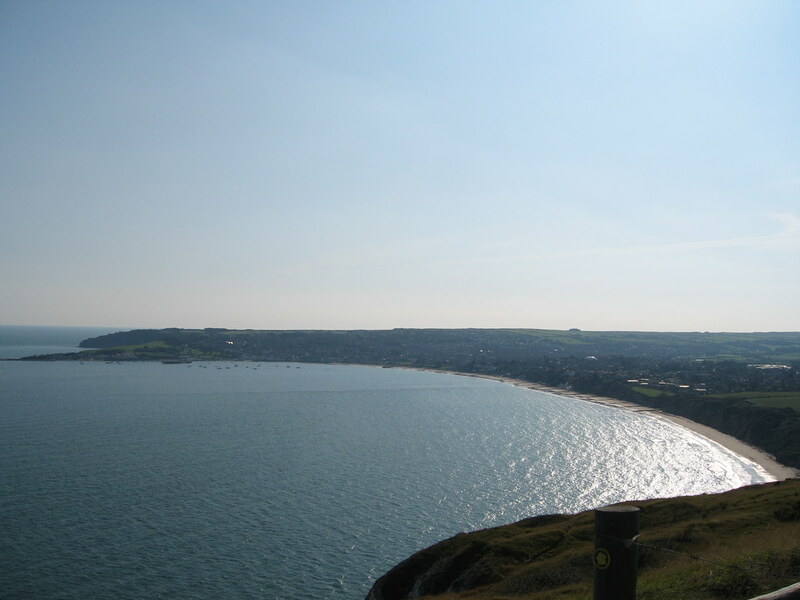 The Purbecks, Old Harrys Rock, Sandbanks peninsular, Poole Harbour & the seven mile stretch of beach from Sandbanks to Hengistbury Head. 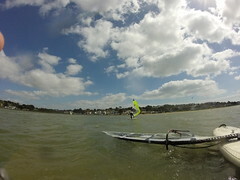 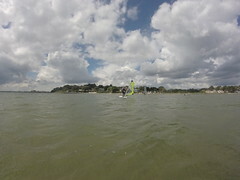 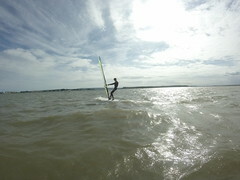 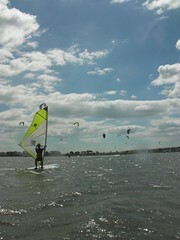 Windsurfing in some of the nicest surroundings the UK has to offer. 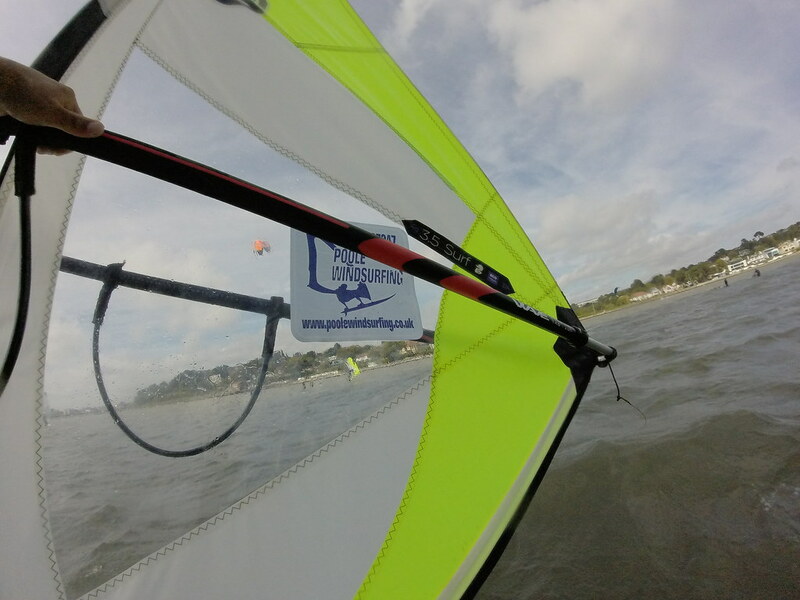 We are gathering data & formulating some trips to the best locations around the world for you to go do the sports you love to do. 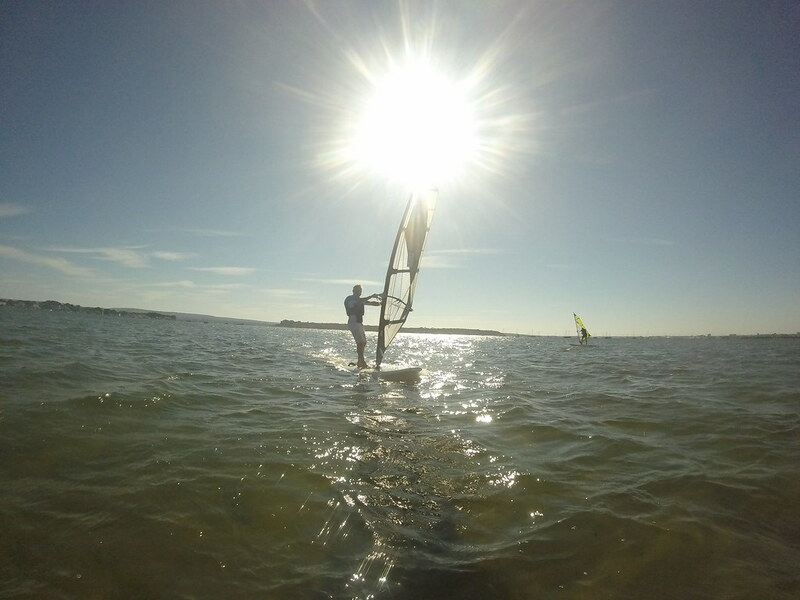 The key is going to the right place at the right time of year to strike gold and get epic conditions for your well earned windsurfing holidays! 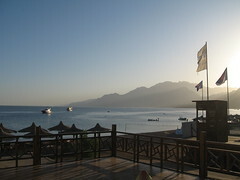 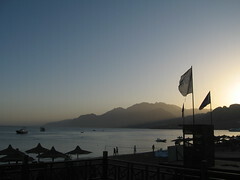 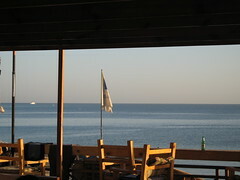 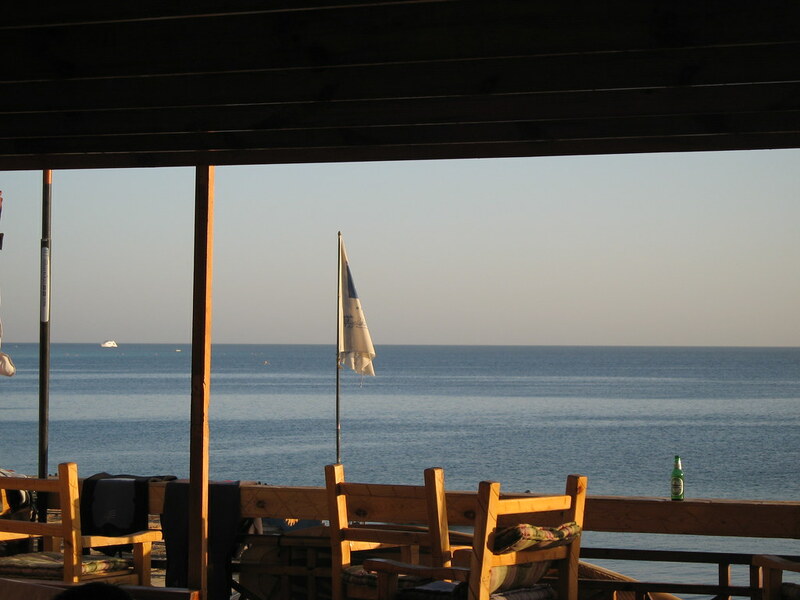 This is where we come in, organising windsurf trips to the right place at the right time. 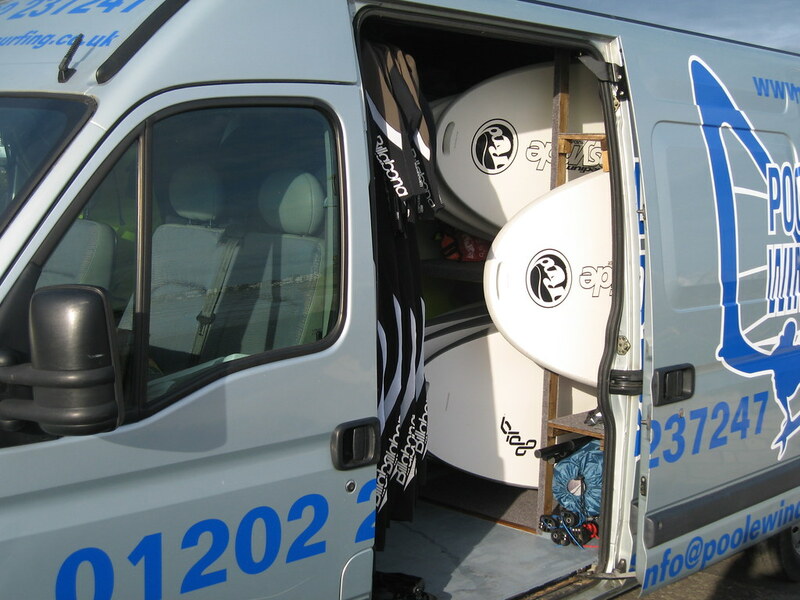 We are in a position to negotiate discounted deals on flights, accommodation and equipment rental. 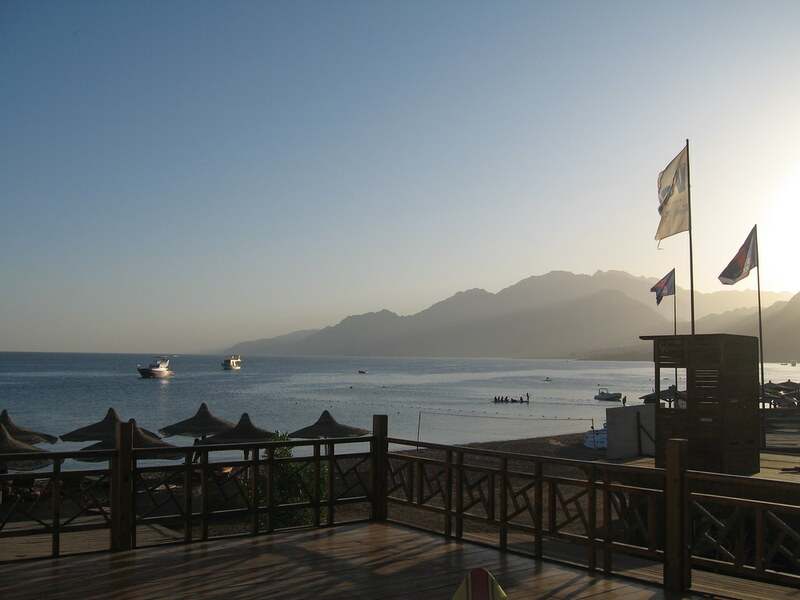 Everything planned & organised for a hassle free trip with local knowledge of the location you are going to & some informal coaching tips.